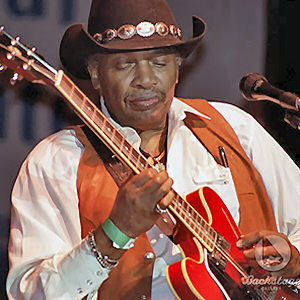 played a left-handed instrument strung upside-down, with the low E string at the bottom! 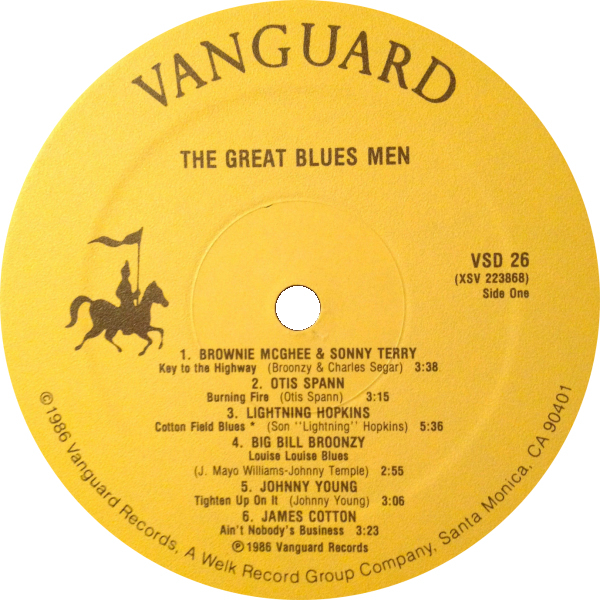 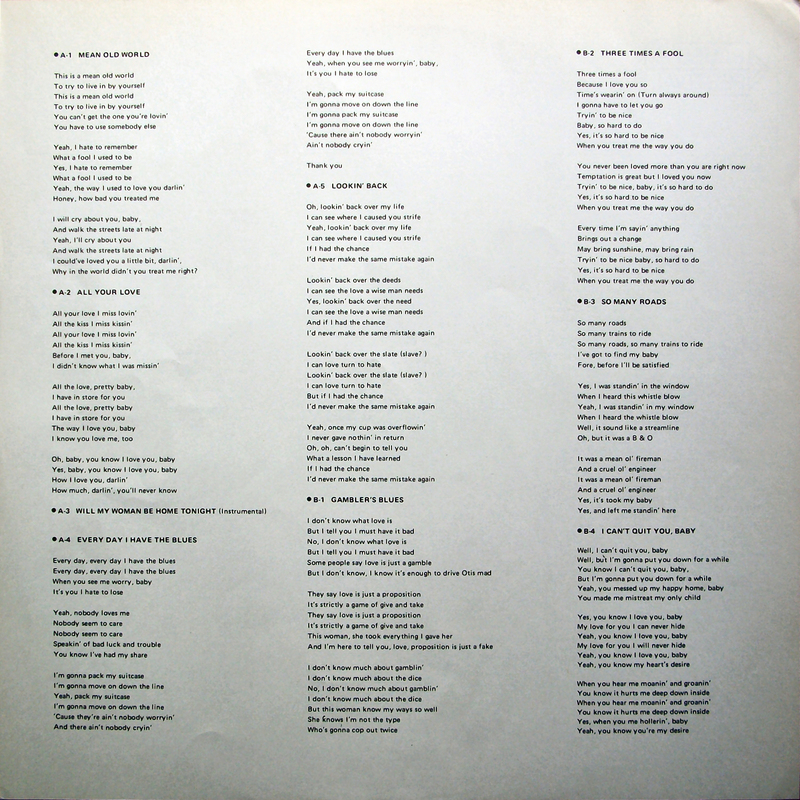 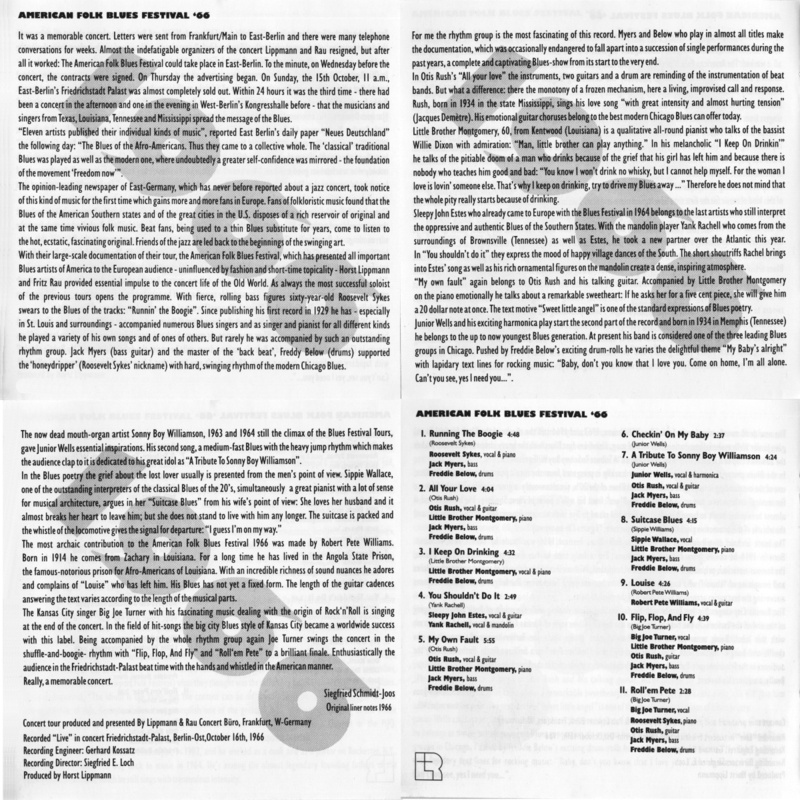 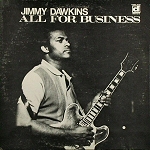 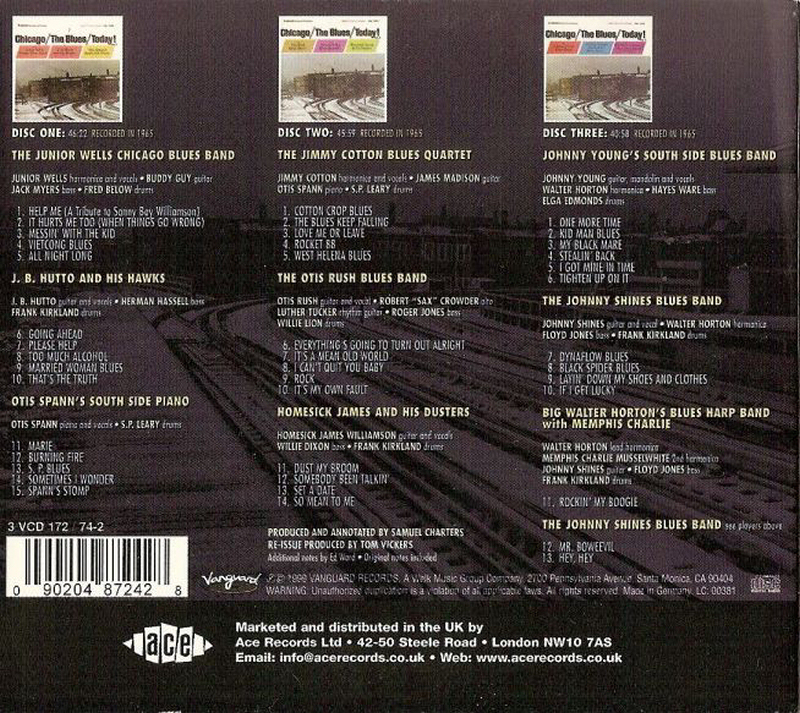 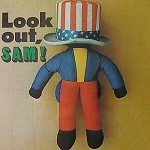 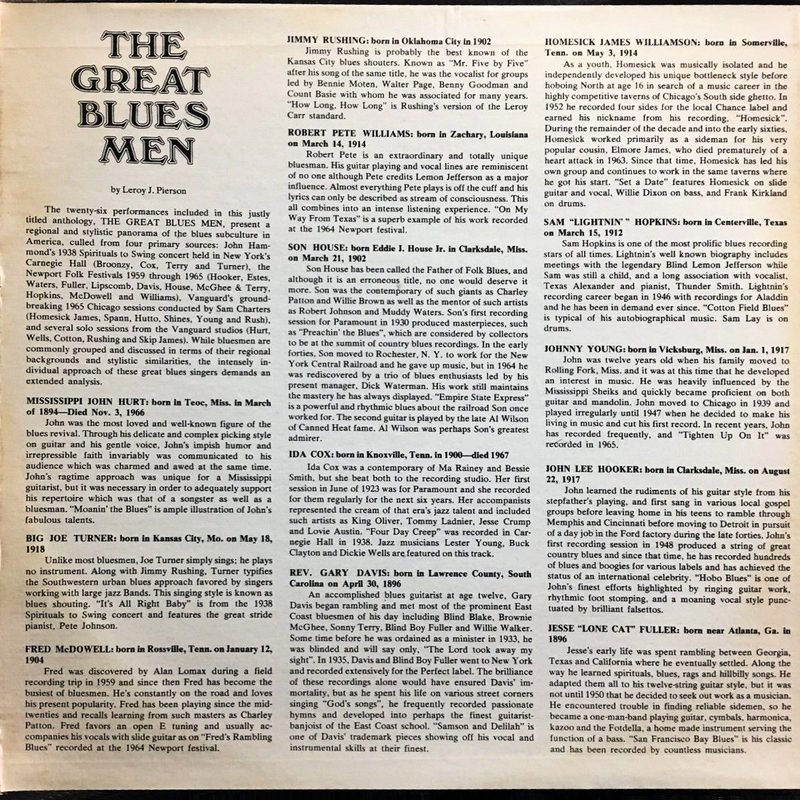 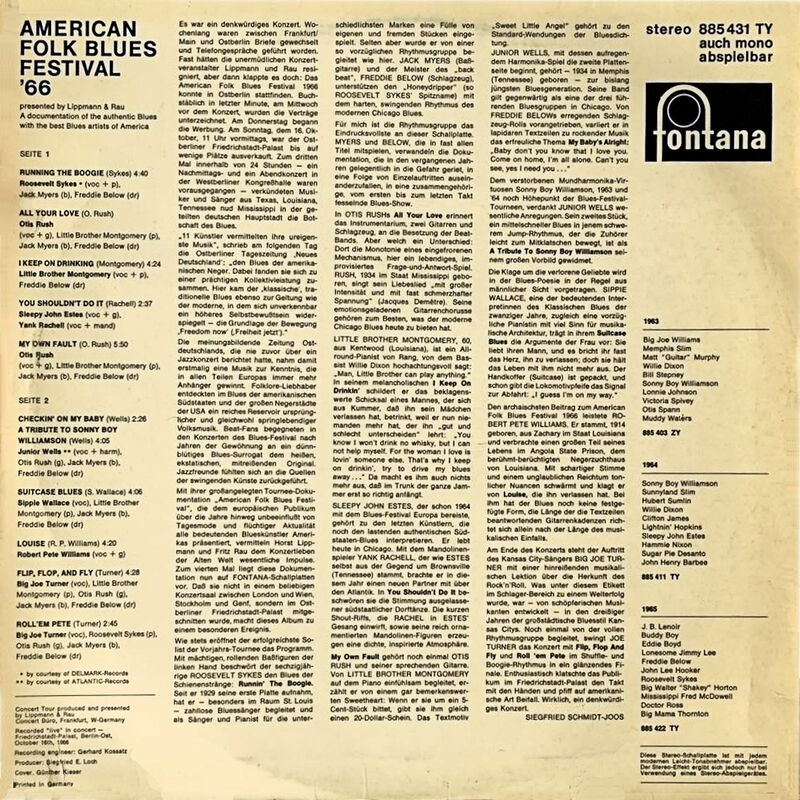 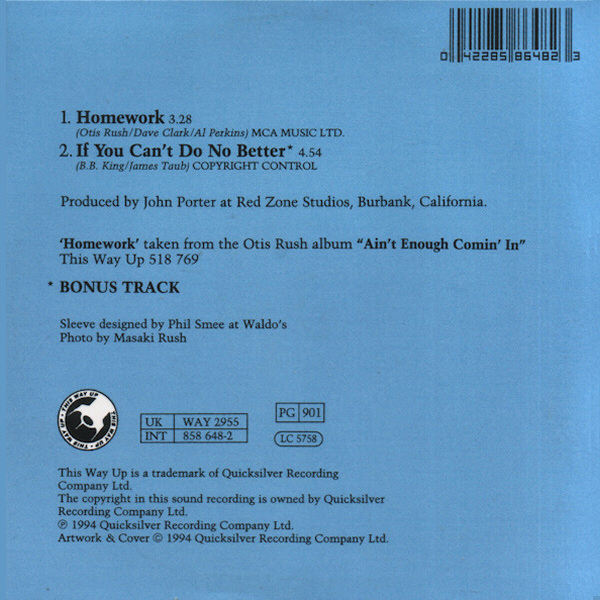 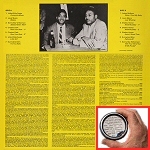 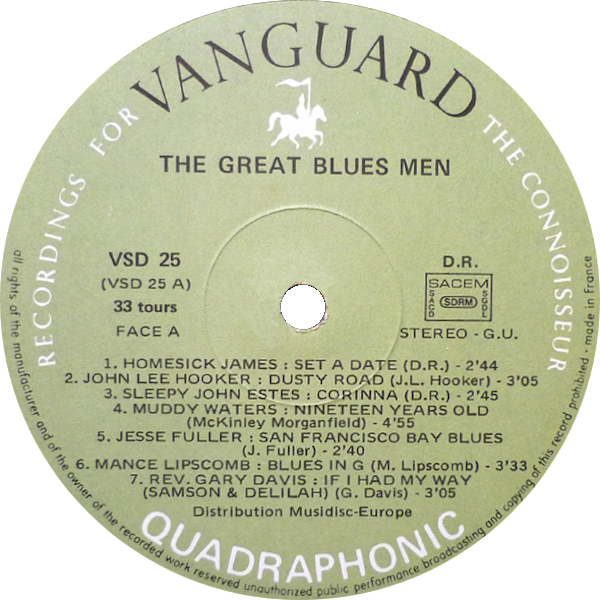 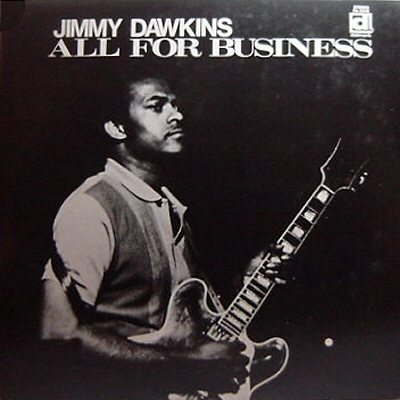 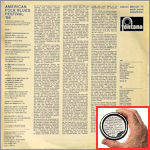 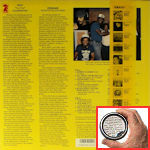 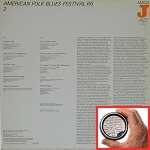 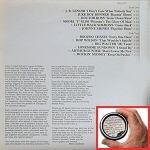 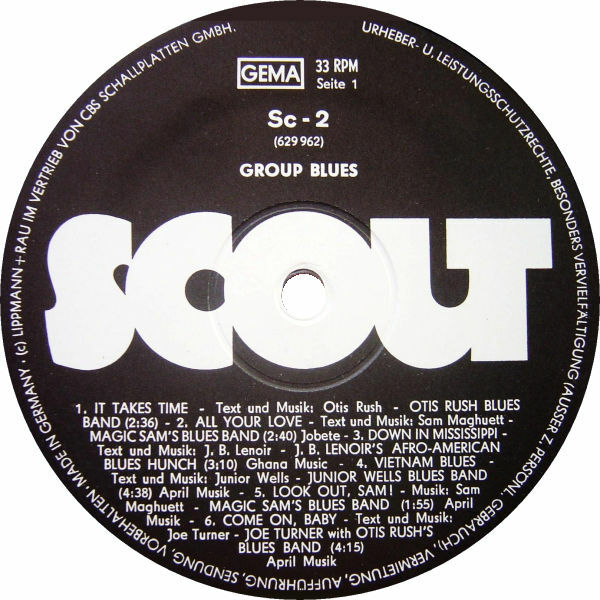 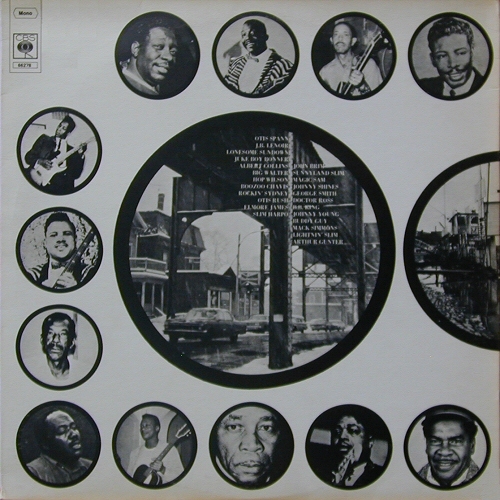 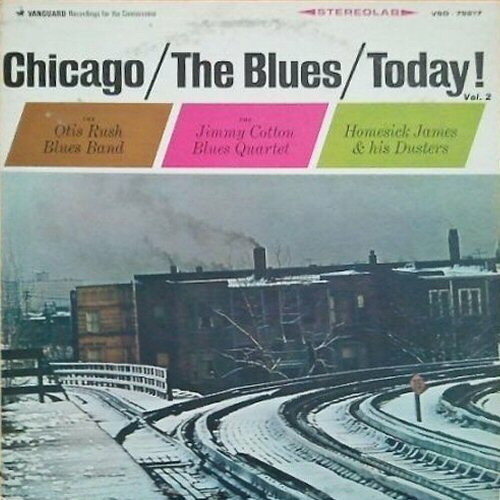 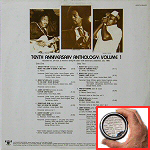 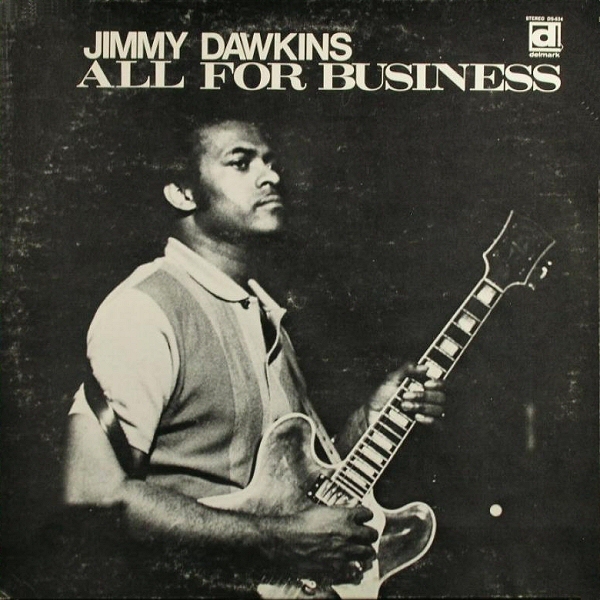 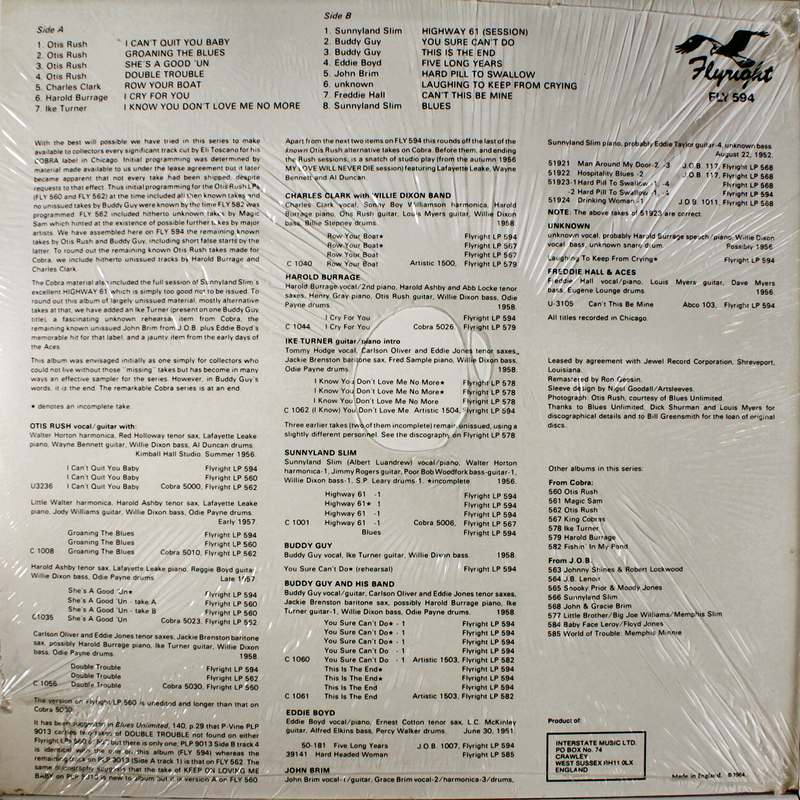 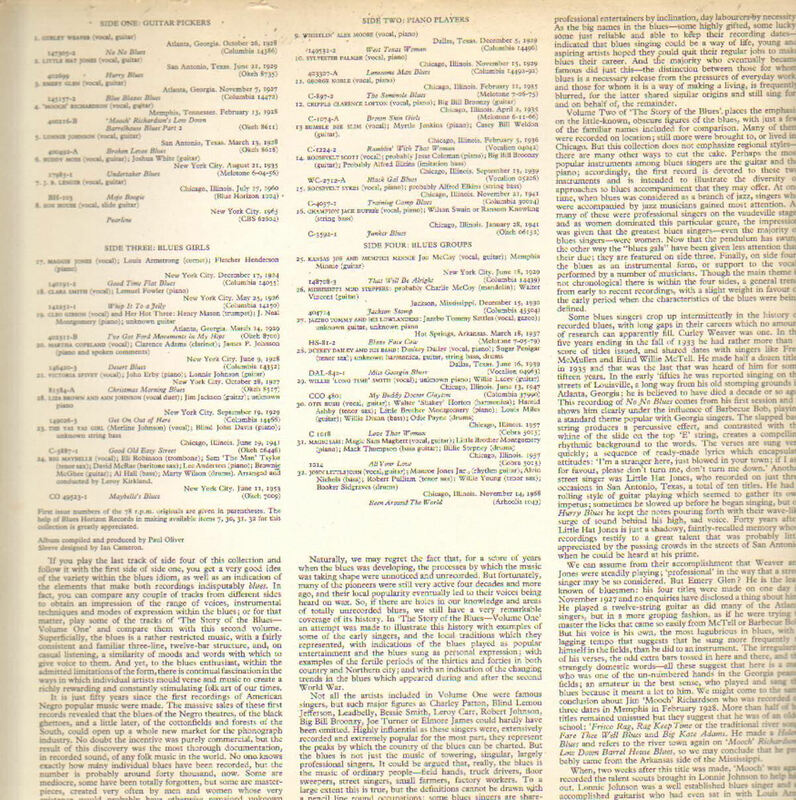 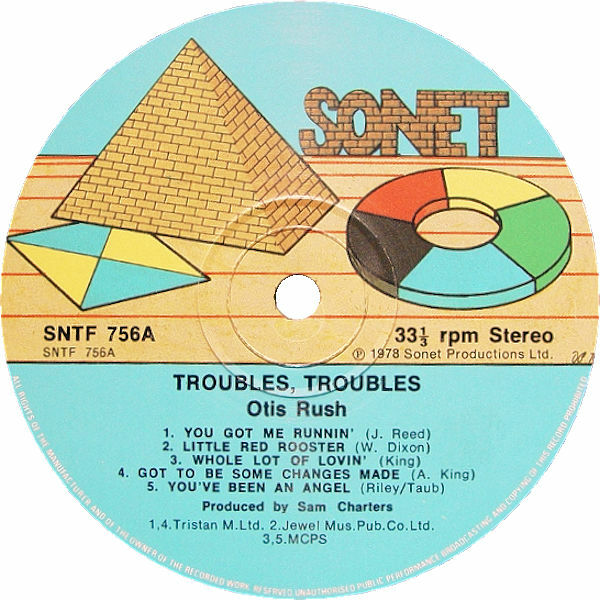 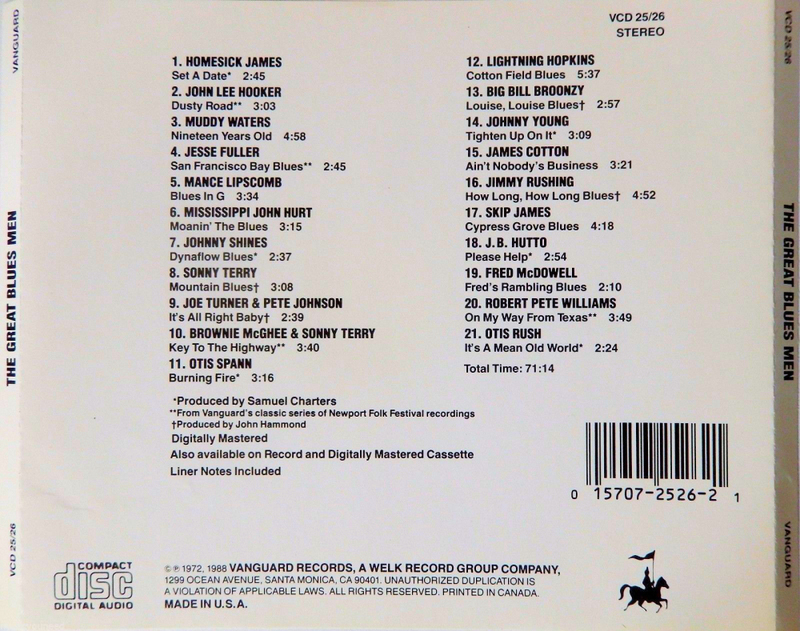 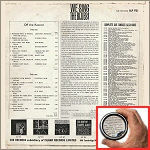 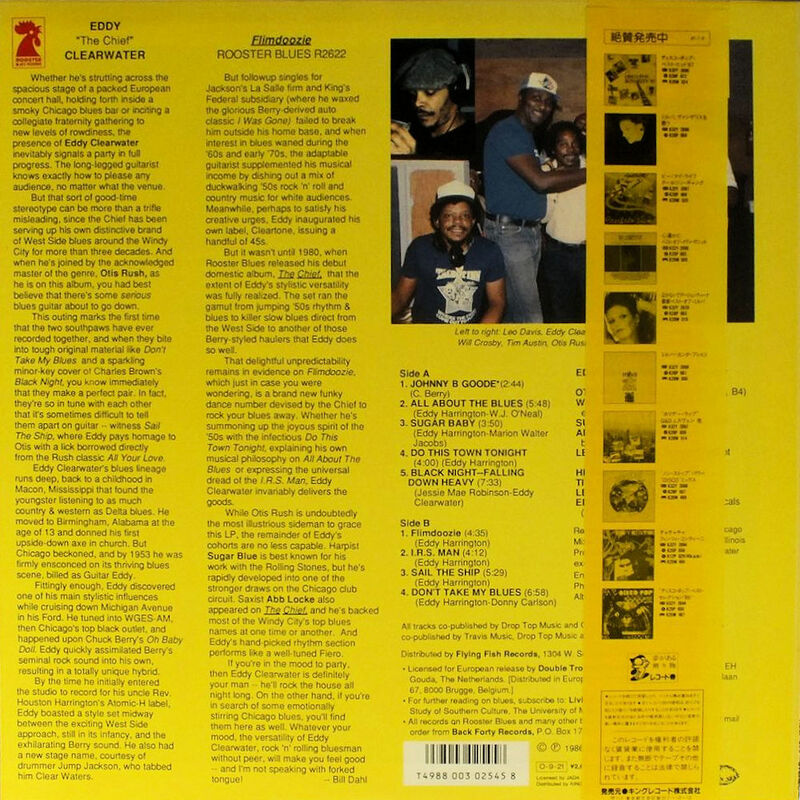 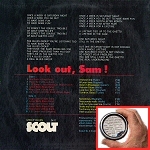 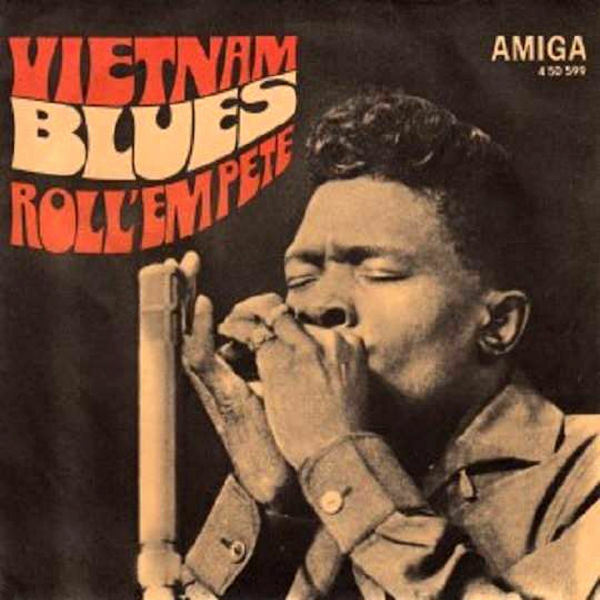 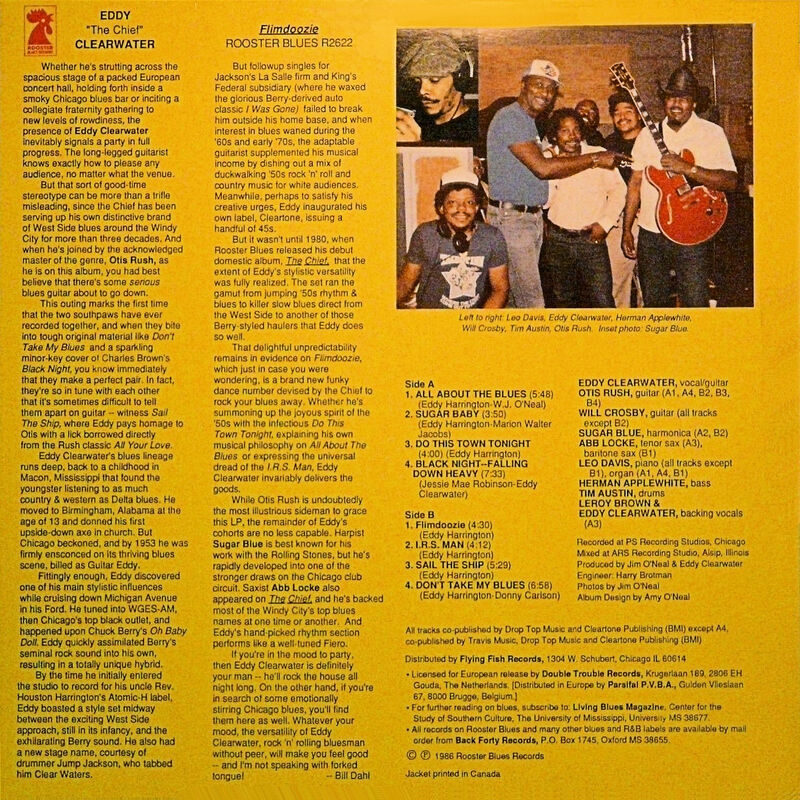 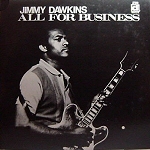 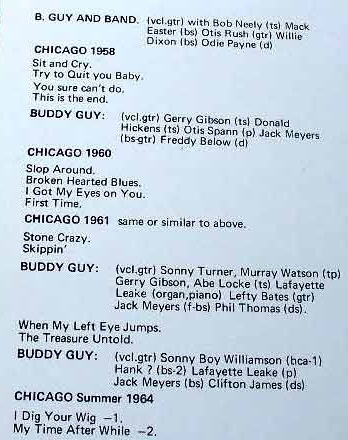 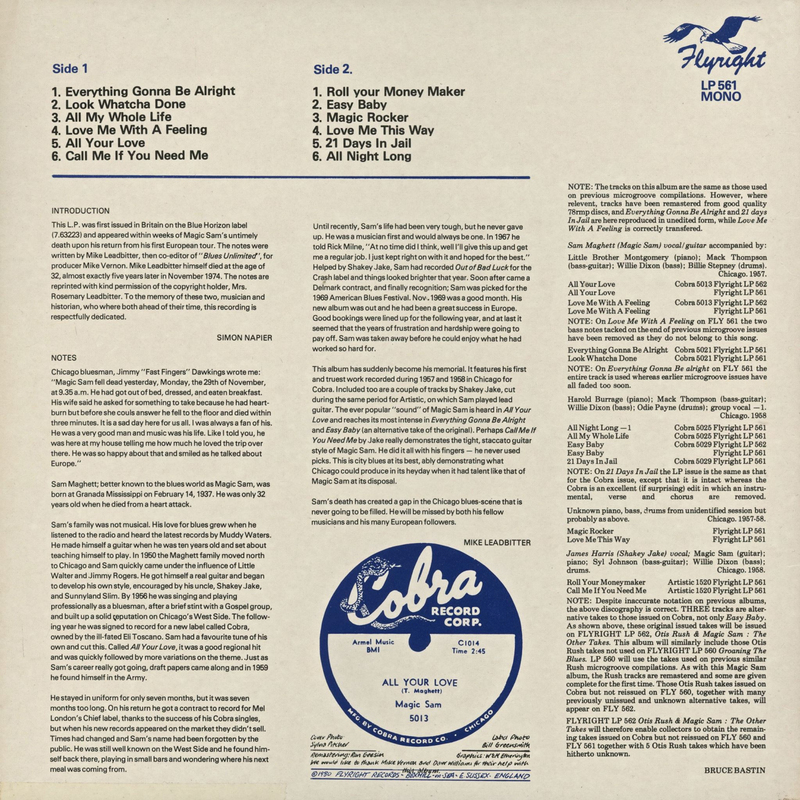 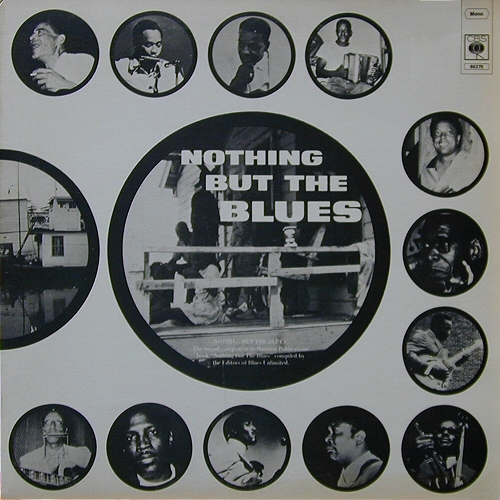 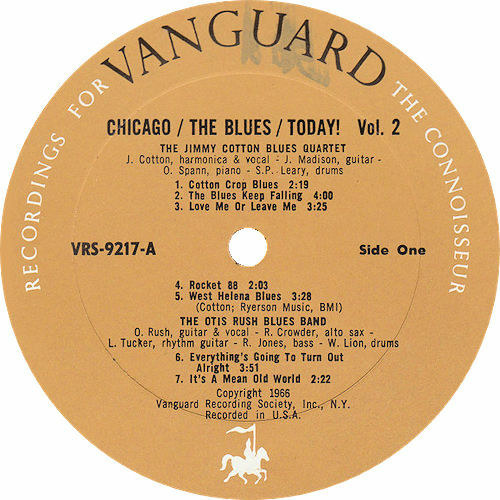 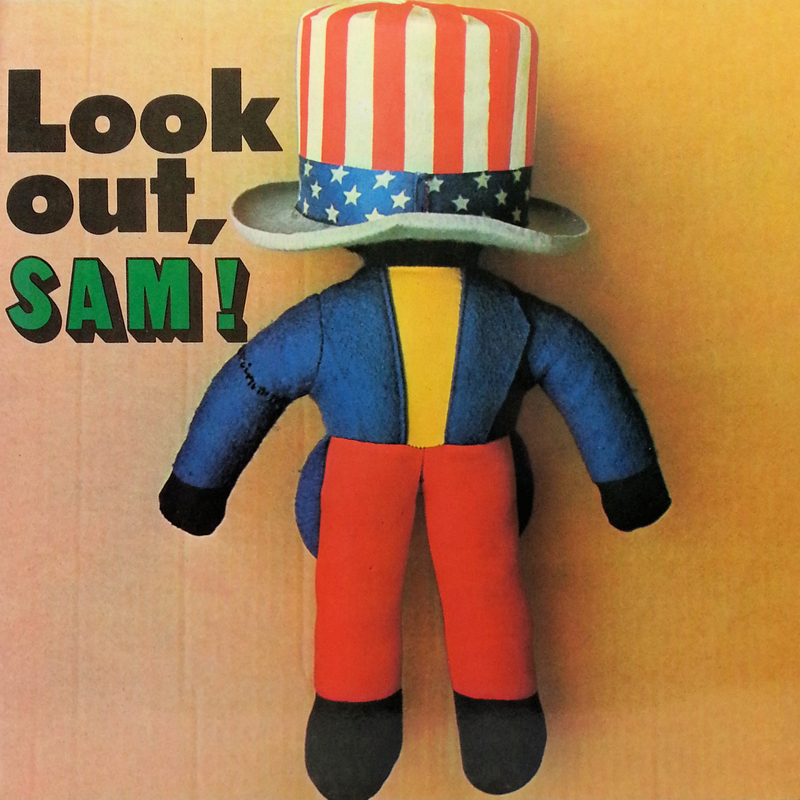 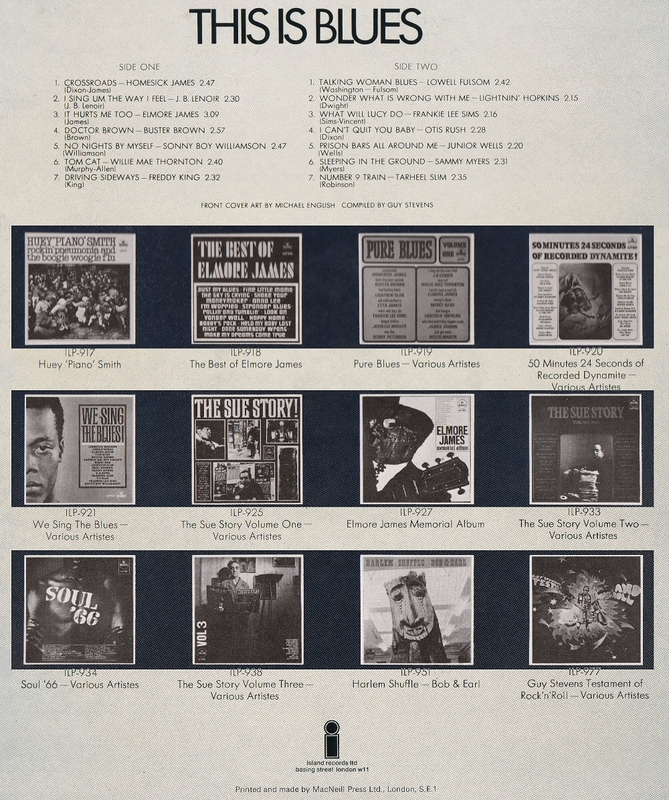 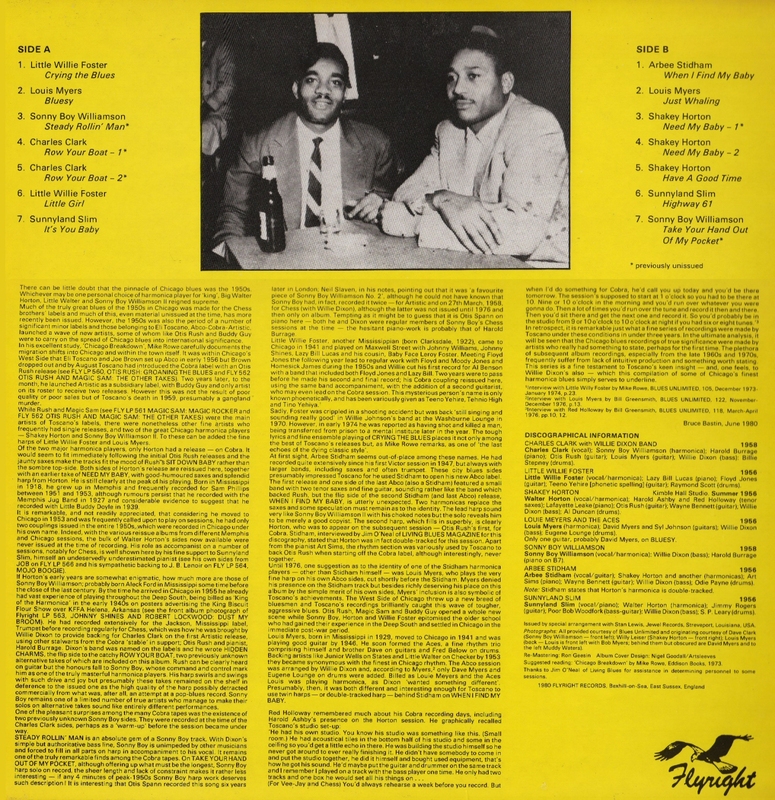 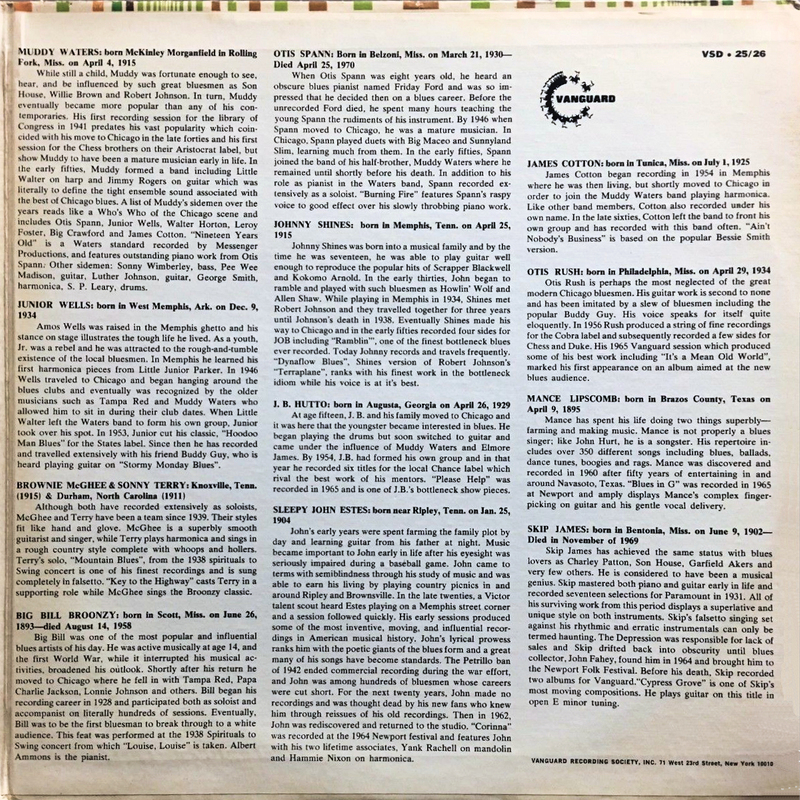 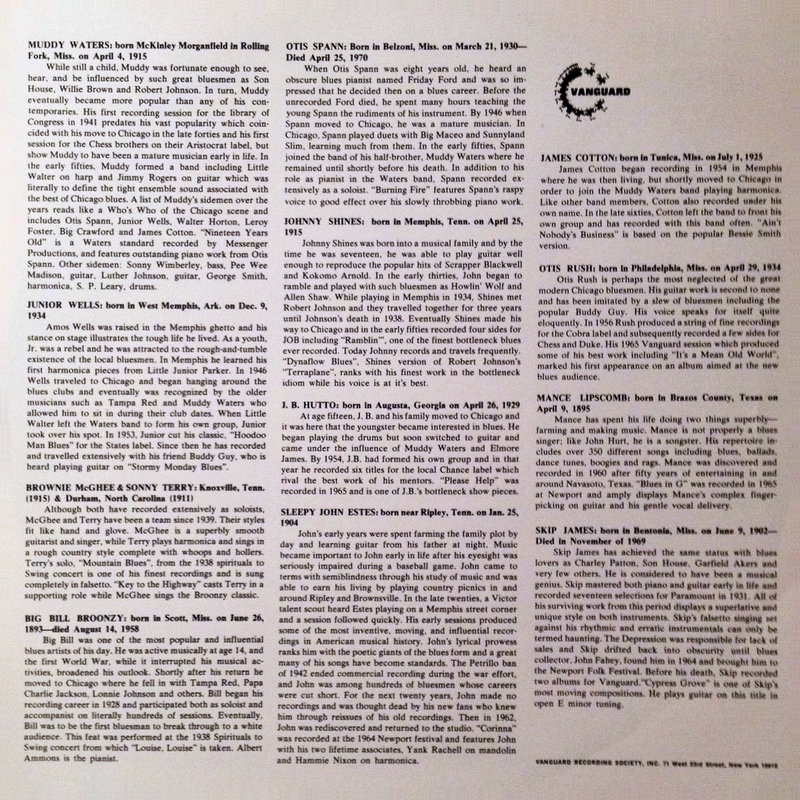 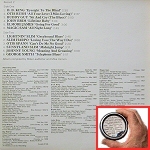 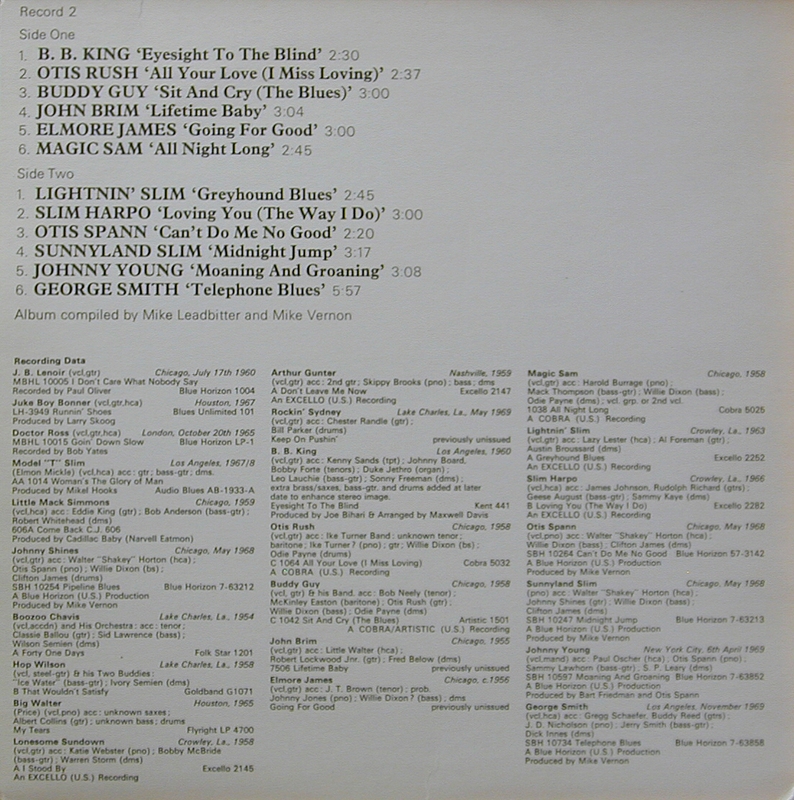 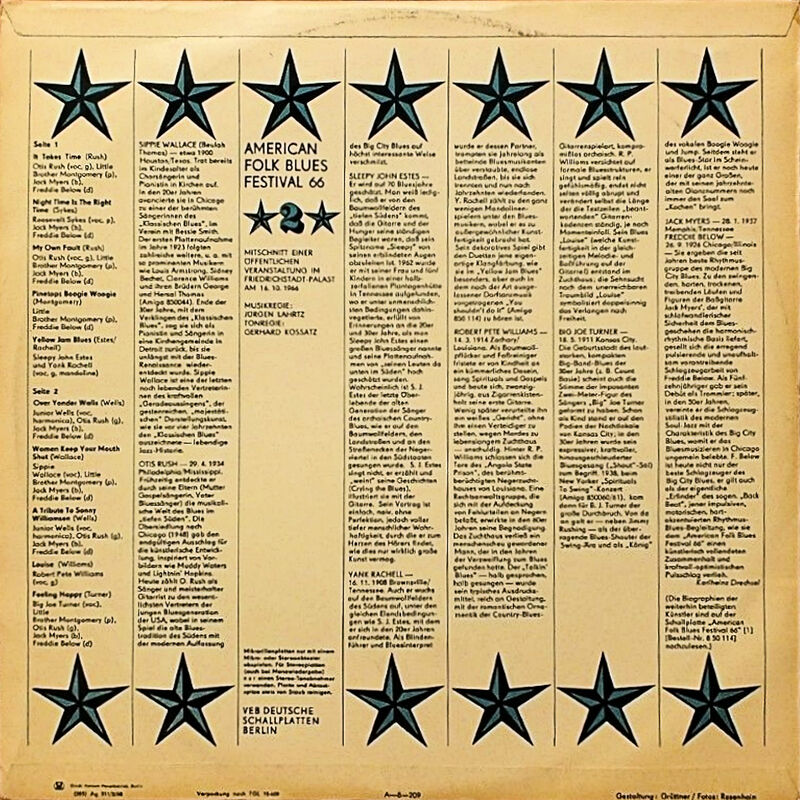 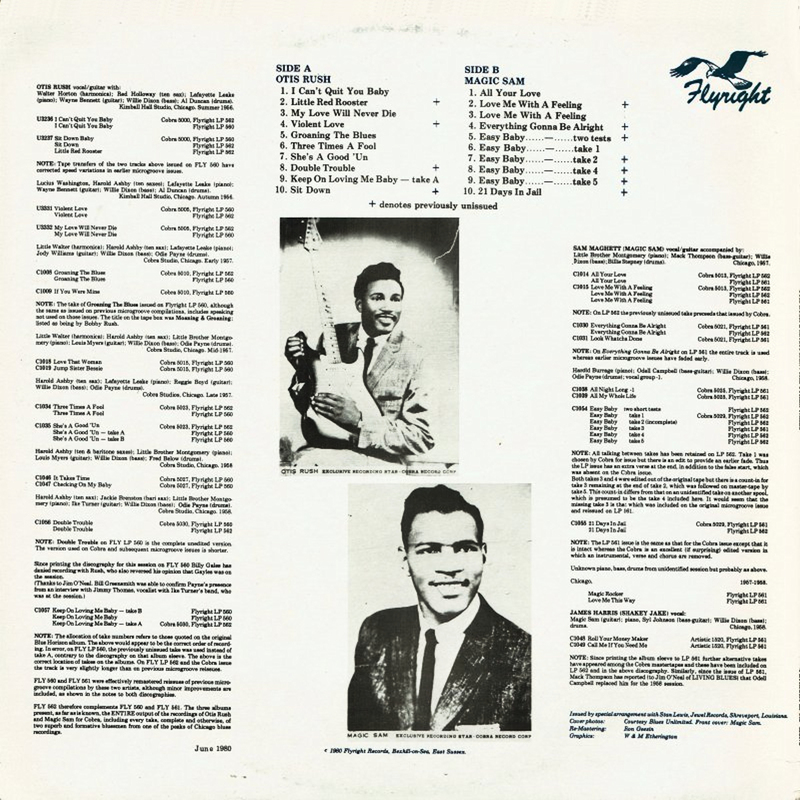 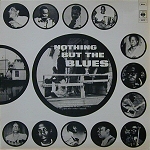 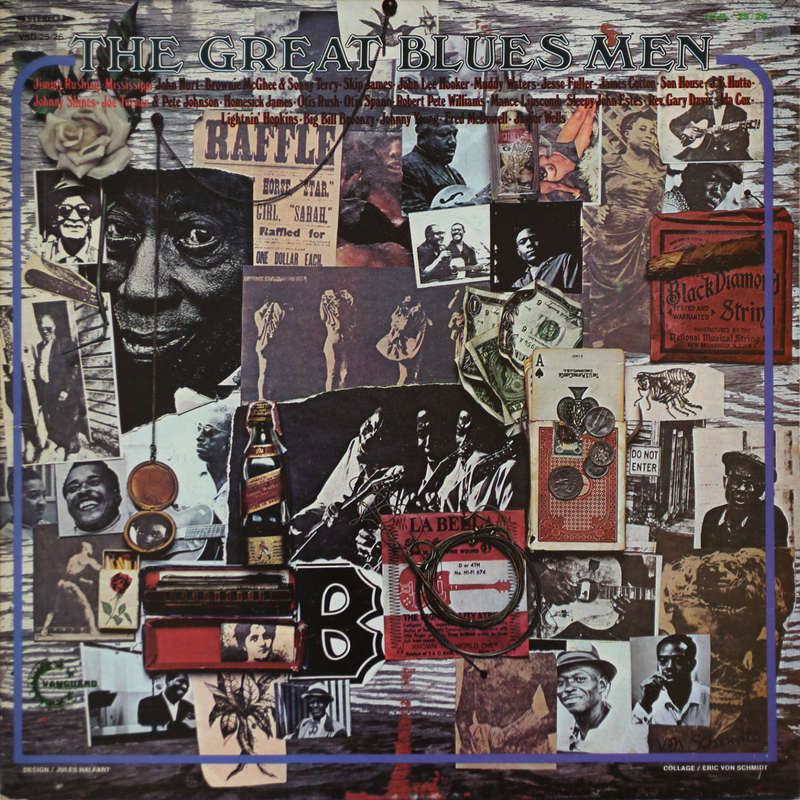 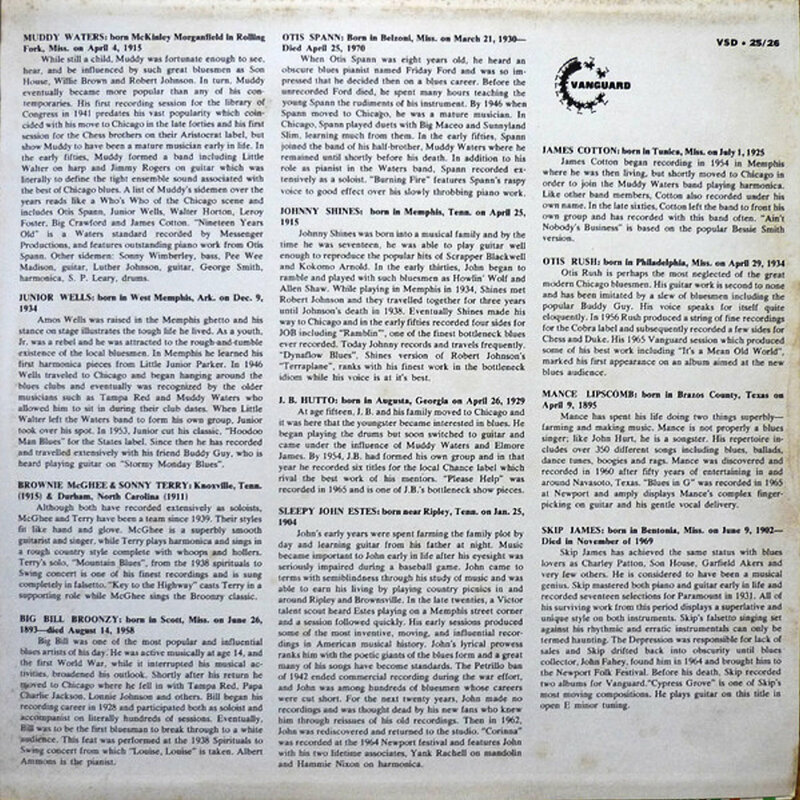 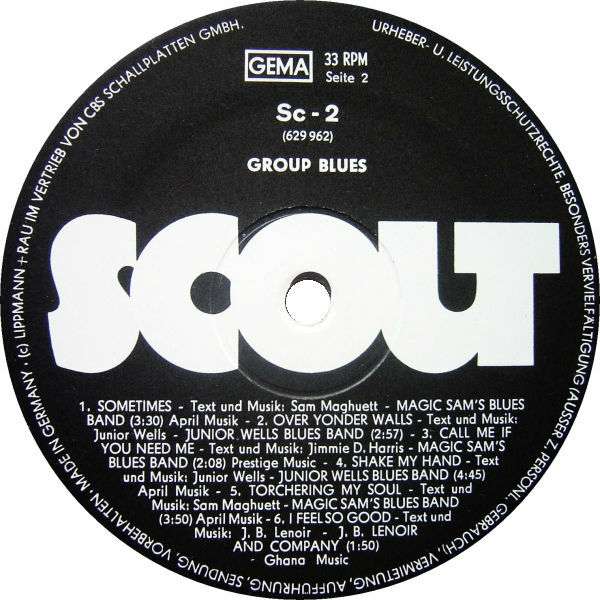 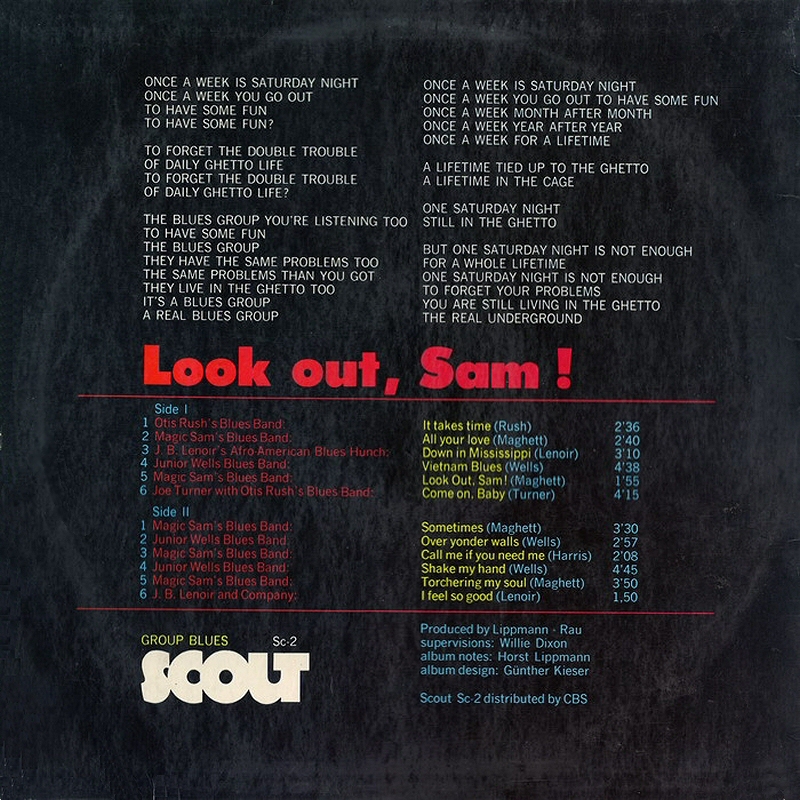 "Mighty Joe Young, g and James Green, b claimed to have played on the above"
"Homework" taken from the album "Ain't Enough Comin' In"
27 1969 Look out, Sam ! 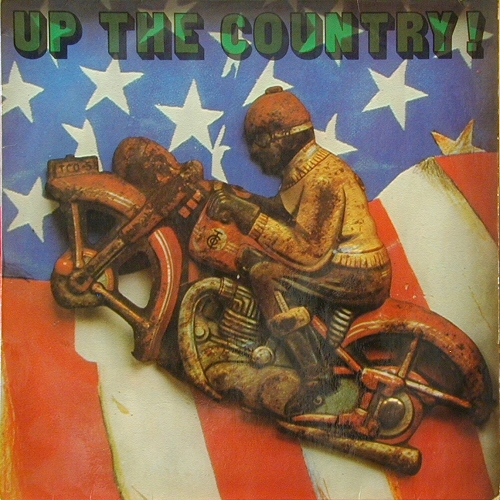 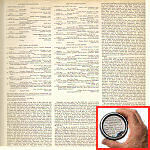 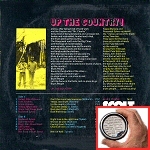 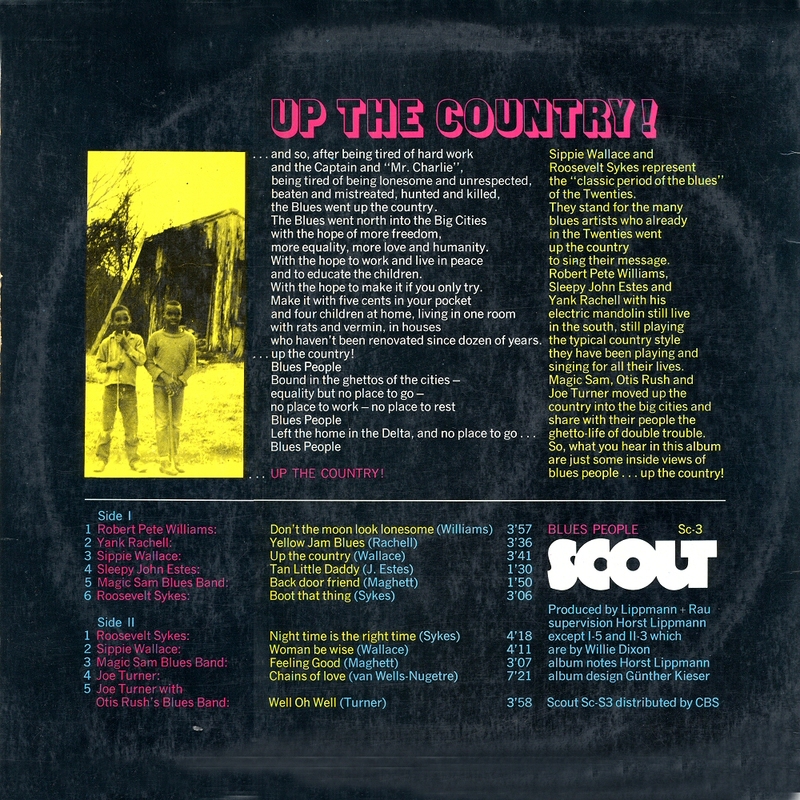 28 1969 Up The Country! 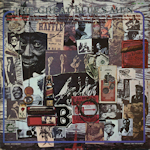 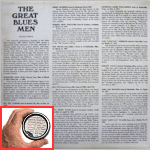 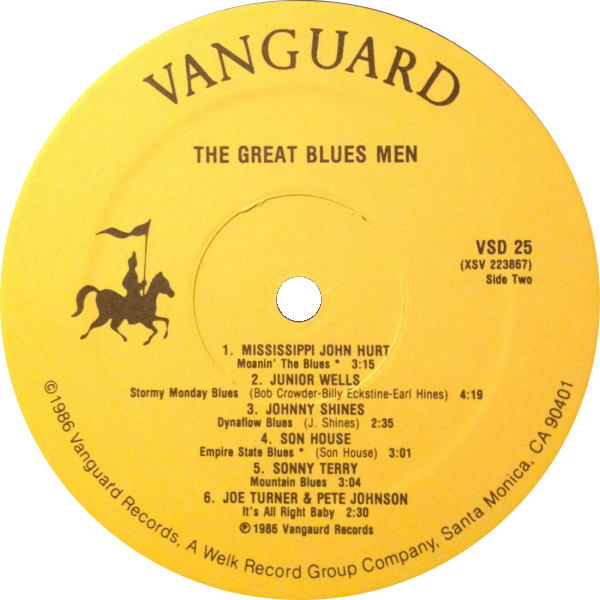 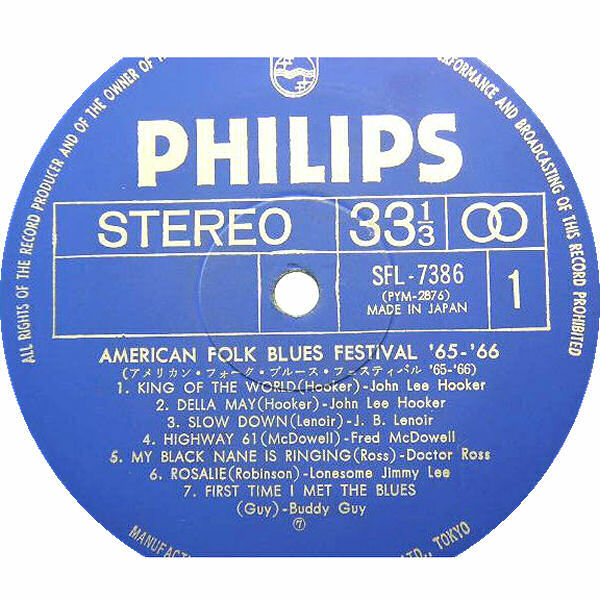 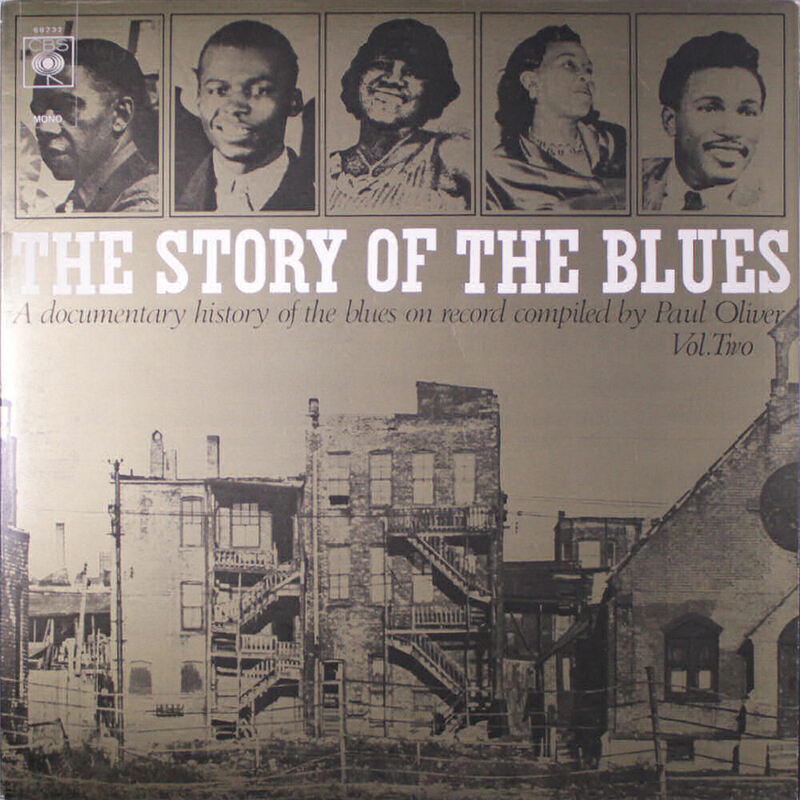 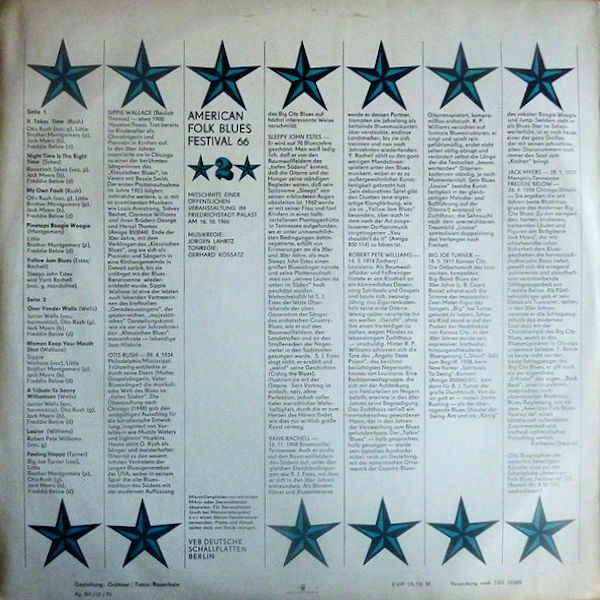 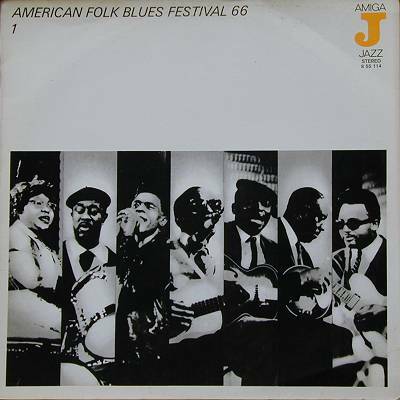 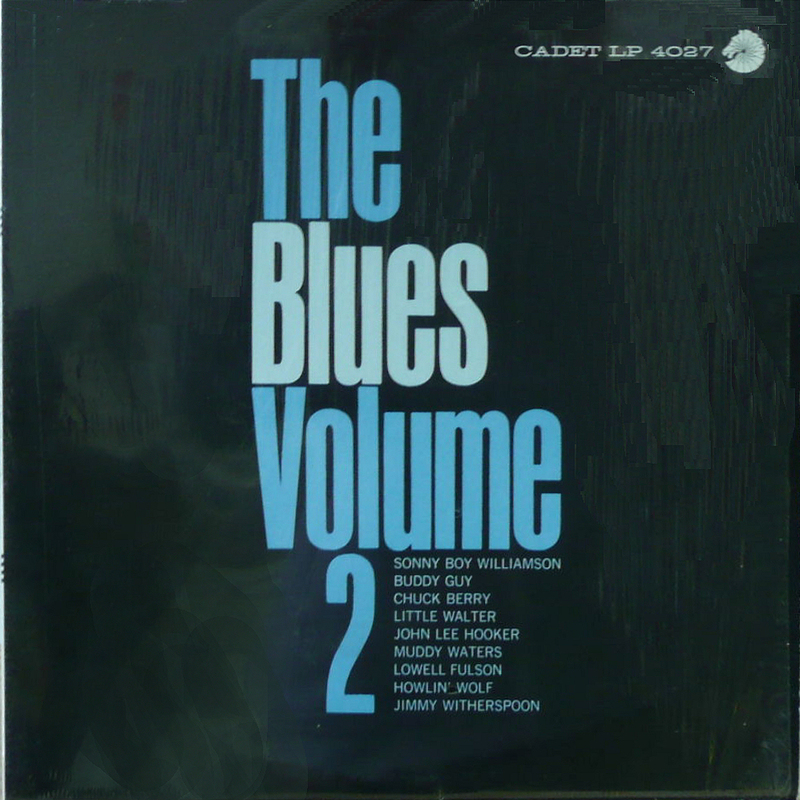 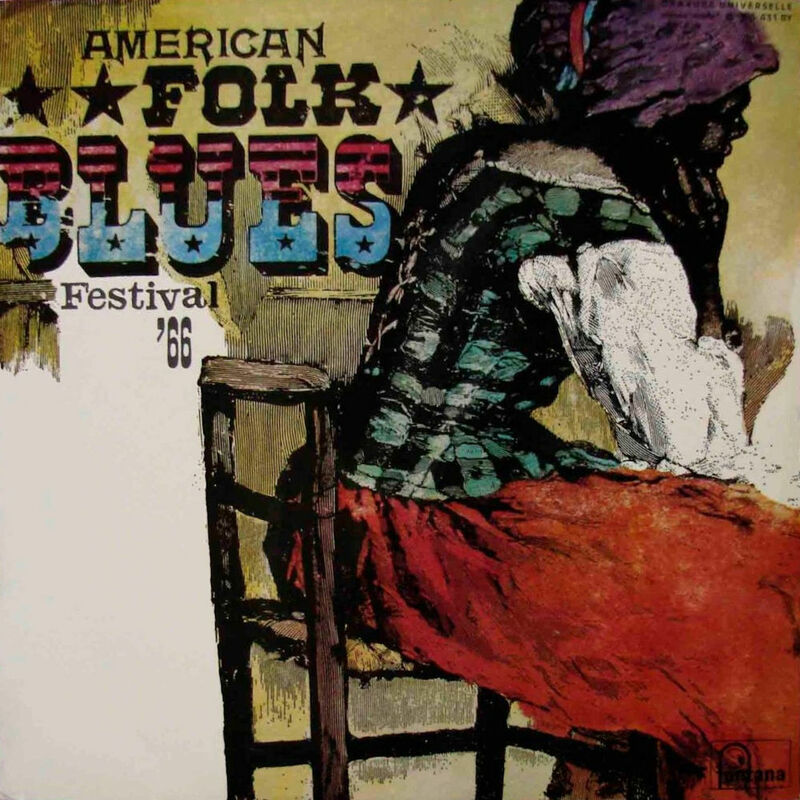 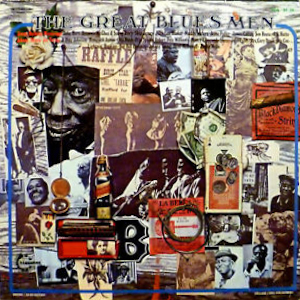 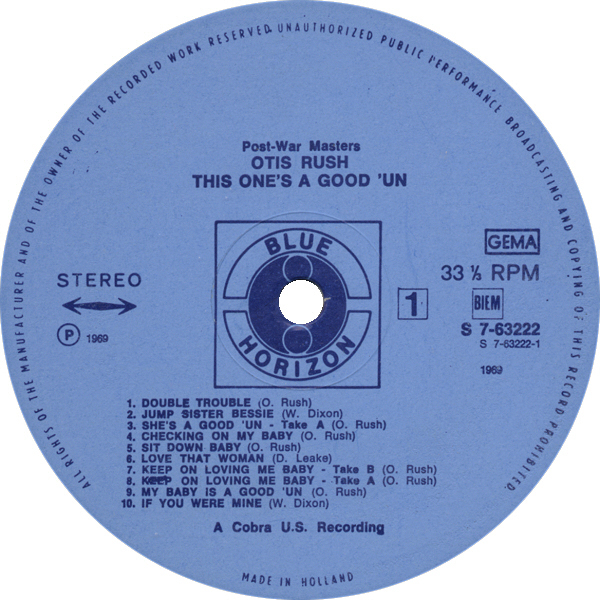 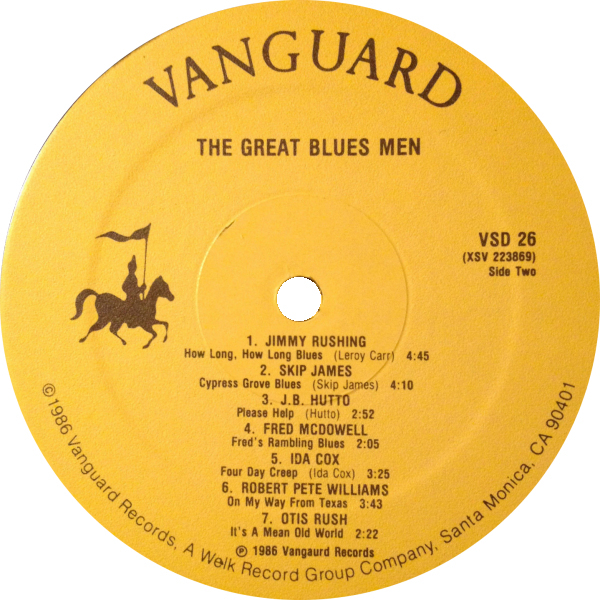 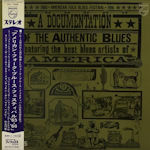 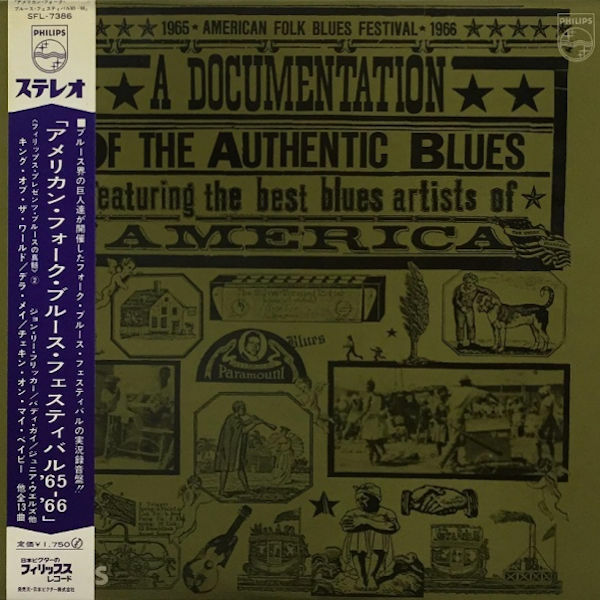 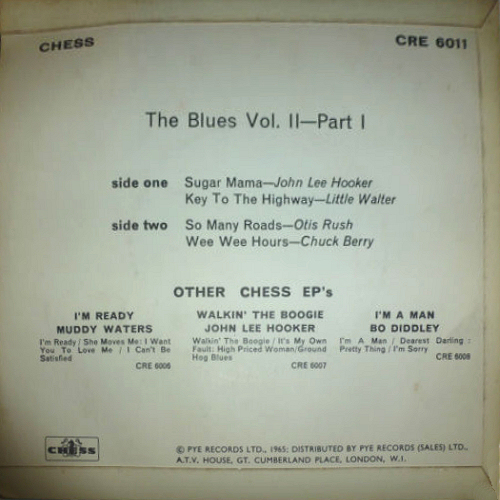 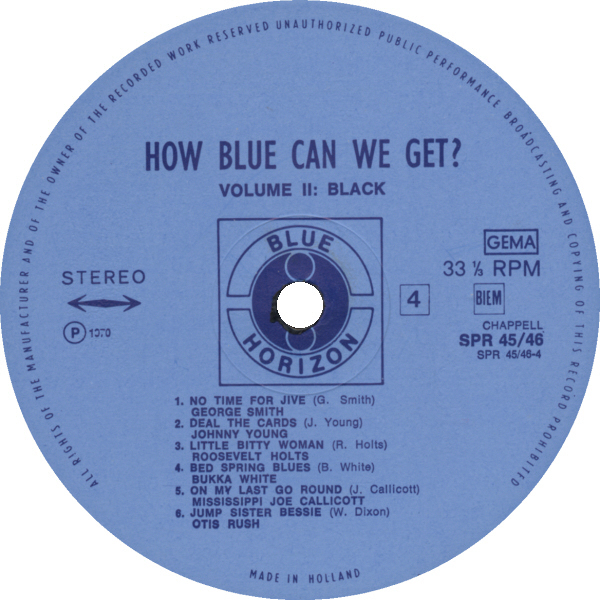 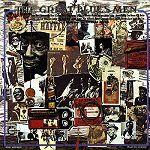 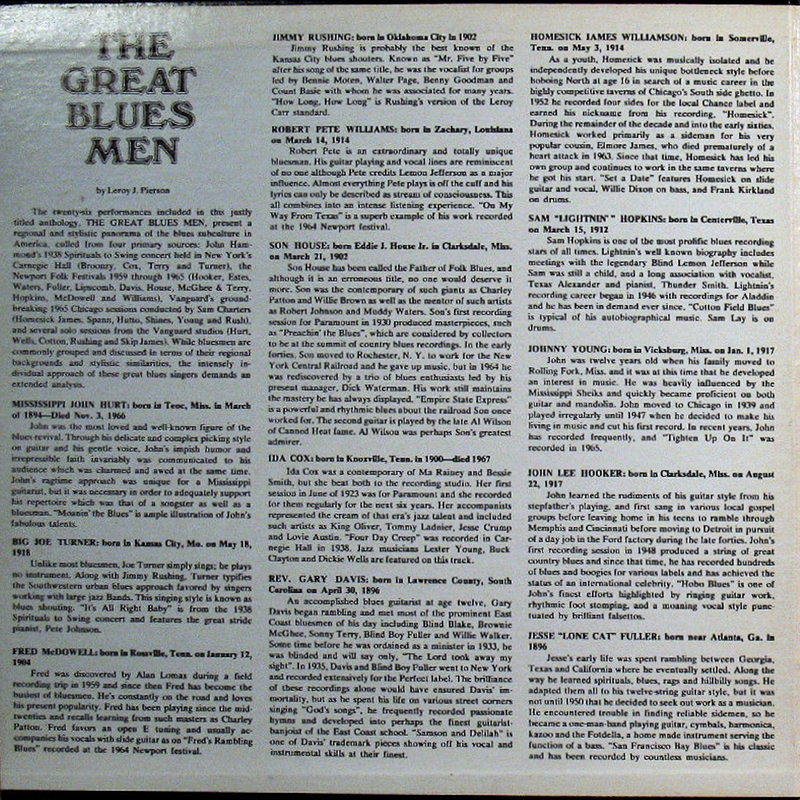 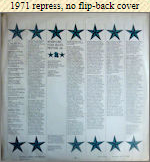 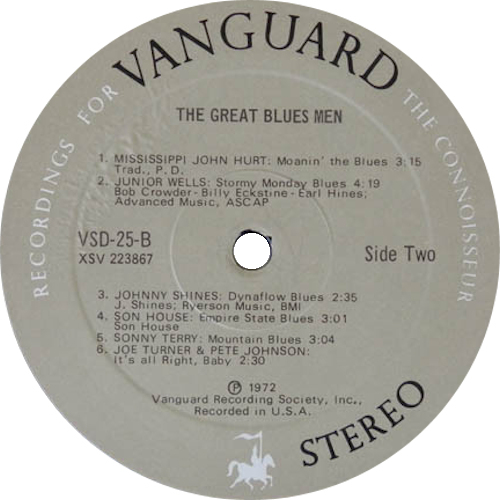 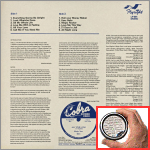 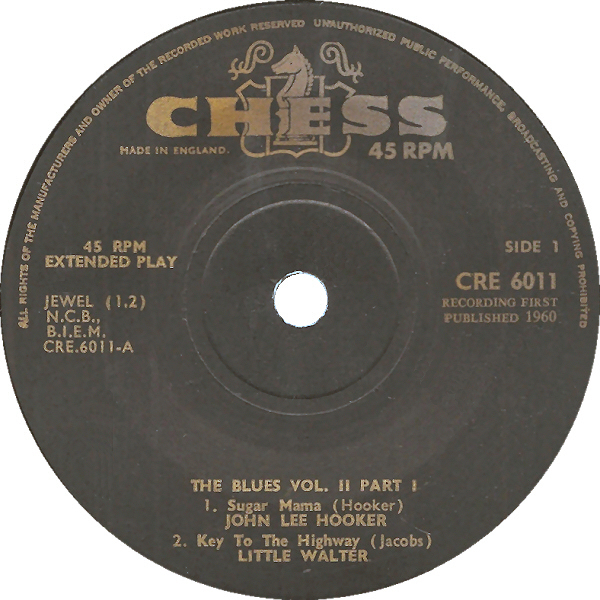 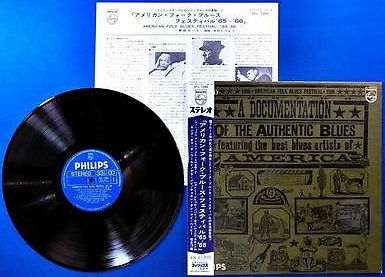 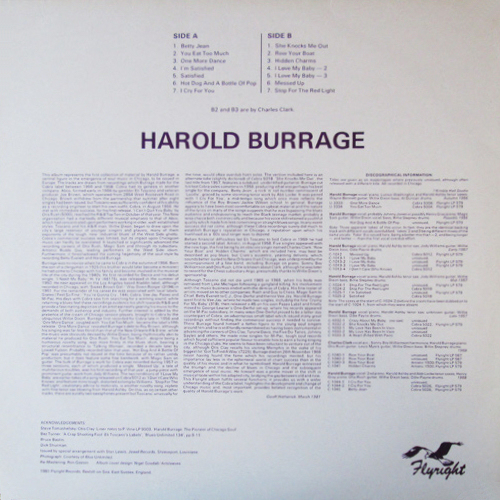 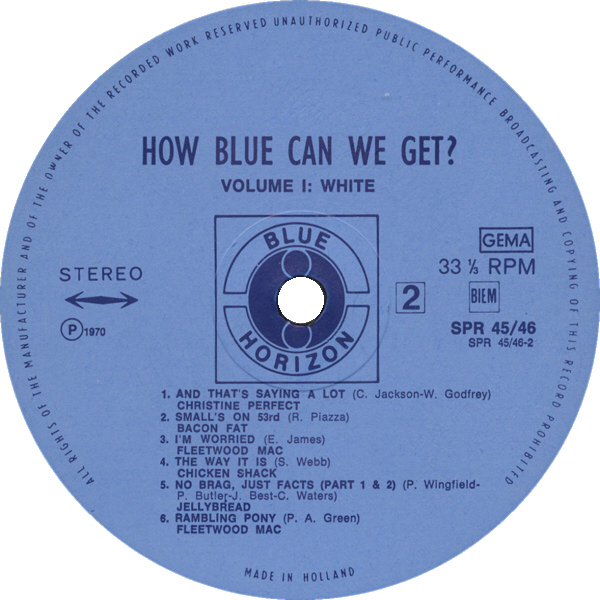 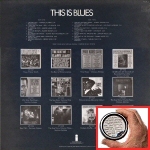 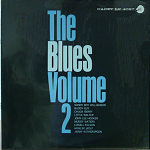 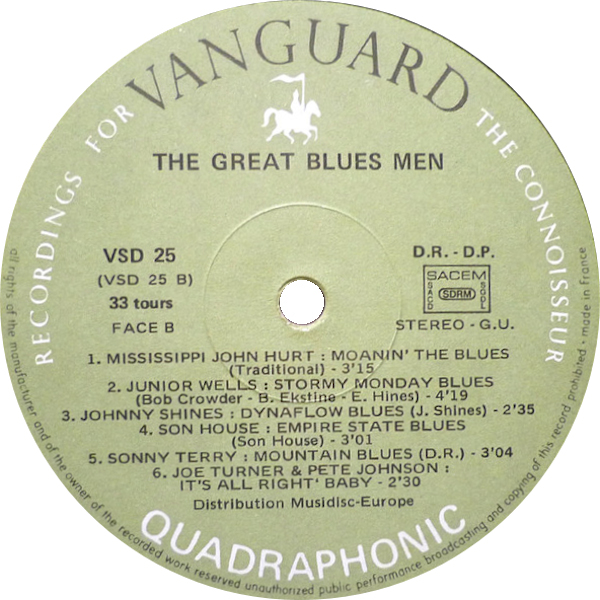 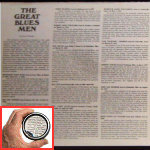 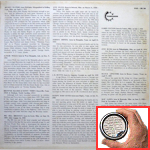 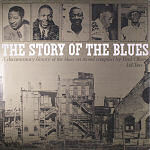 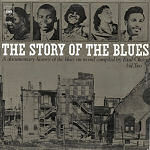 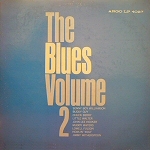 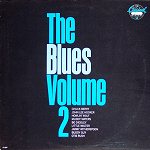 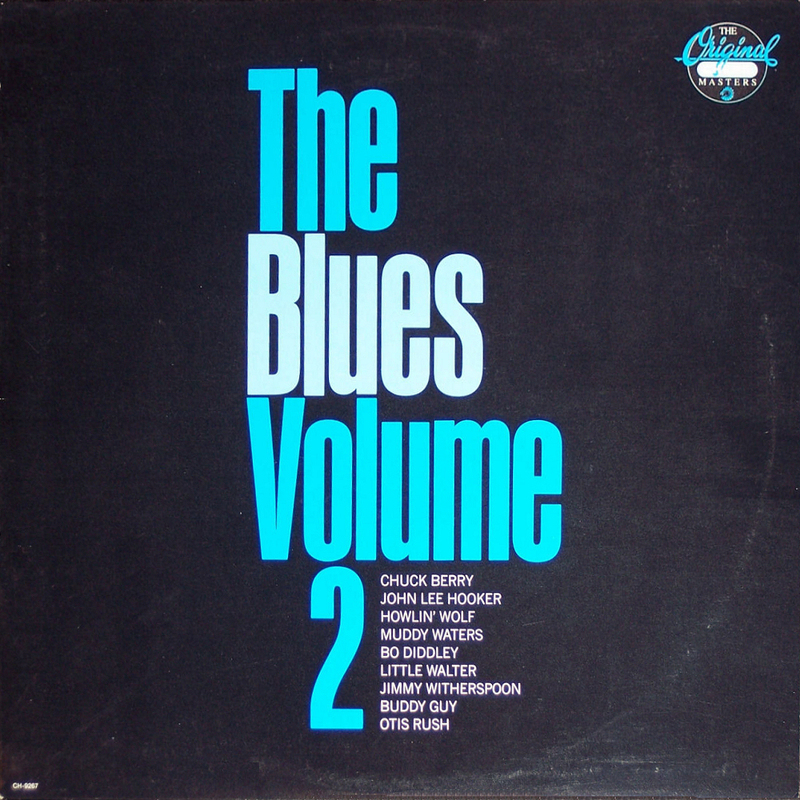 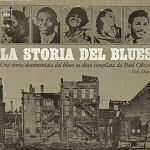 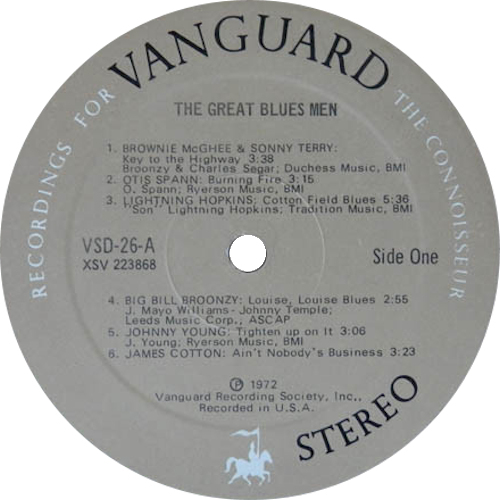 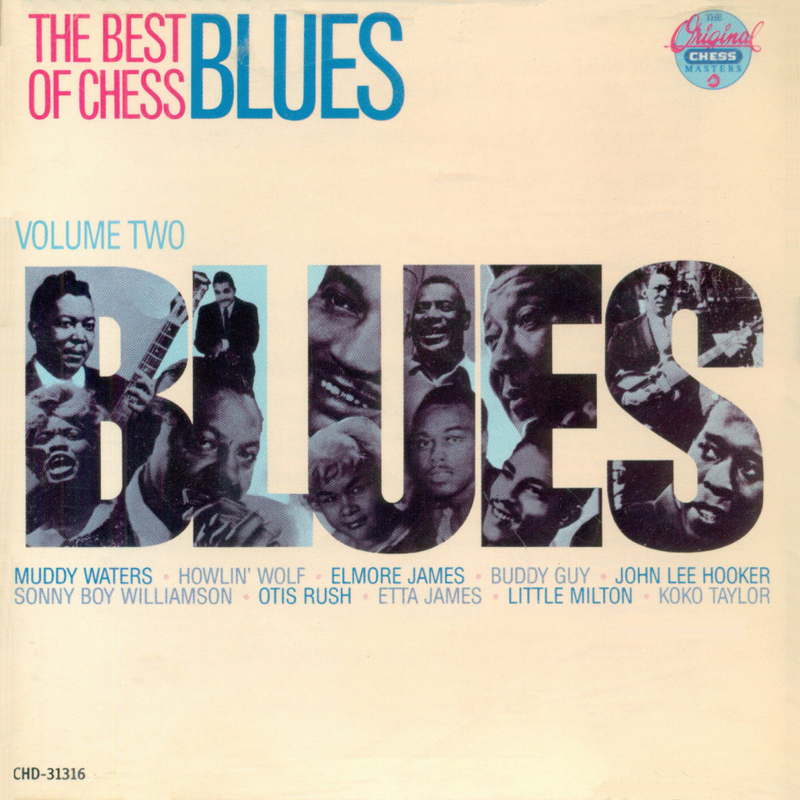 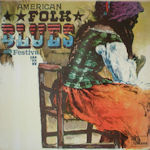 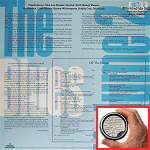 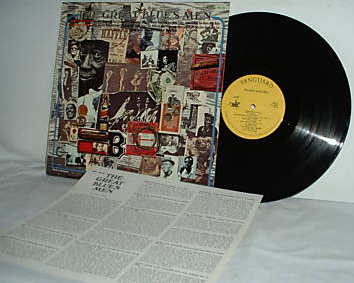 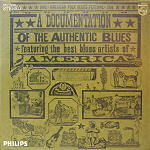 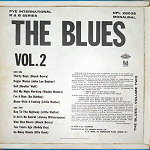 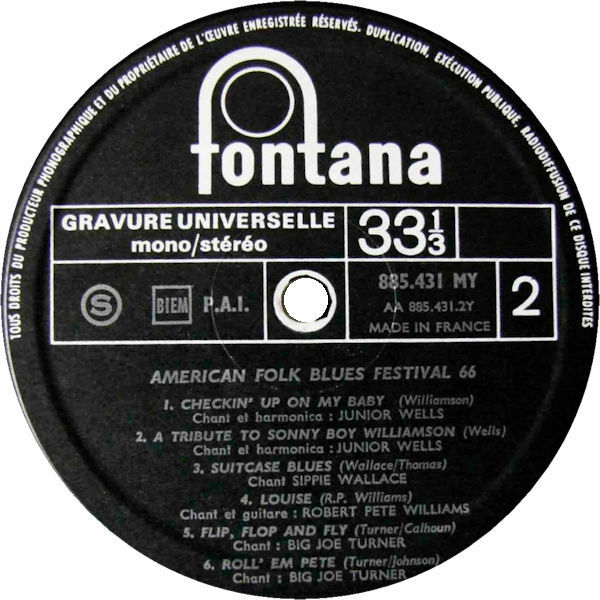 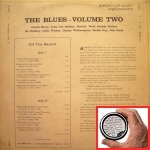 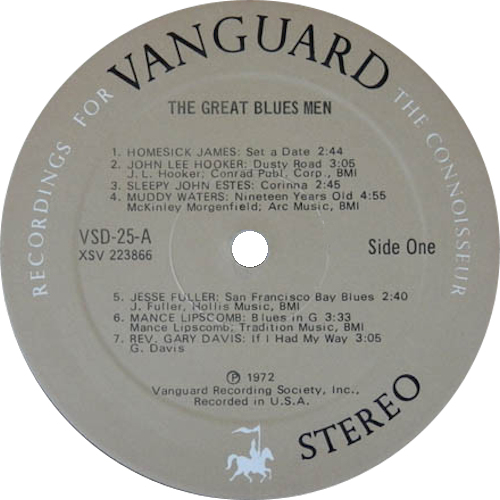 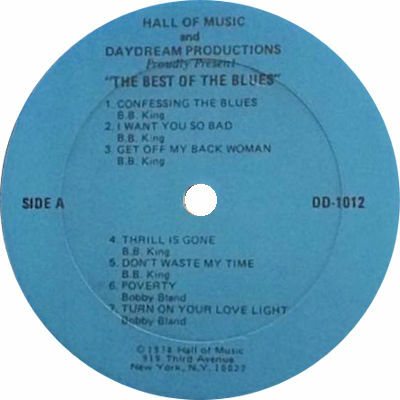 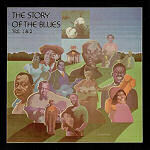 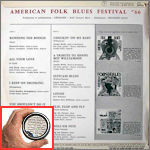 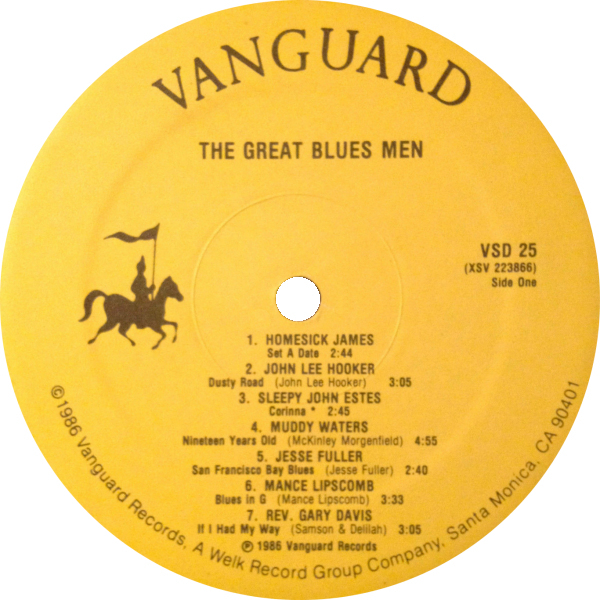 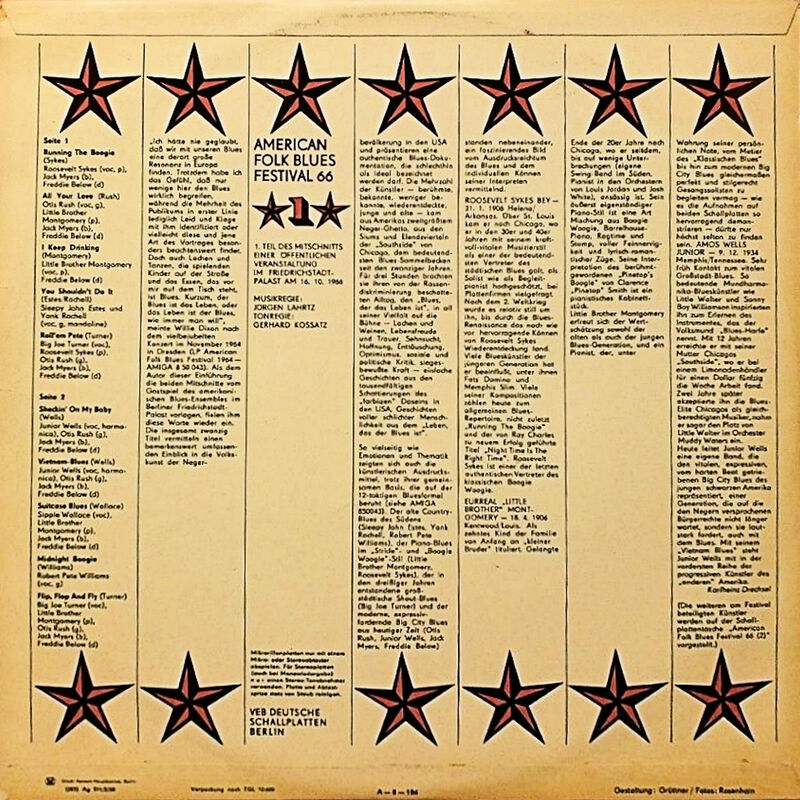 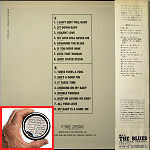 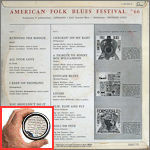 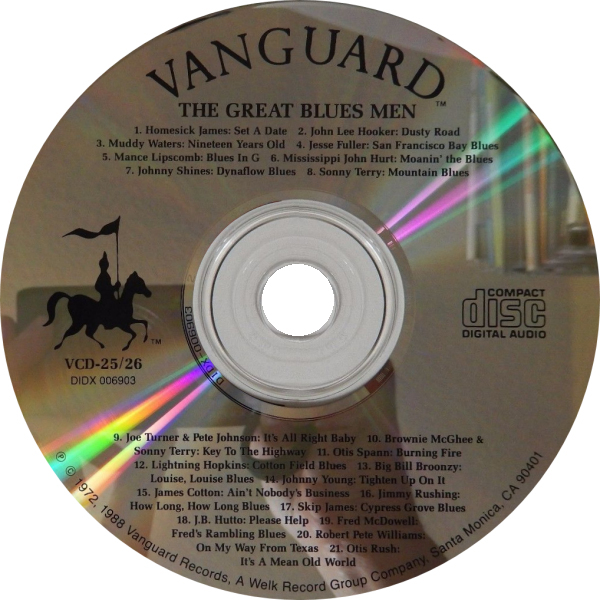 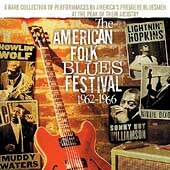 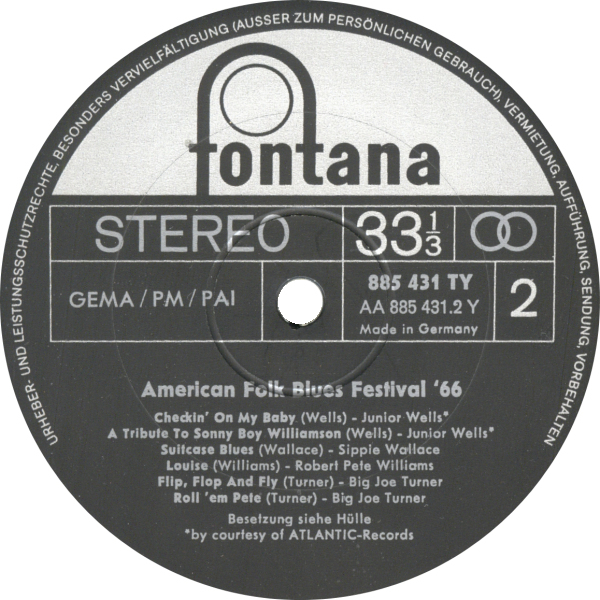 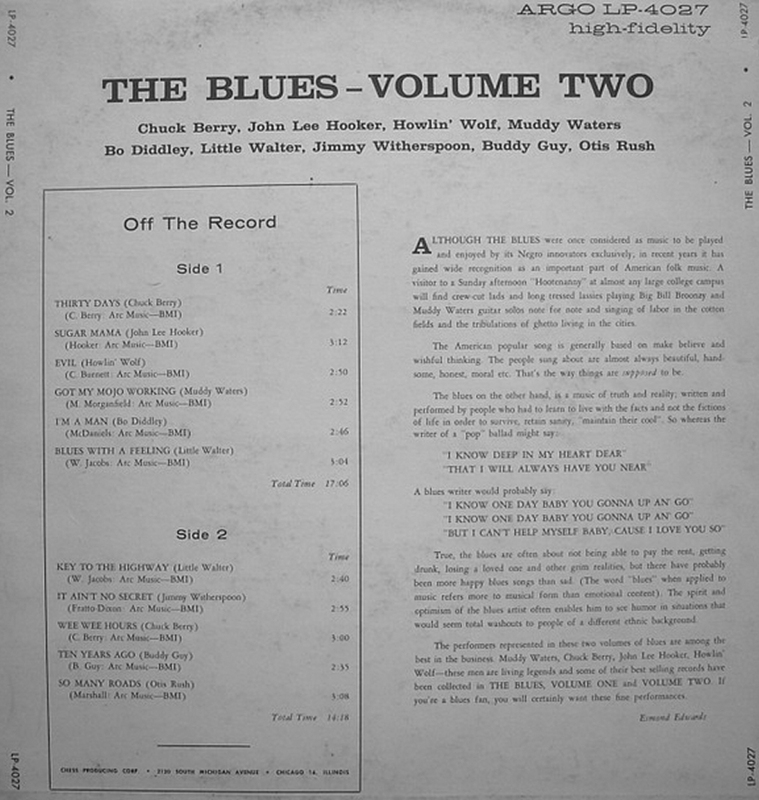 = Blue Horizon BM-4602 (US 1972) "Blues Masters - Vol. 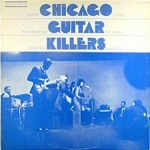 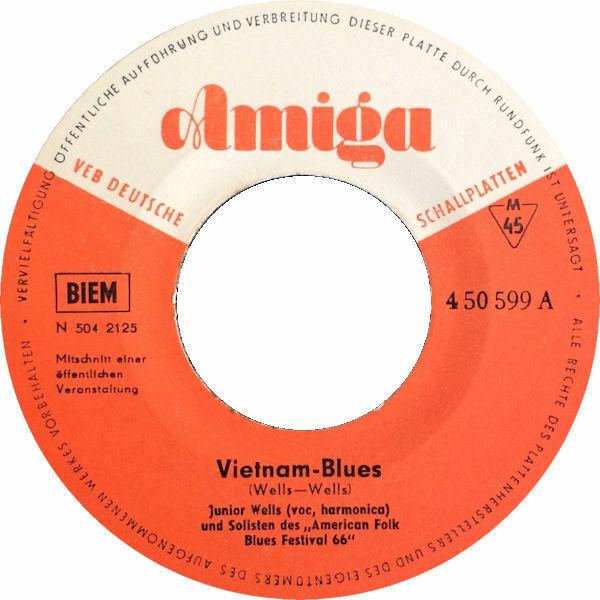 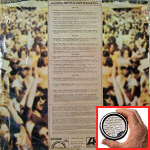 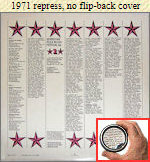 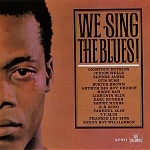 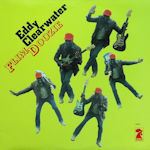 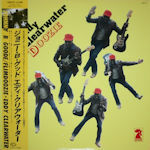 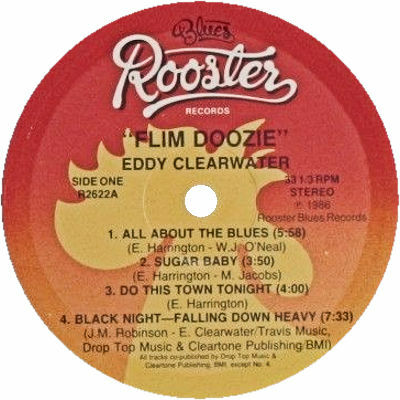 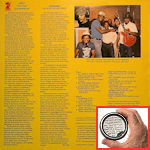 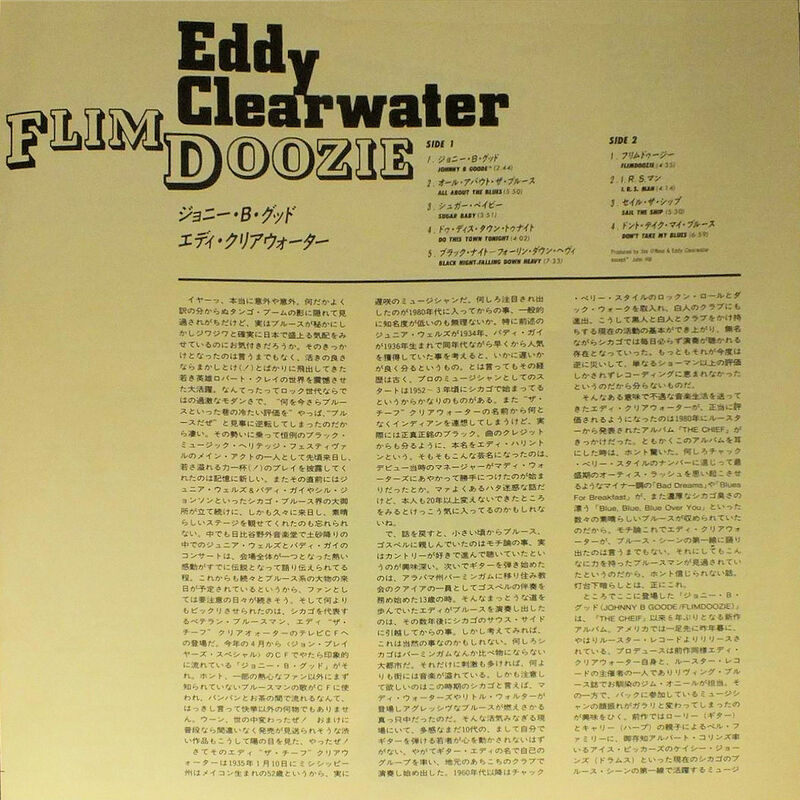 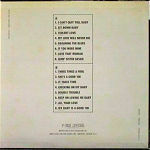 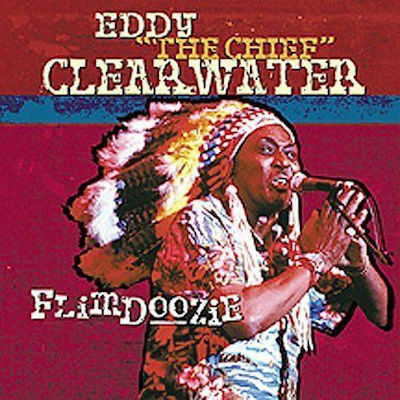 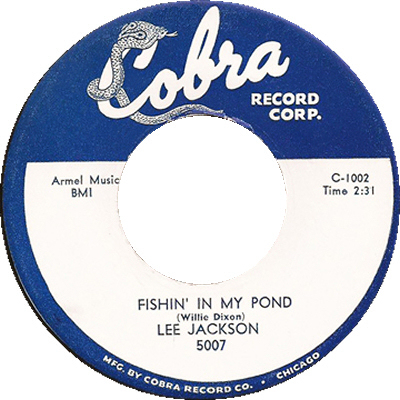 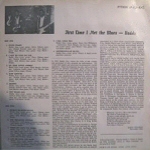 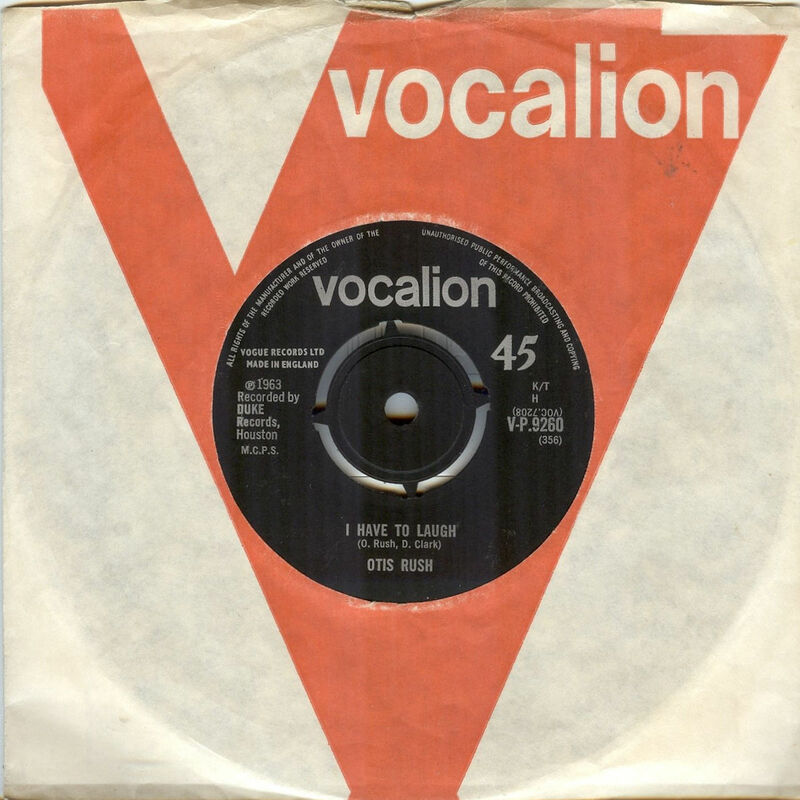 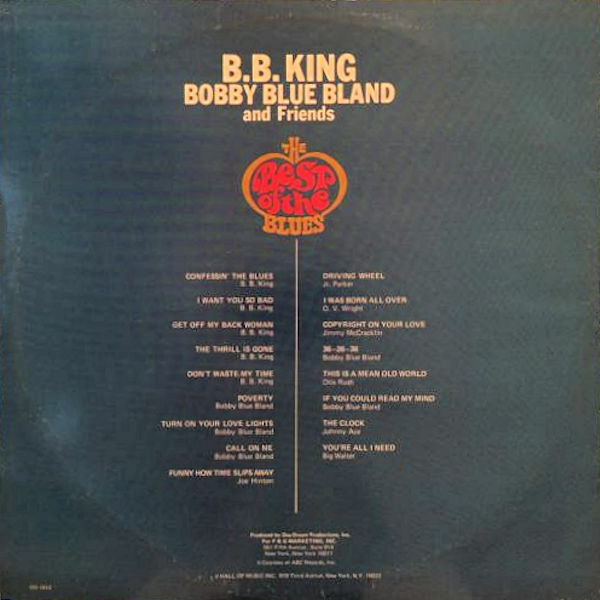 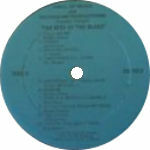 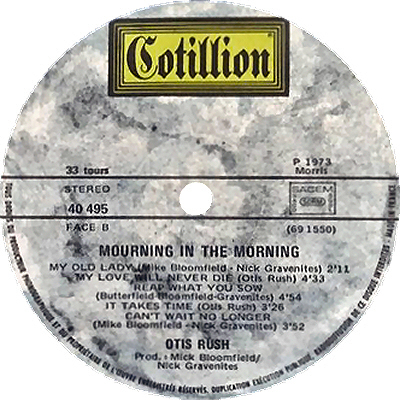 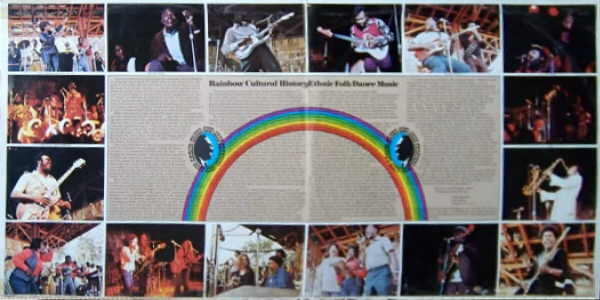 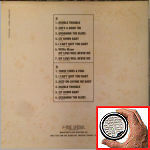 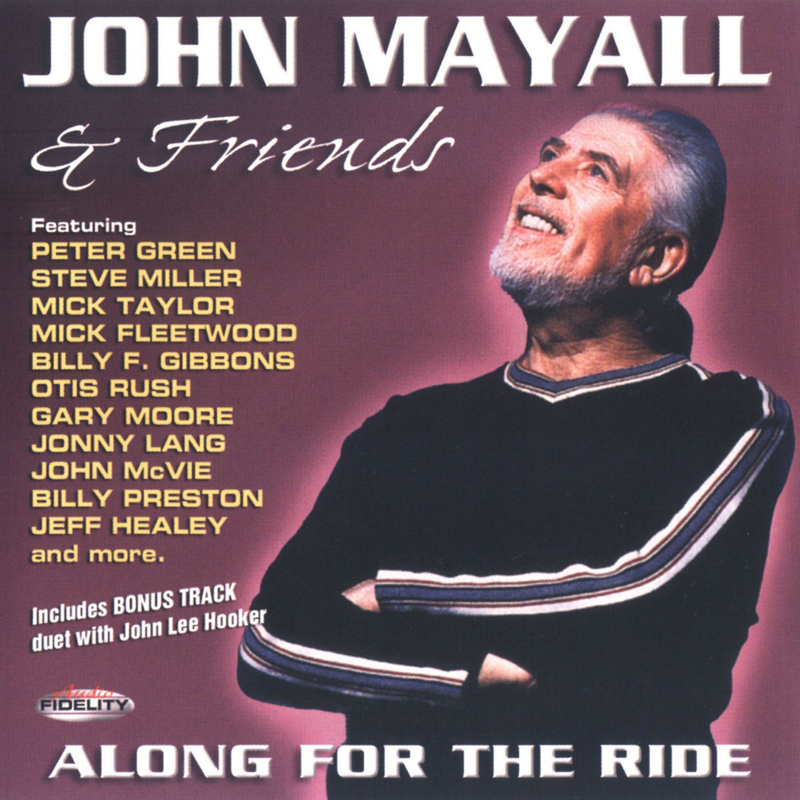 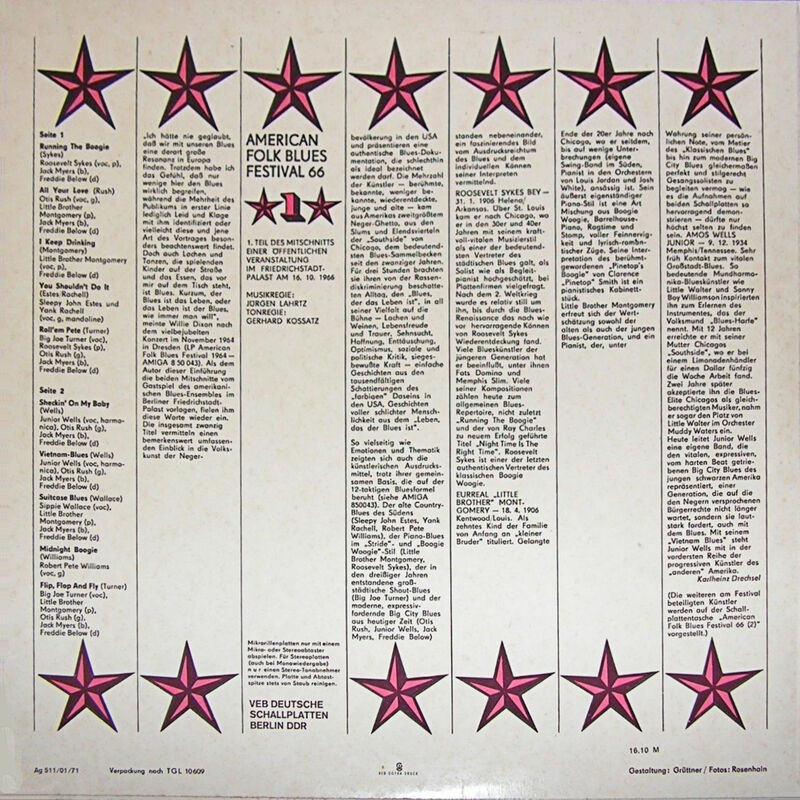 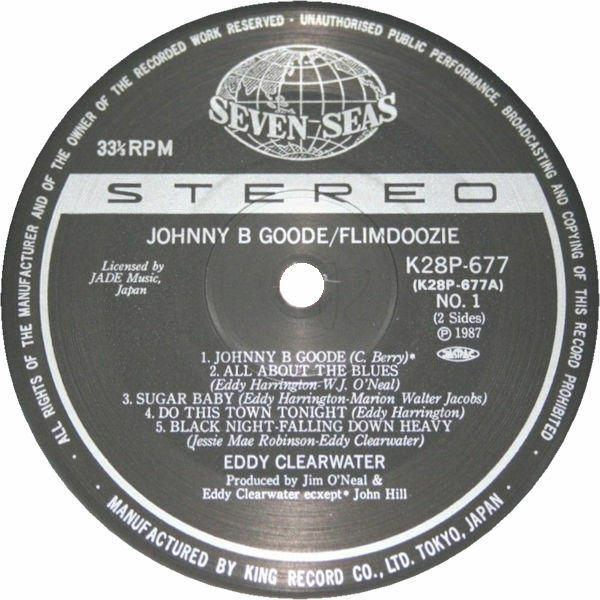 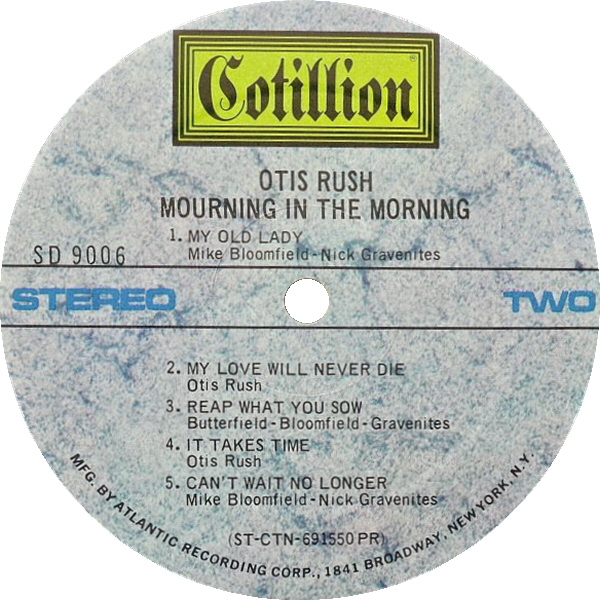 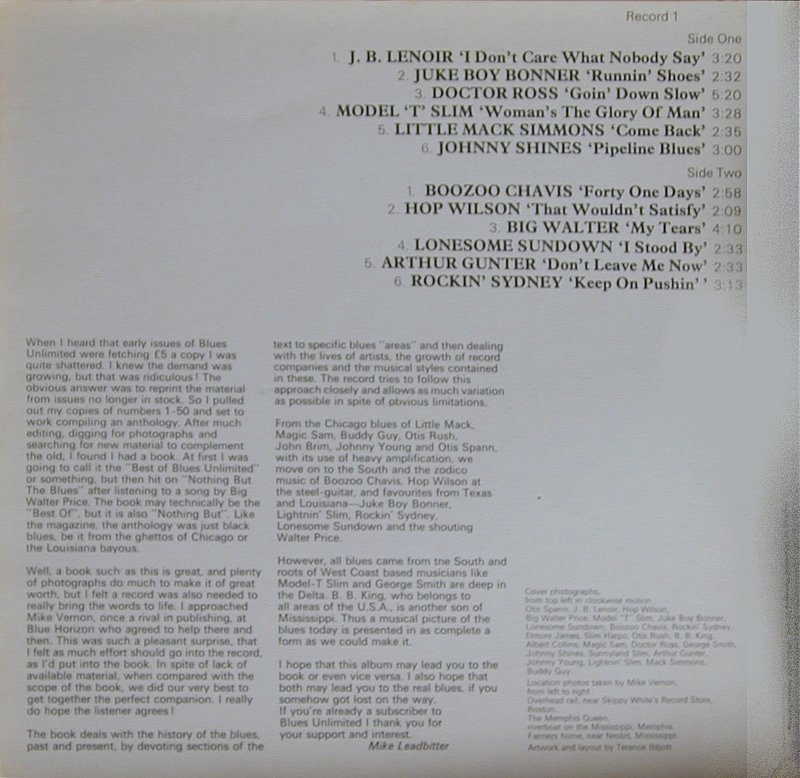 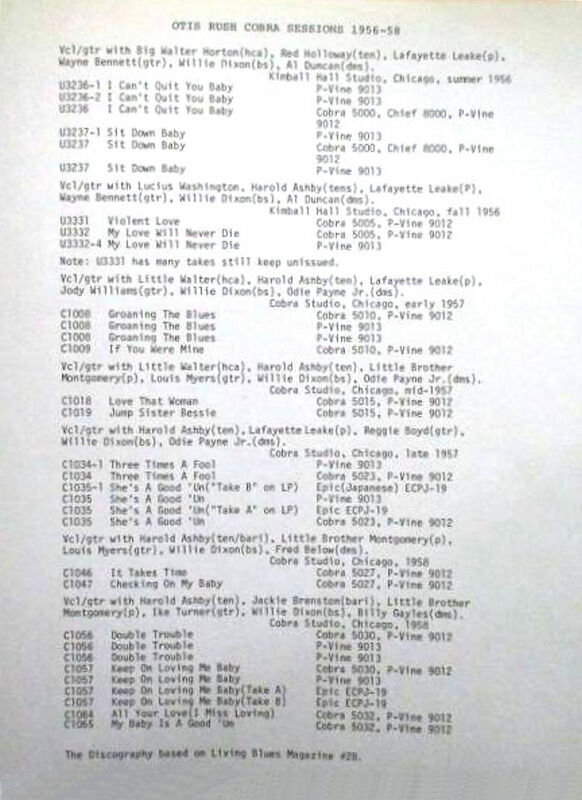 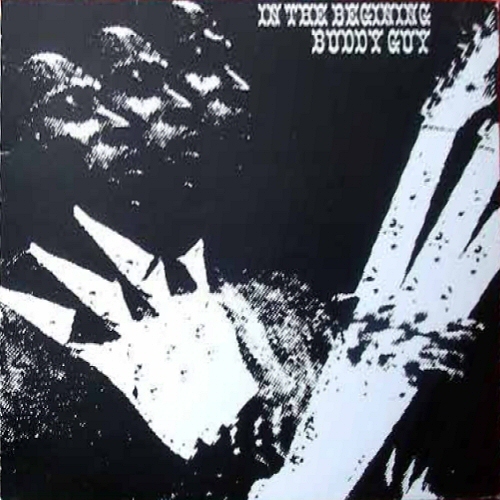 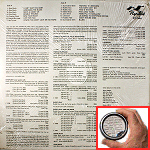 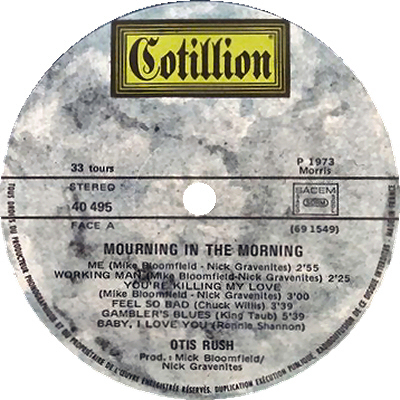 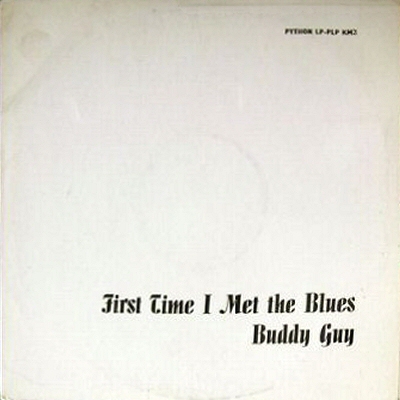 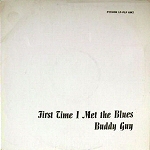 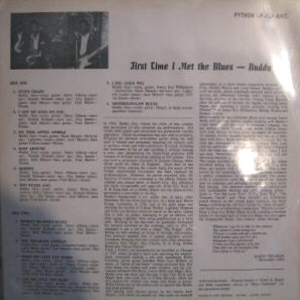 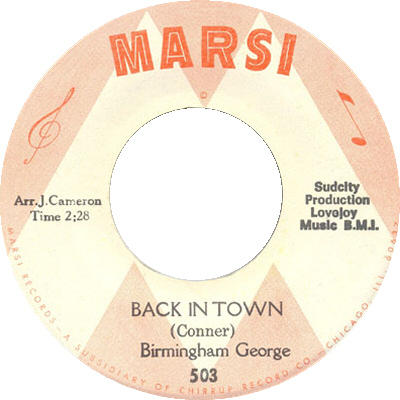 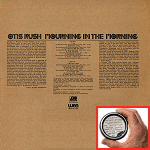 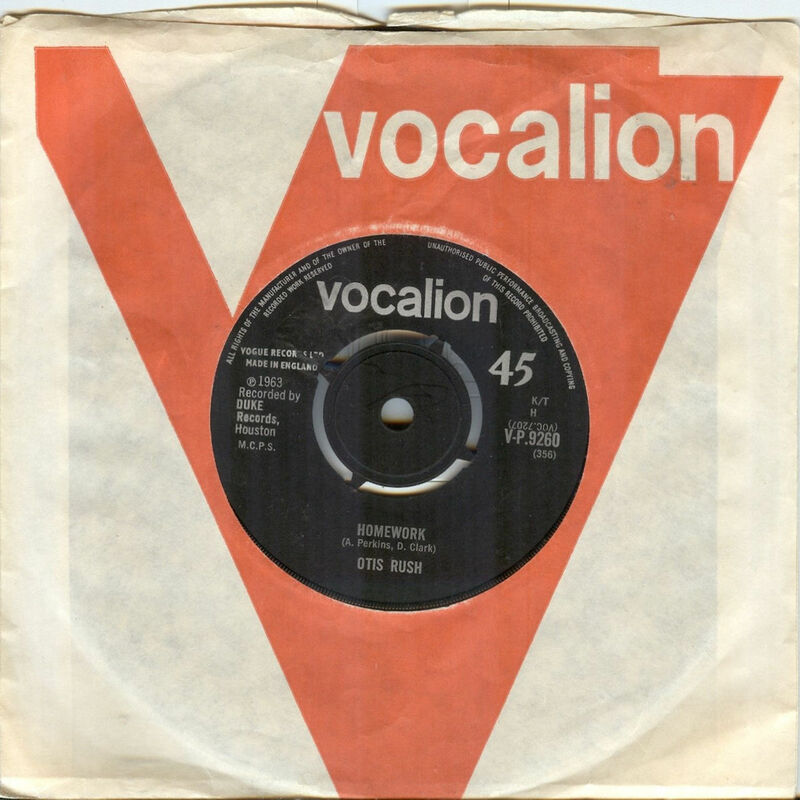 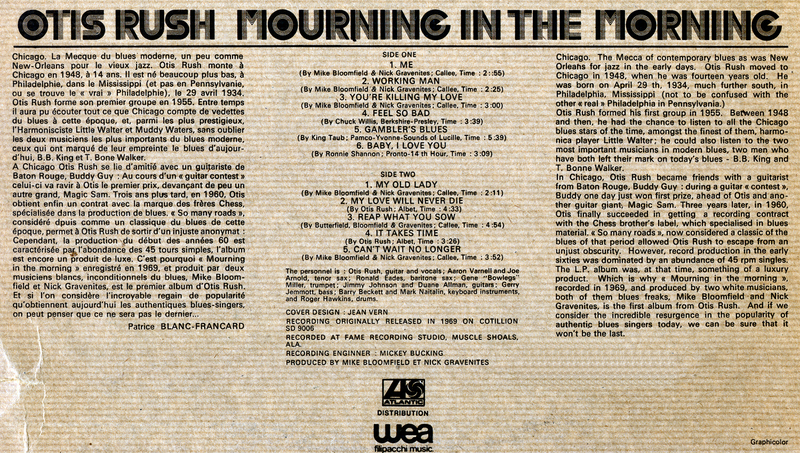 2"
(=) Red Lightnin' RL 001 (UK 1971) "In The Beginning"
= Cotillion 40 495 (Fr 1973) "Blues Power No. 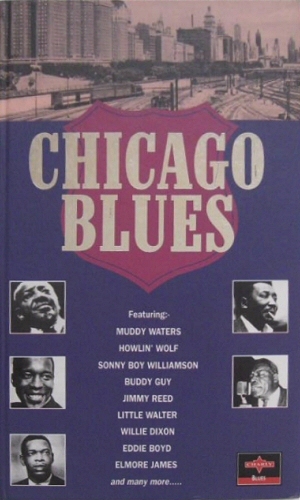 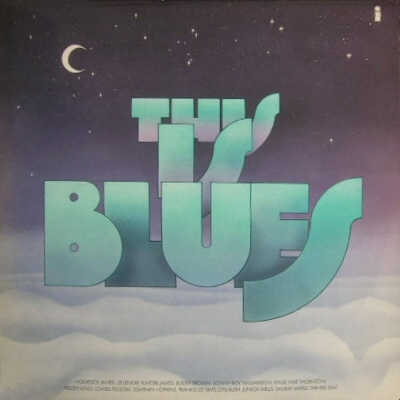 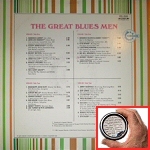 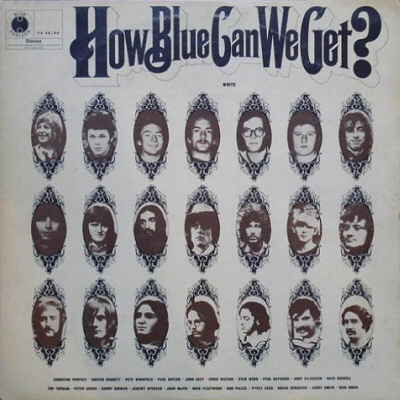 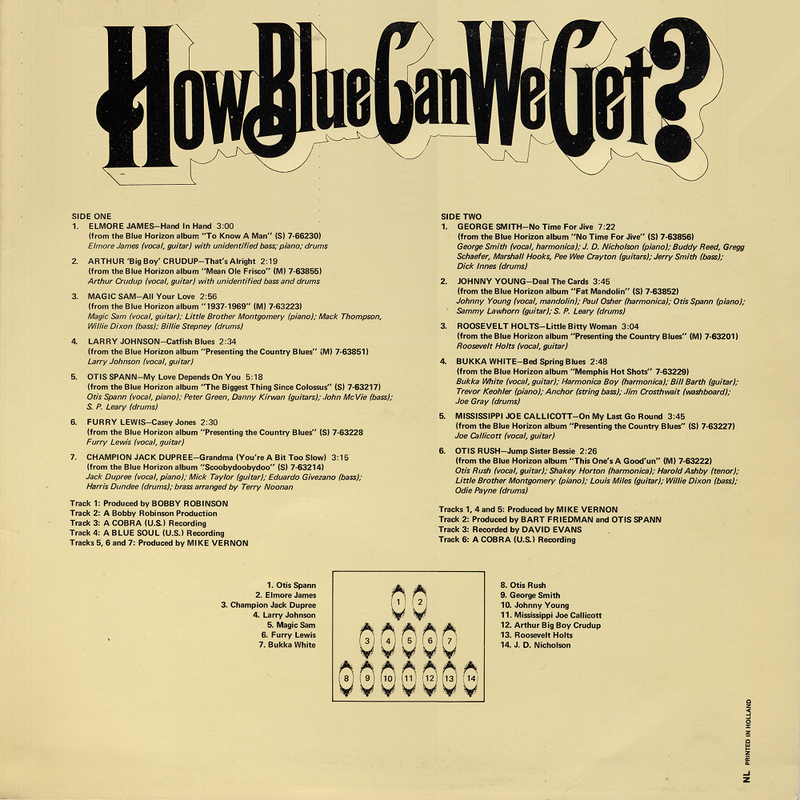 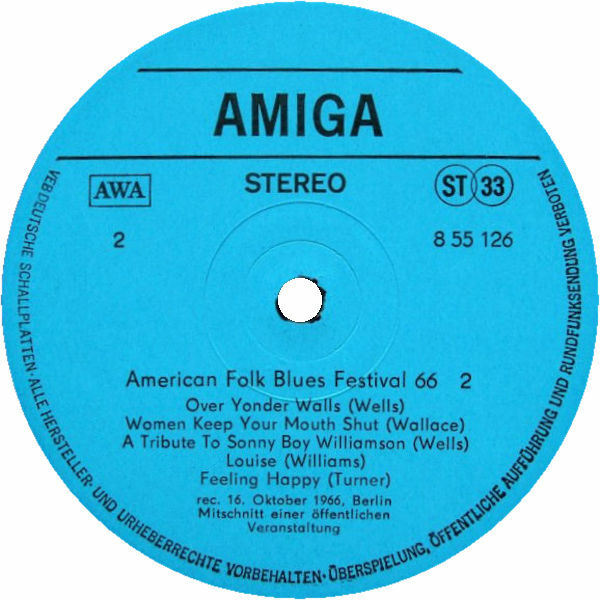 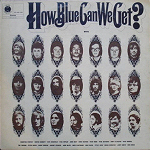 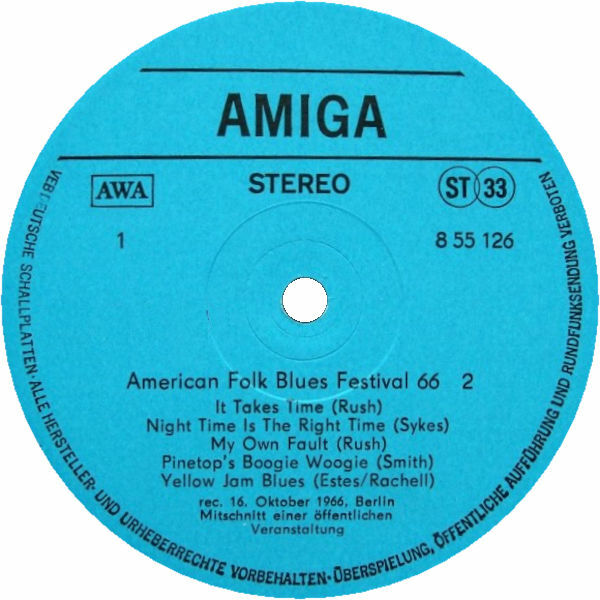 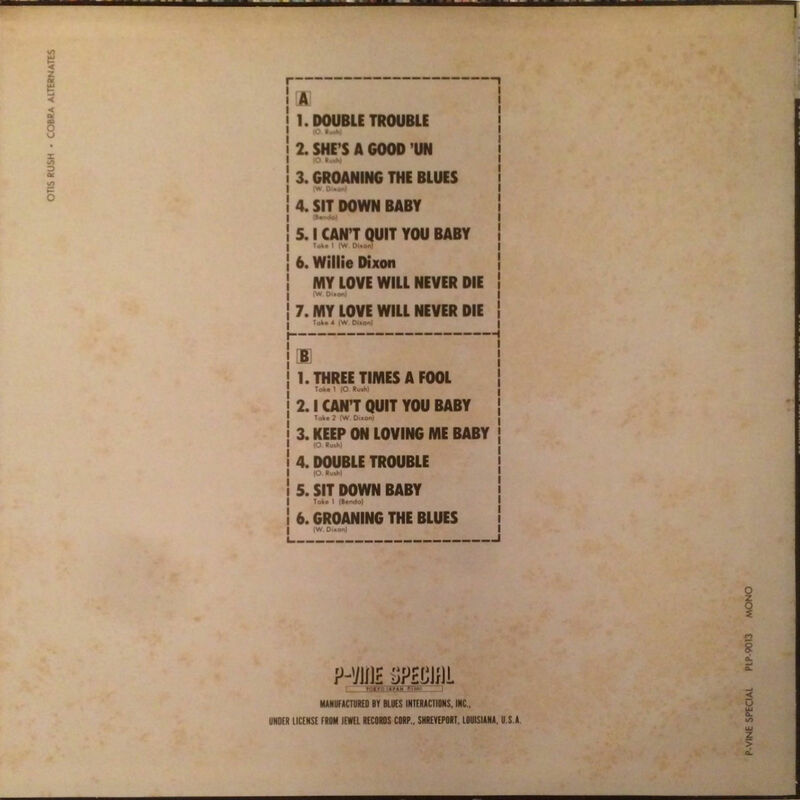 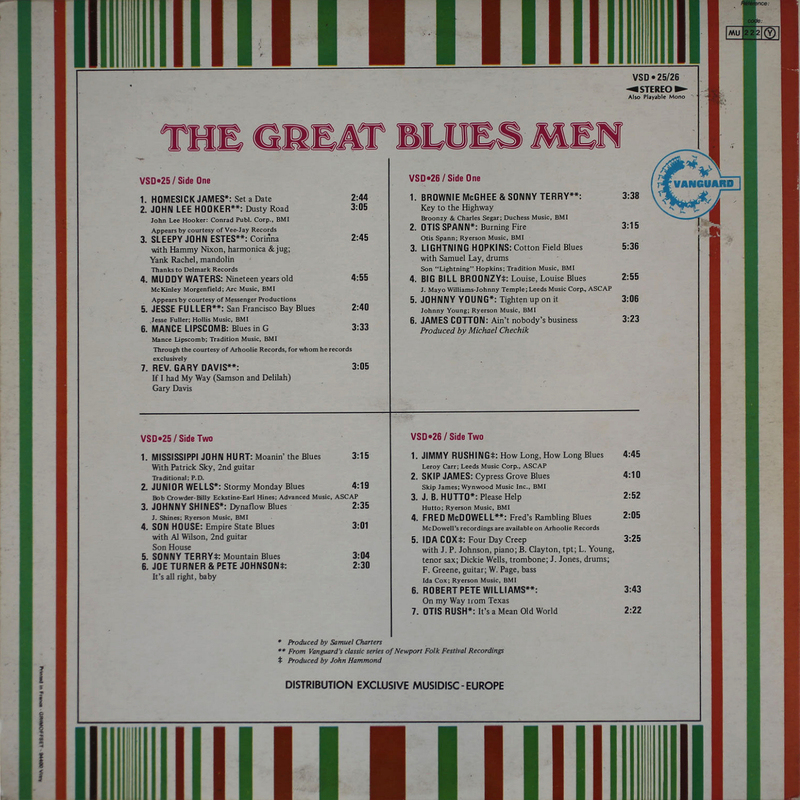 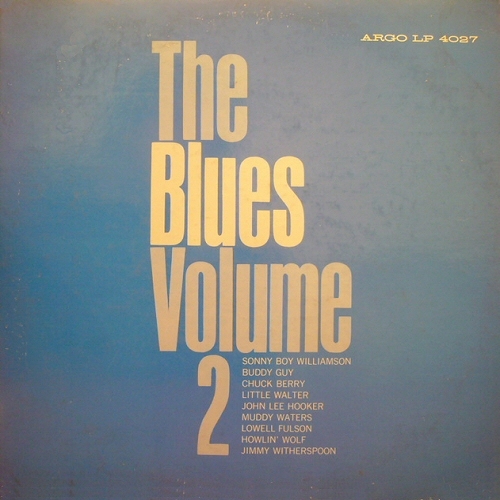 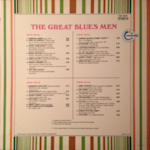 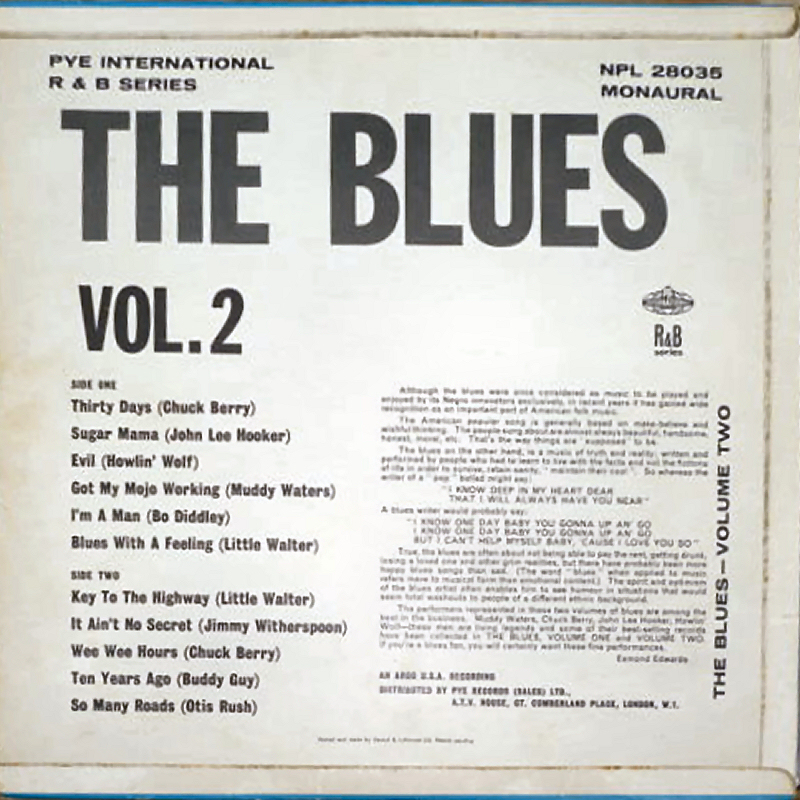 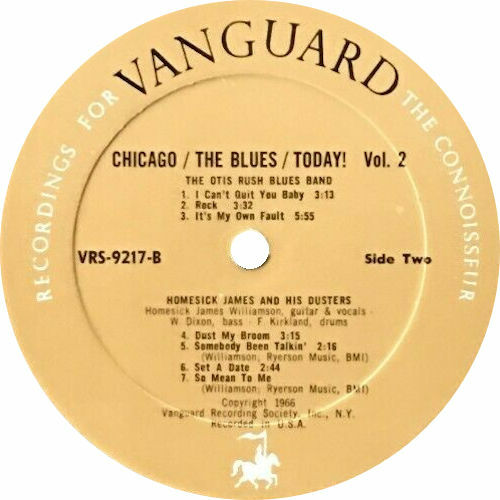 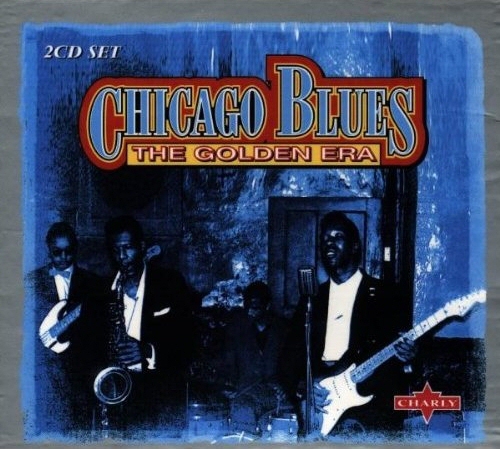 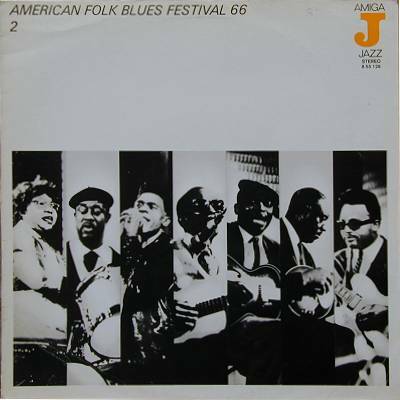 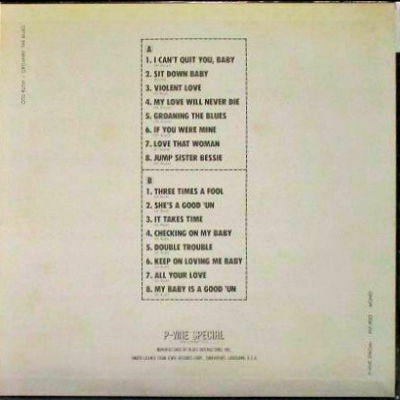 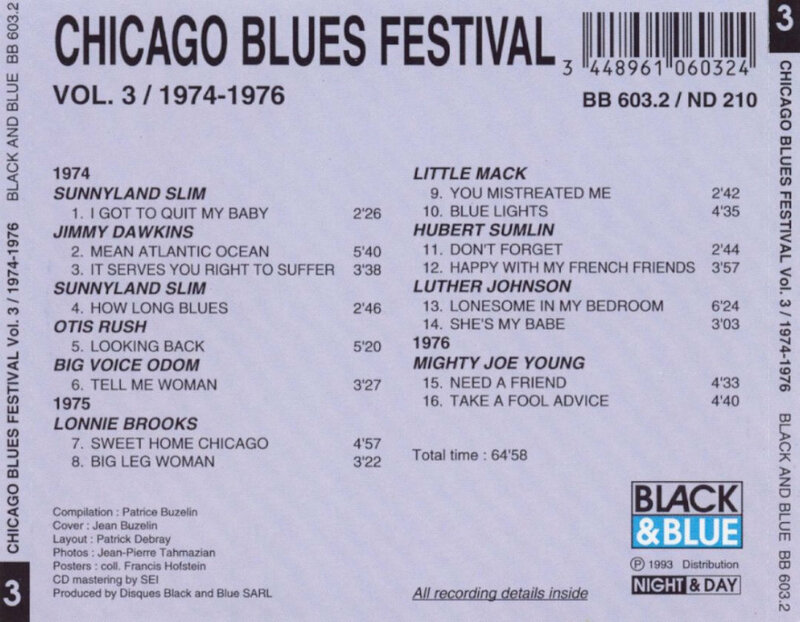 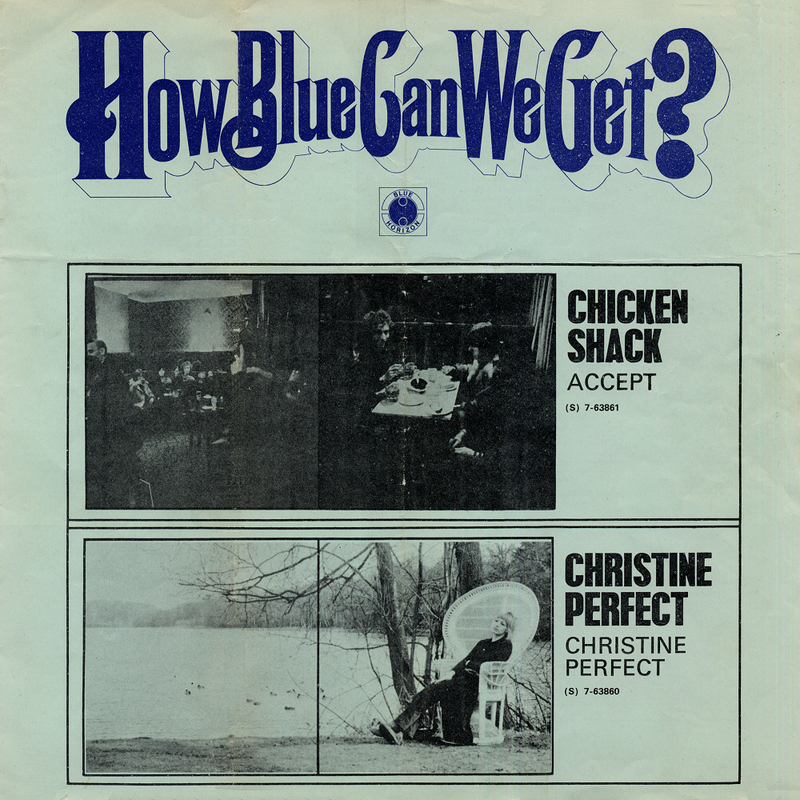 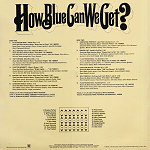 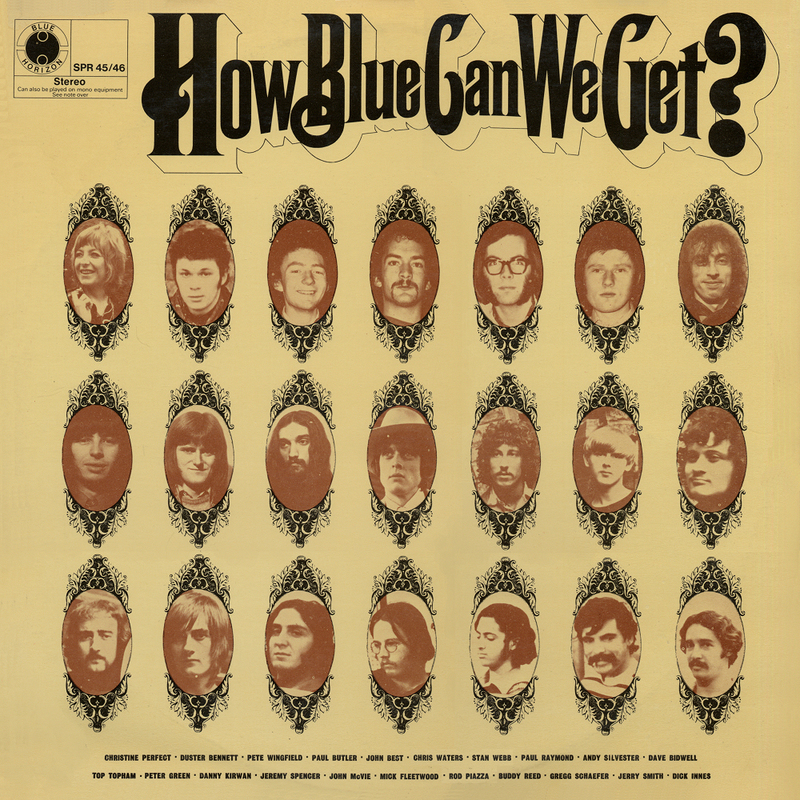 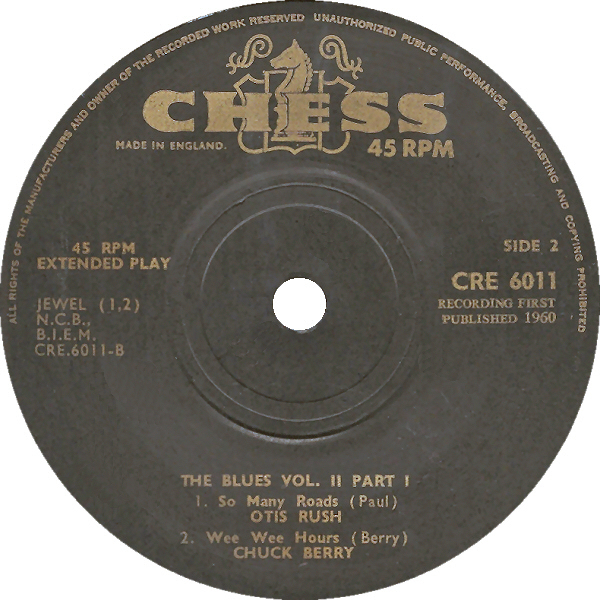 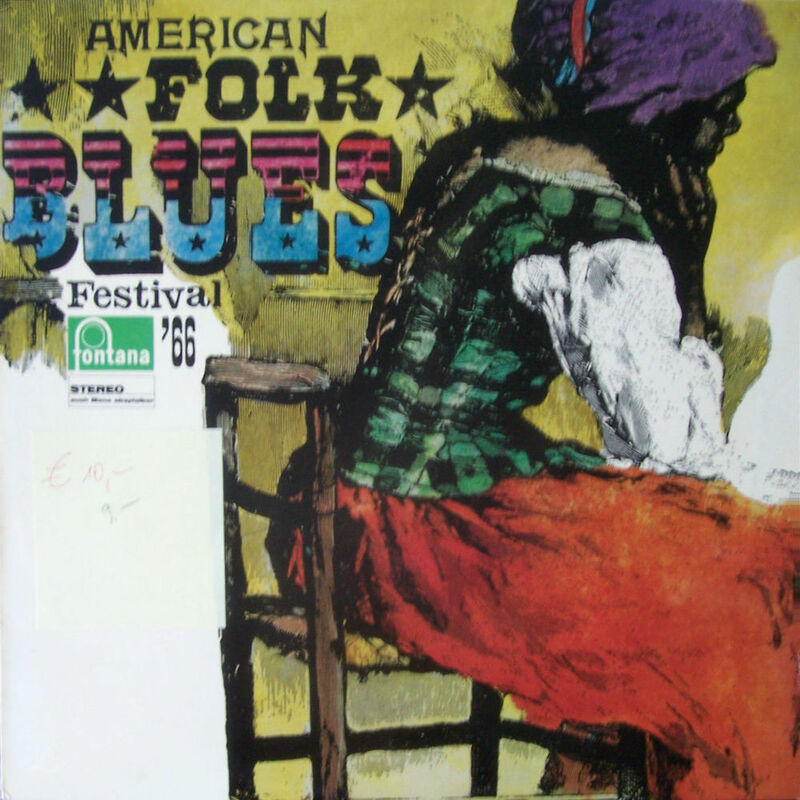 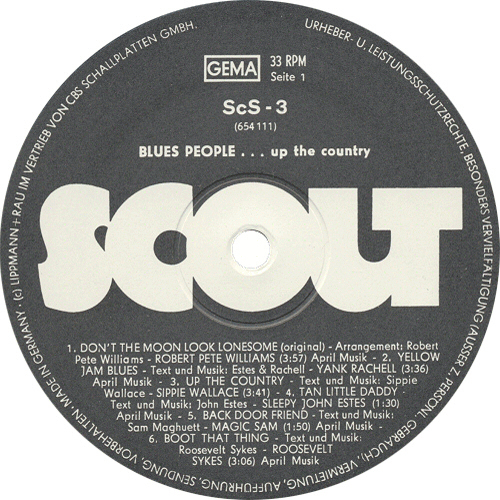 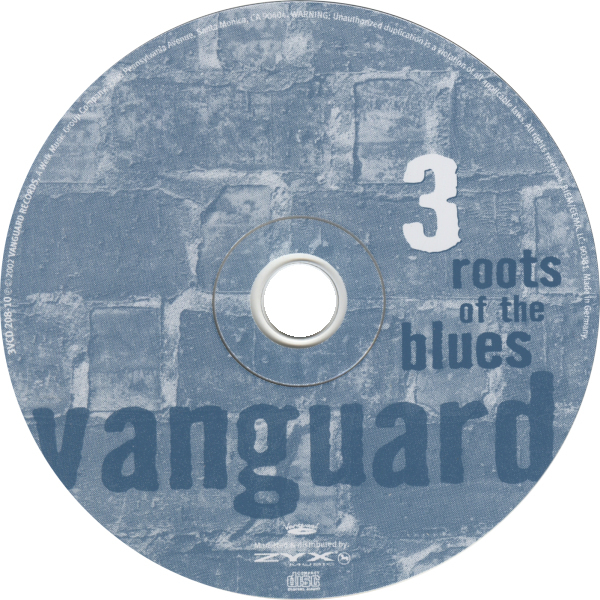 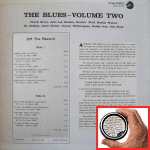 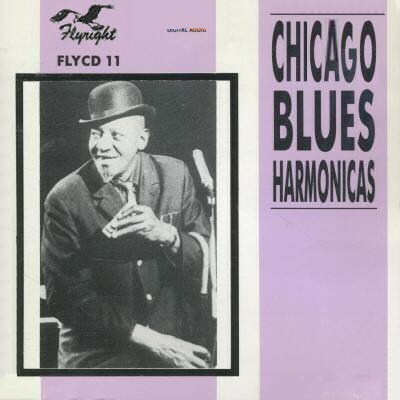 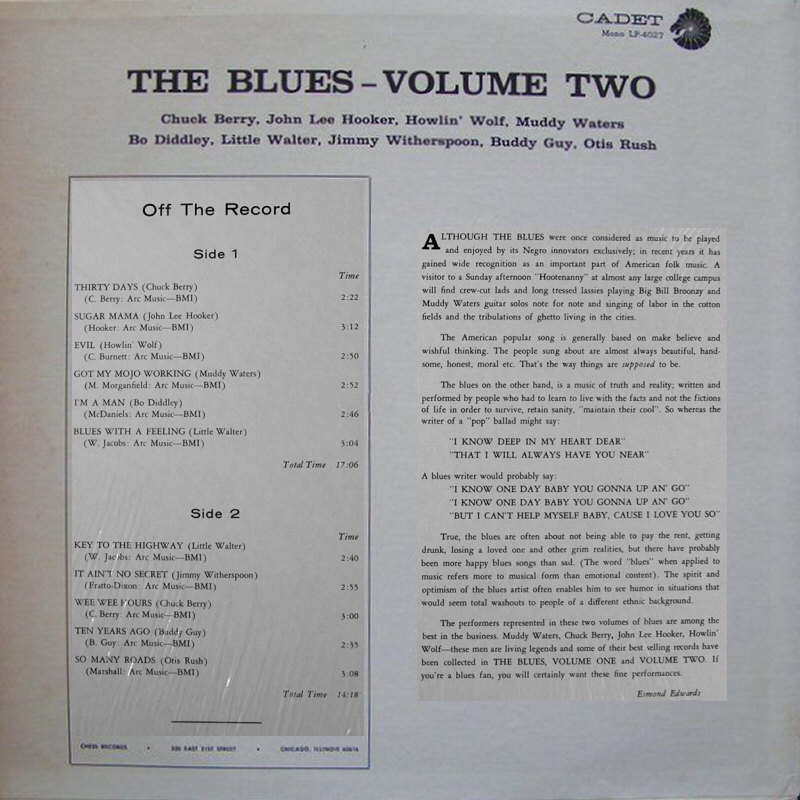 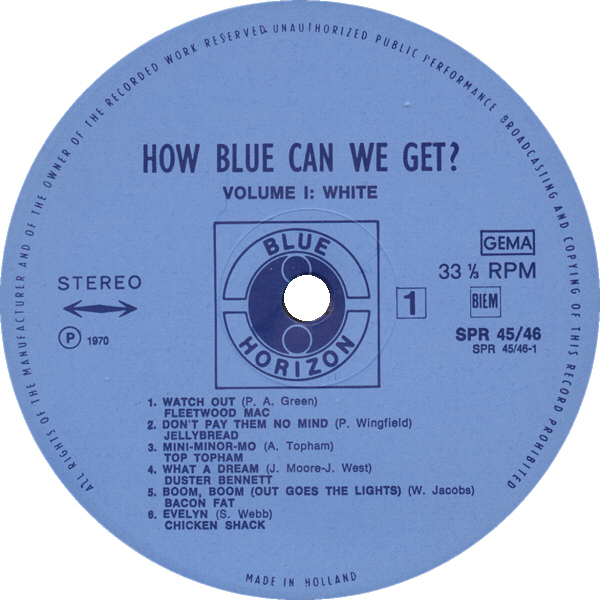 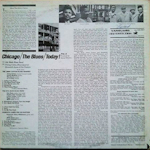 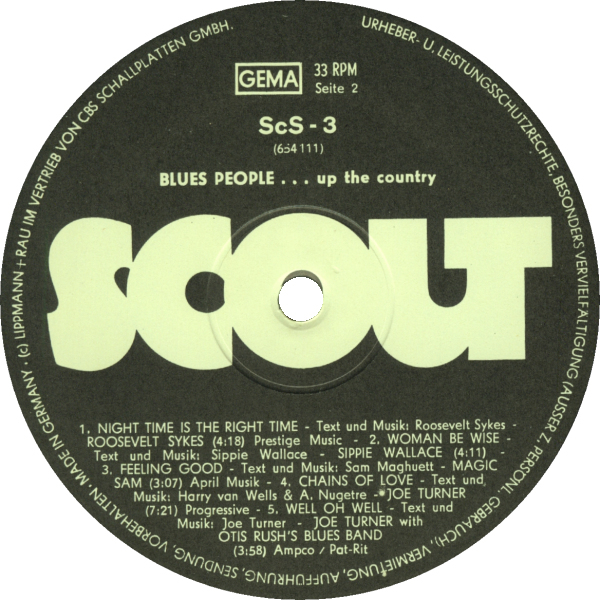 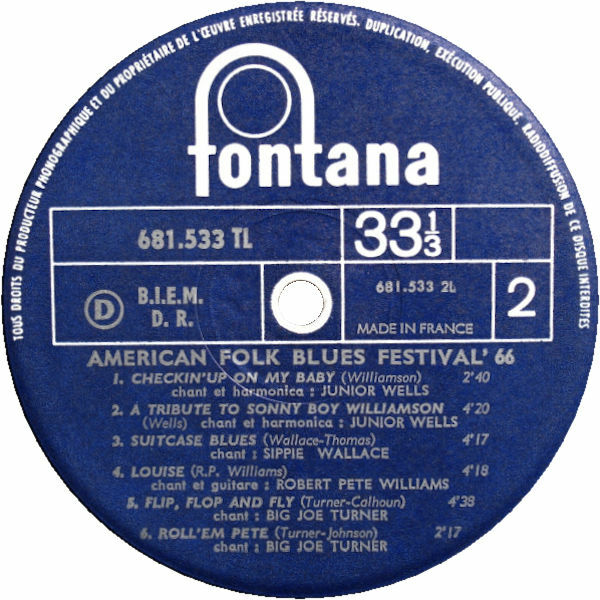 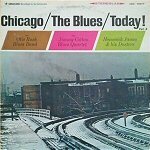 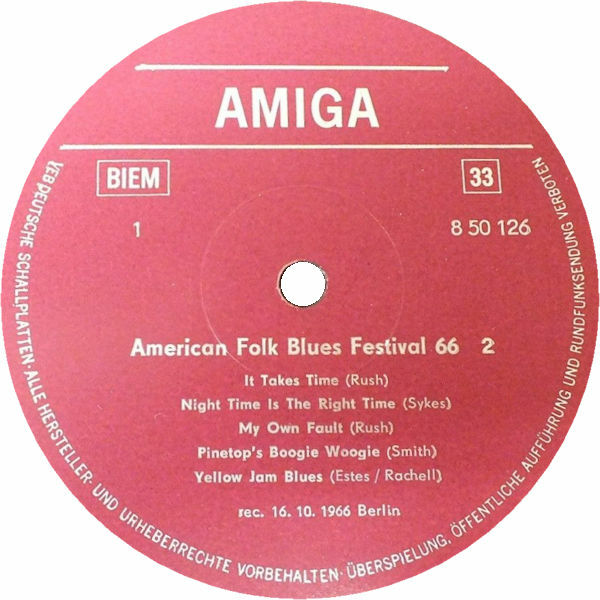 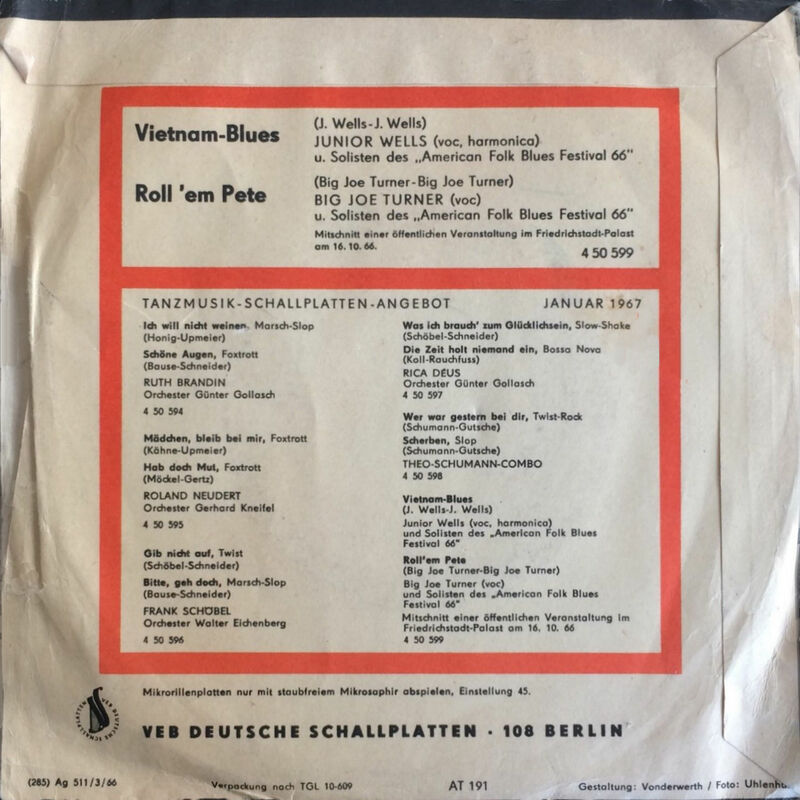 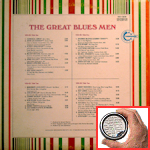 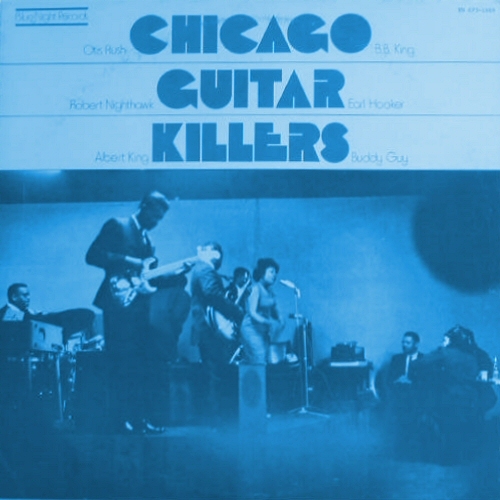 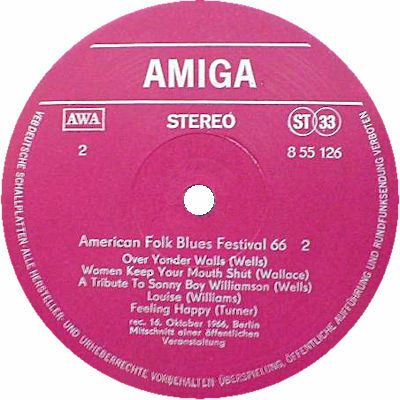 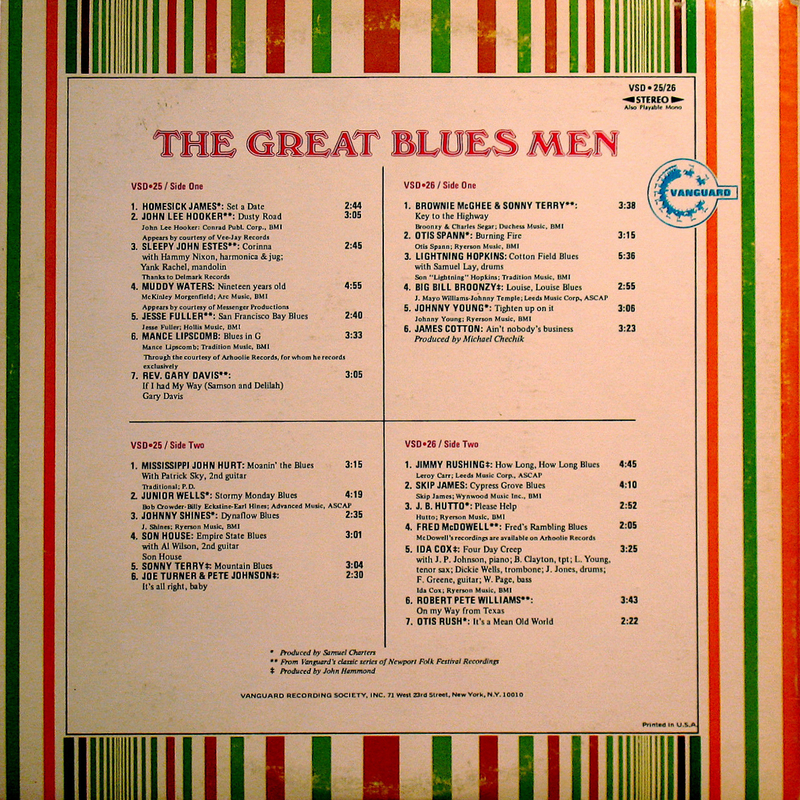 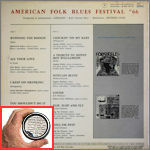 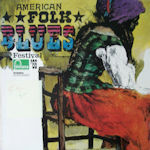 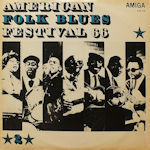 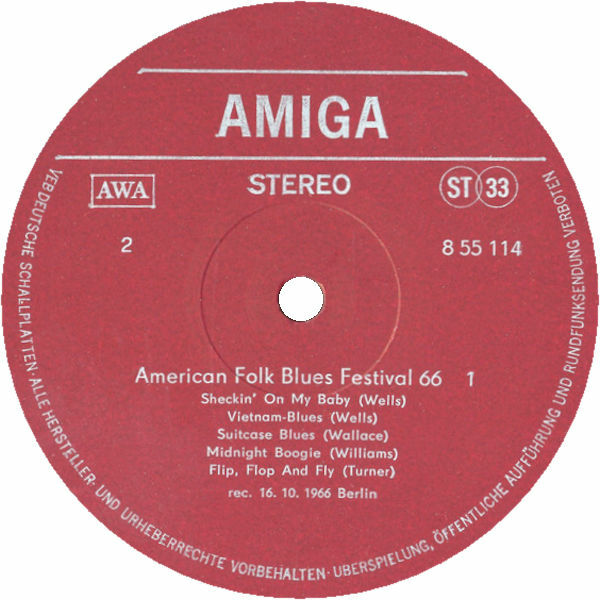 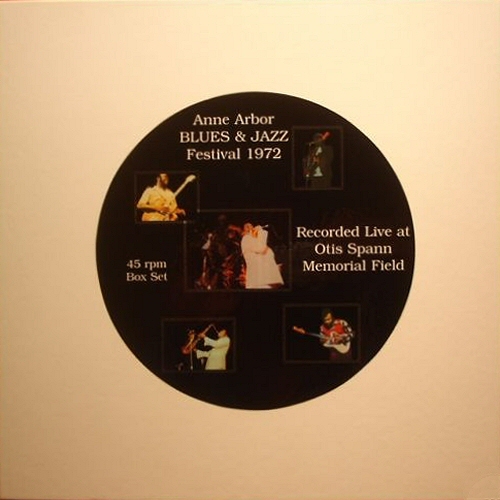 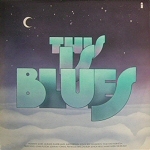 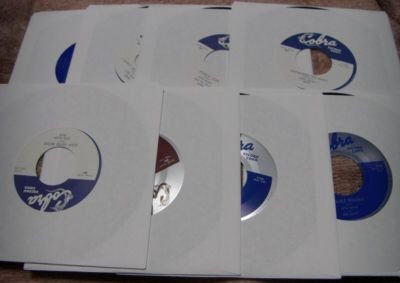 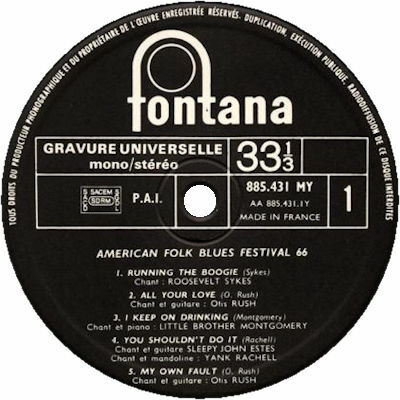 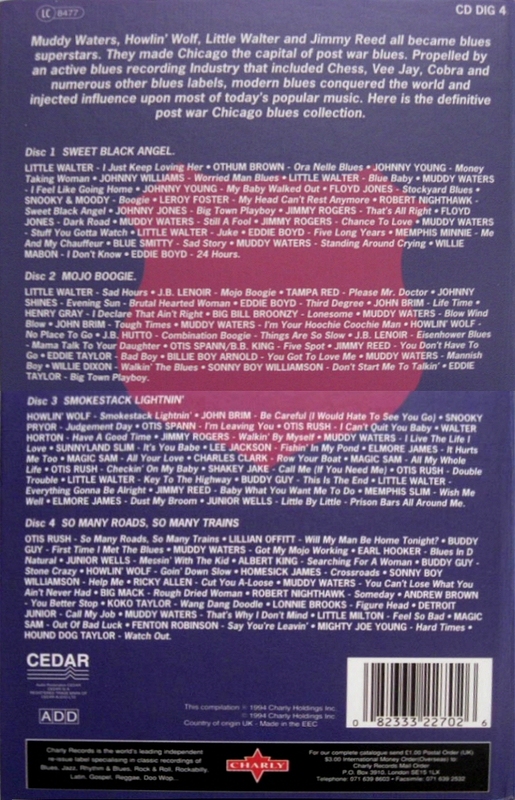 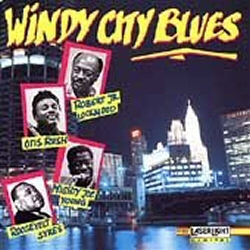 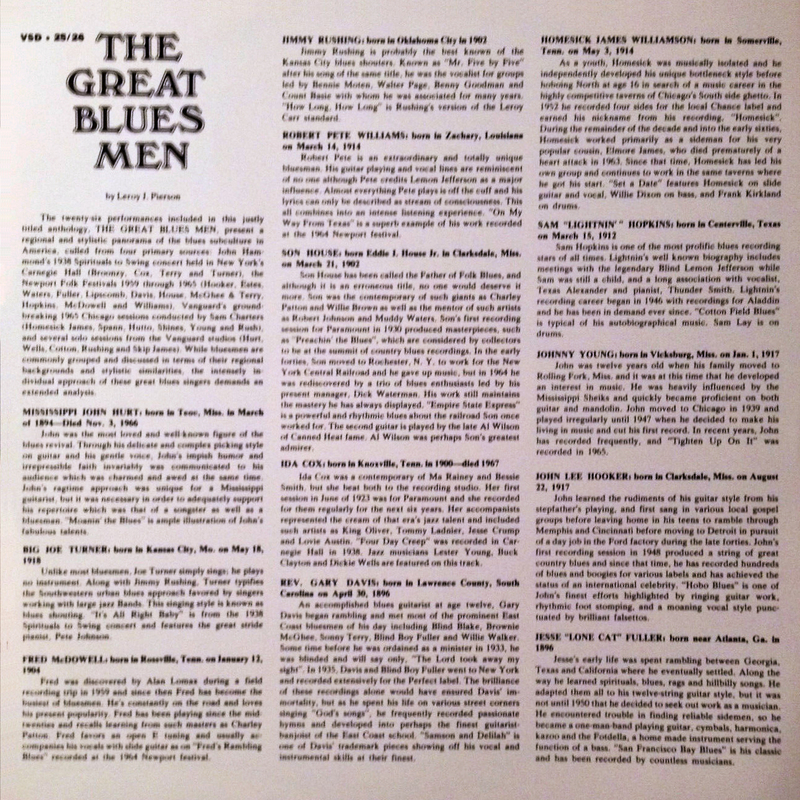 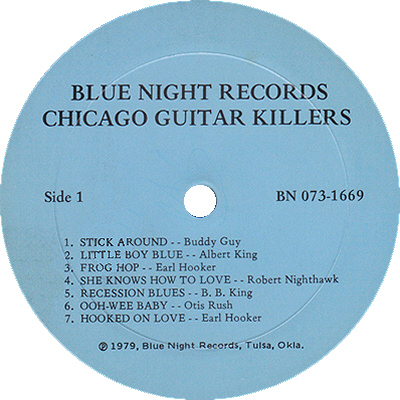 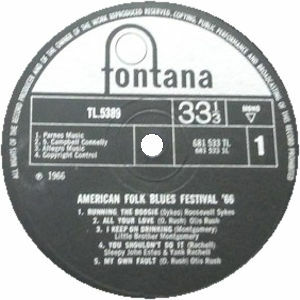 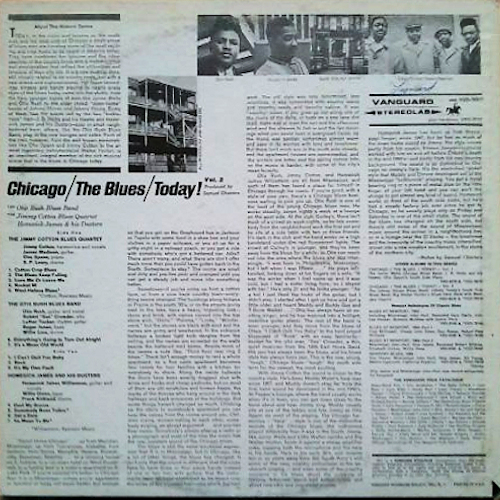 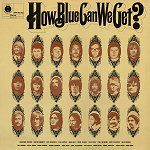 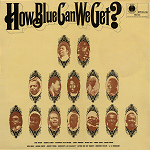 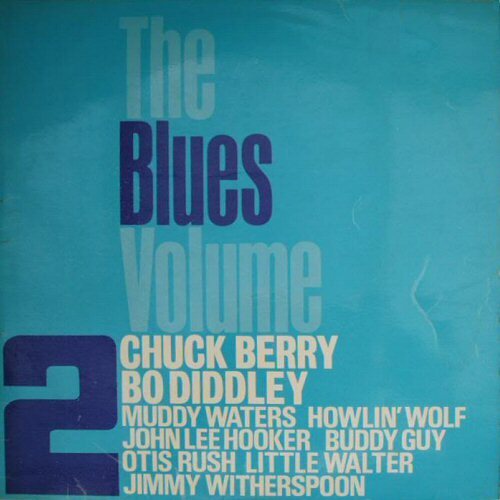 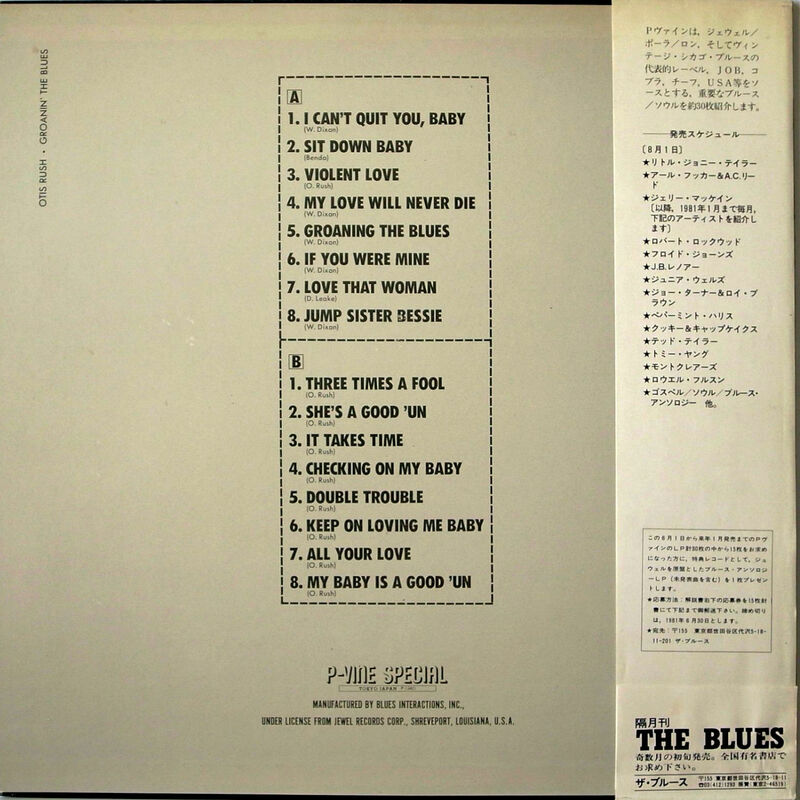 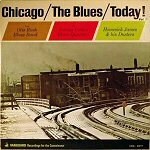 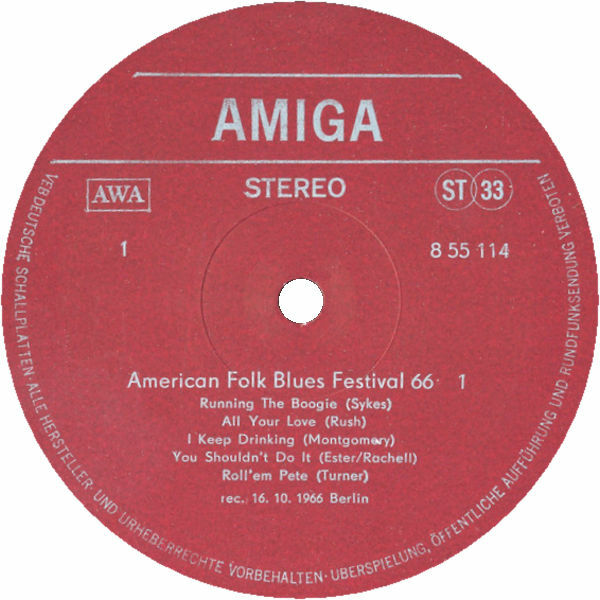 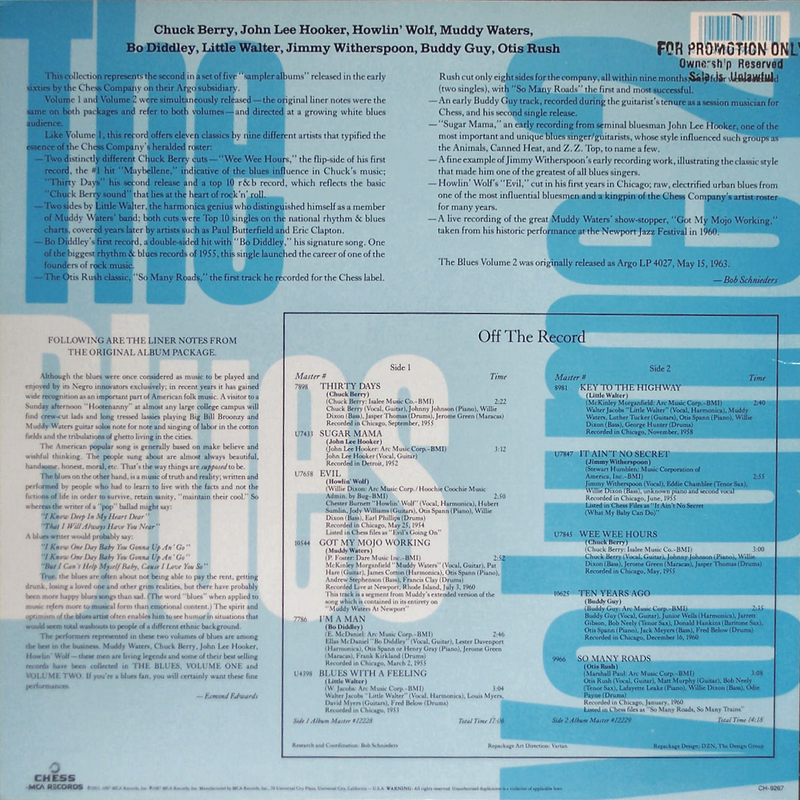 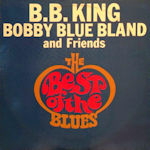 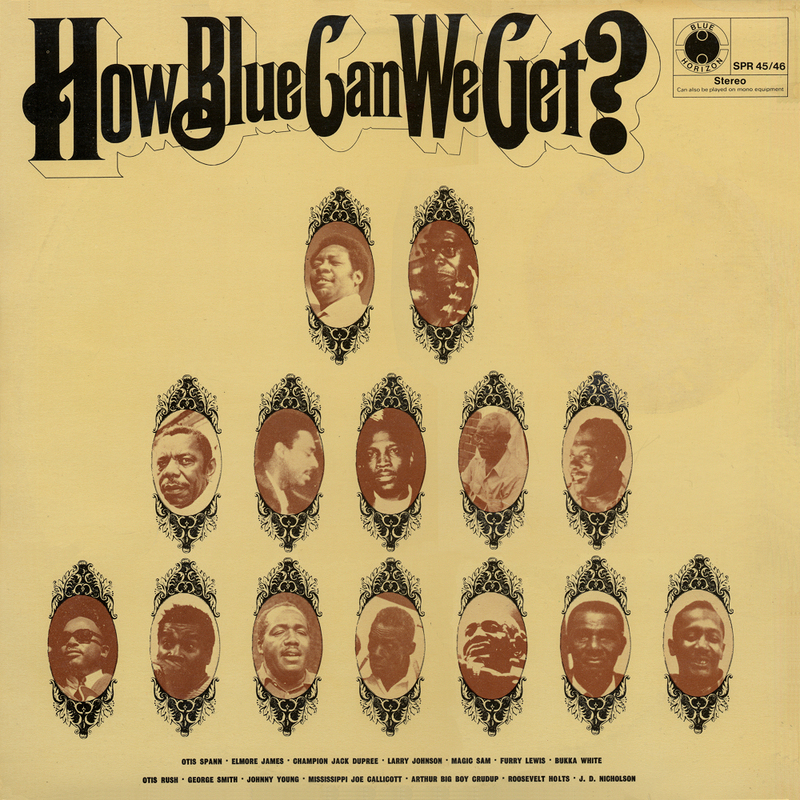 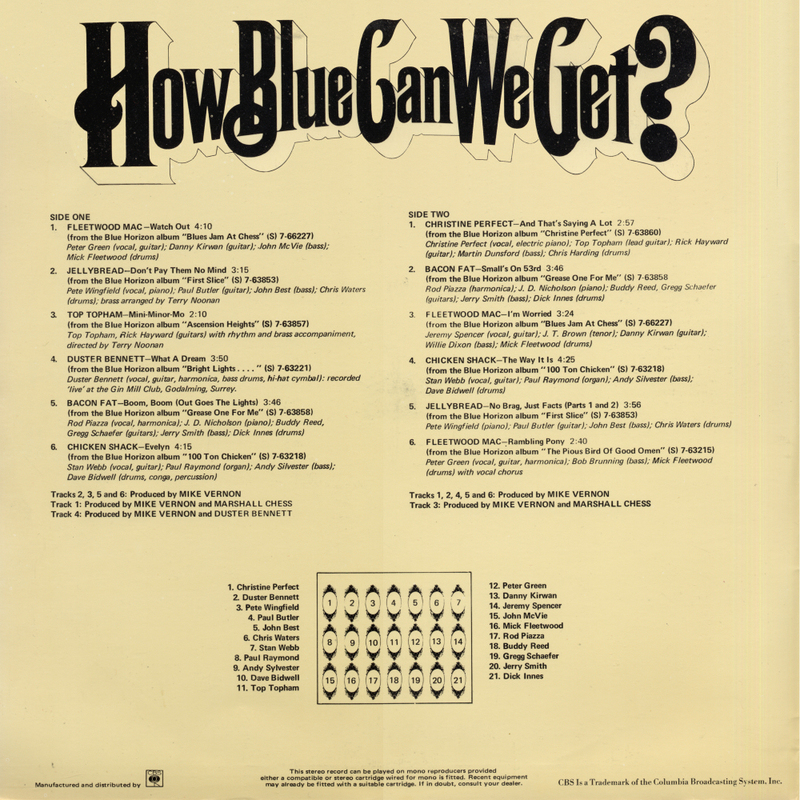 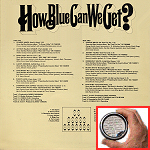 3"
= Blue Moon BMLP 1.028 (UK 1986) "Windy City Blues"
= Cleo 00291283 (NL) "Live At The Chicago Blues Festival"
= Tomato (1994) "Blues Masters"
34 1970 How Blue Can We Get? 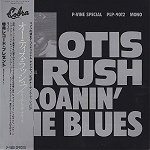 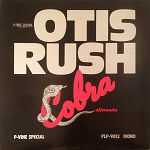 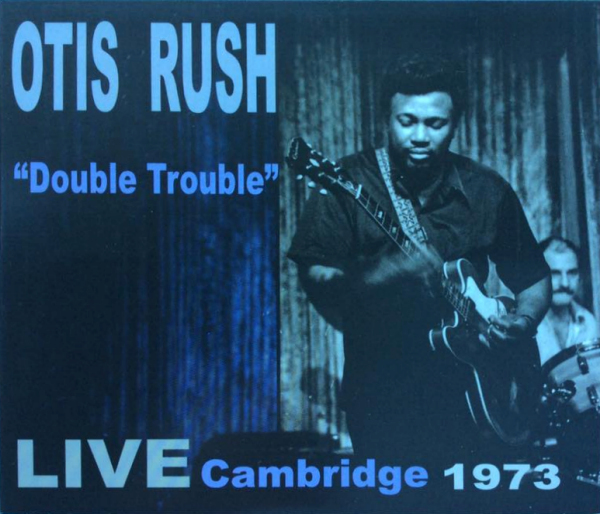 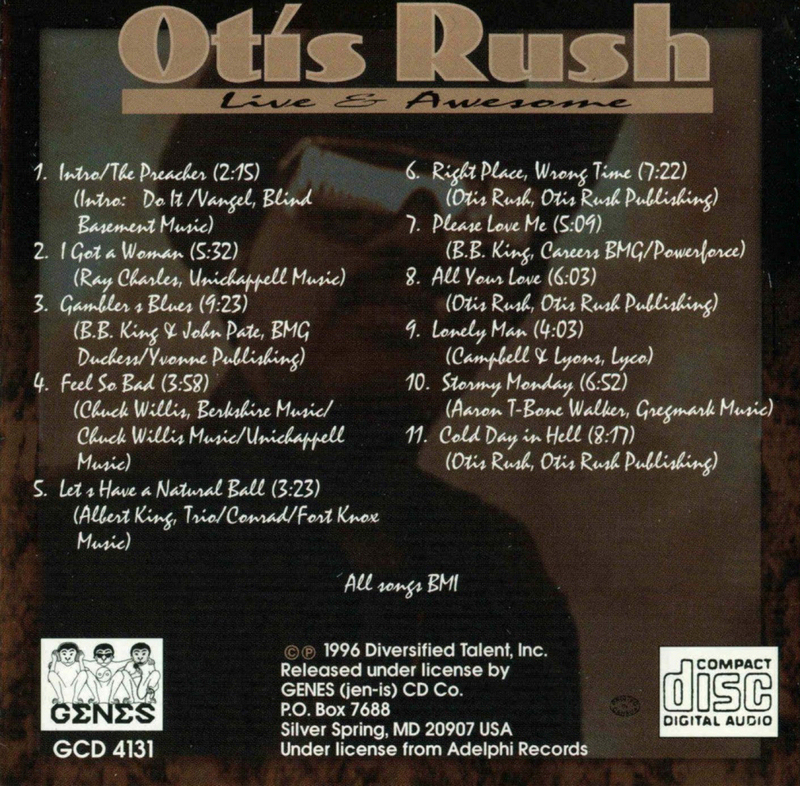 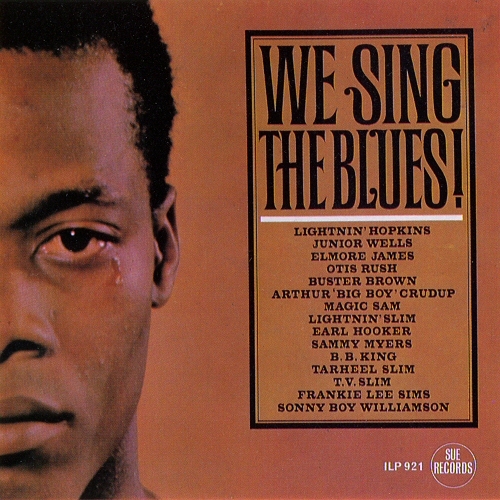 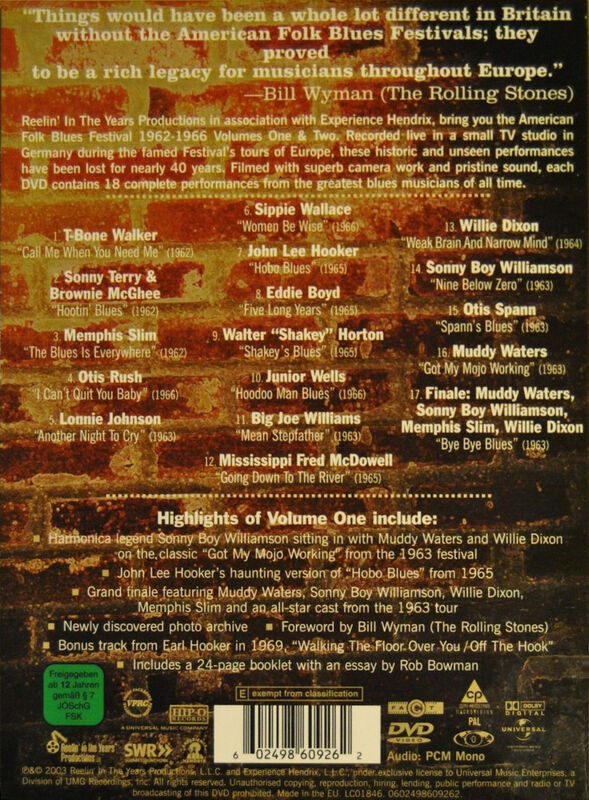 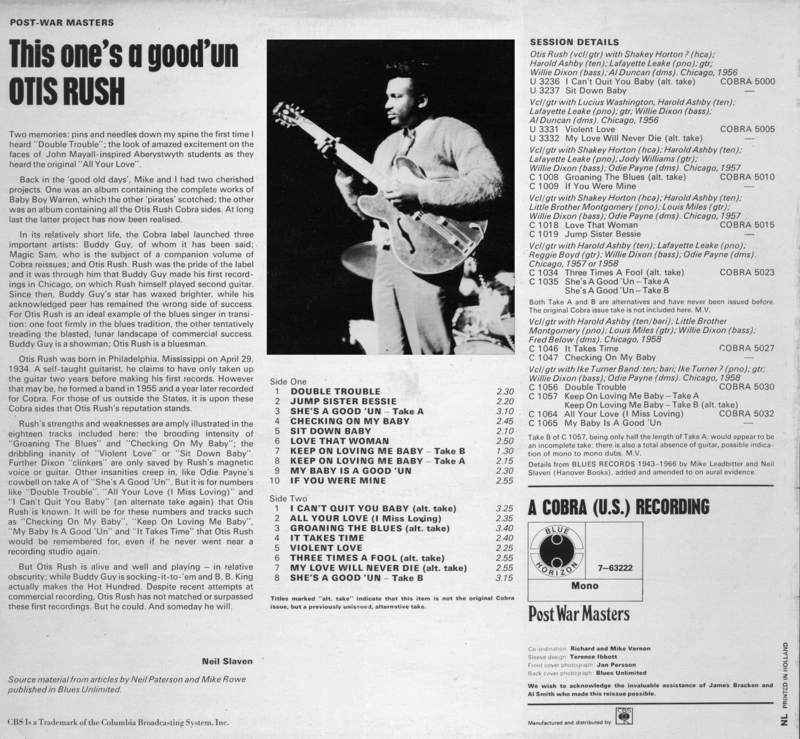 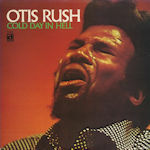 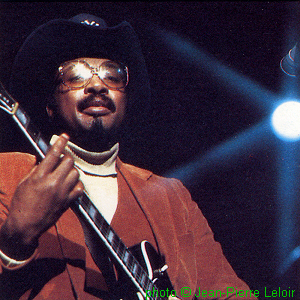 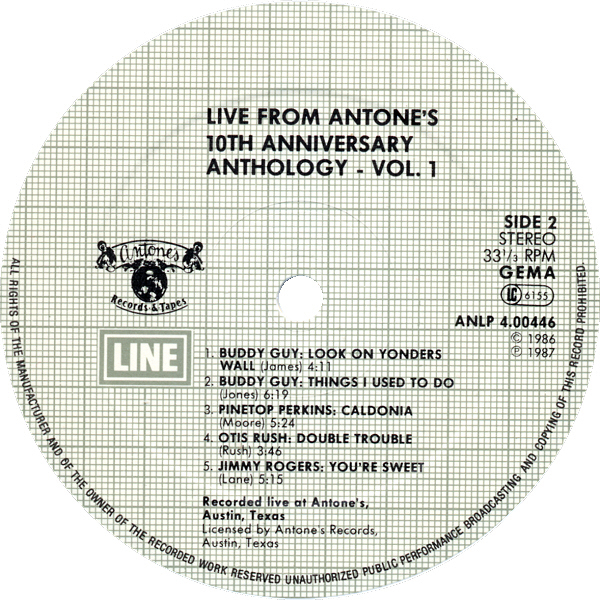 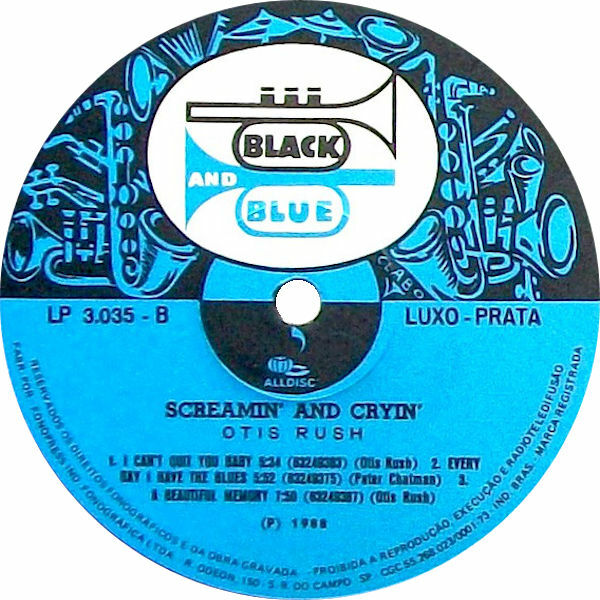 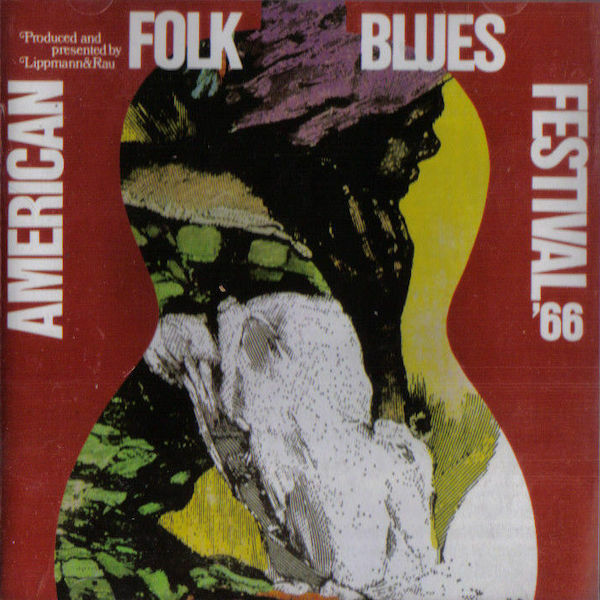 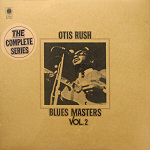 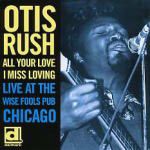 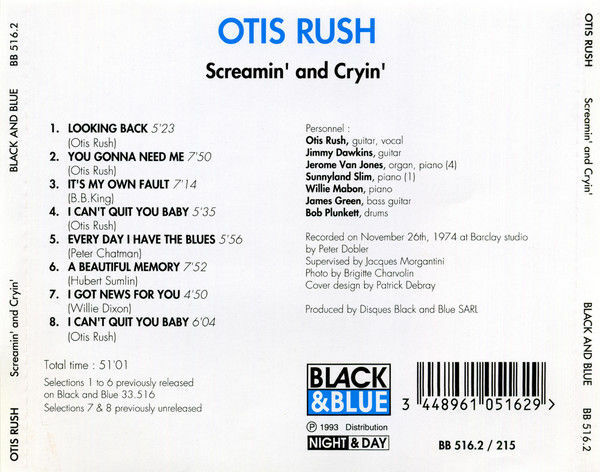 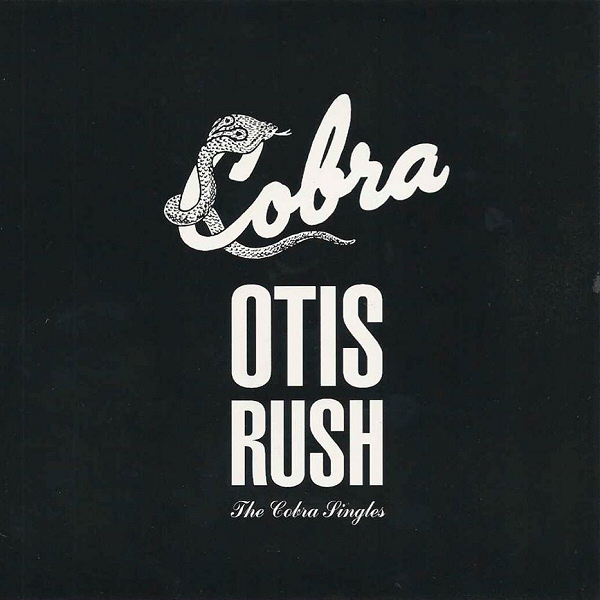 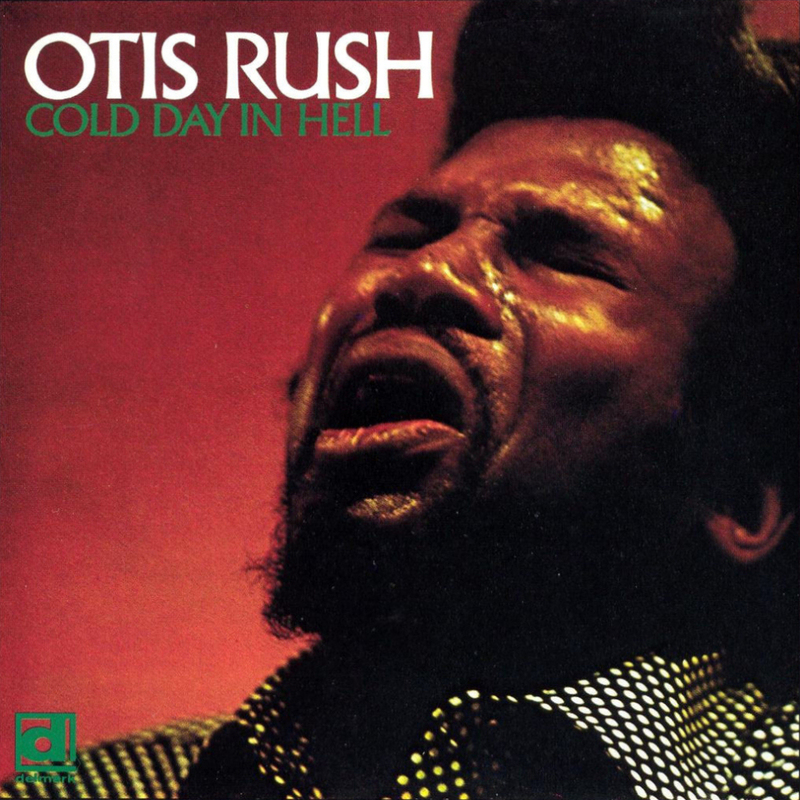 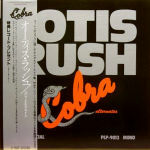 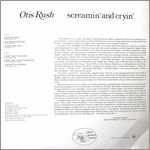 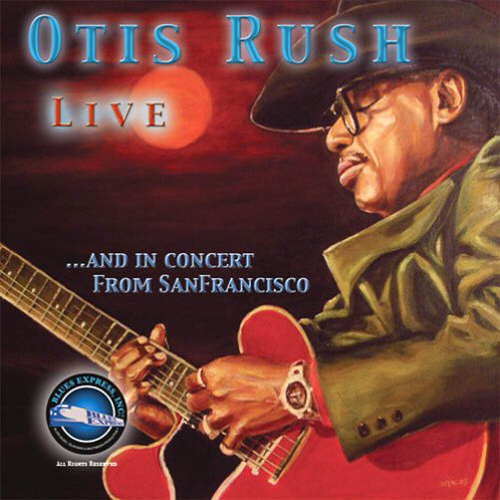 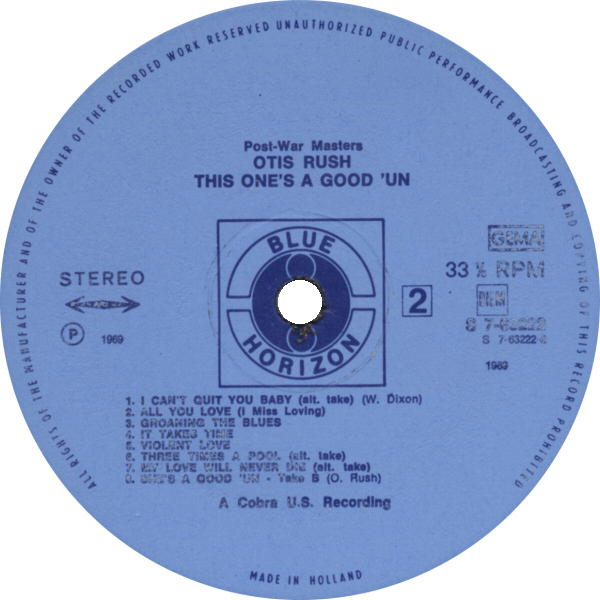 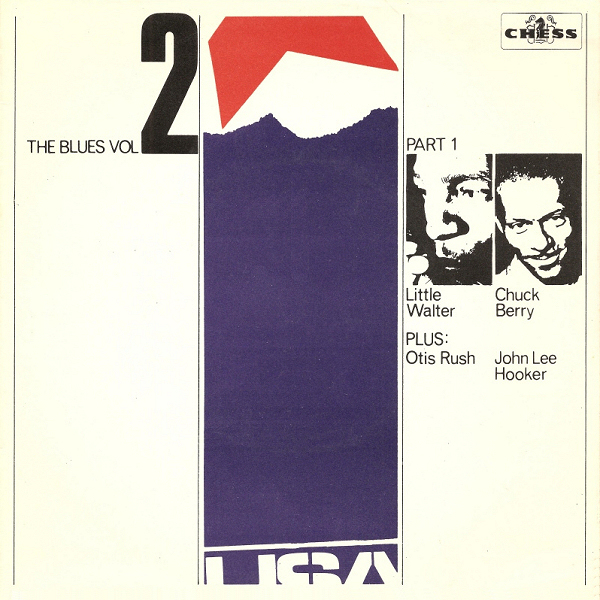 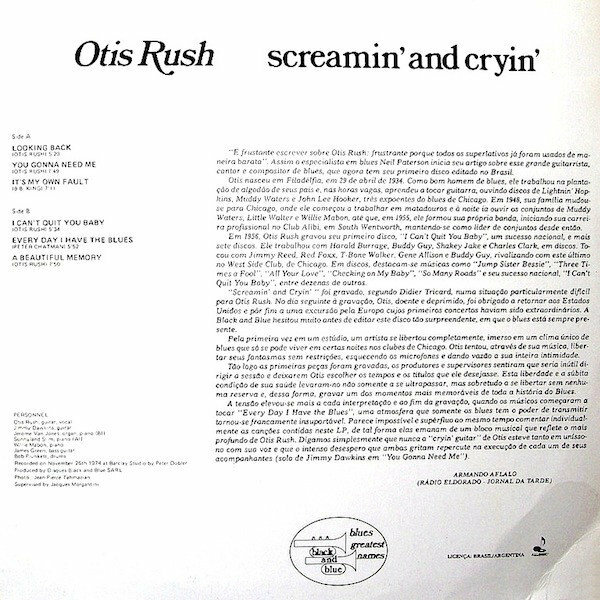 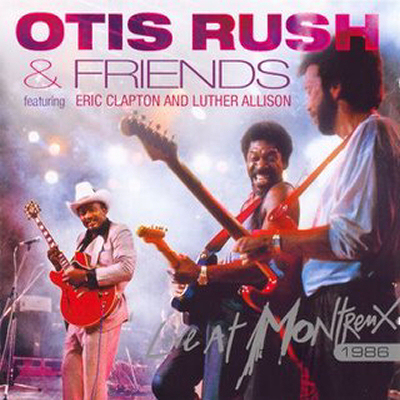 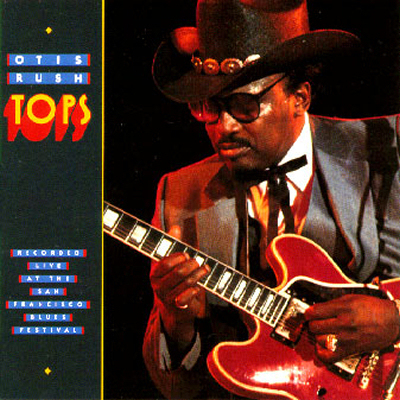 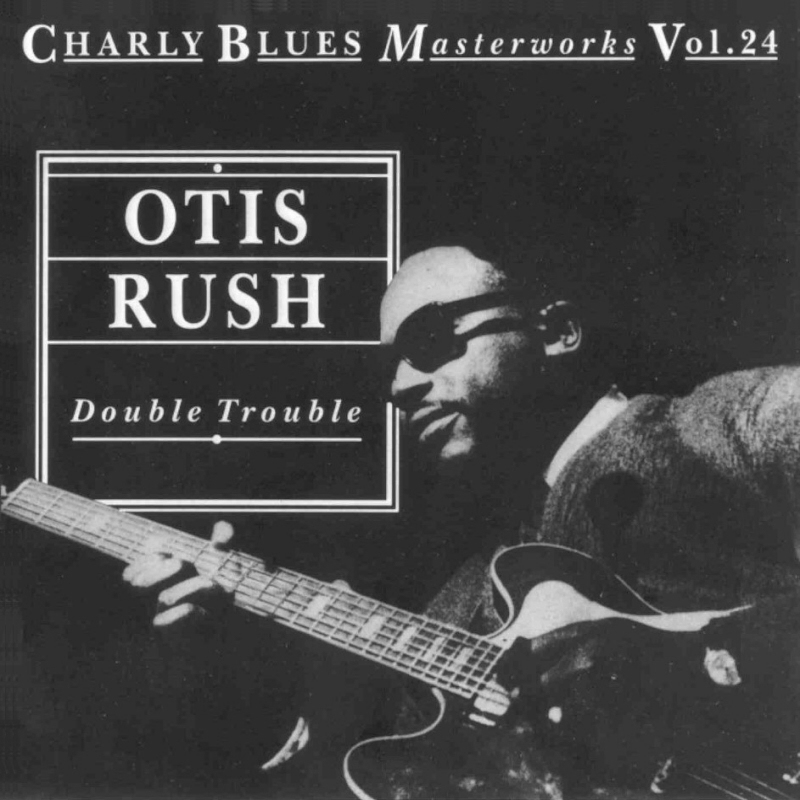 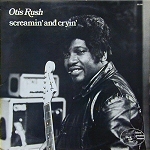 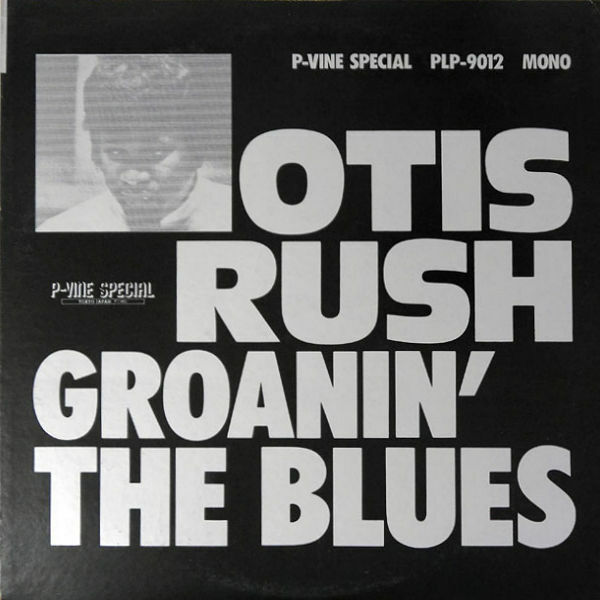 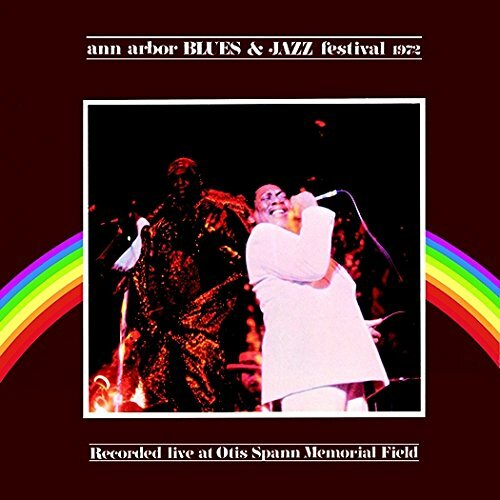 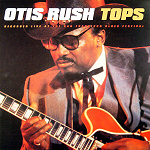 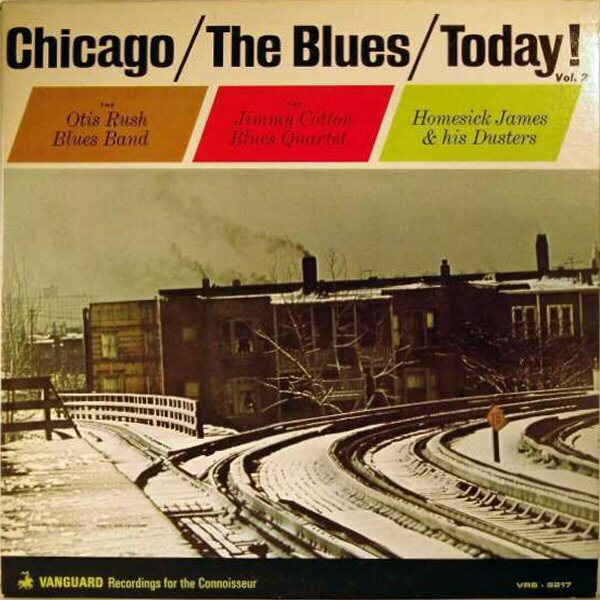 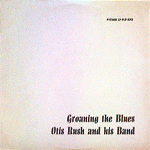 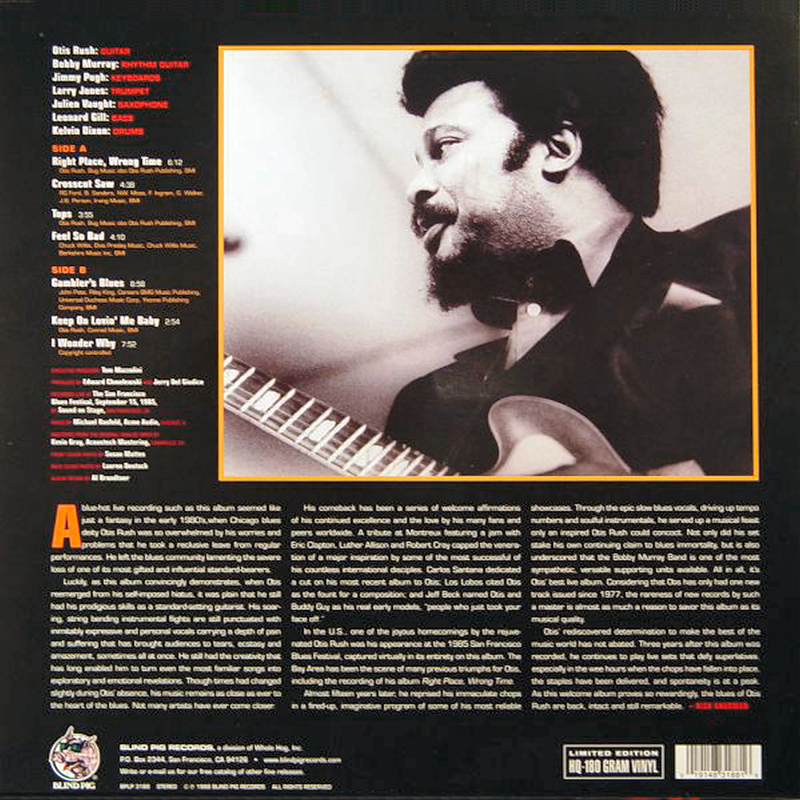 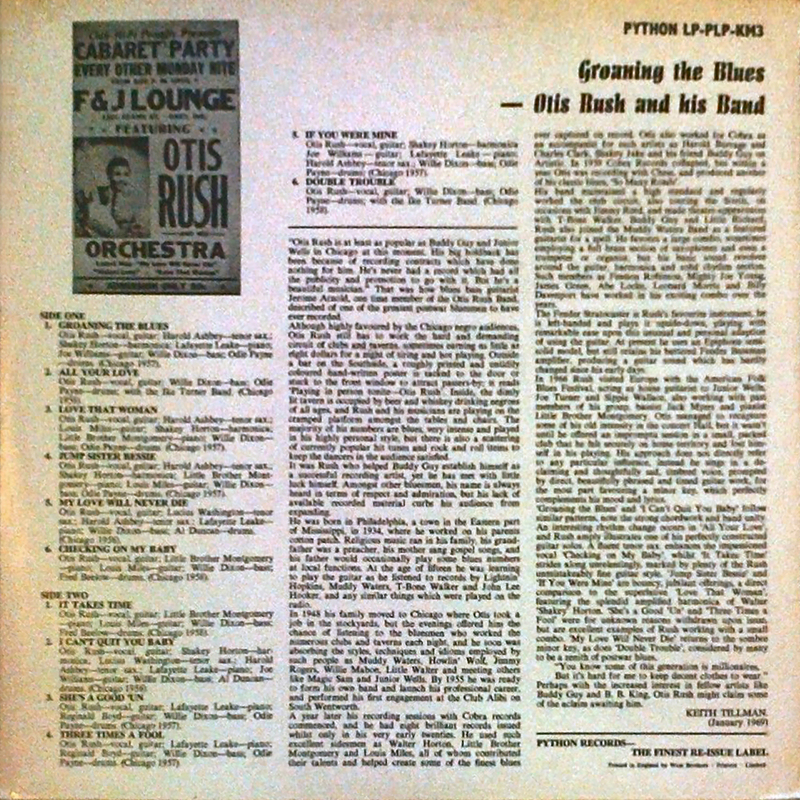 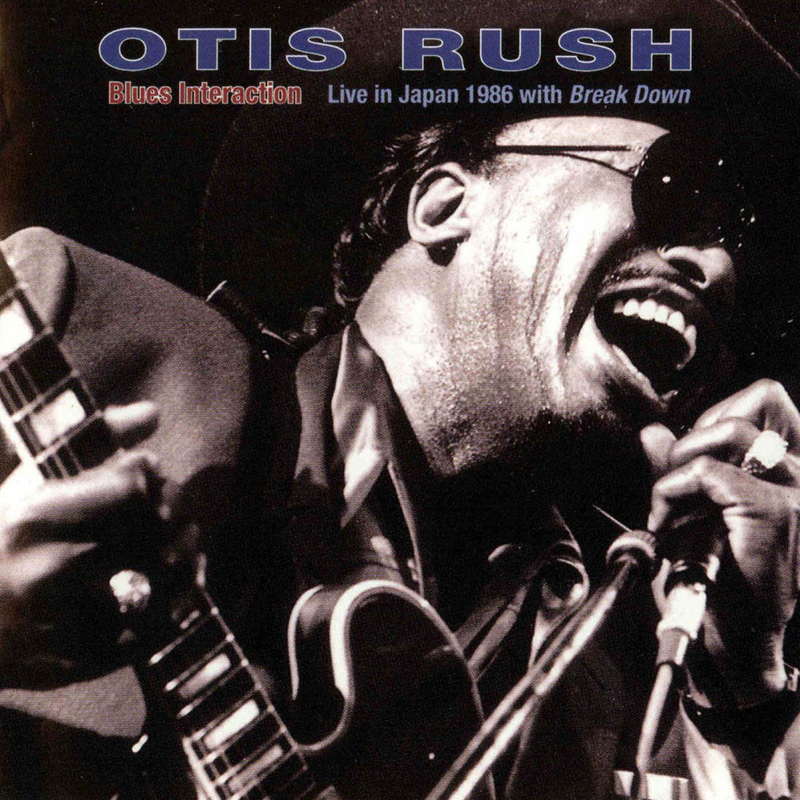 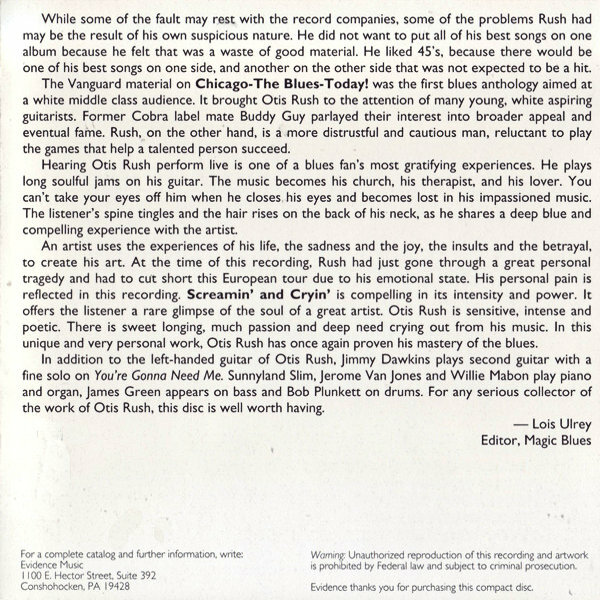 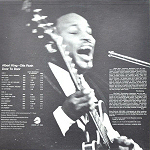 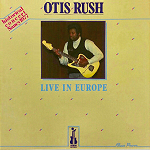 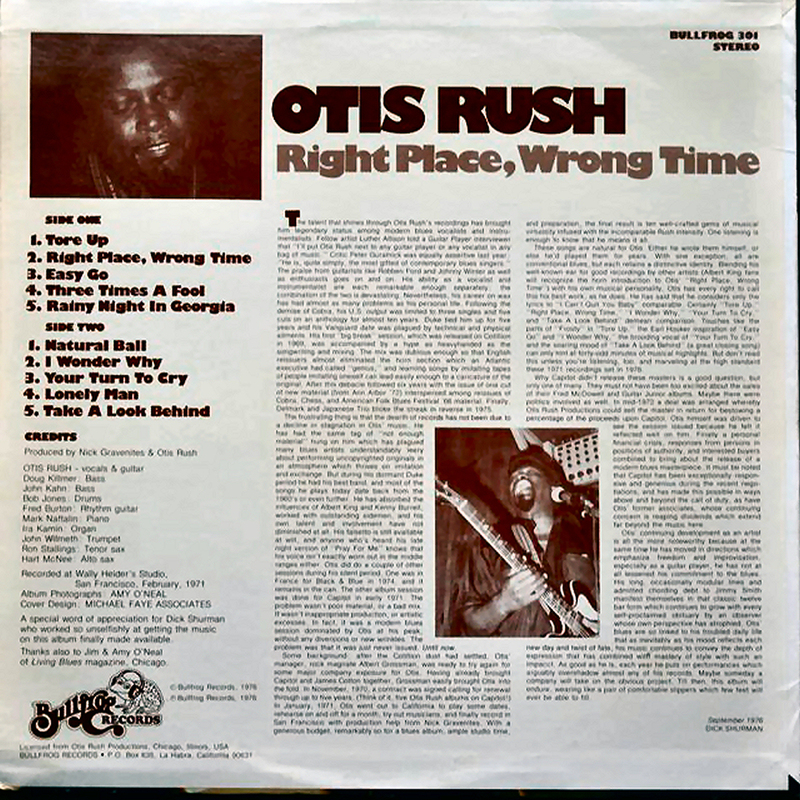 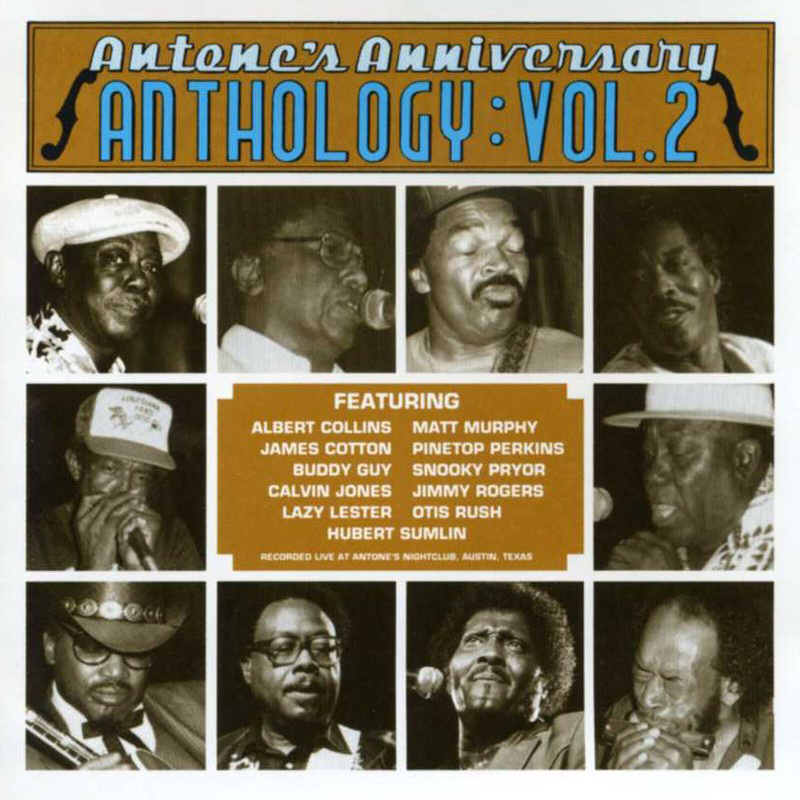 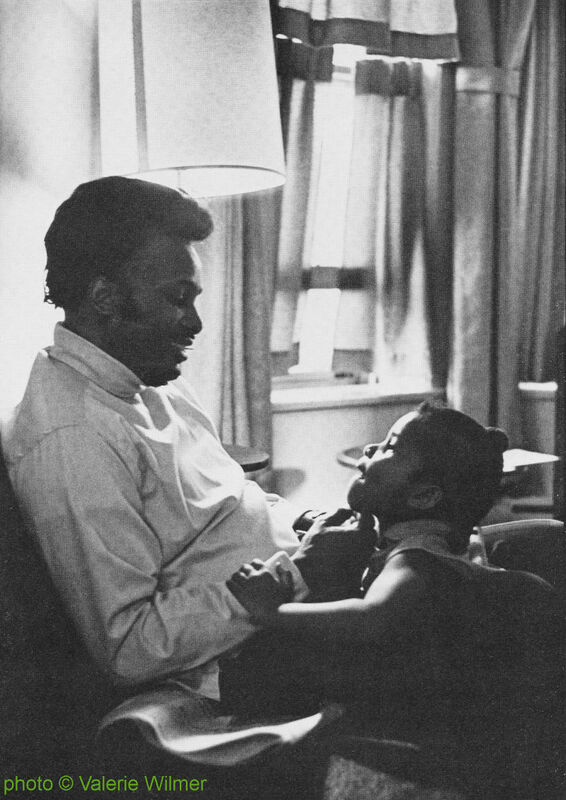 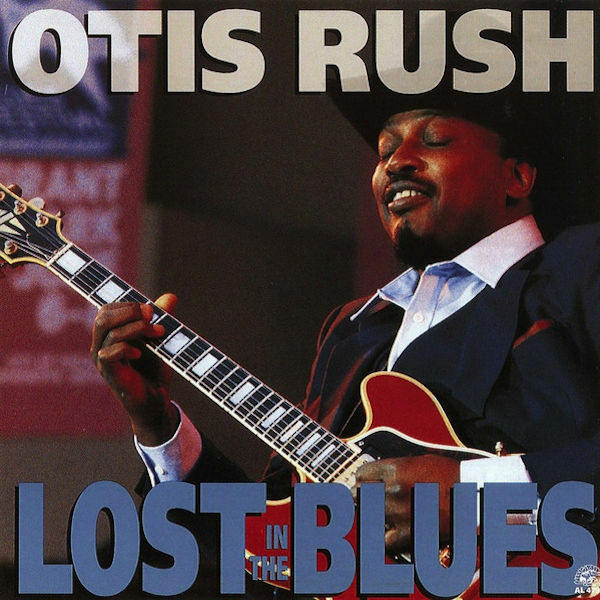 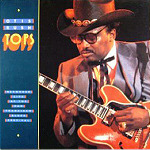 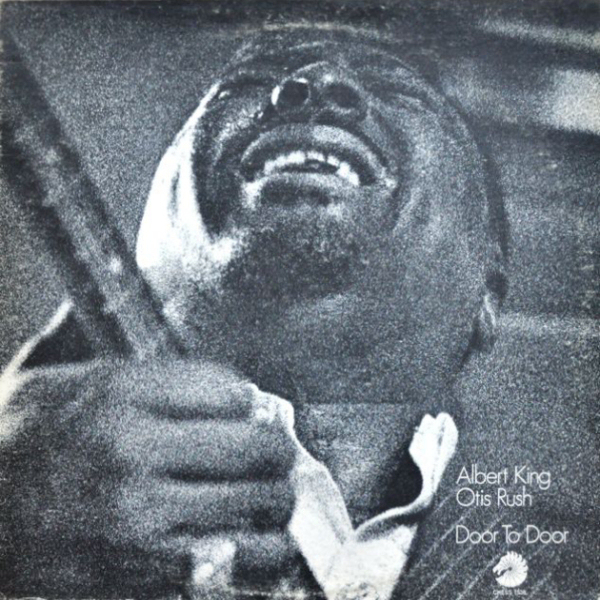 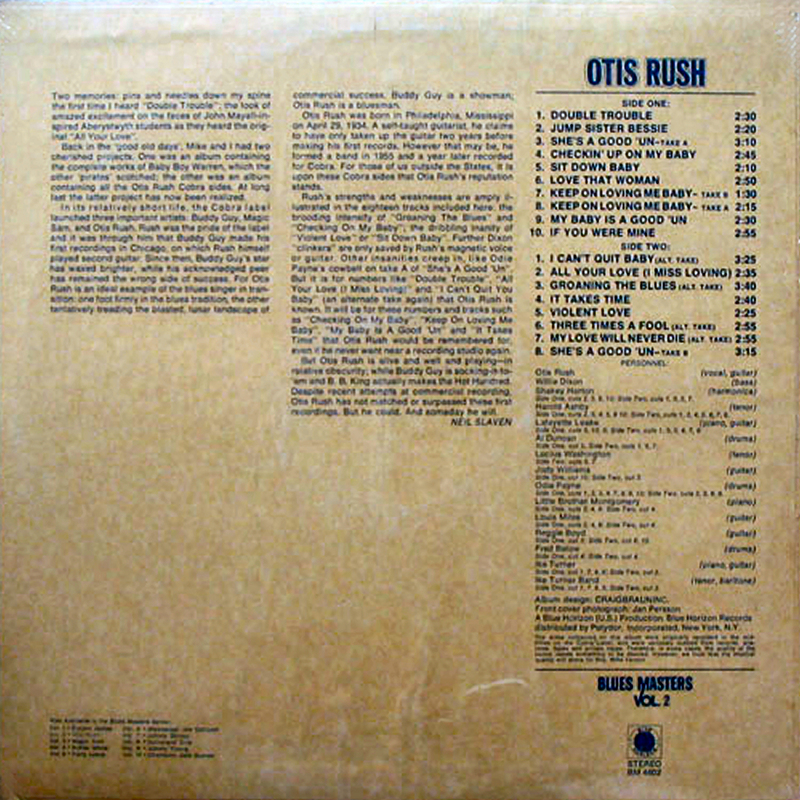 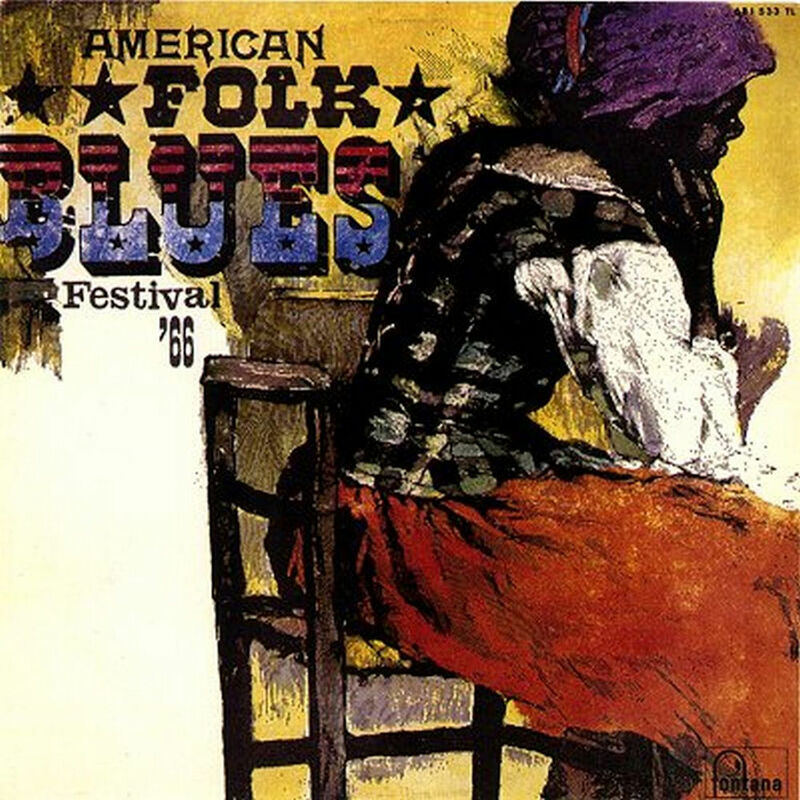 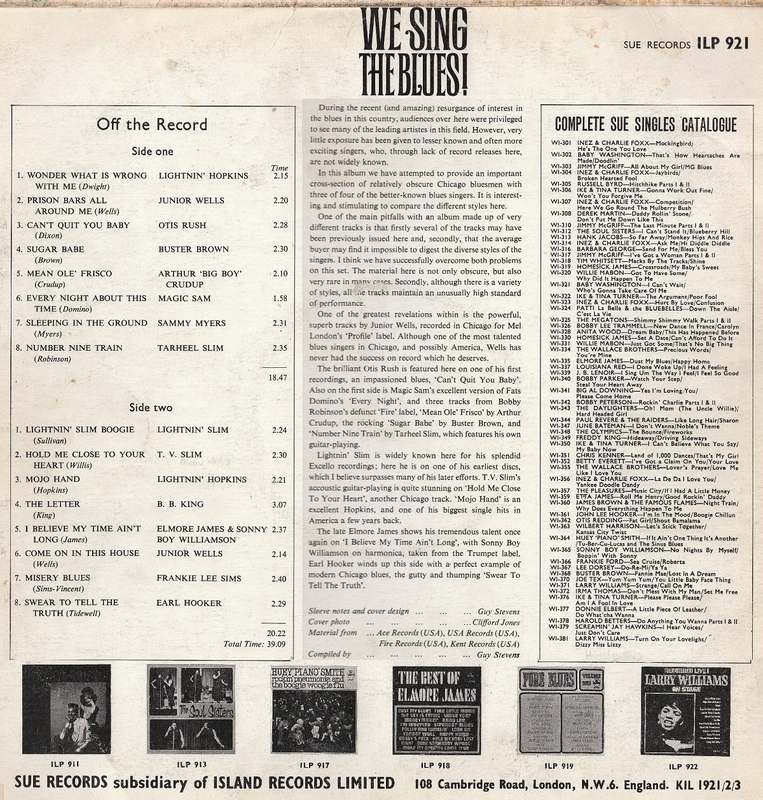 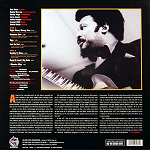 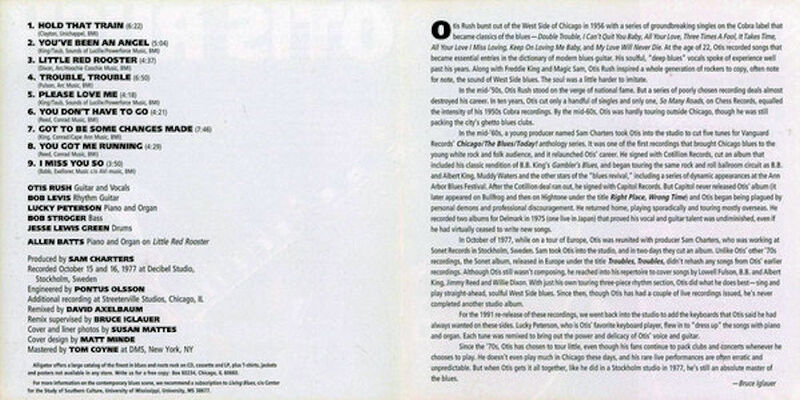 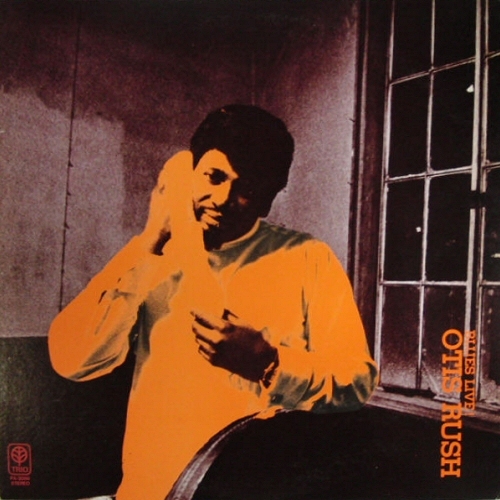 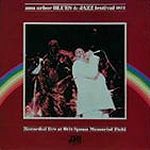 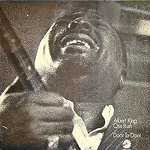 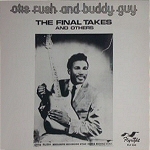 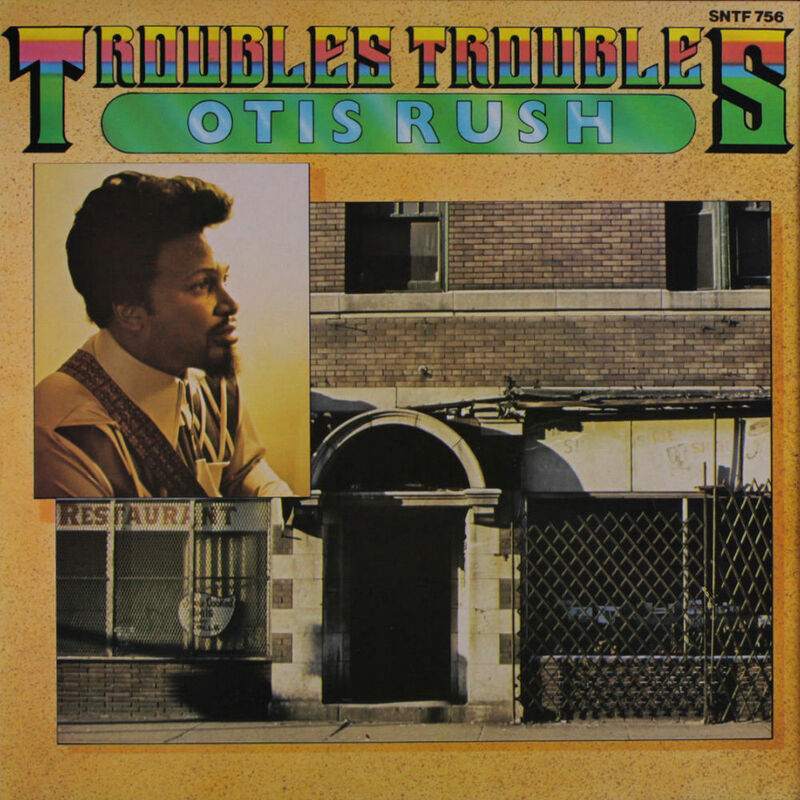 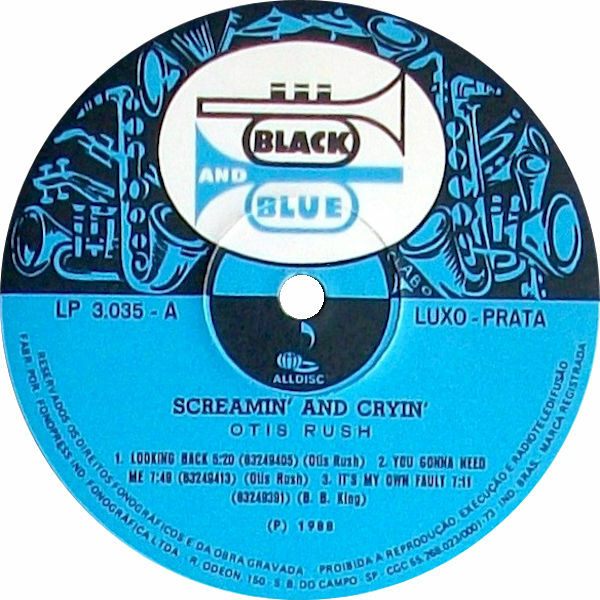 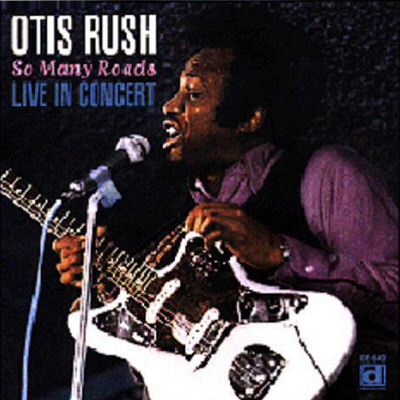 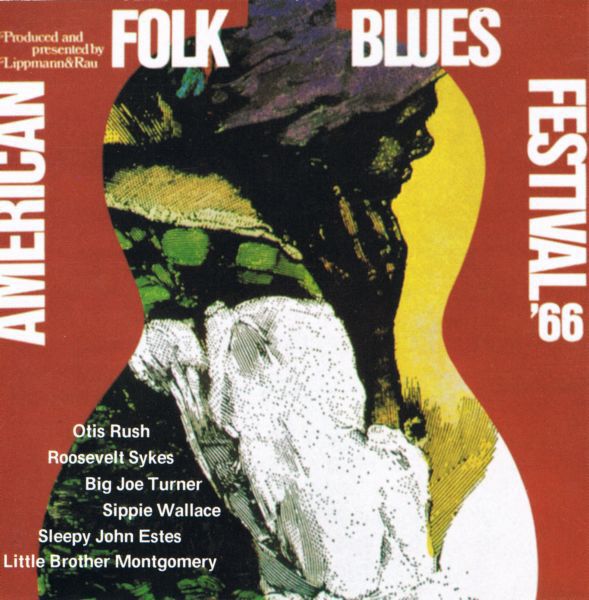 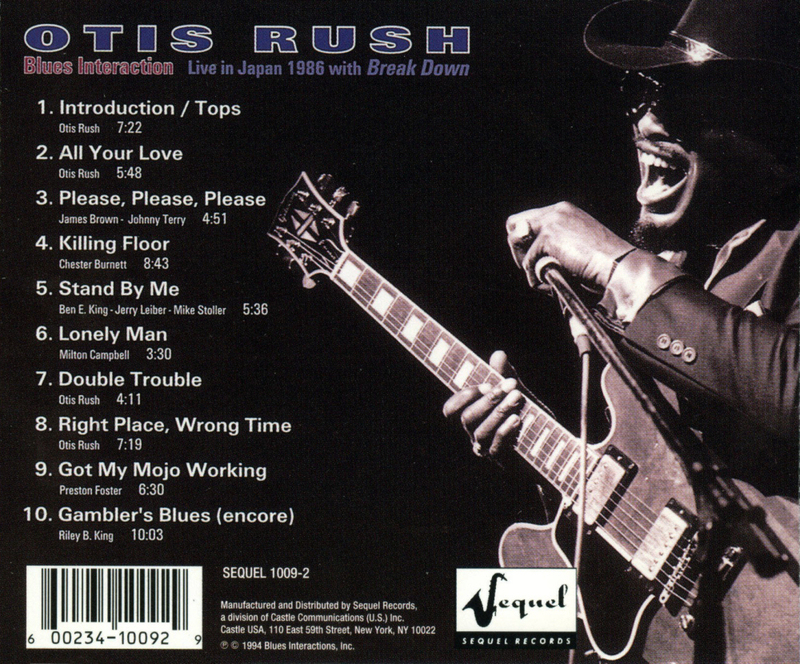 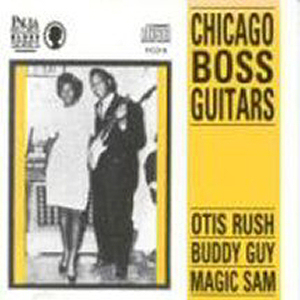 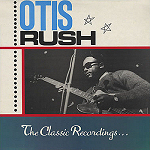 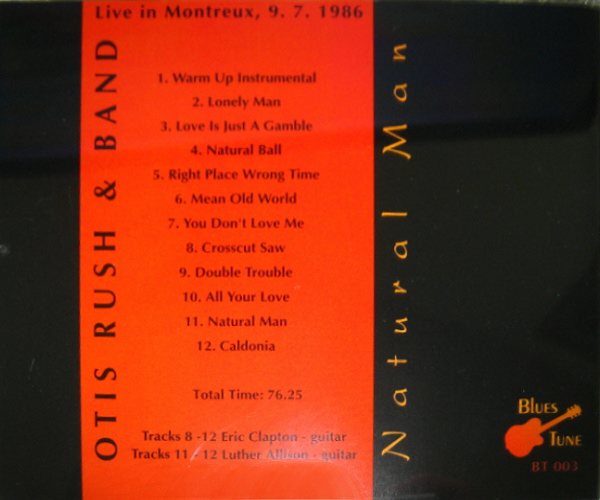 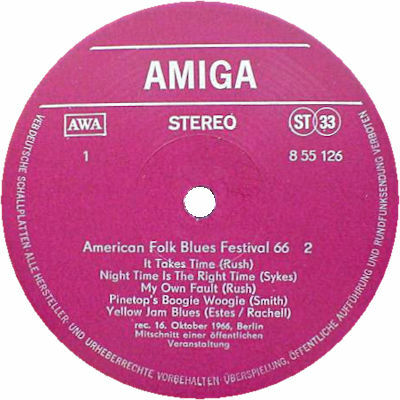 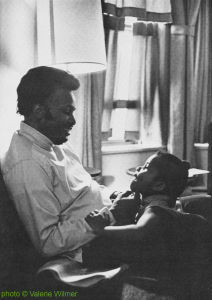 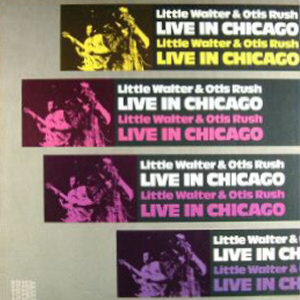 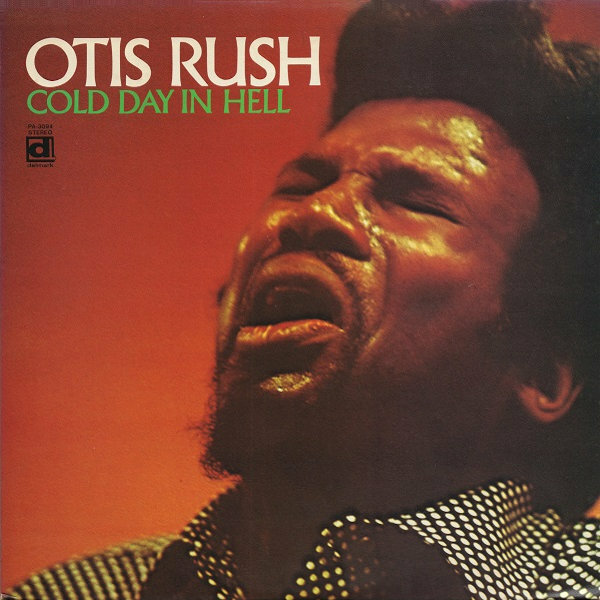 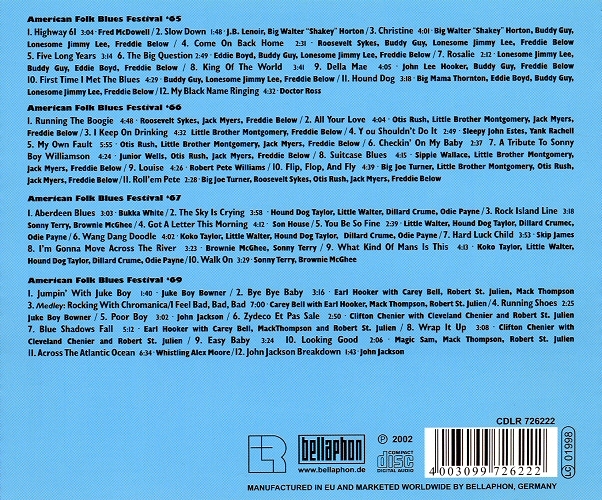 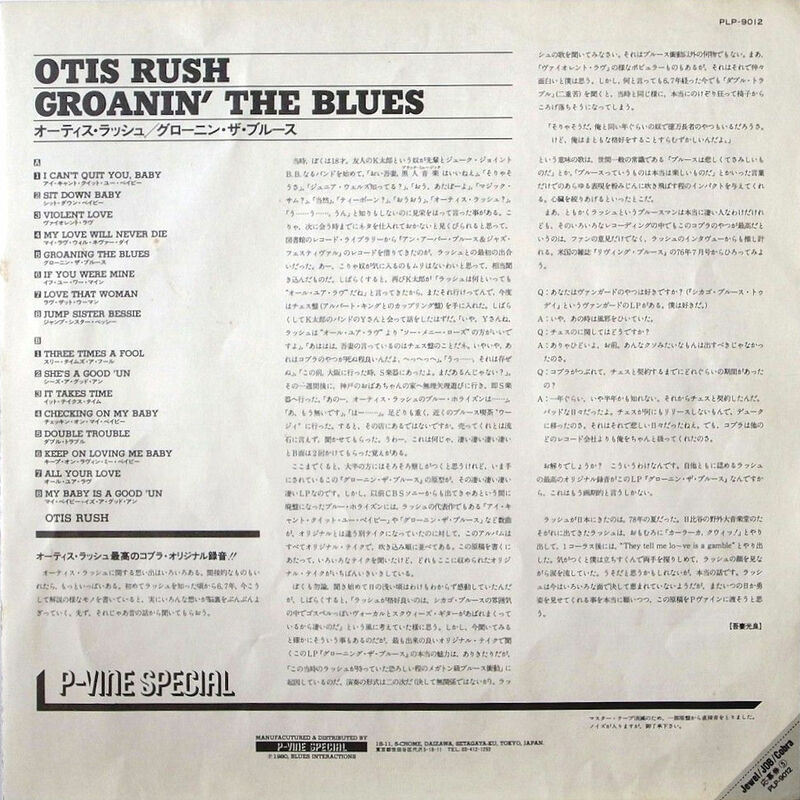 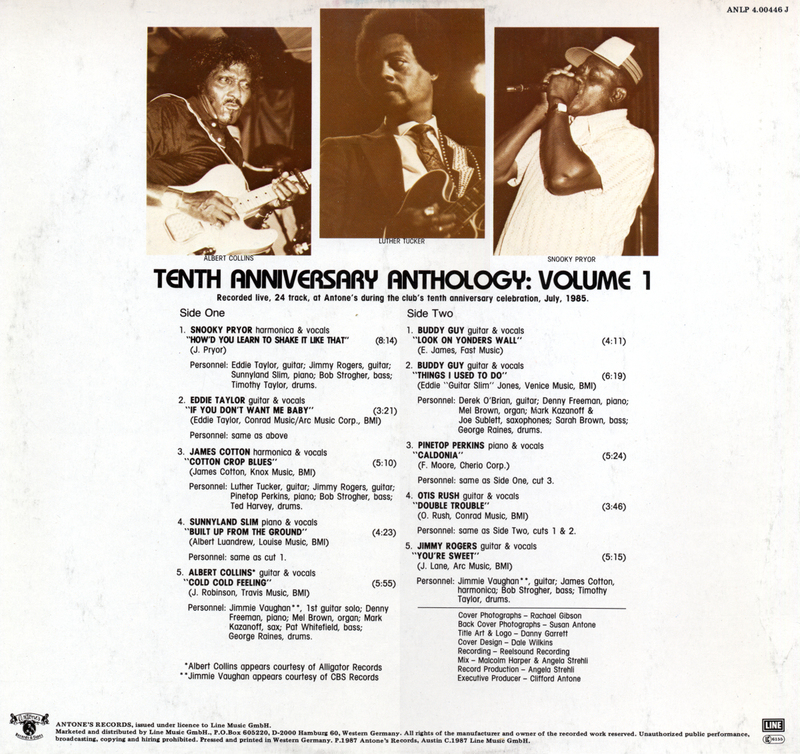 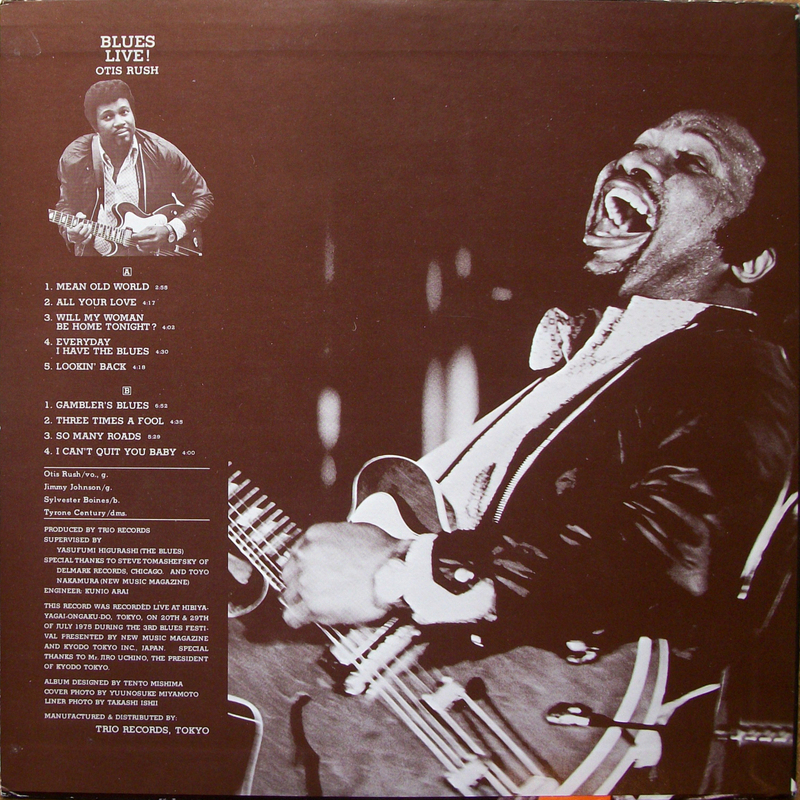 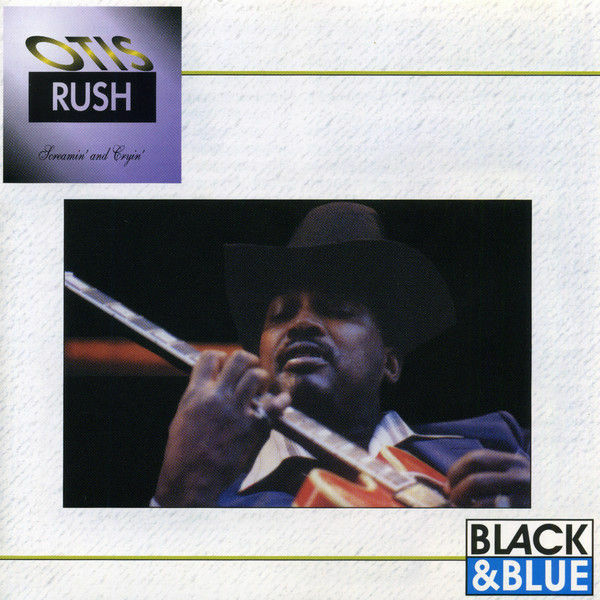 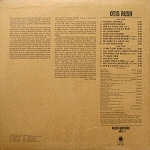 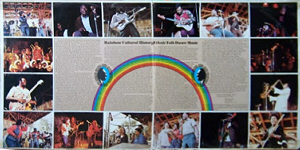 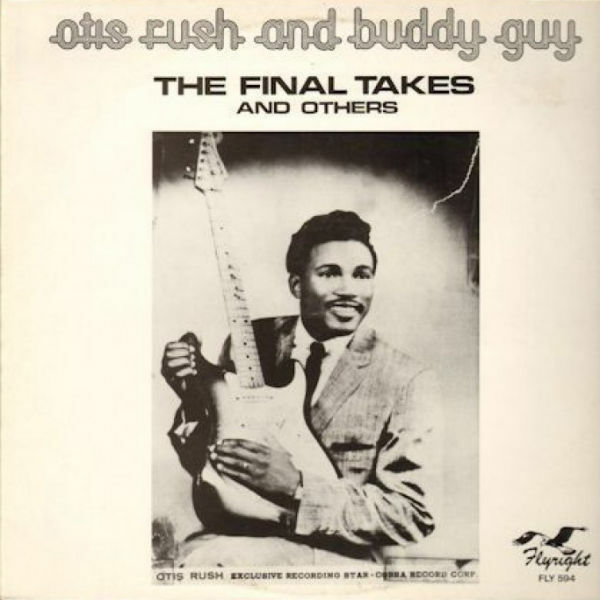 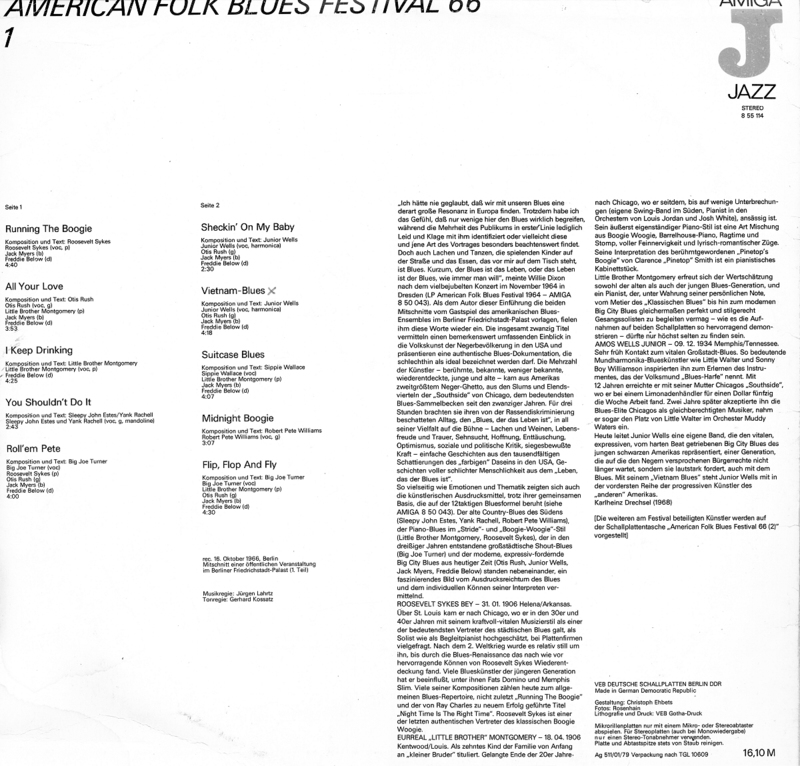 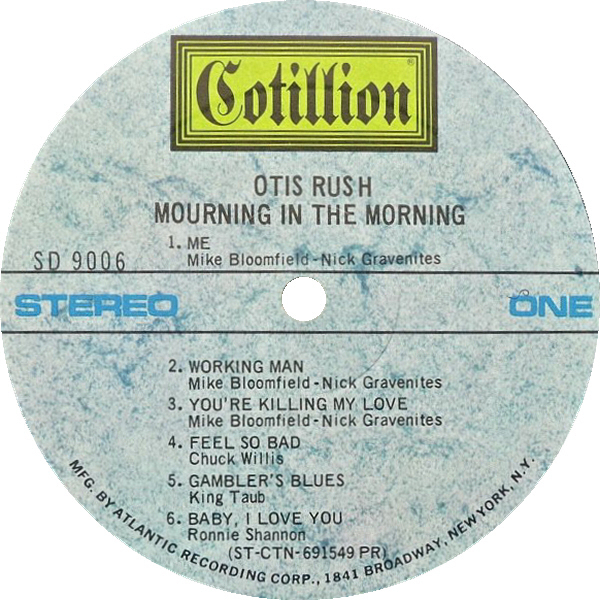 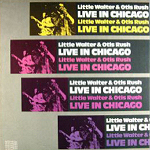 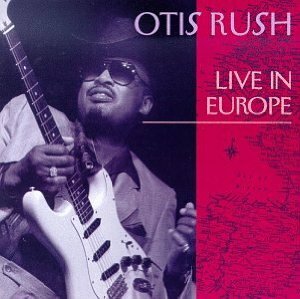 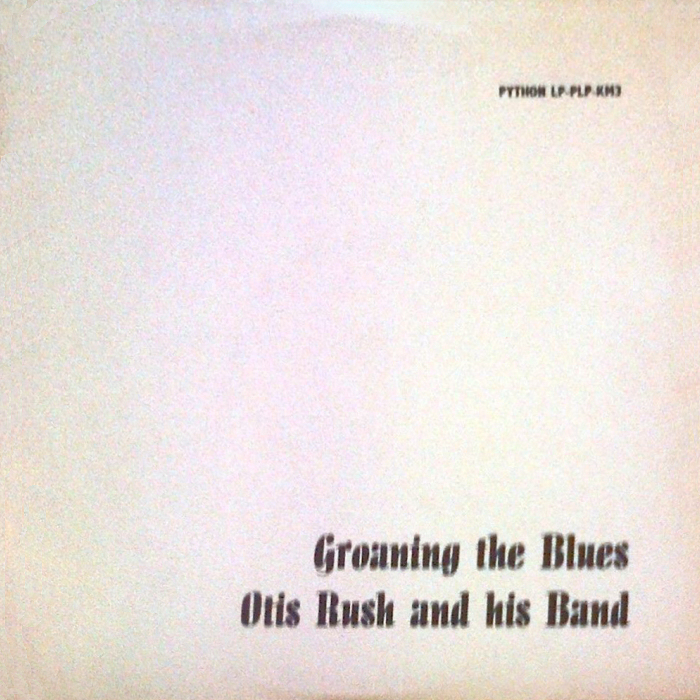 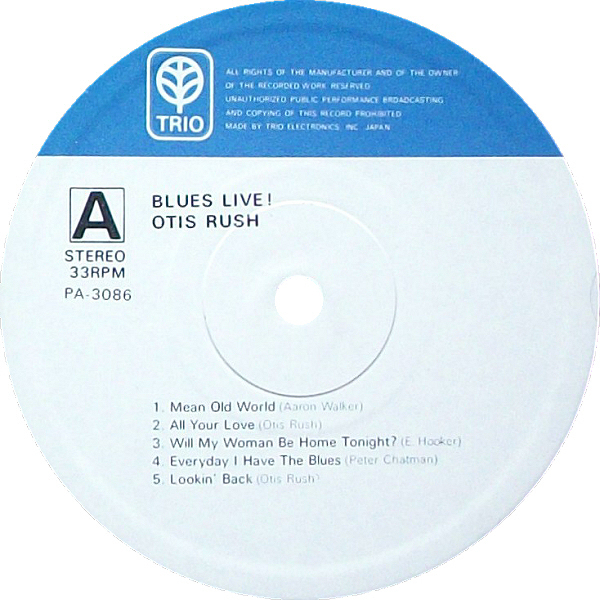 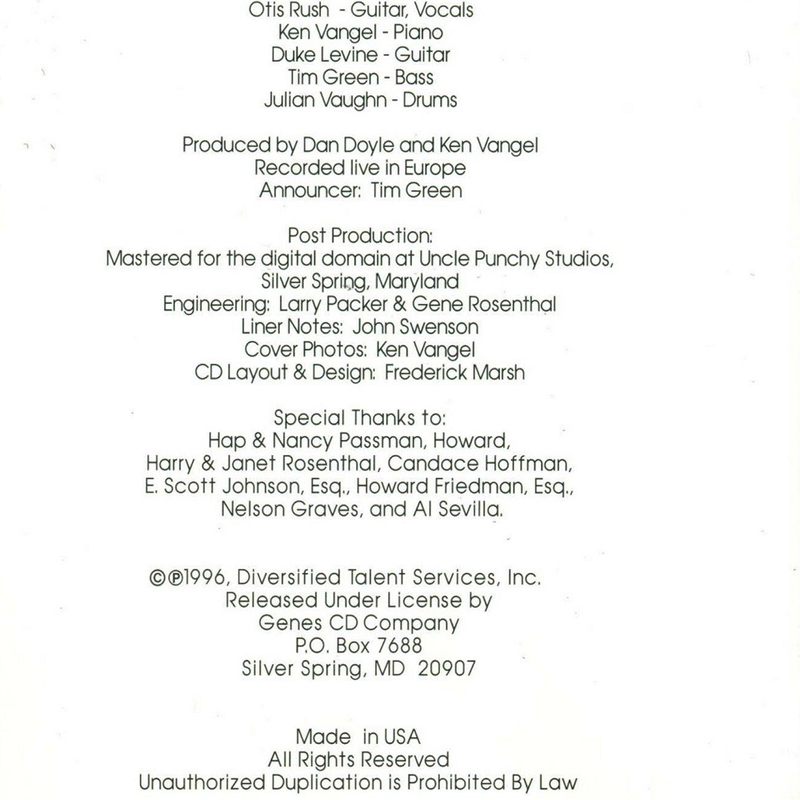 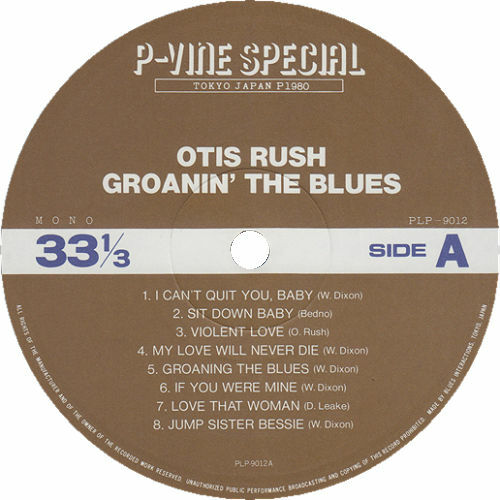 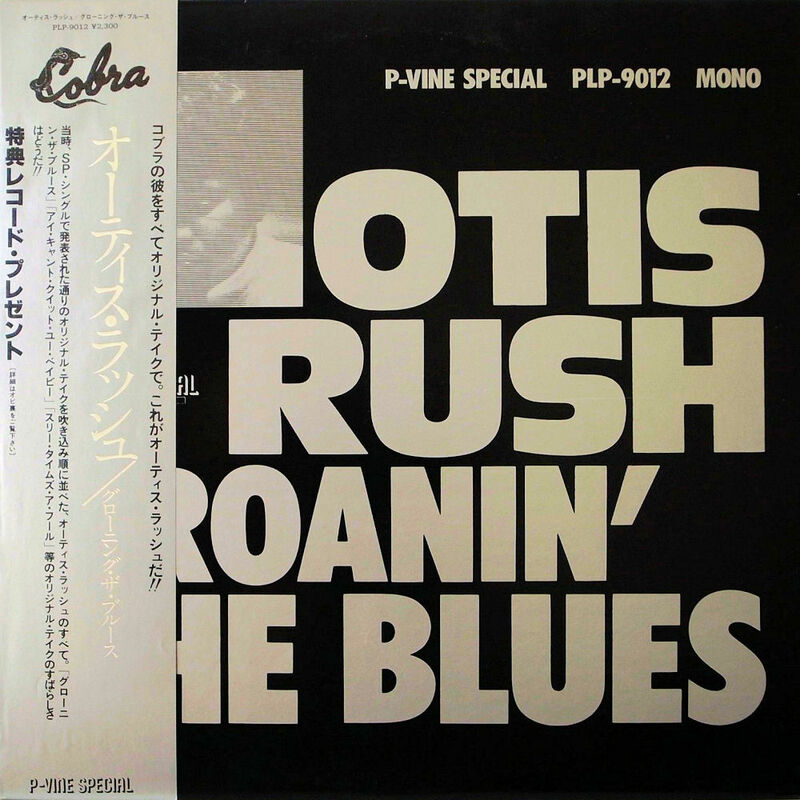 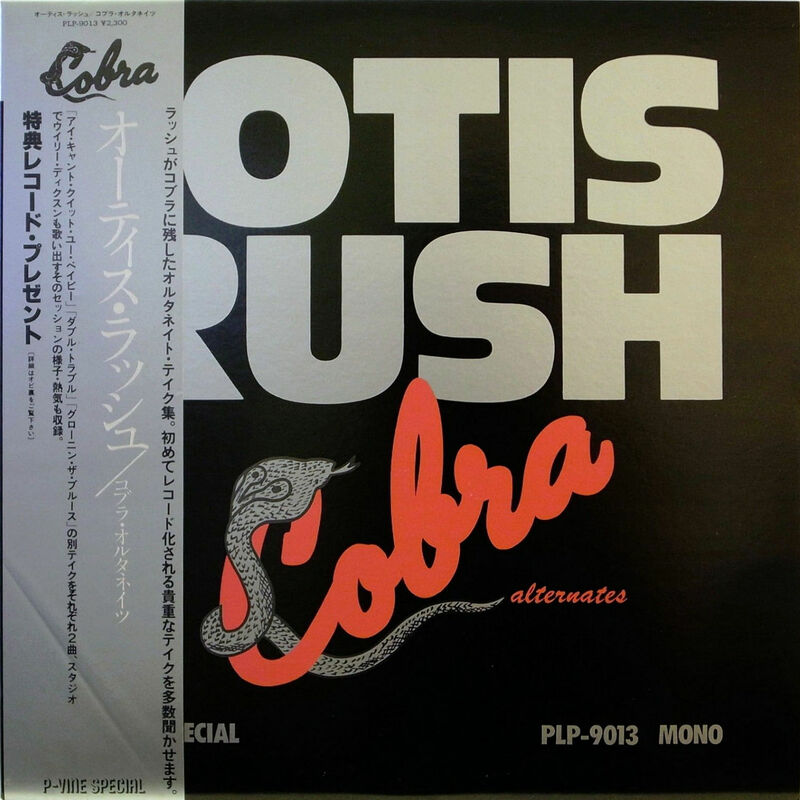 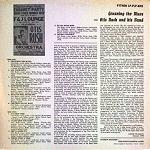 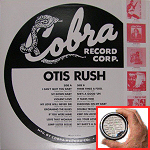 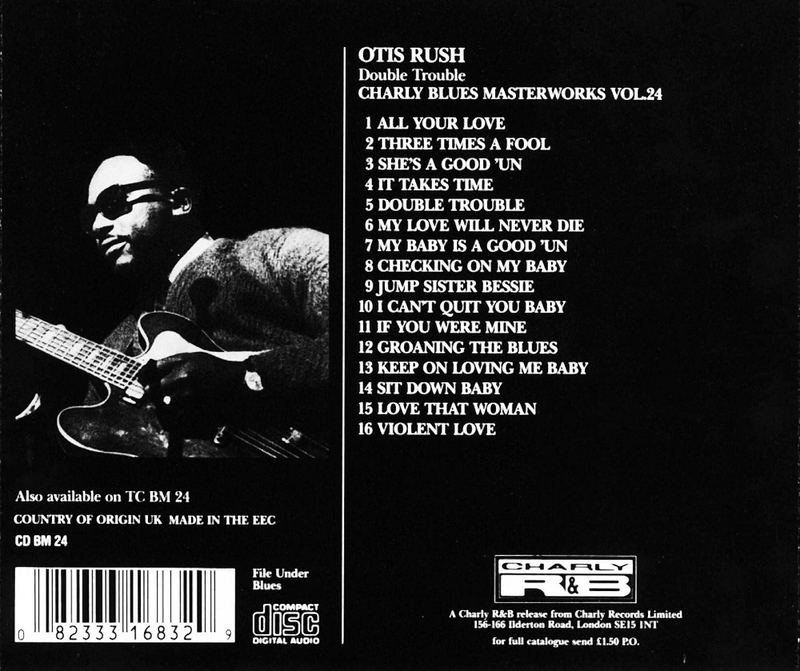 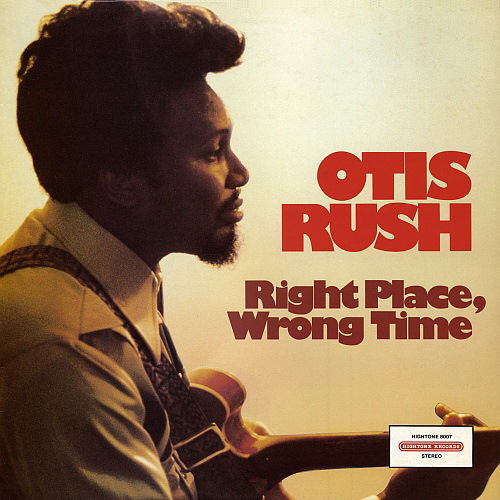 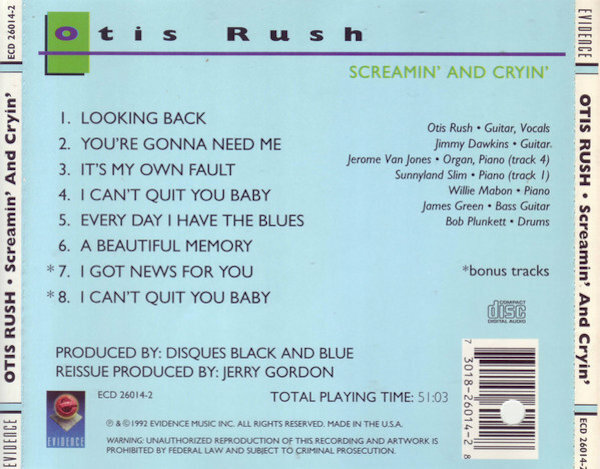 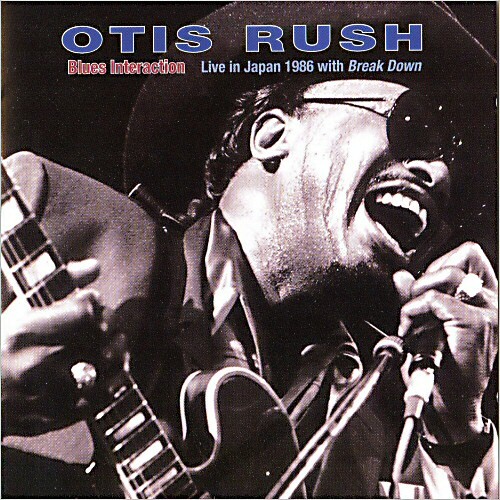 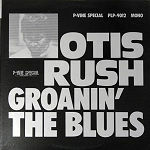 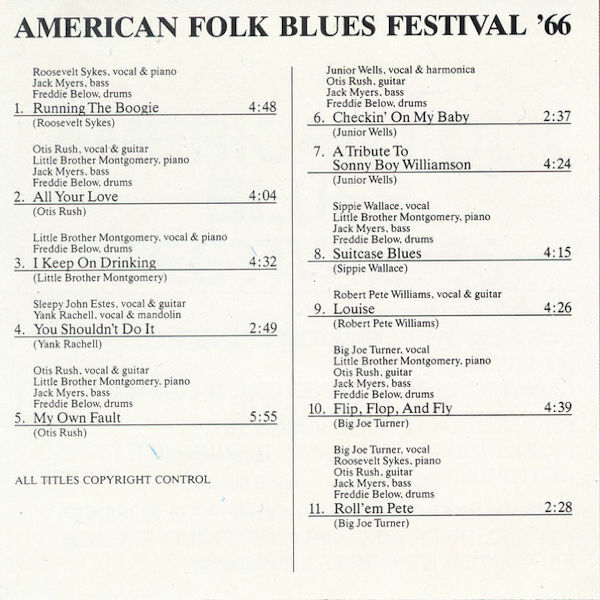 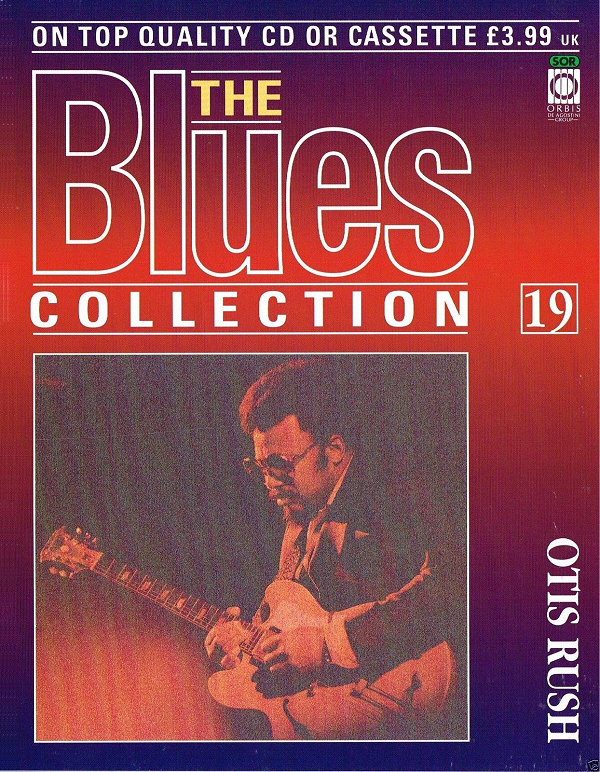 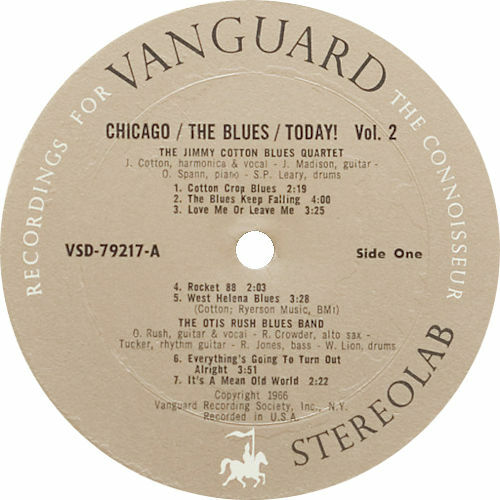 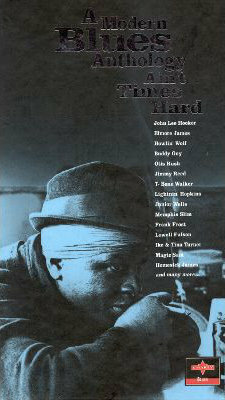 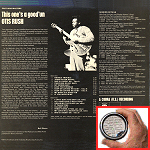 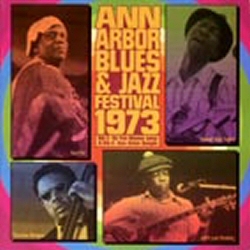 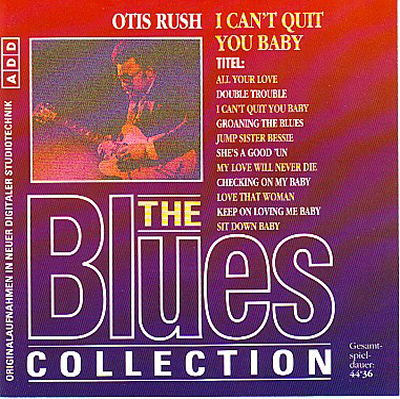 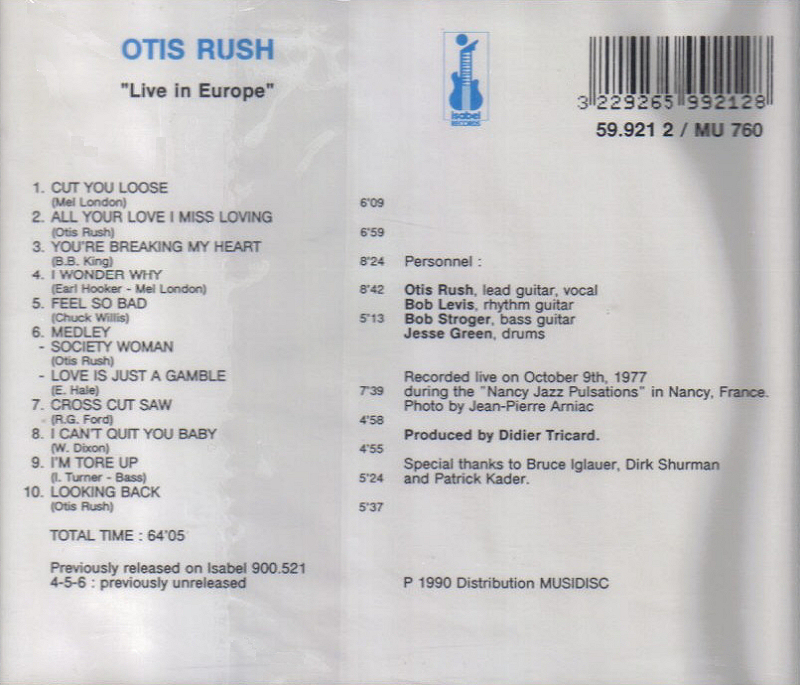 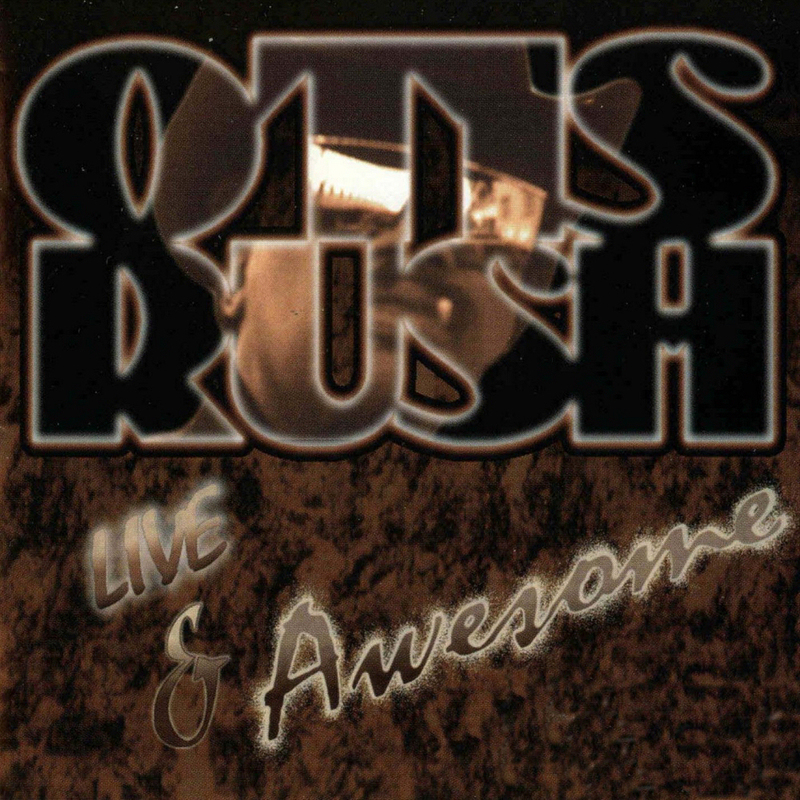 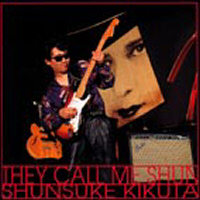 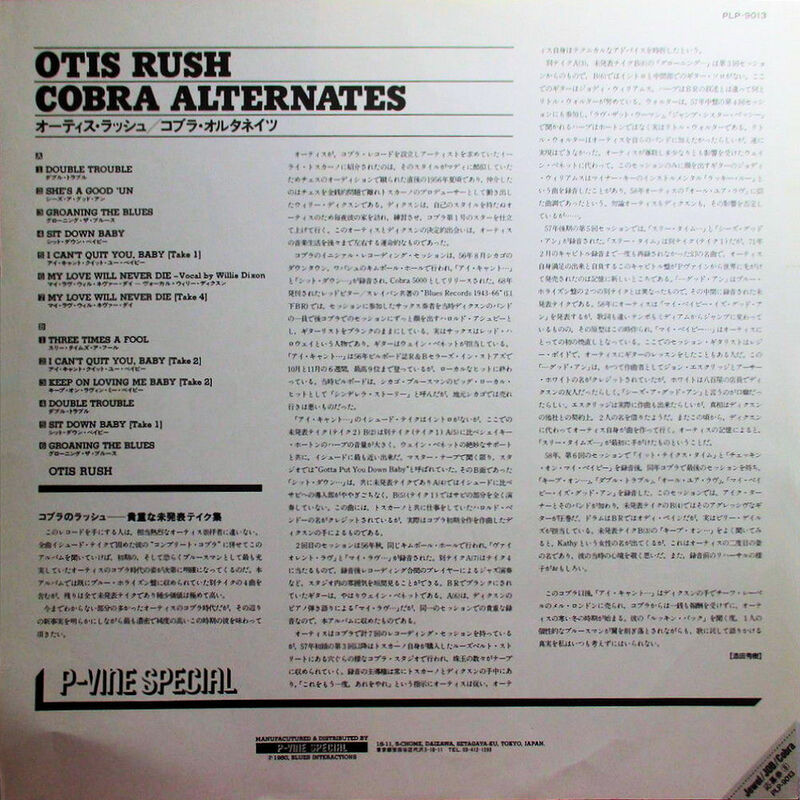 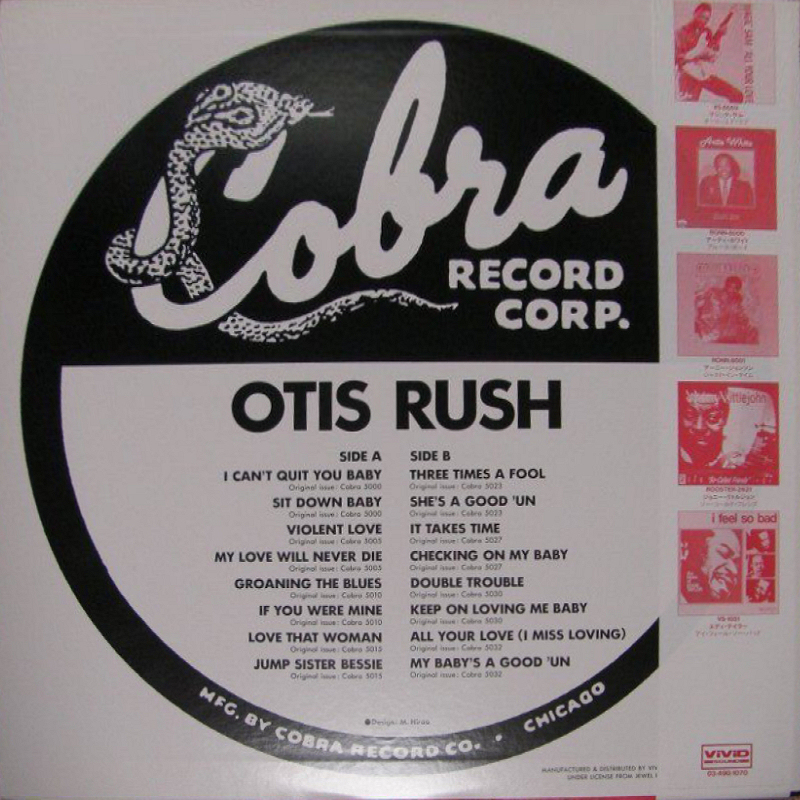 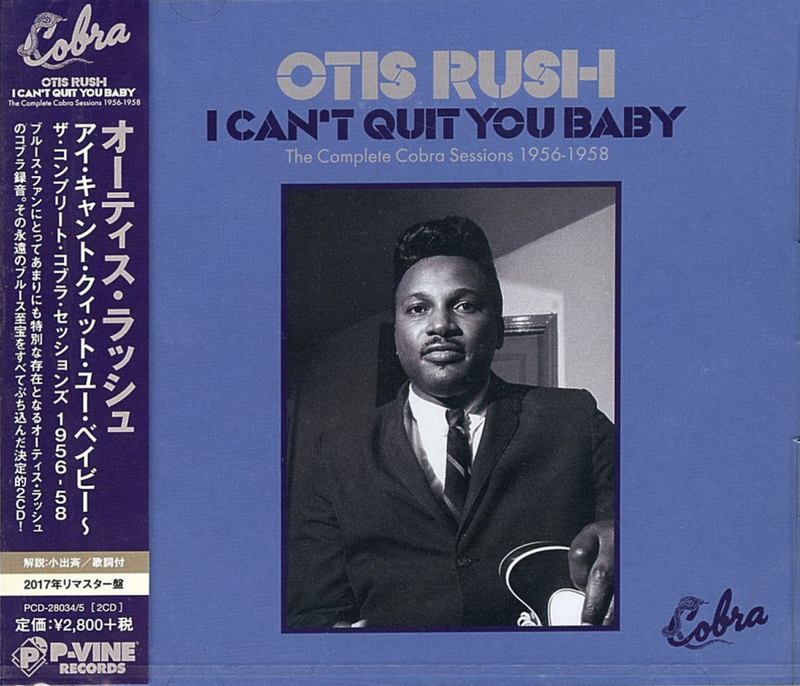 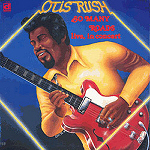 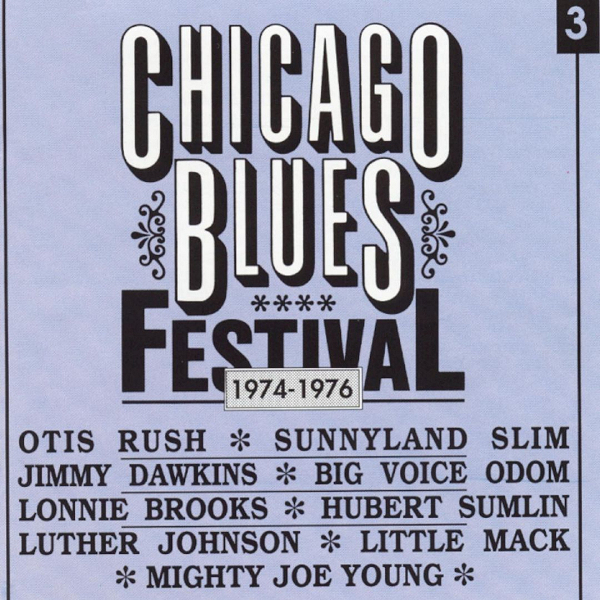 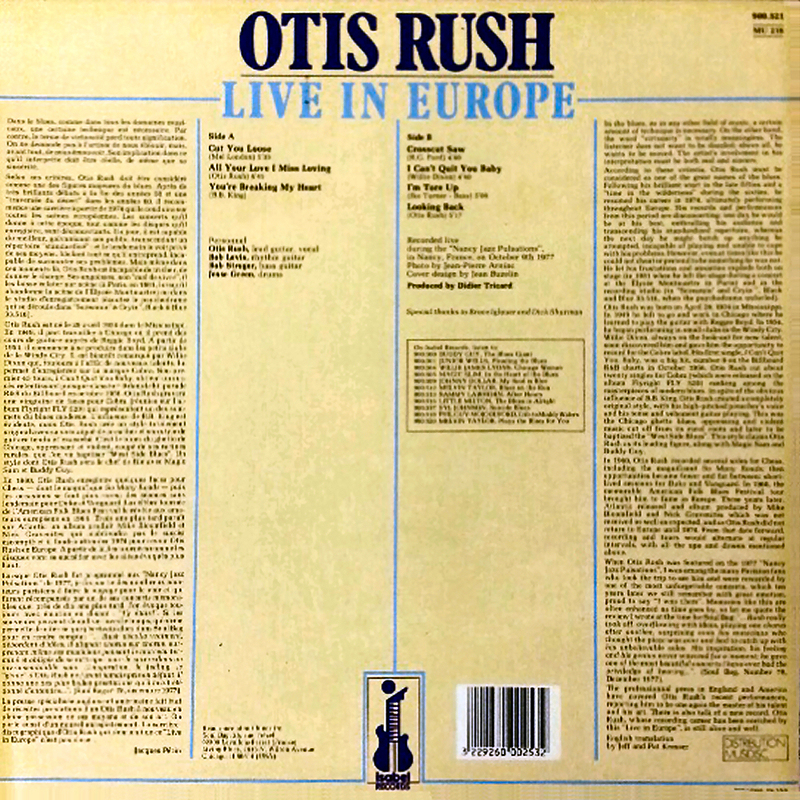 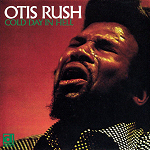 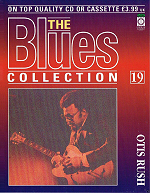 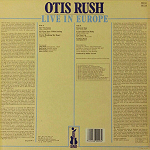 40 1975 Otis Rush: Blues Live! 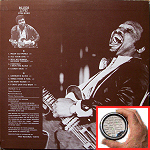 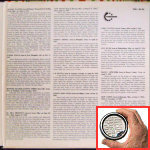 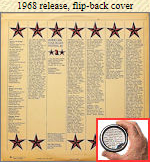 = Delmark DS 643 (US 1978) "So Many Roads - Live, in Concert"
= Delmark CD DE-643 (US 1995) "So Many Roads - Live in Concert"
From the Alligator Records web site "For the 1991 re-release of these recordings, we went back into the studio to add the keyboards that Otis said he had always wanted on these sides. 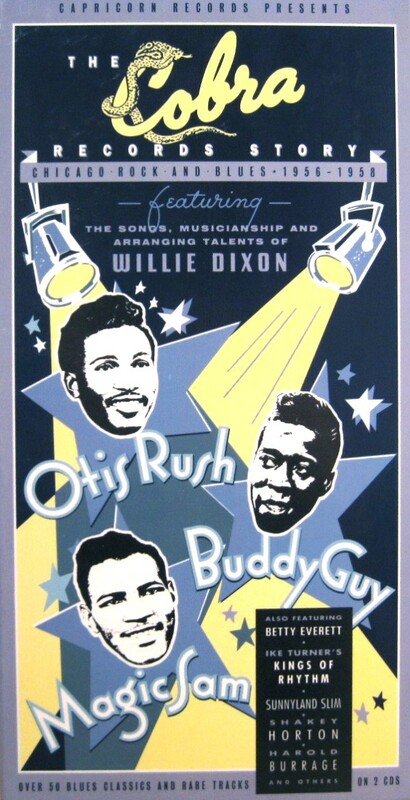 Lucky Peterson, who is Otis' favorite keyboard player, flew in to 'dress up' the songs with piano and organ. 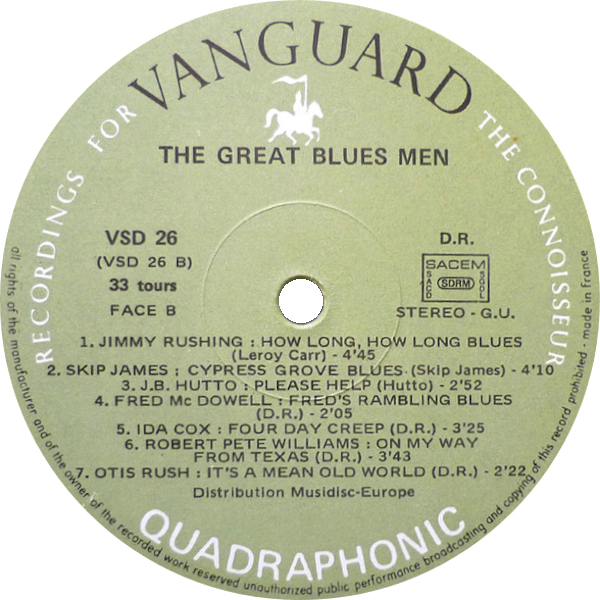 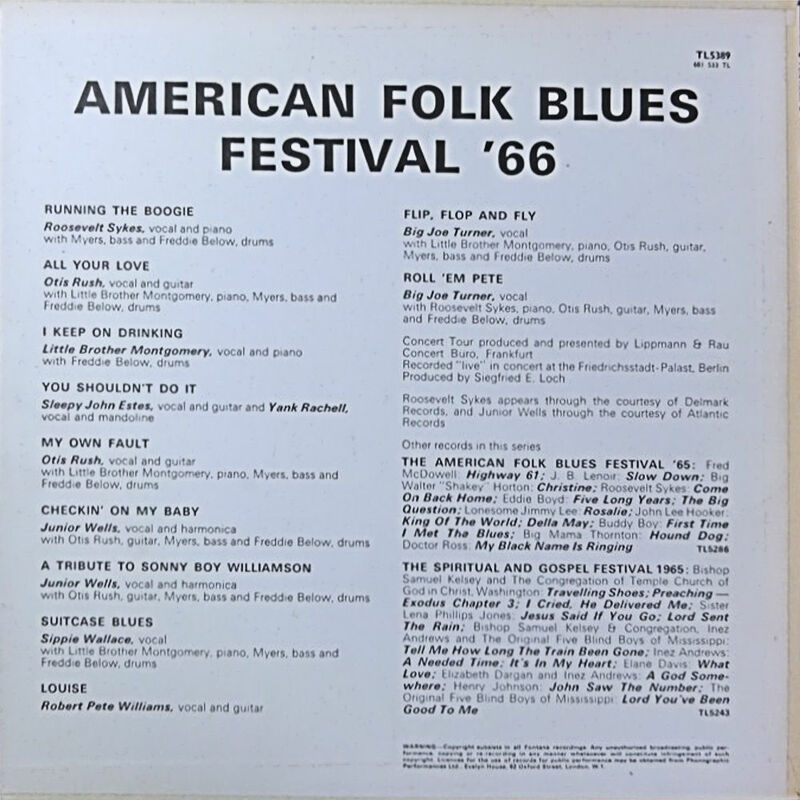 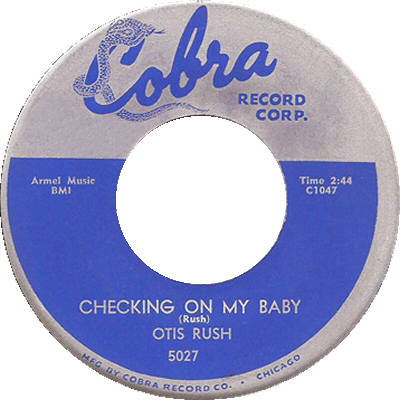 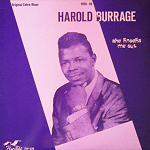 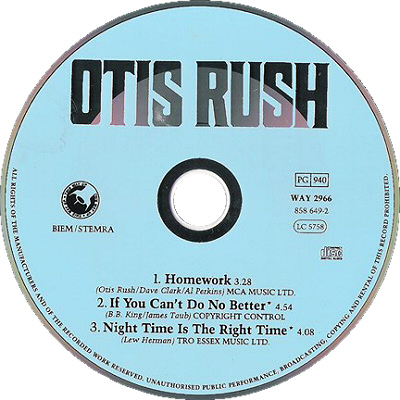 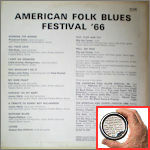 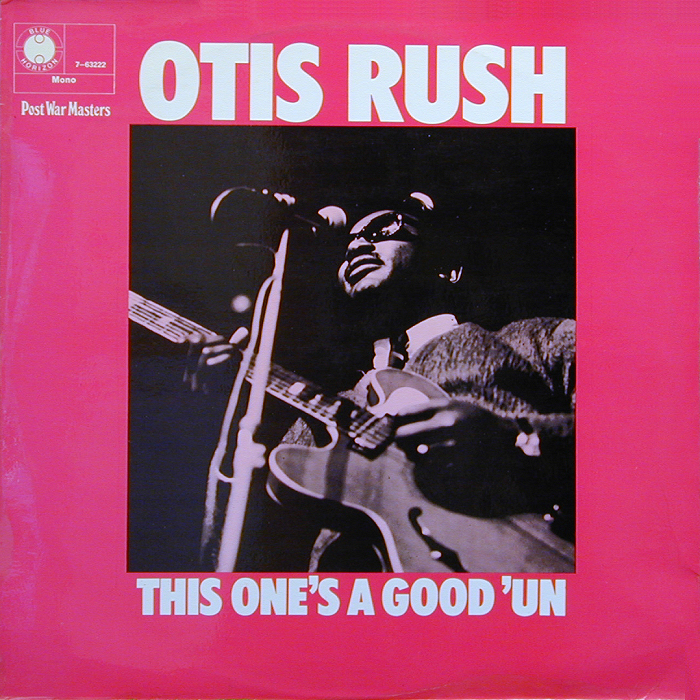 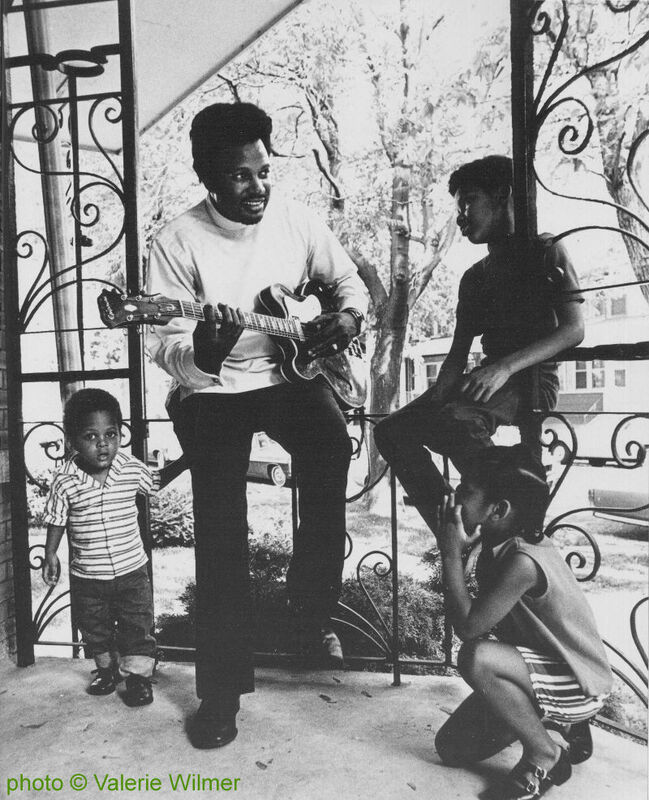 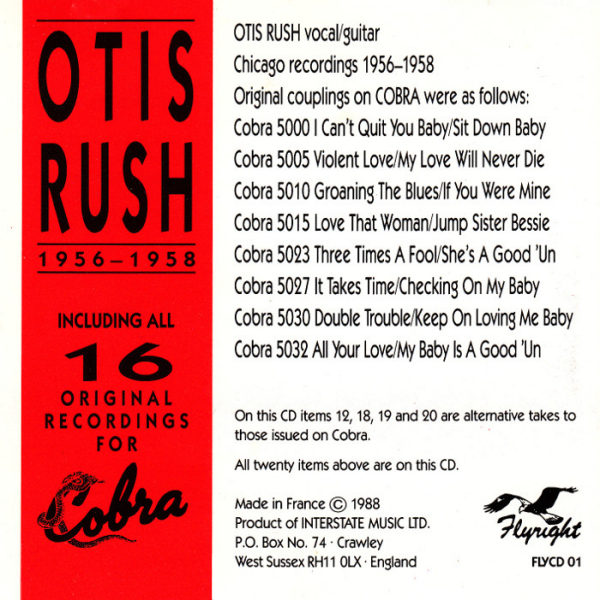 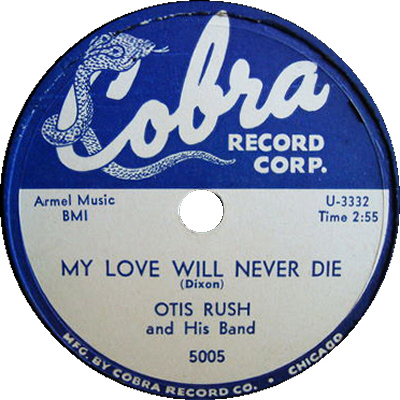 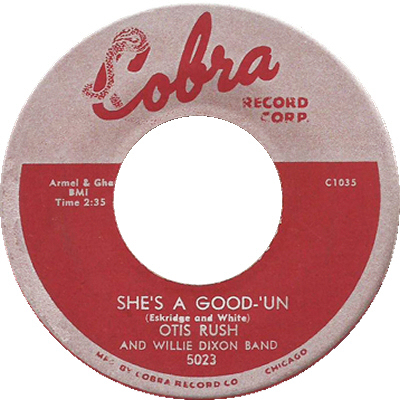 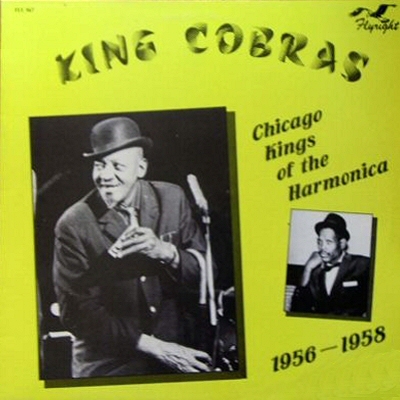 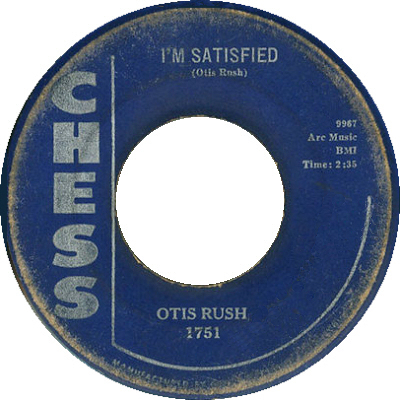 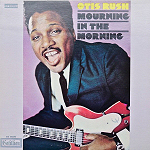 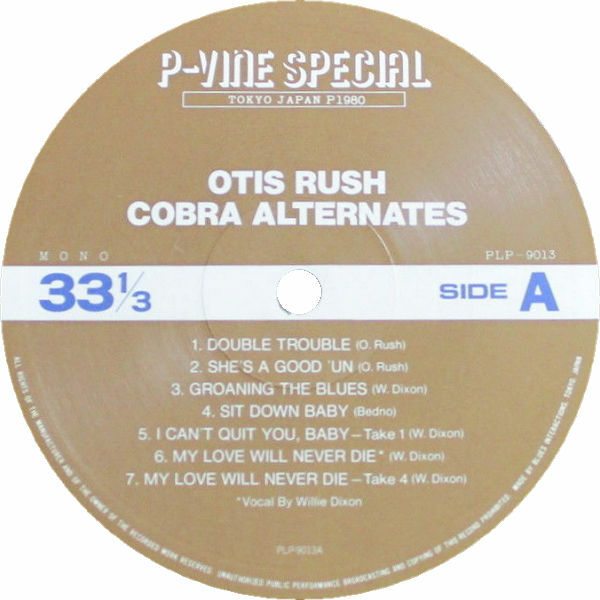 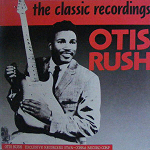 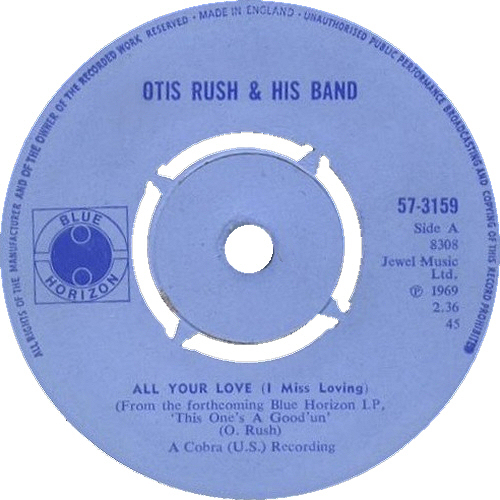 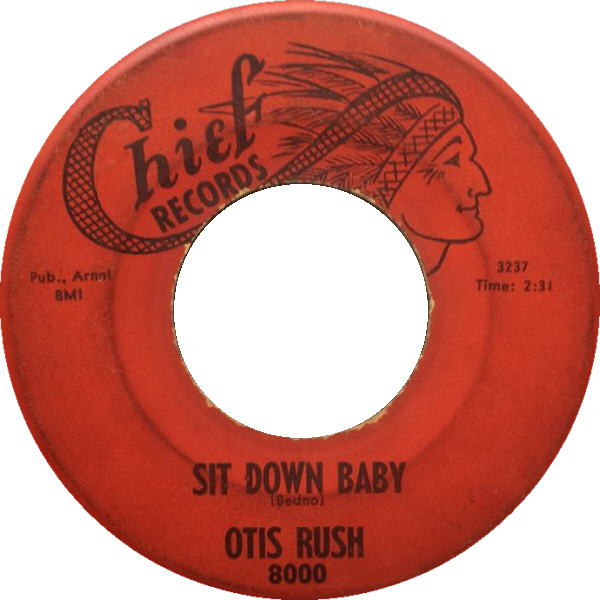 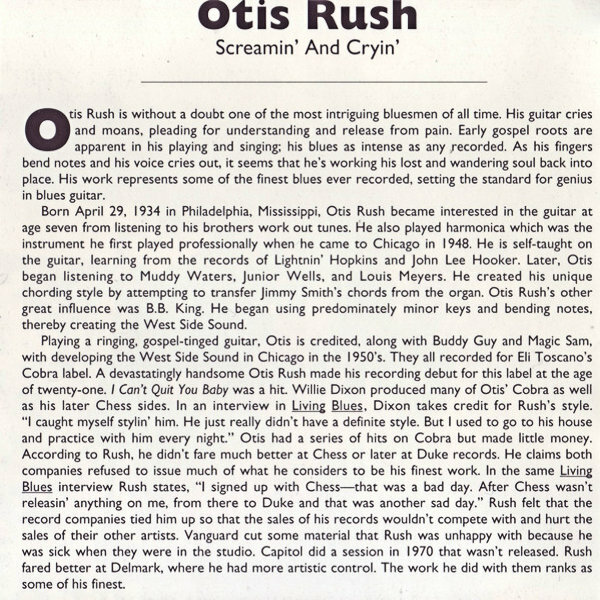 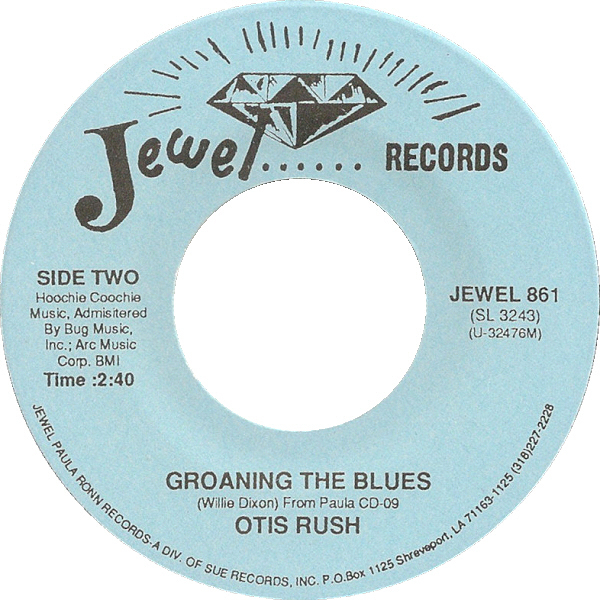 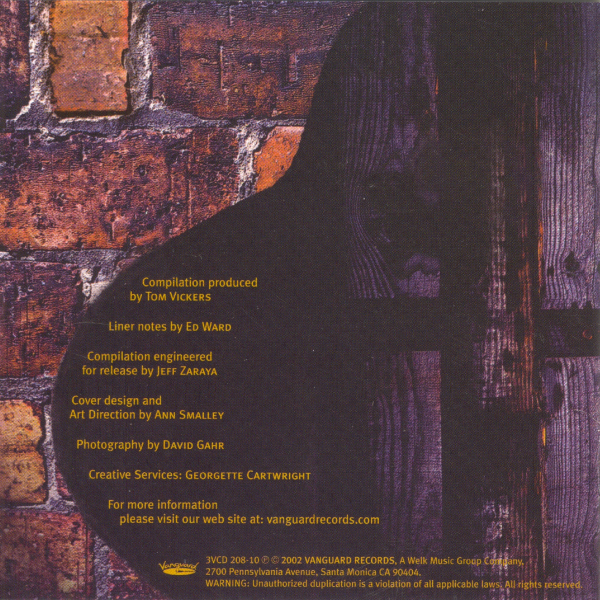 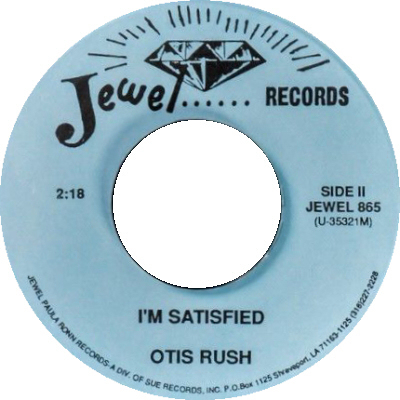 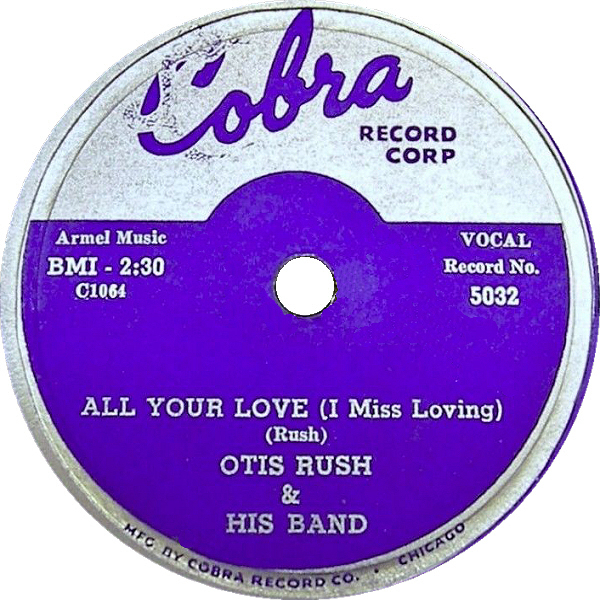 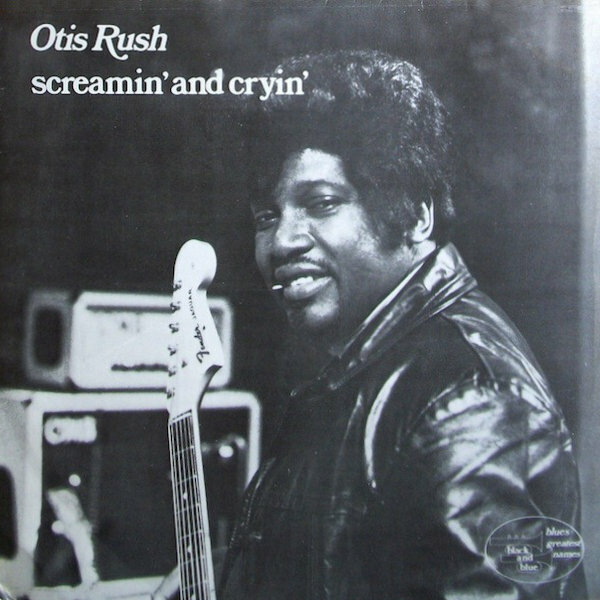 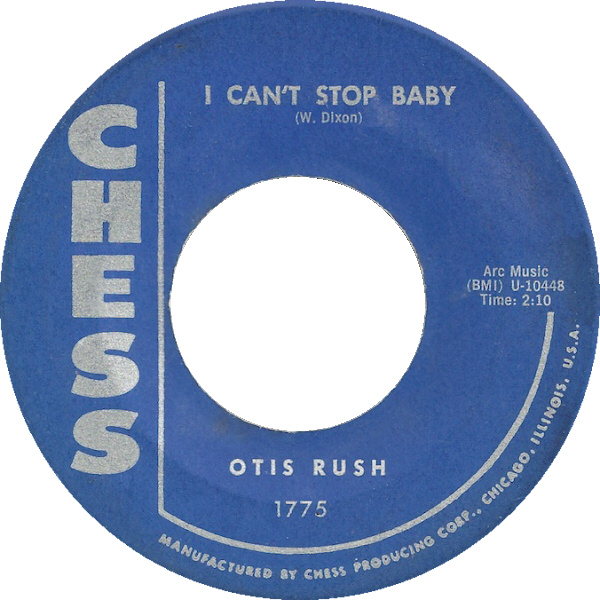 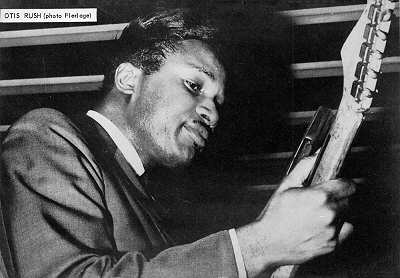 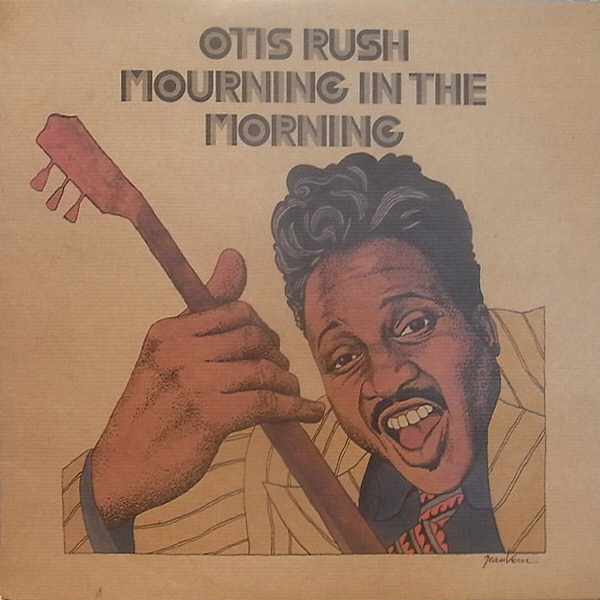 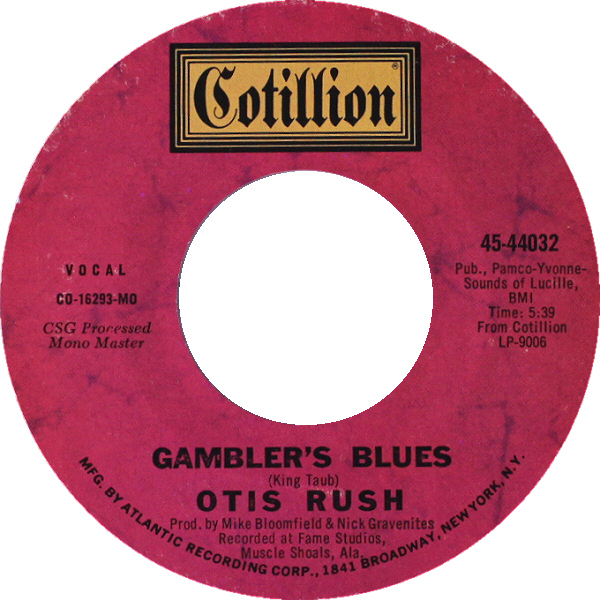 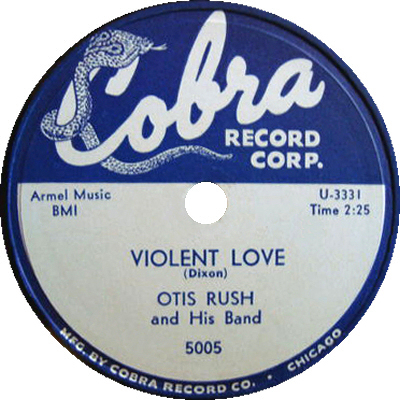 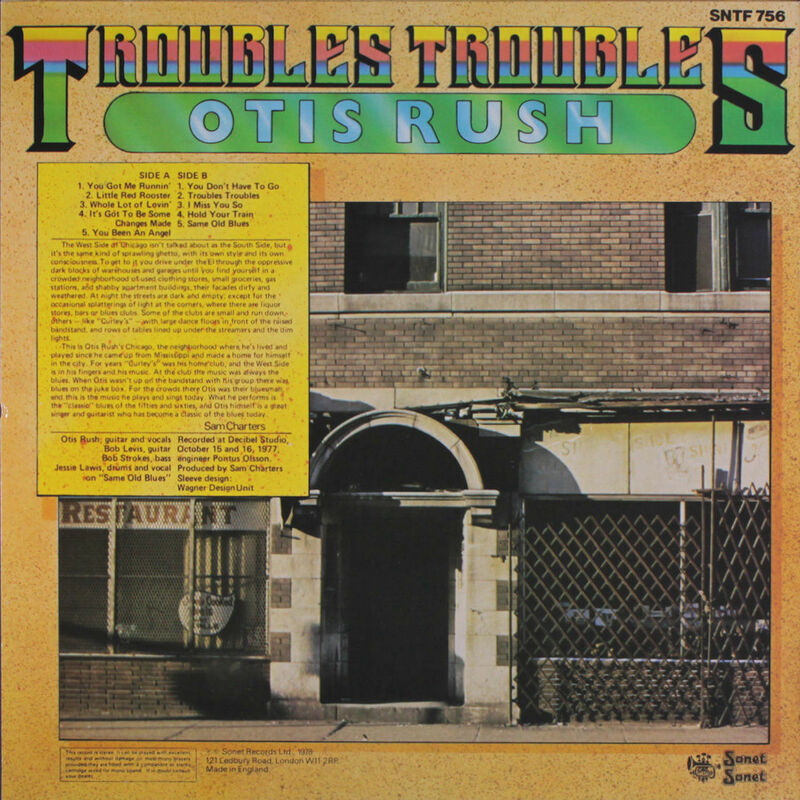 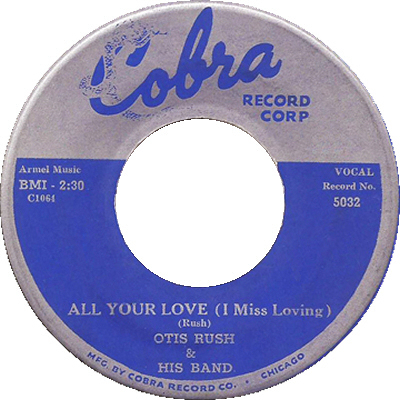 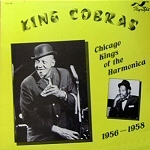 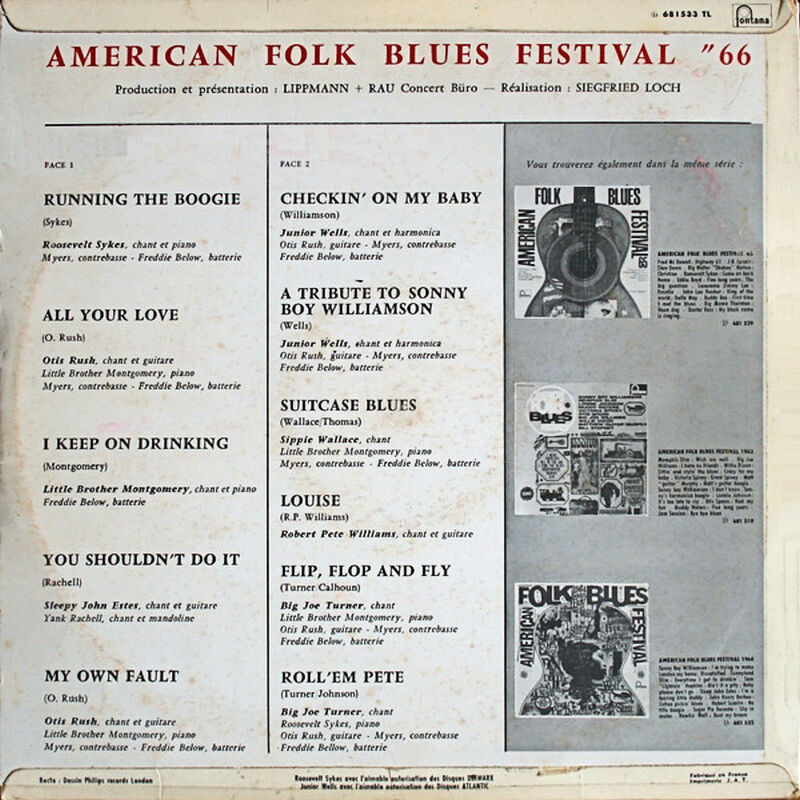 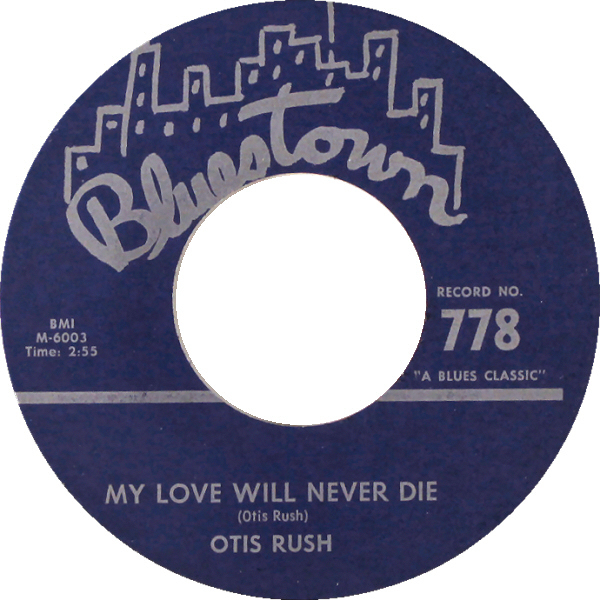 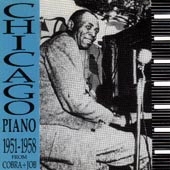 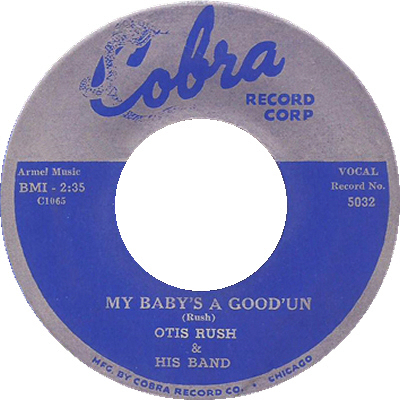 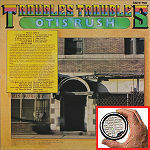 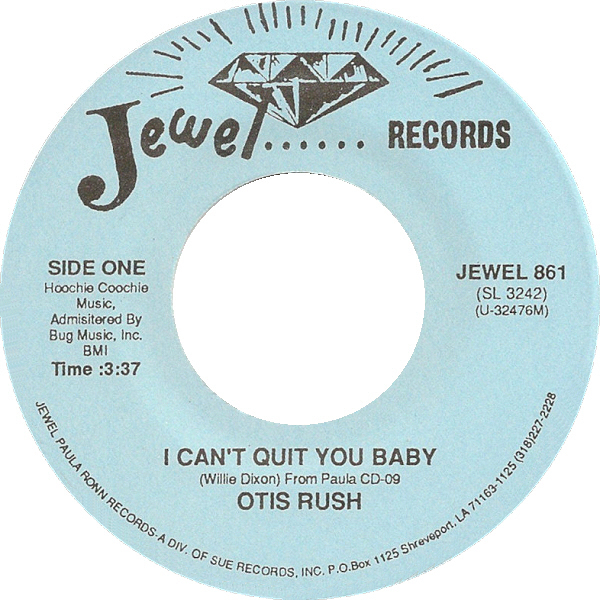 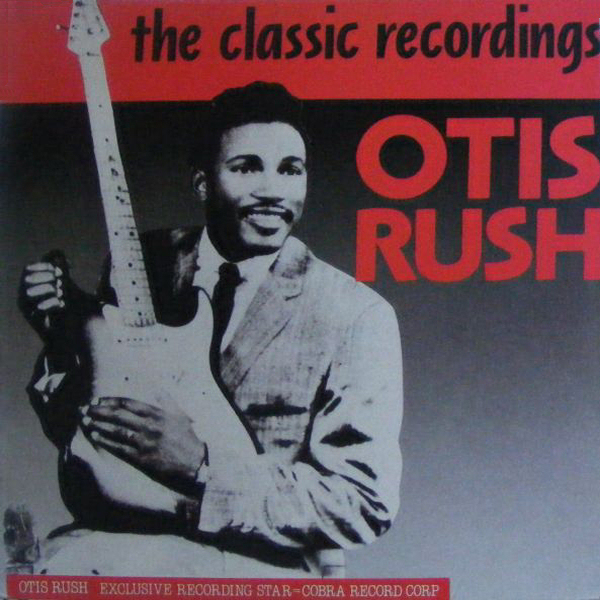 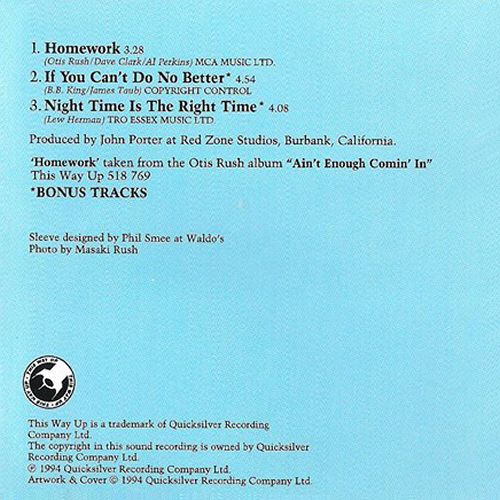 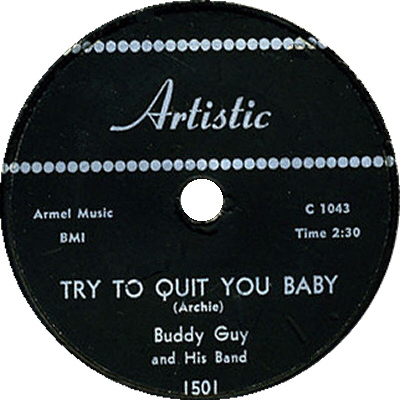 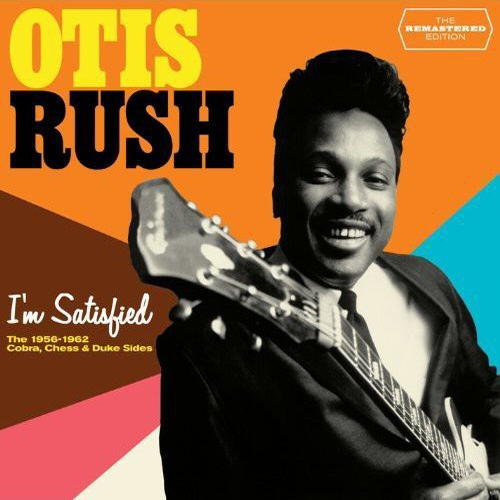 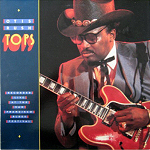 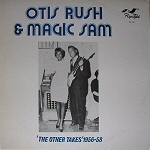 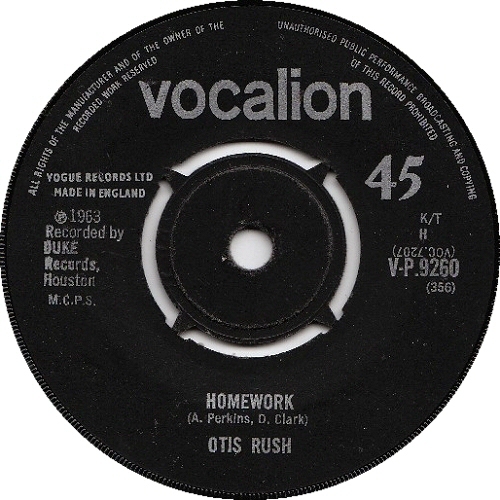 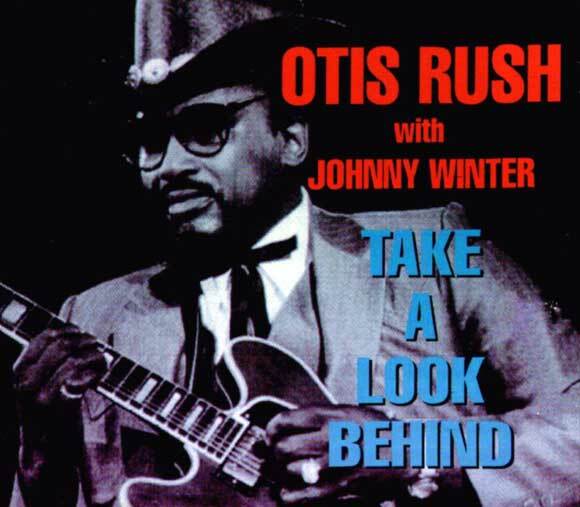 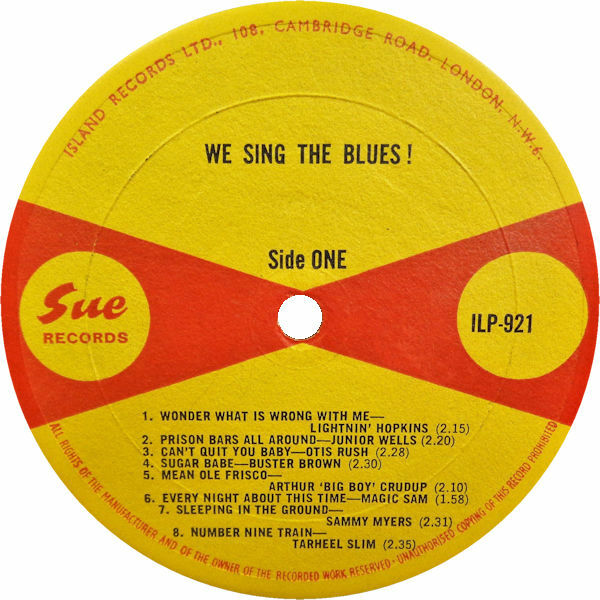 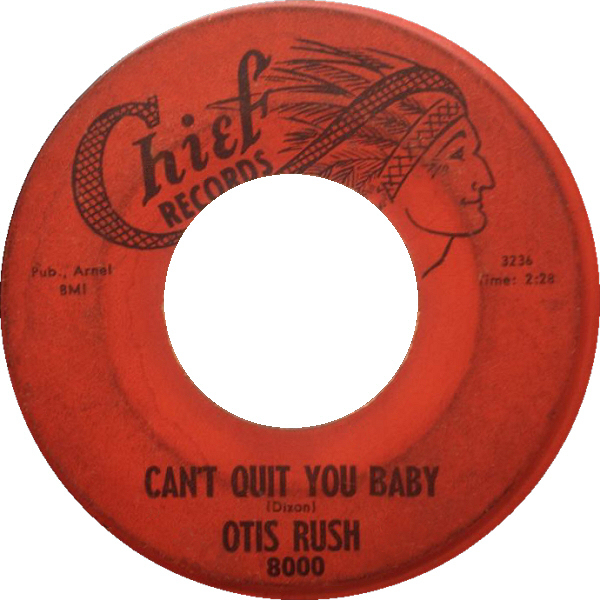 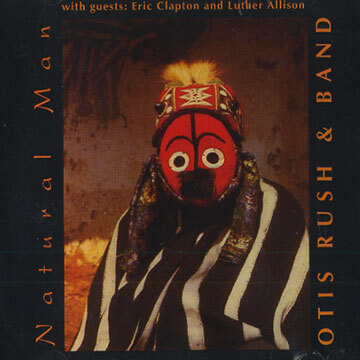 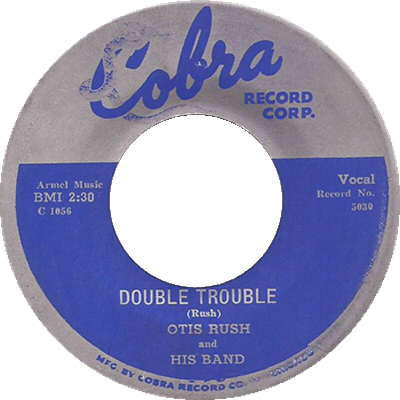 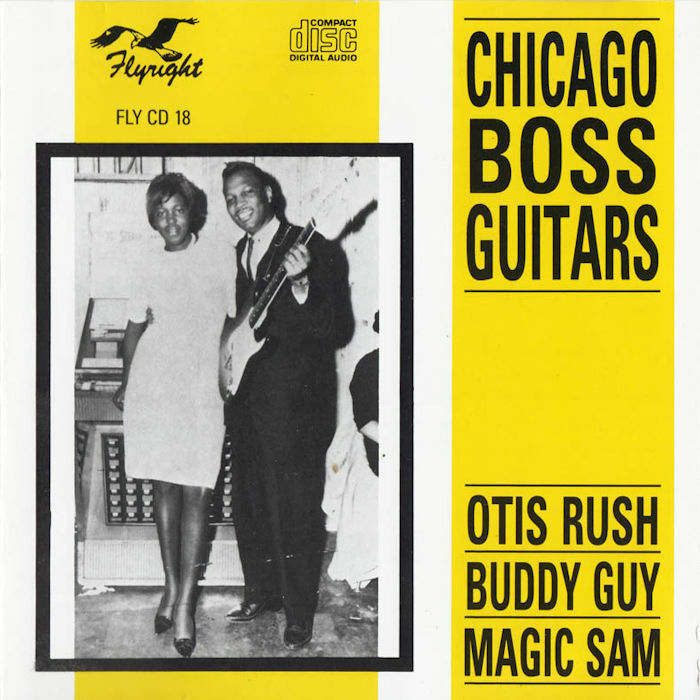 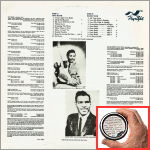 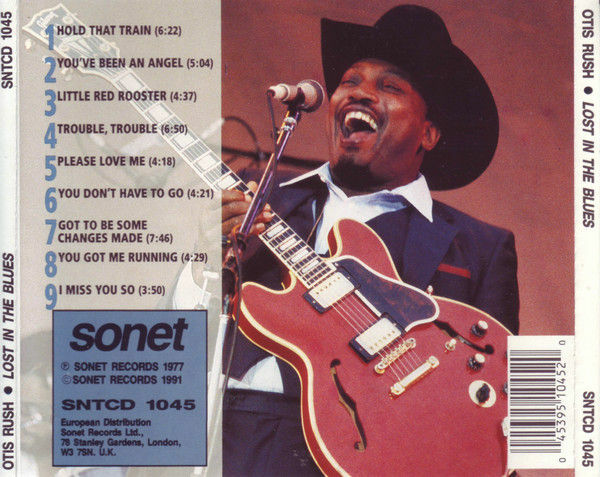 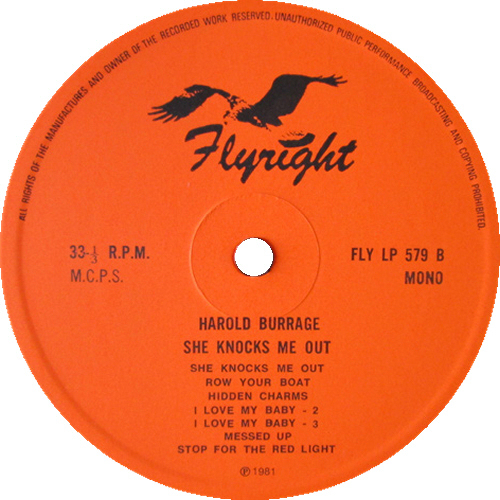 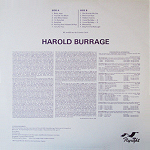 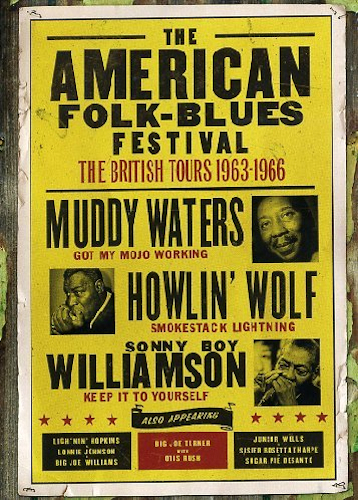 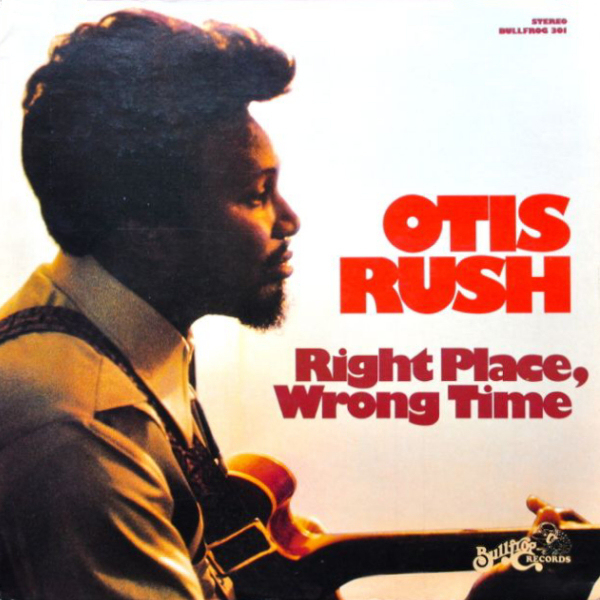 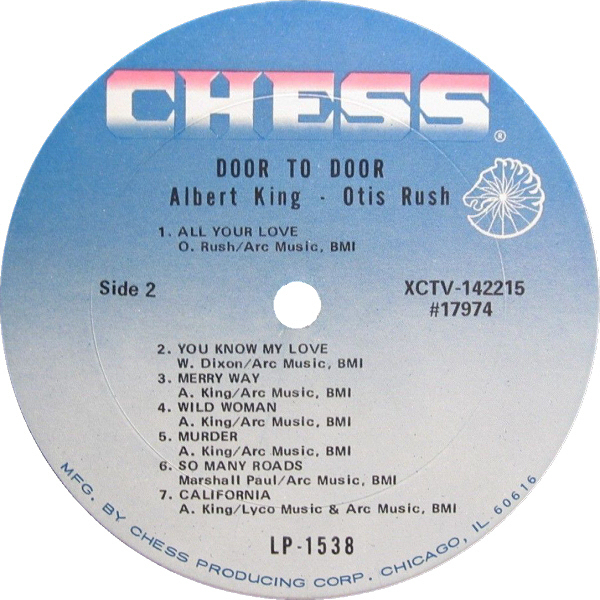 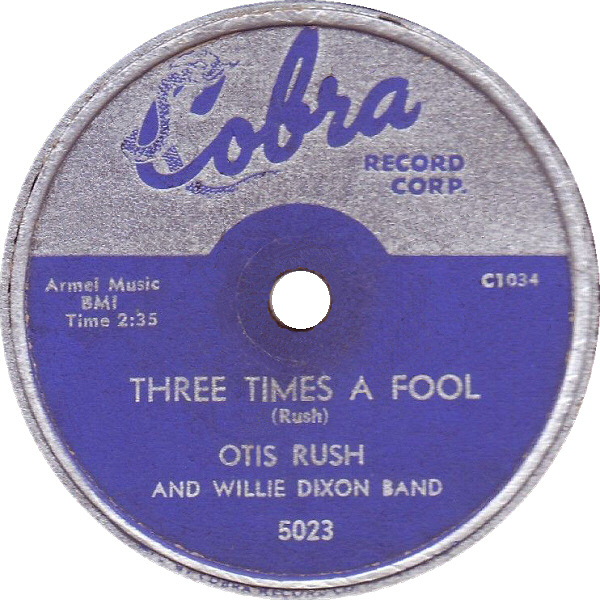 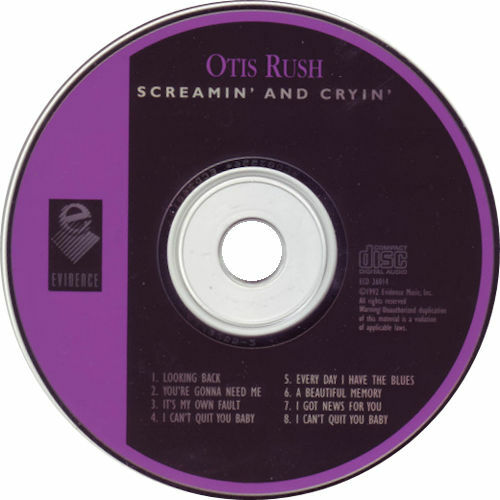 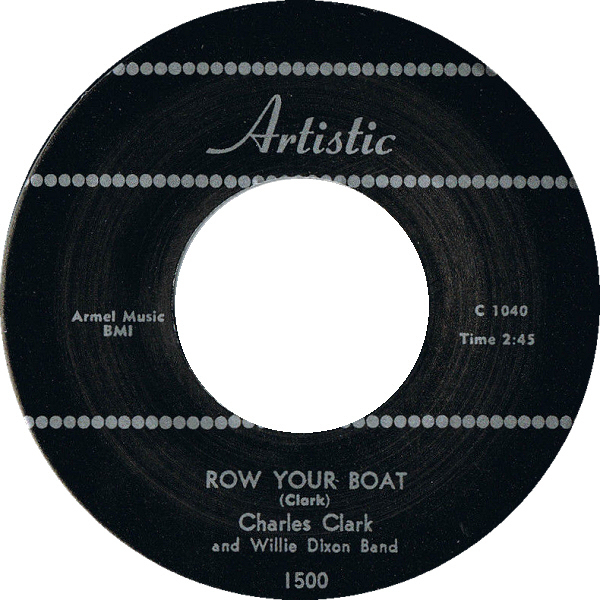 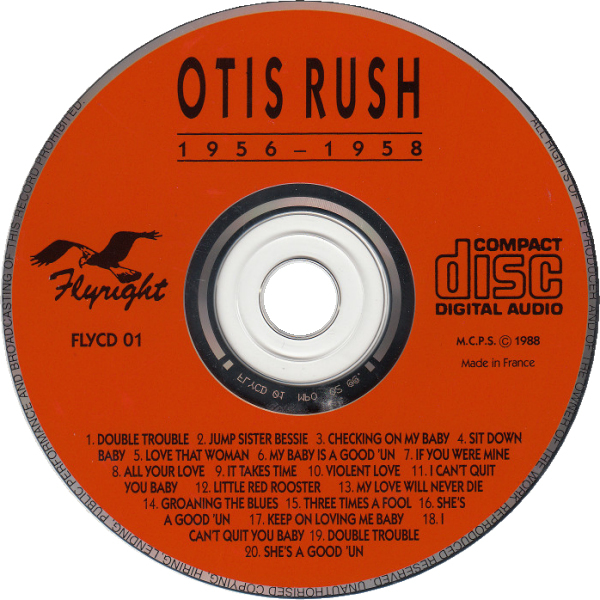 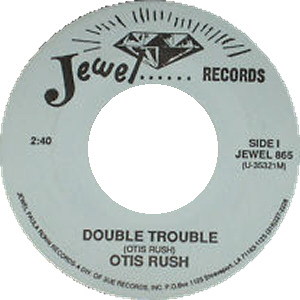 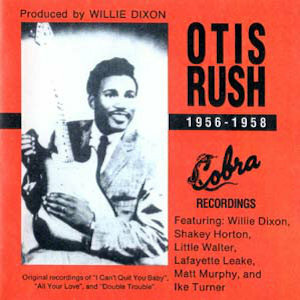 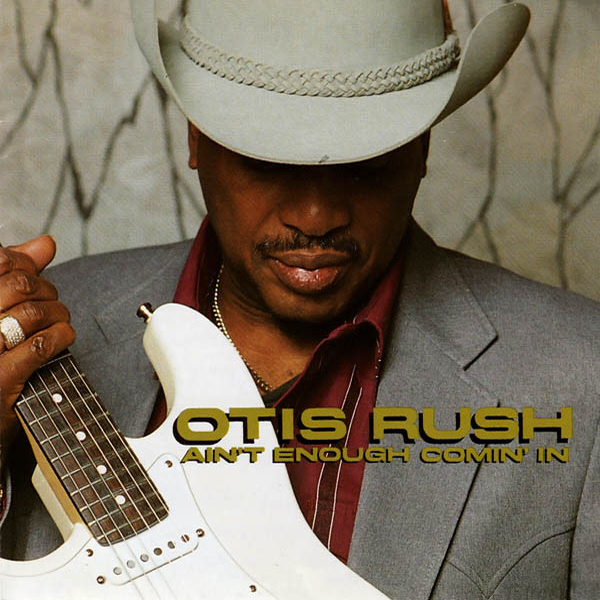 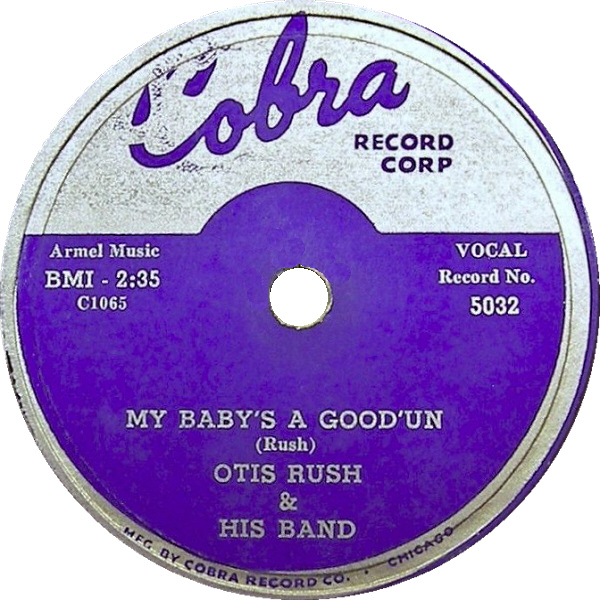 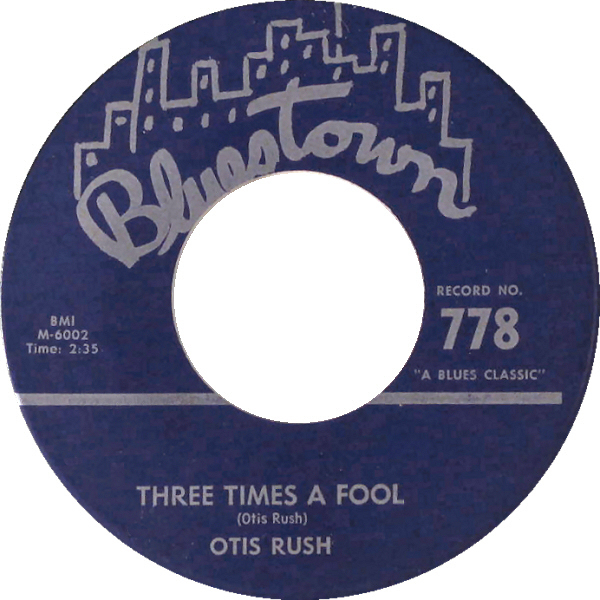 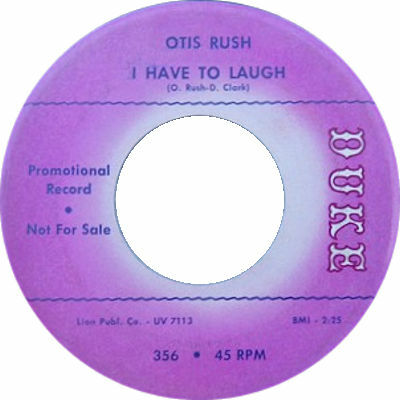 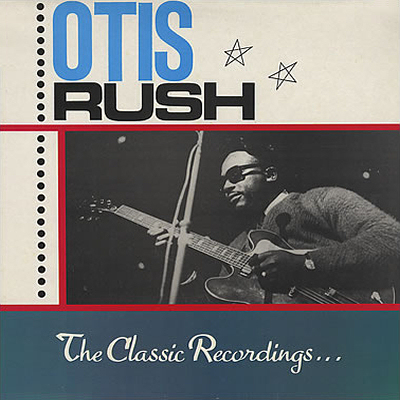 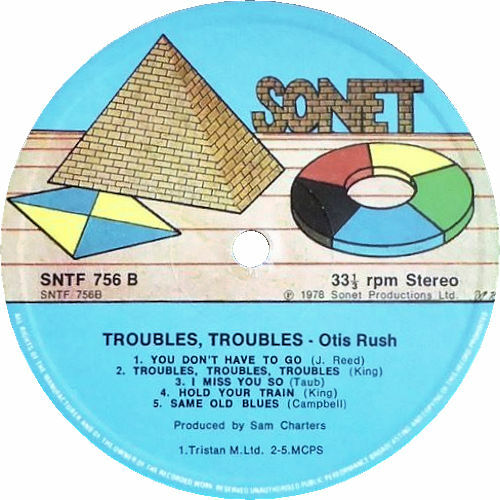 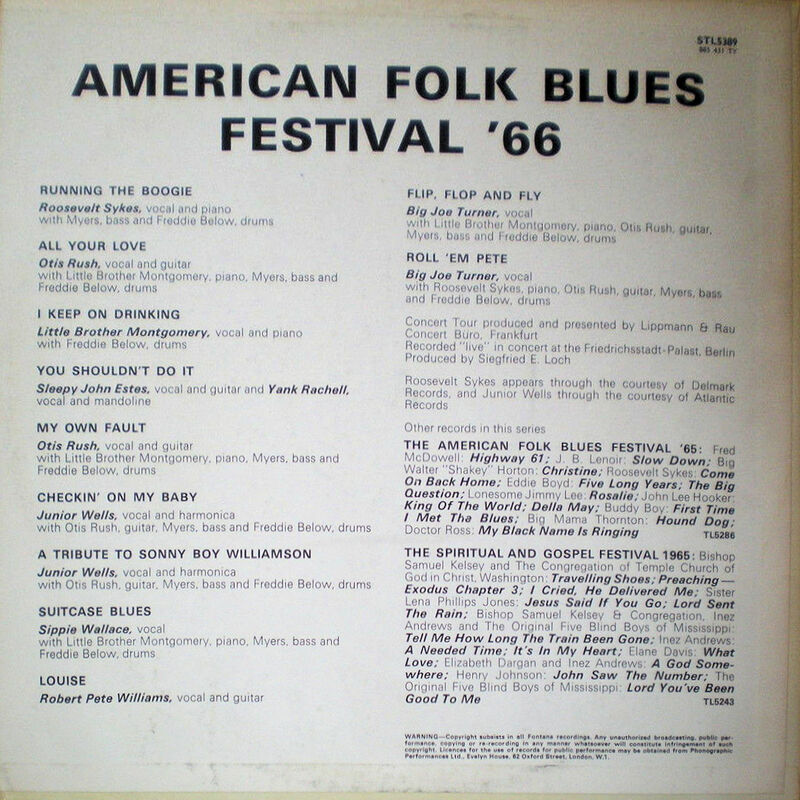 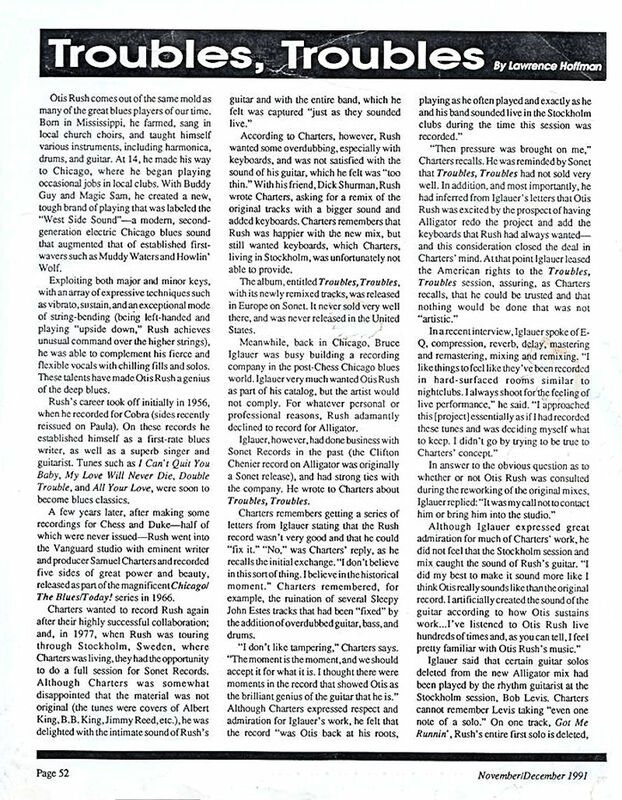 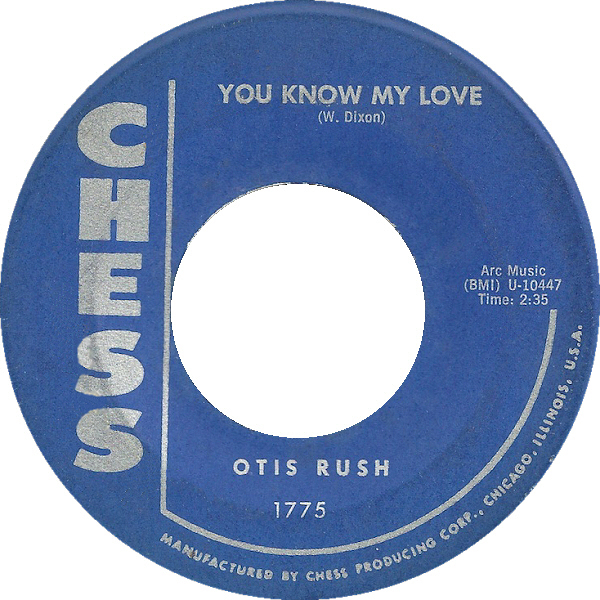 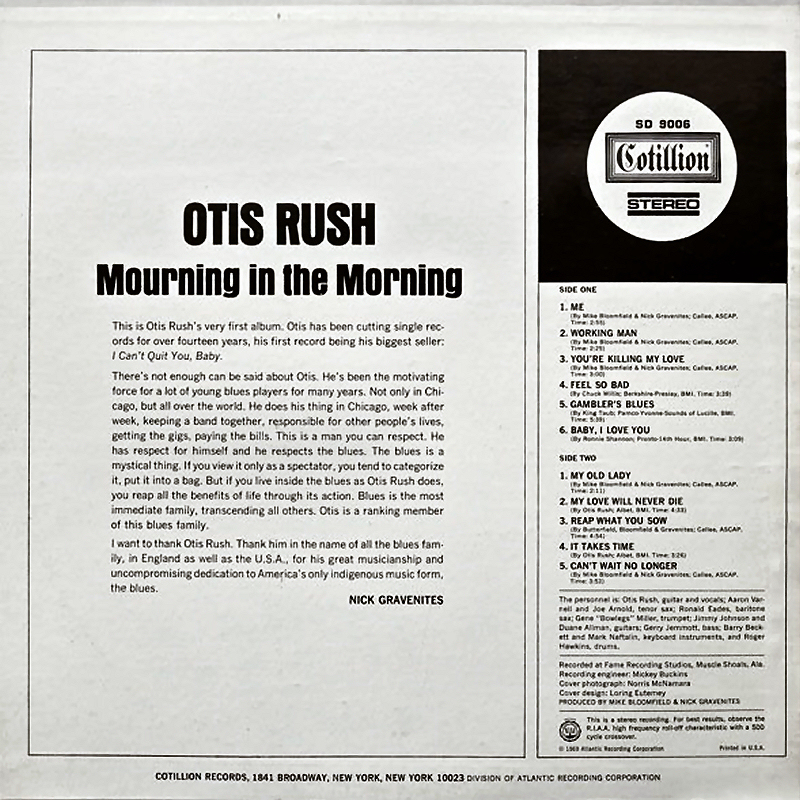 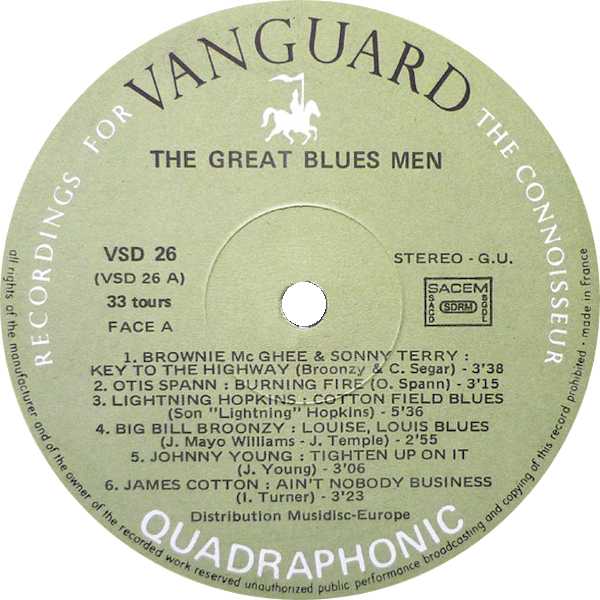 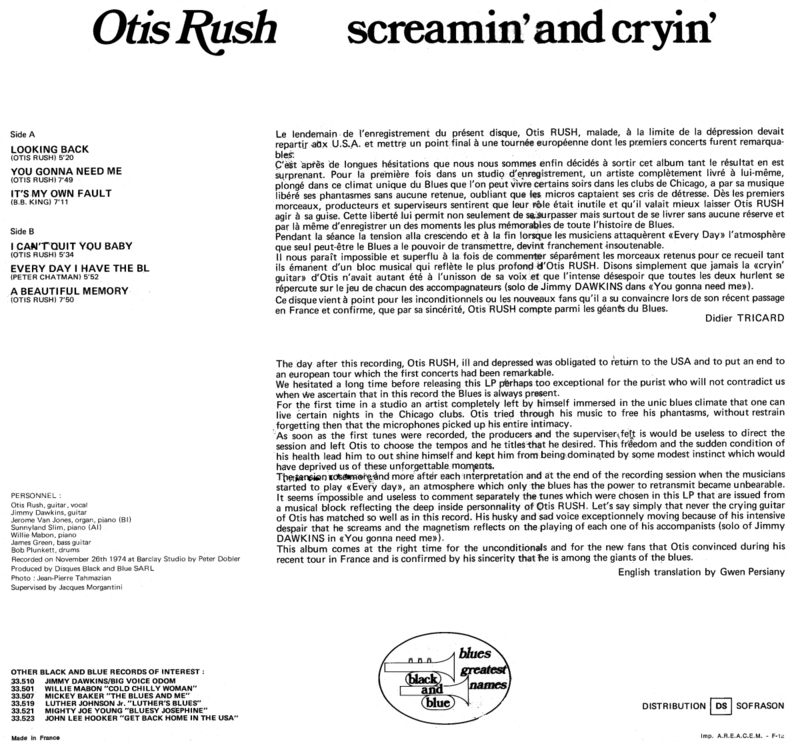 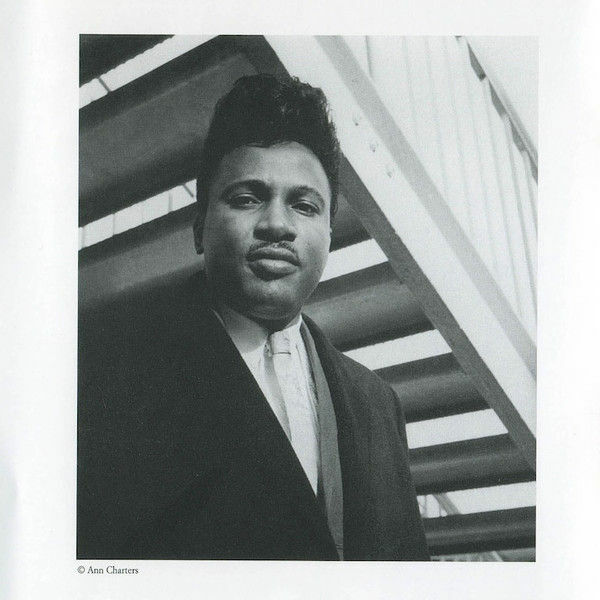 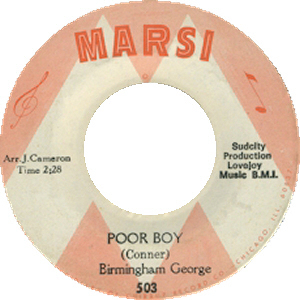 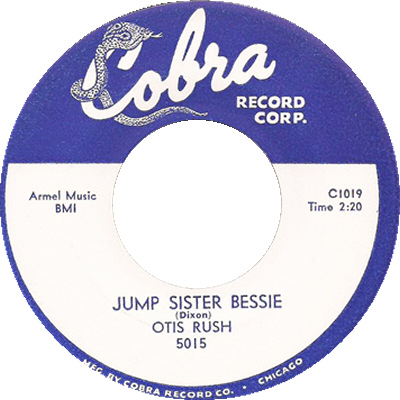 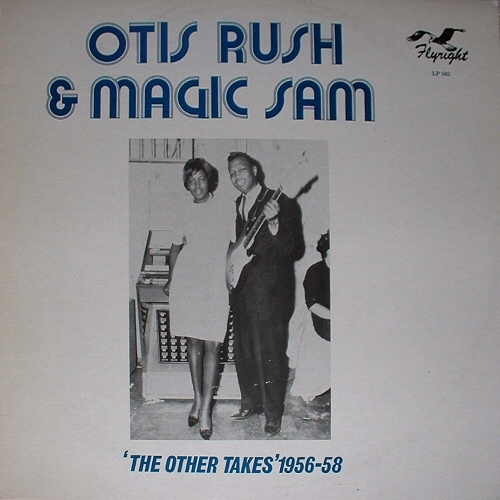 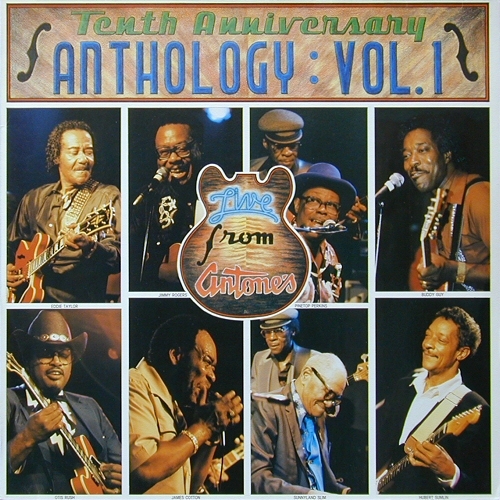 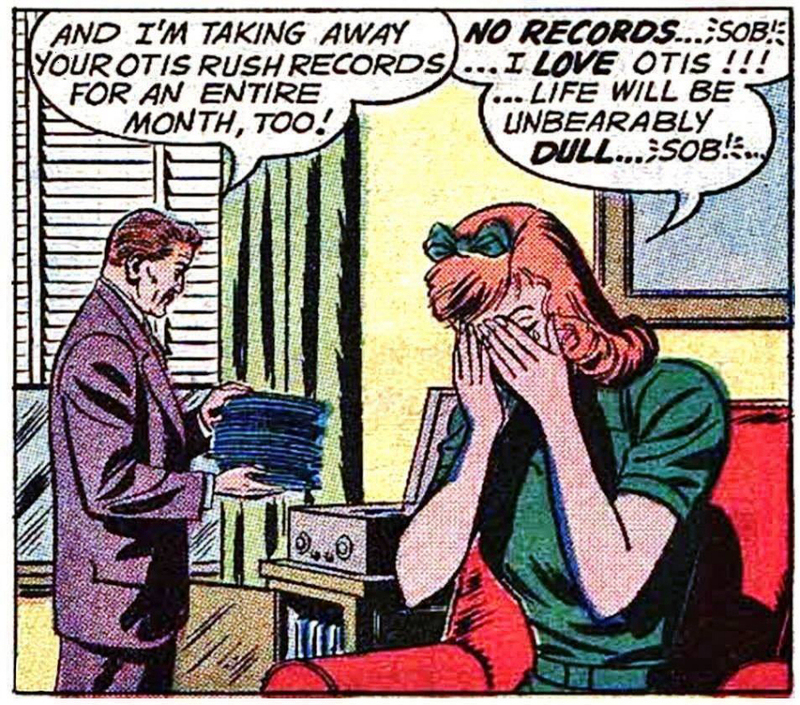 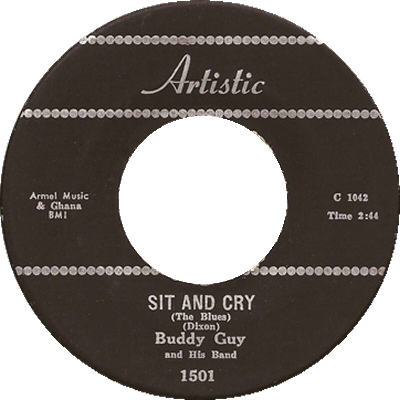 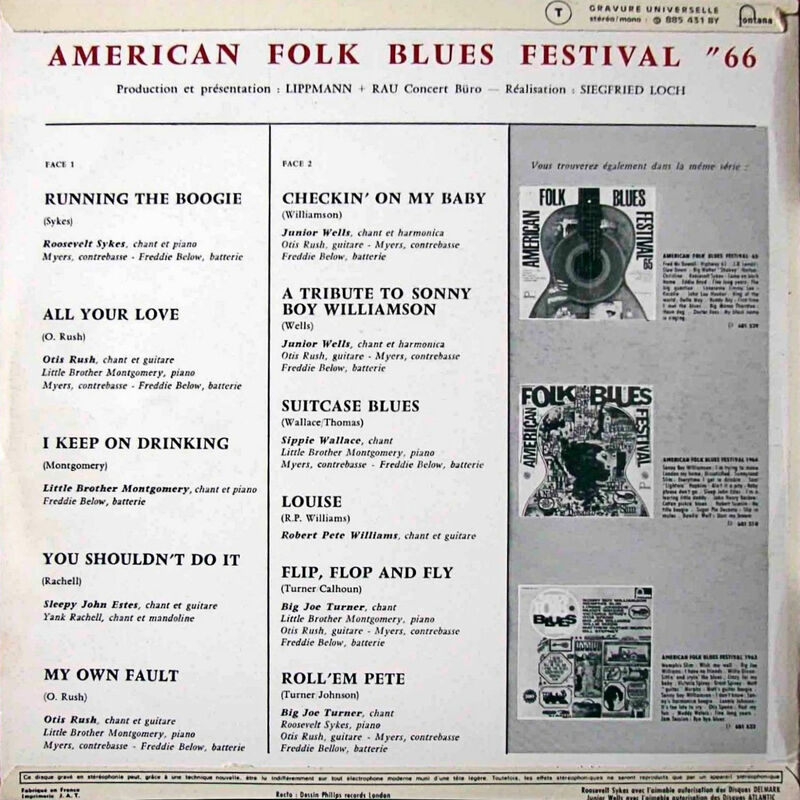 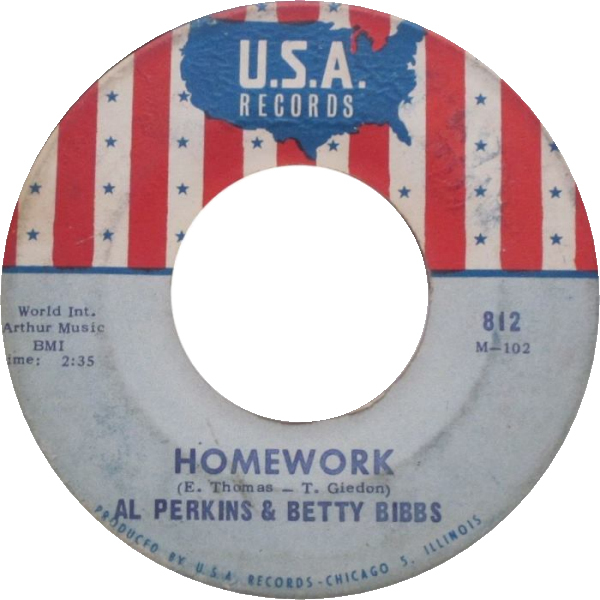 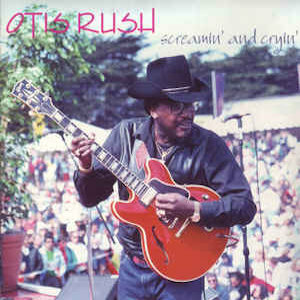 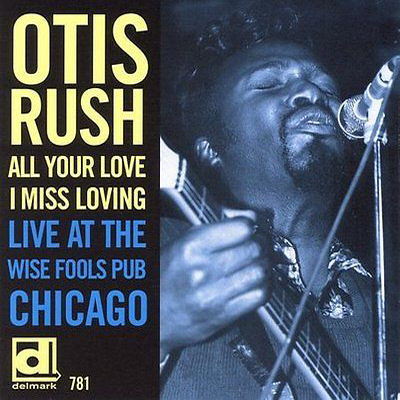 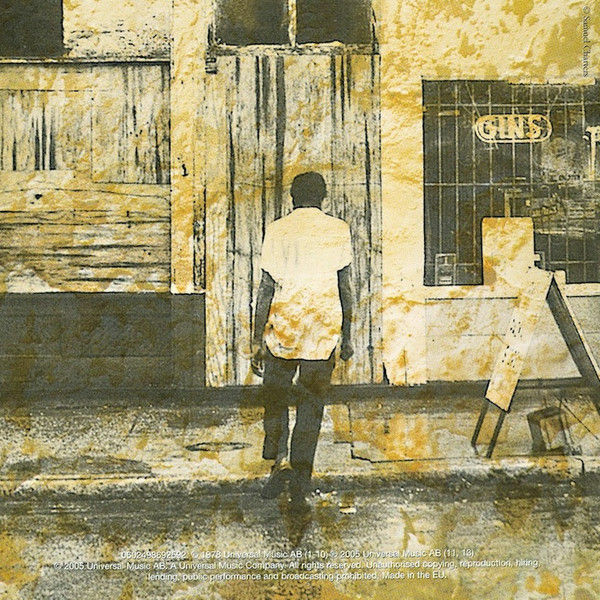 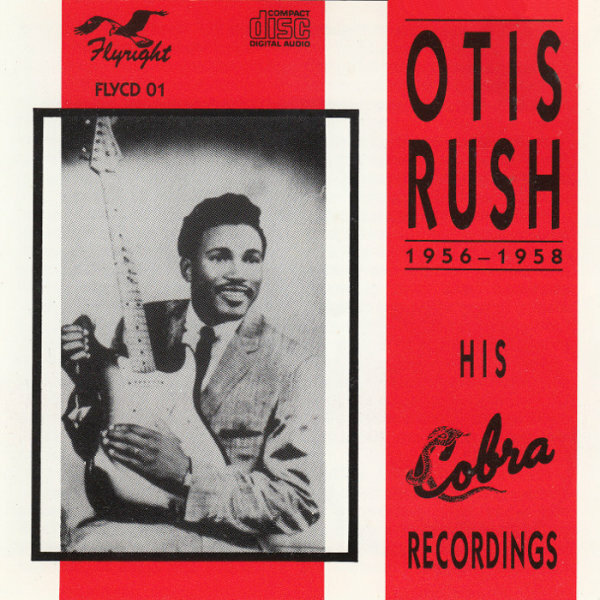 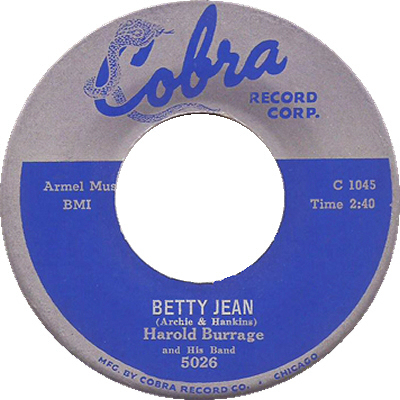 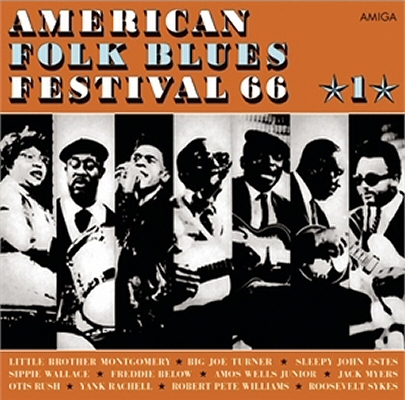 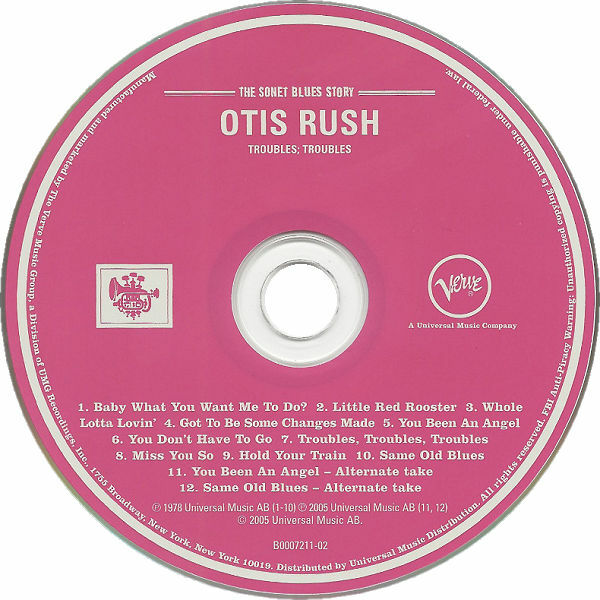 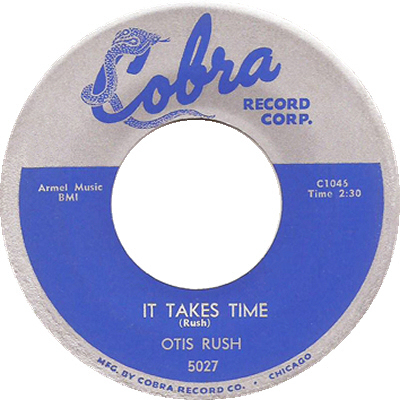 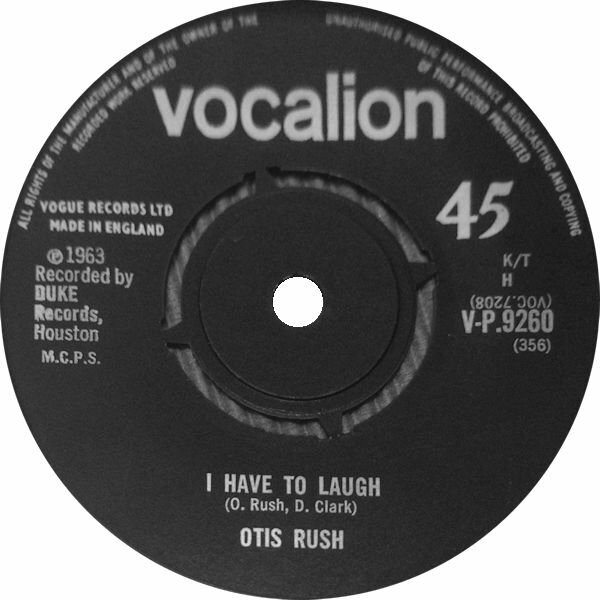 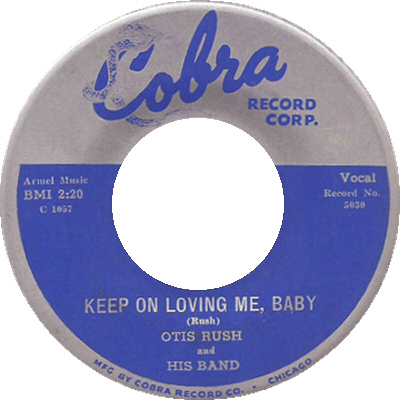 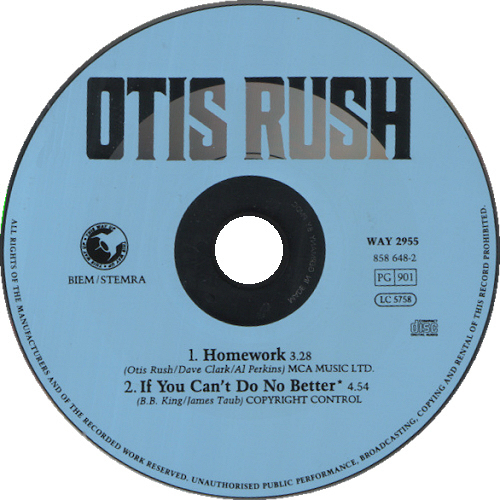 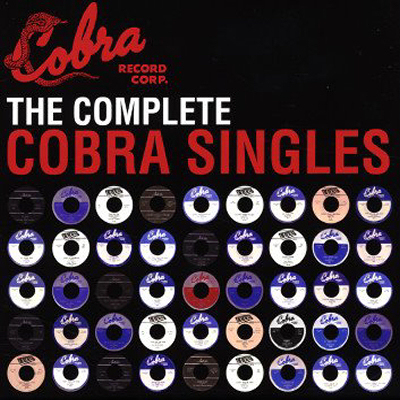 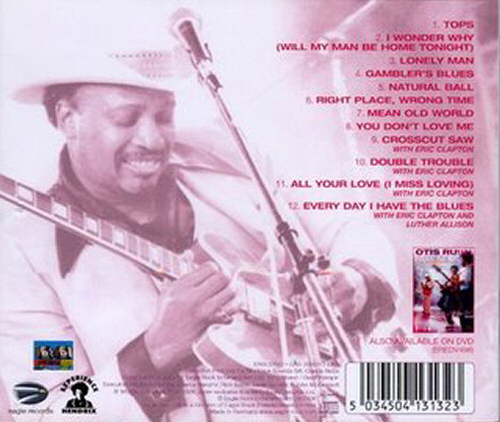 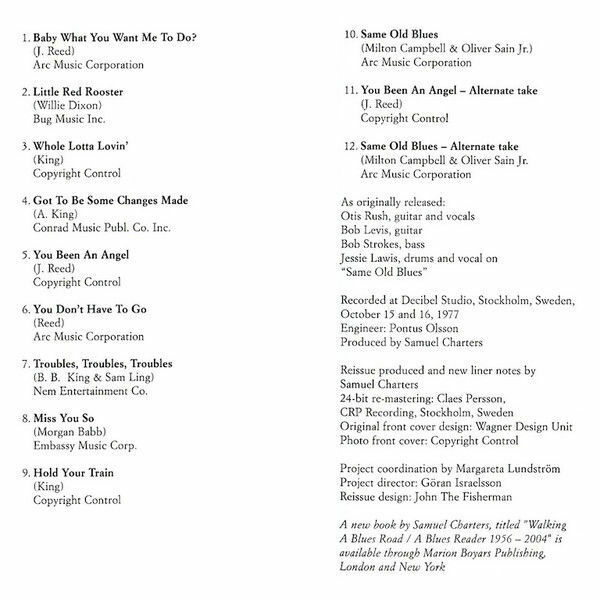 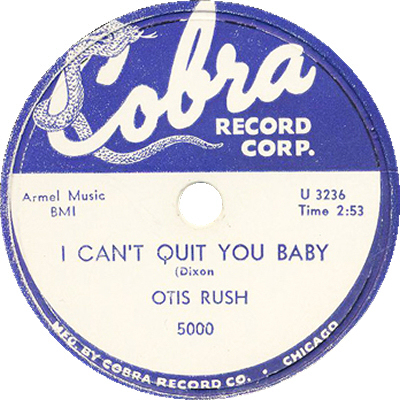 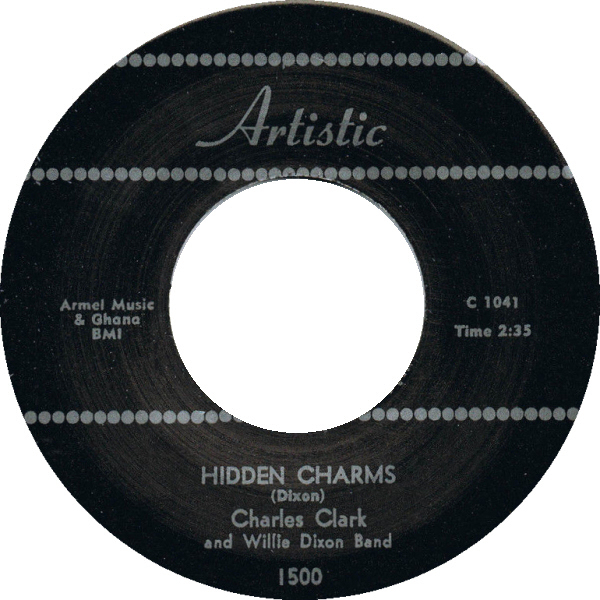 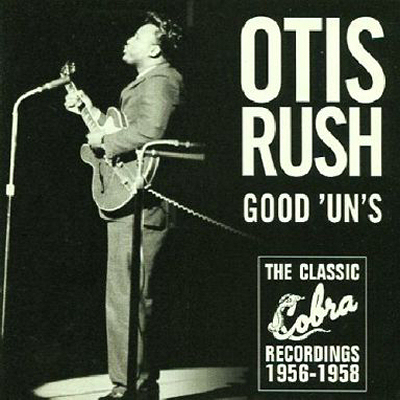 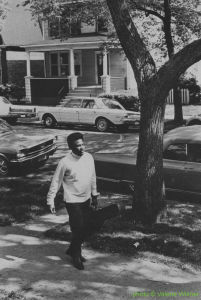 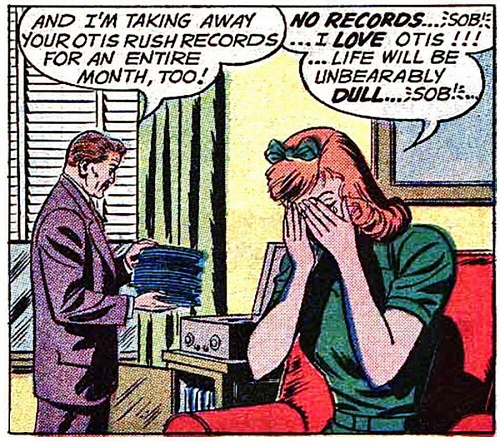 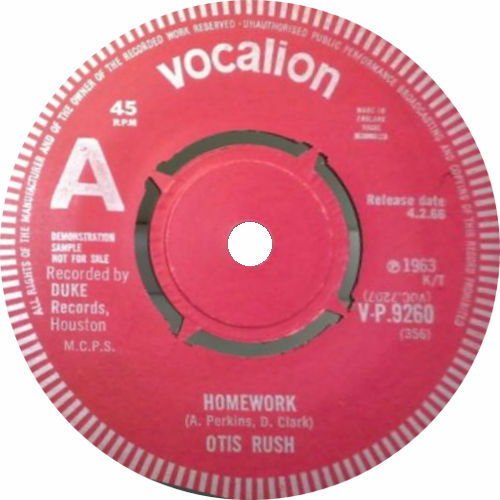 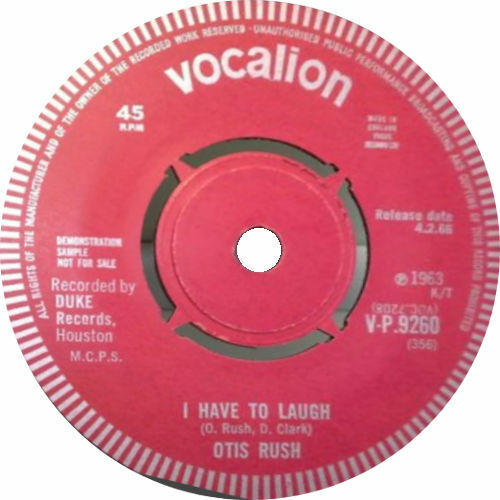 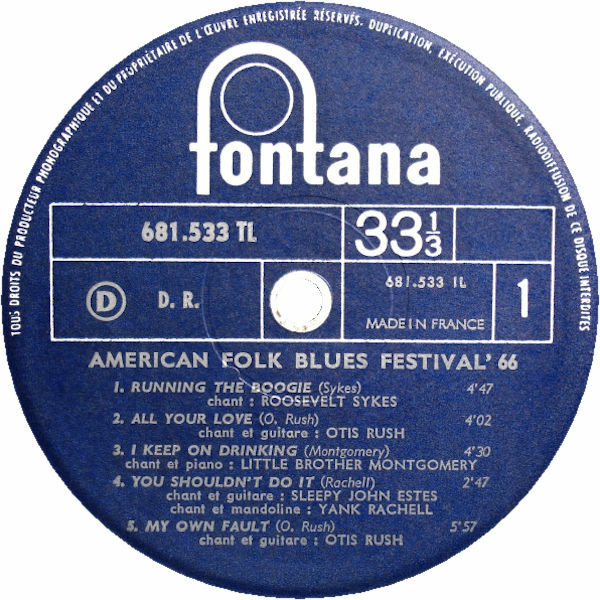 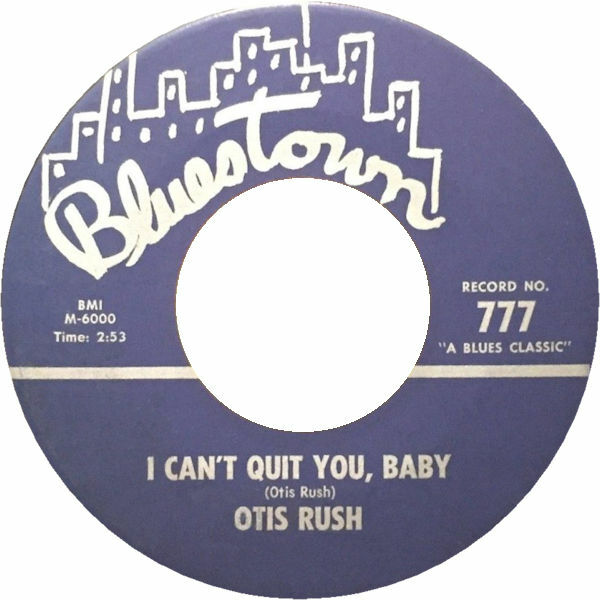 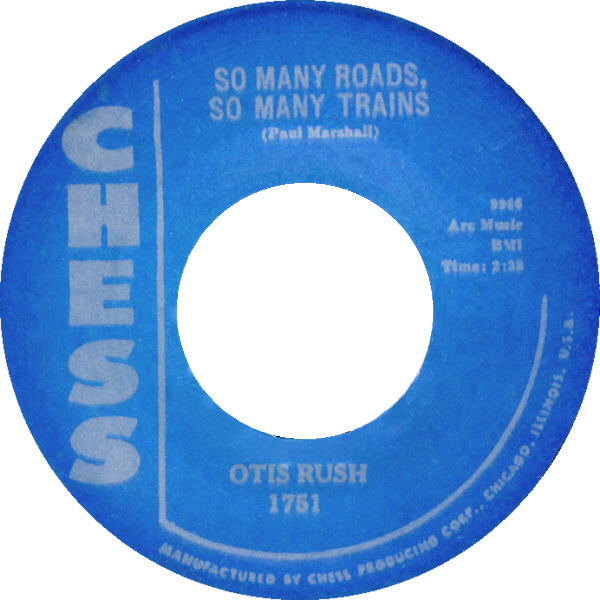 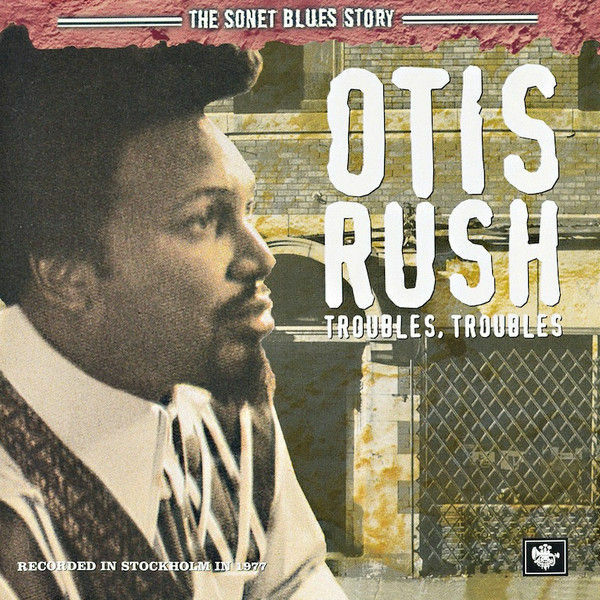 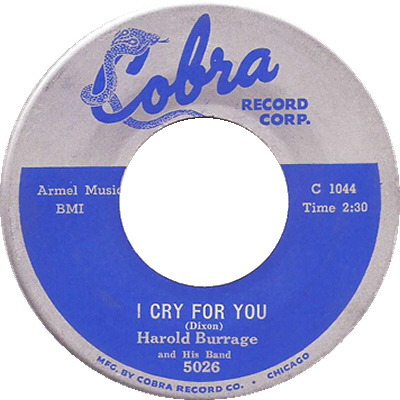 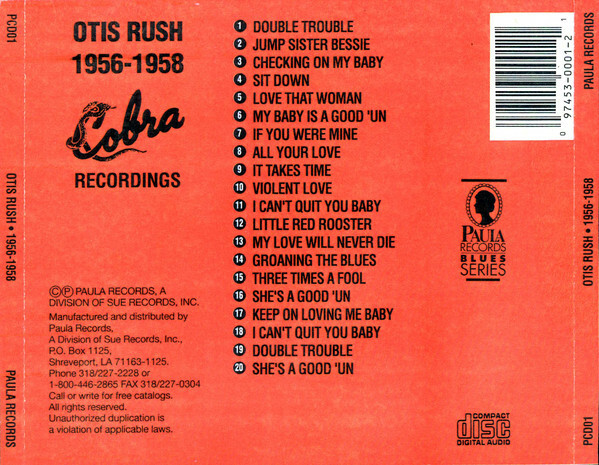 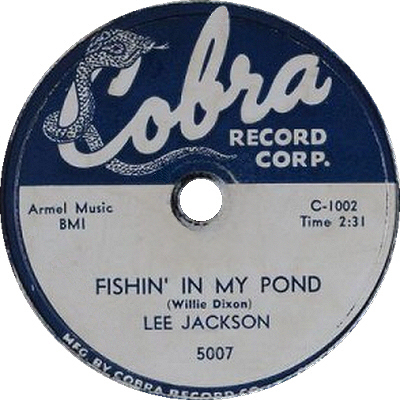 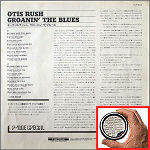 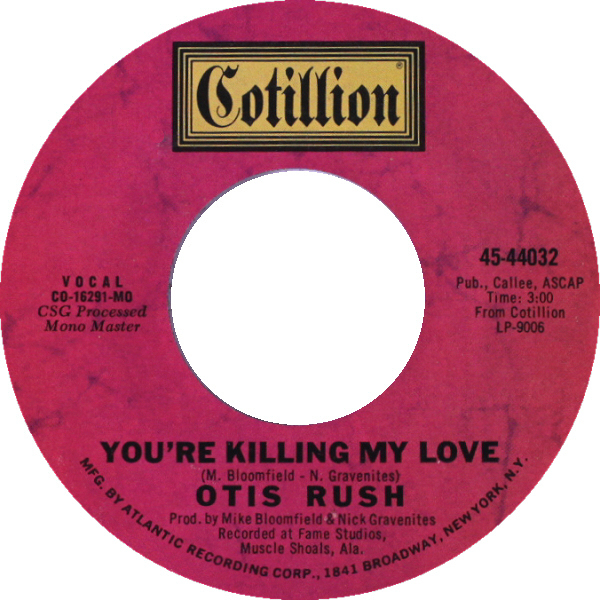 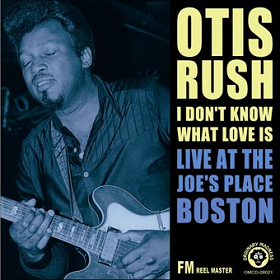 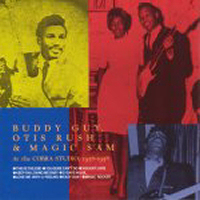 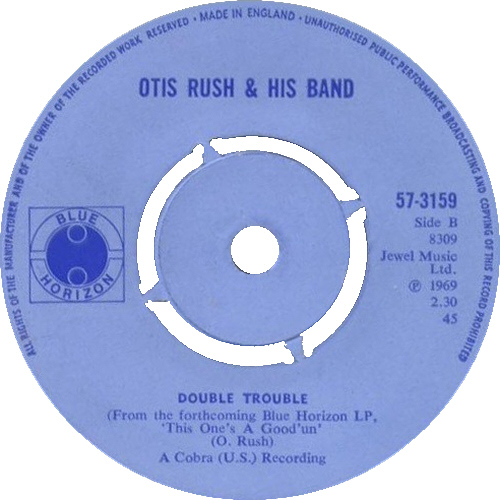 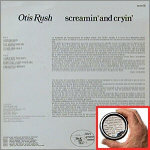 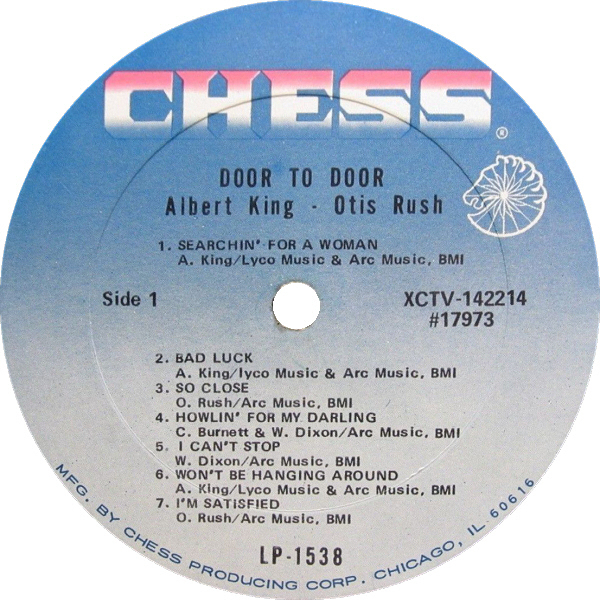 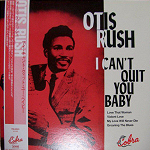 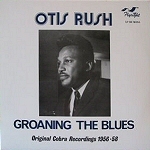 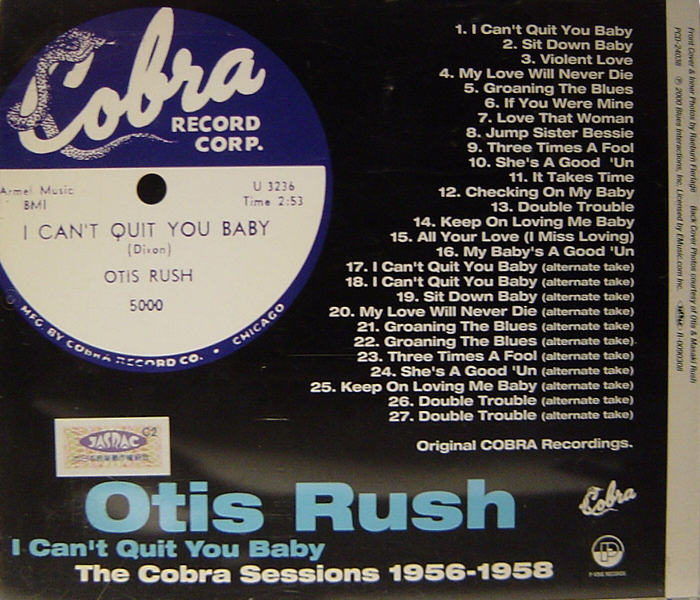 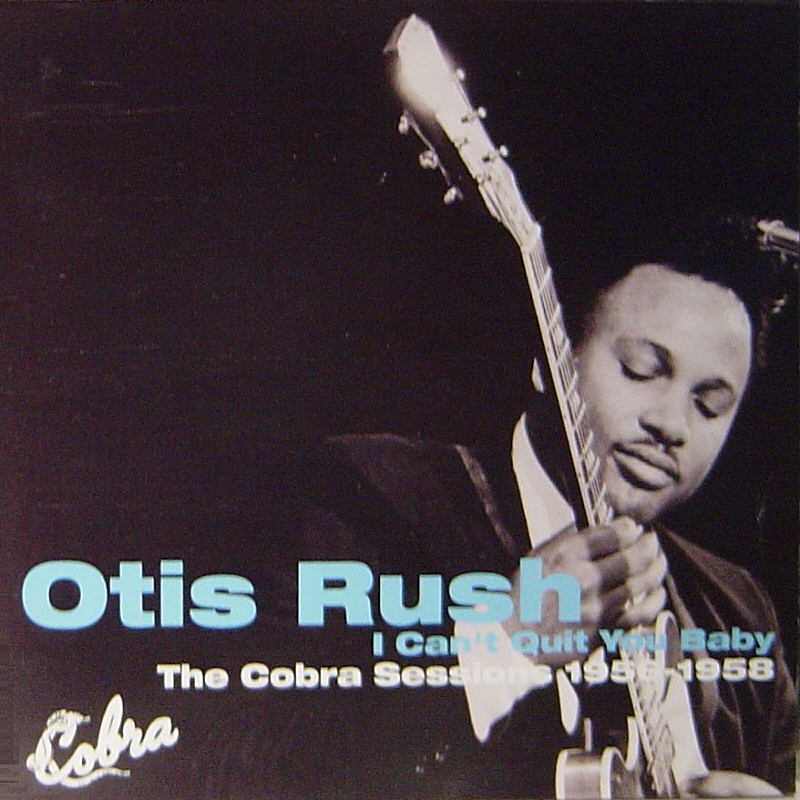 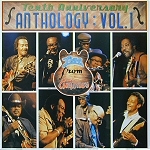 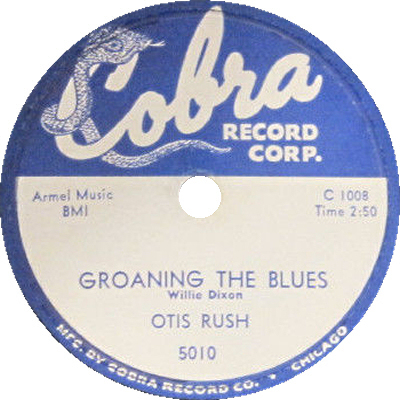 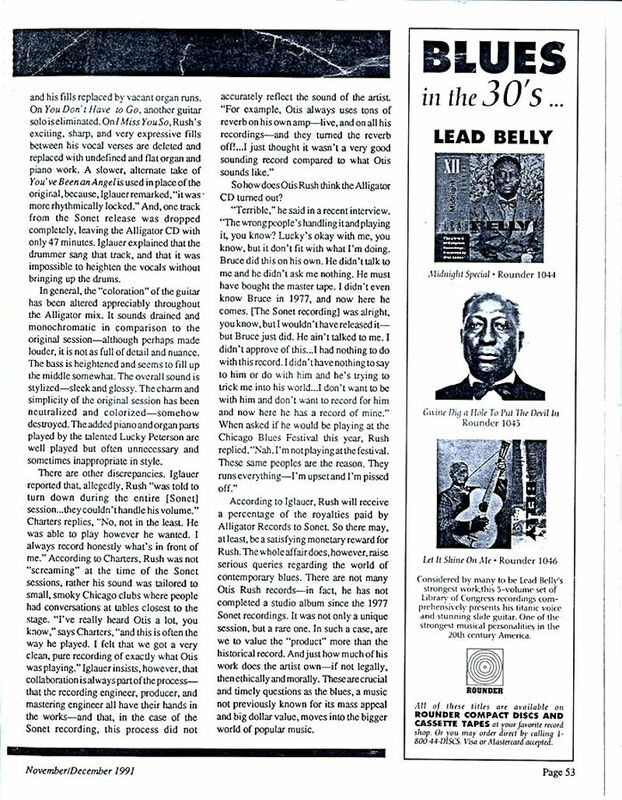 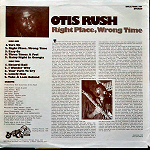 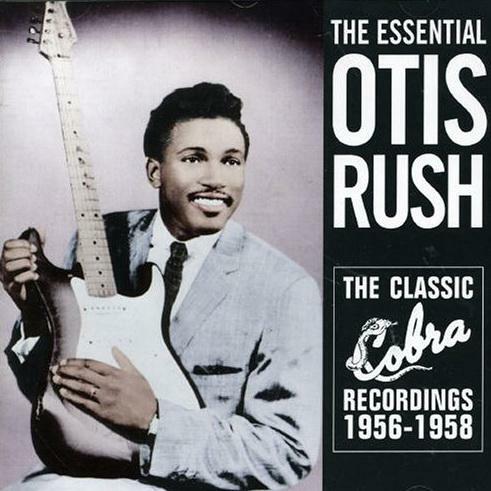 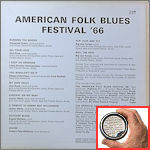 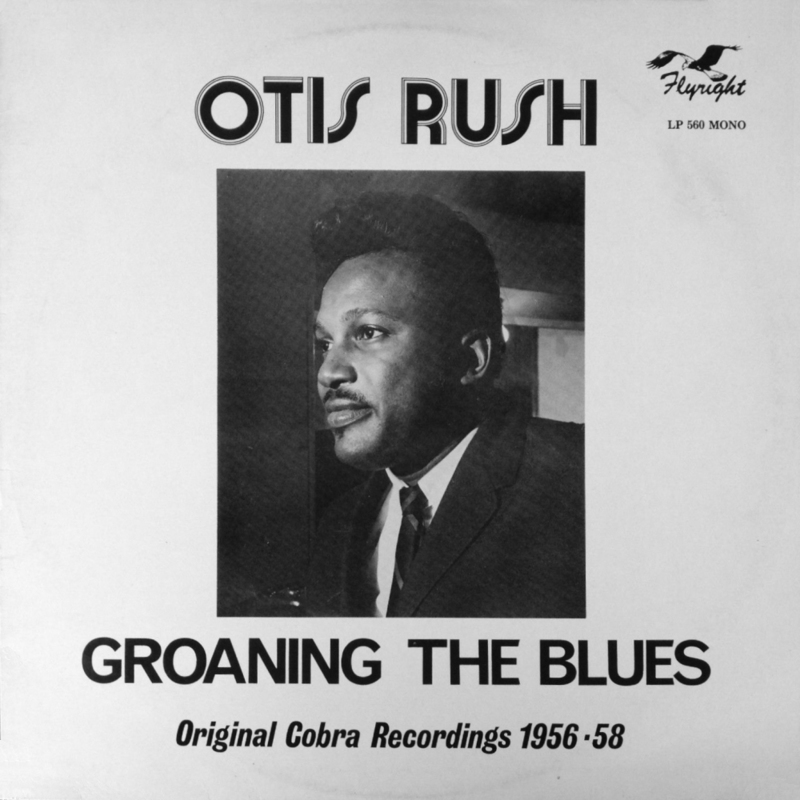 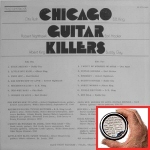 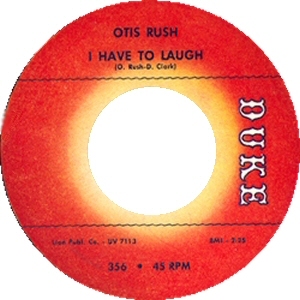 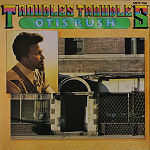 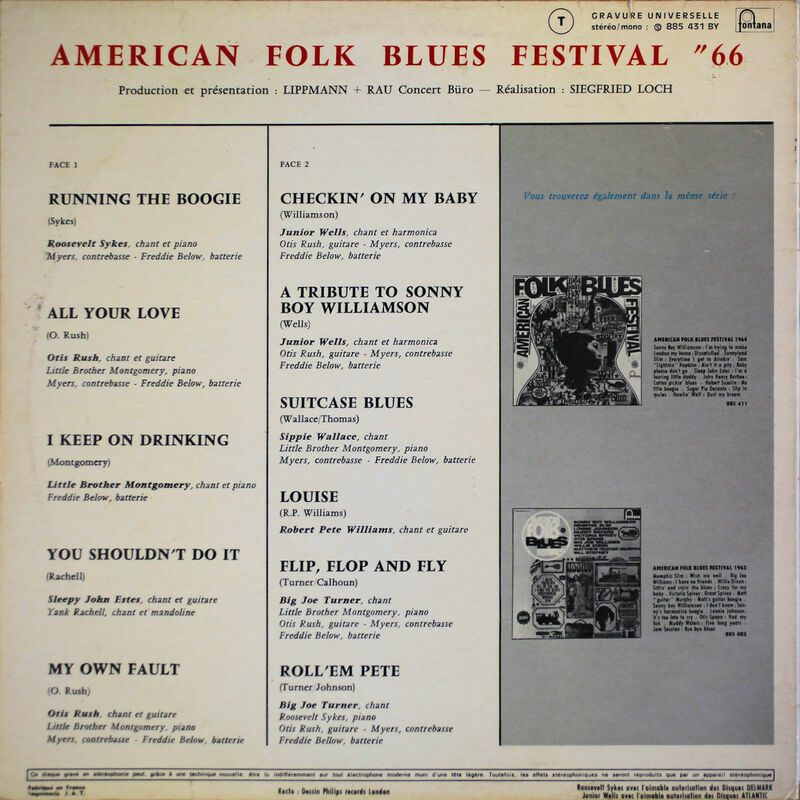 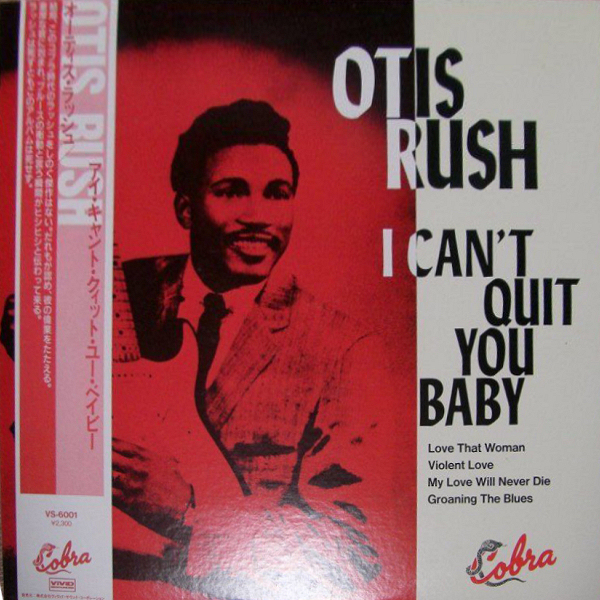 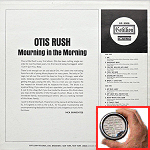 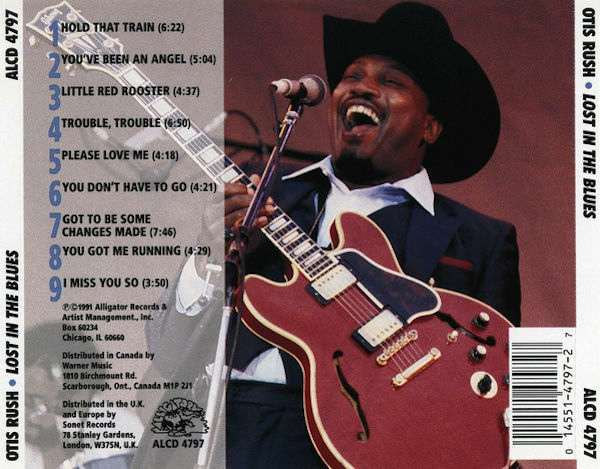 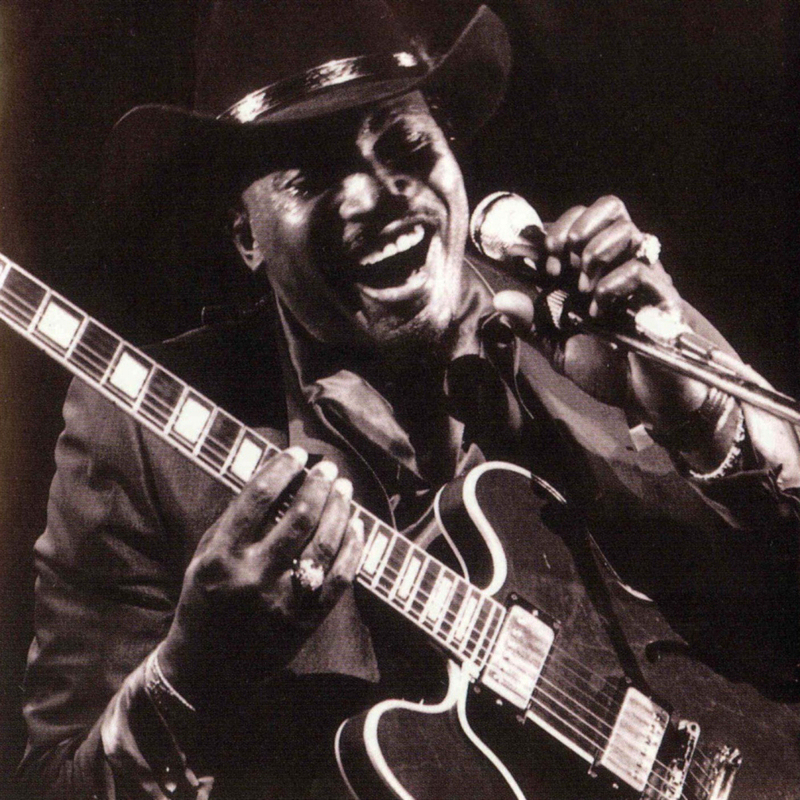 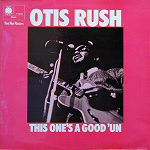 Each tune was remixed to bring out the power and delicacy of Otis' voice and guitar." 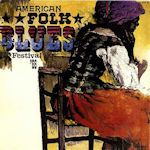 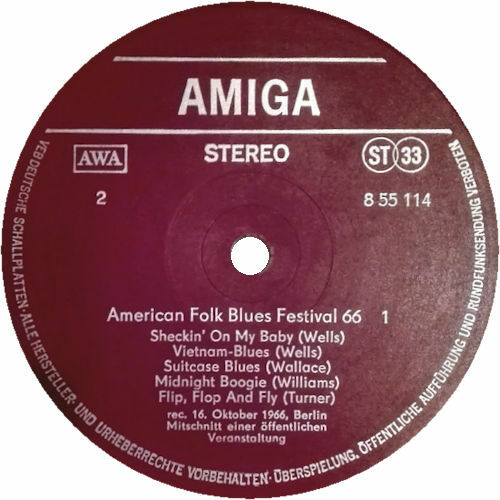 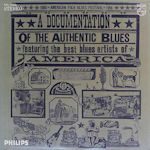 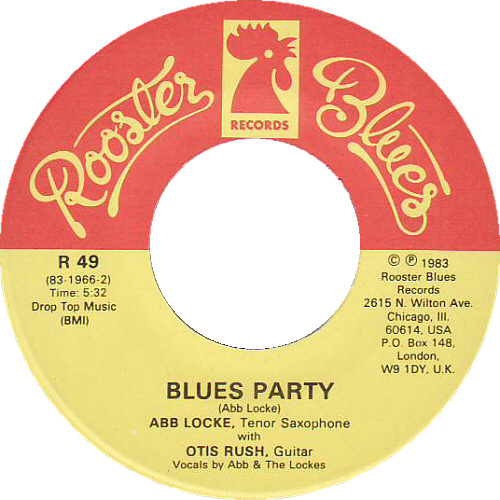 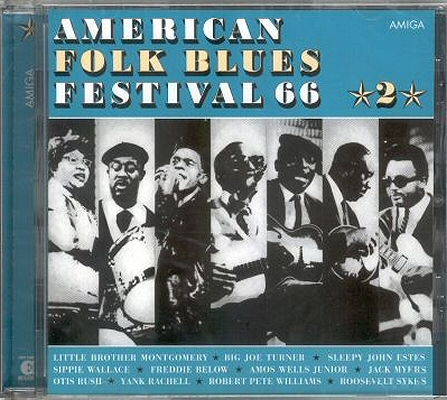 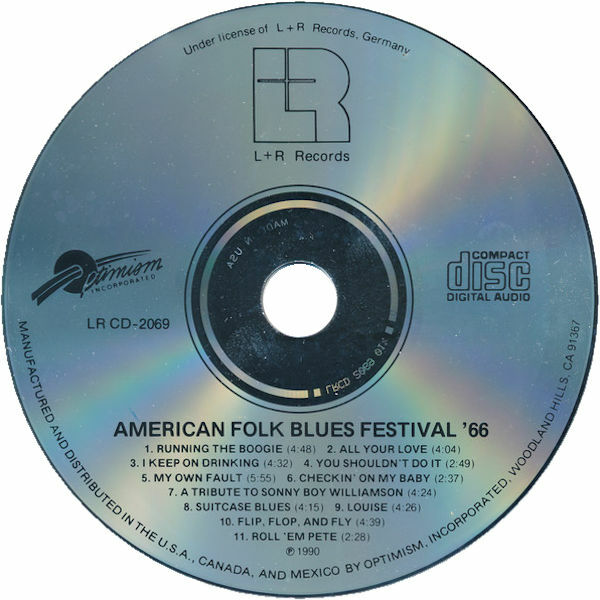 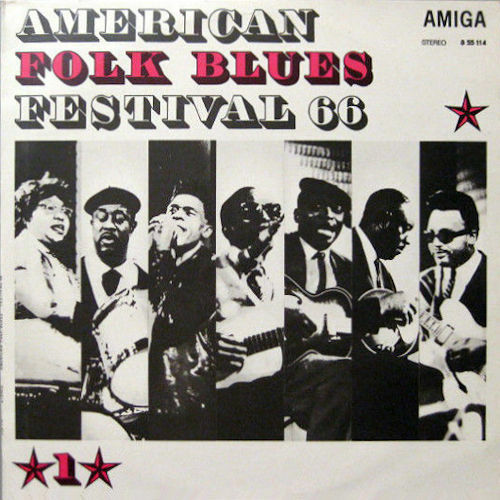 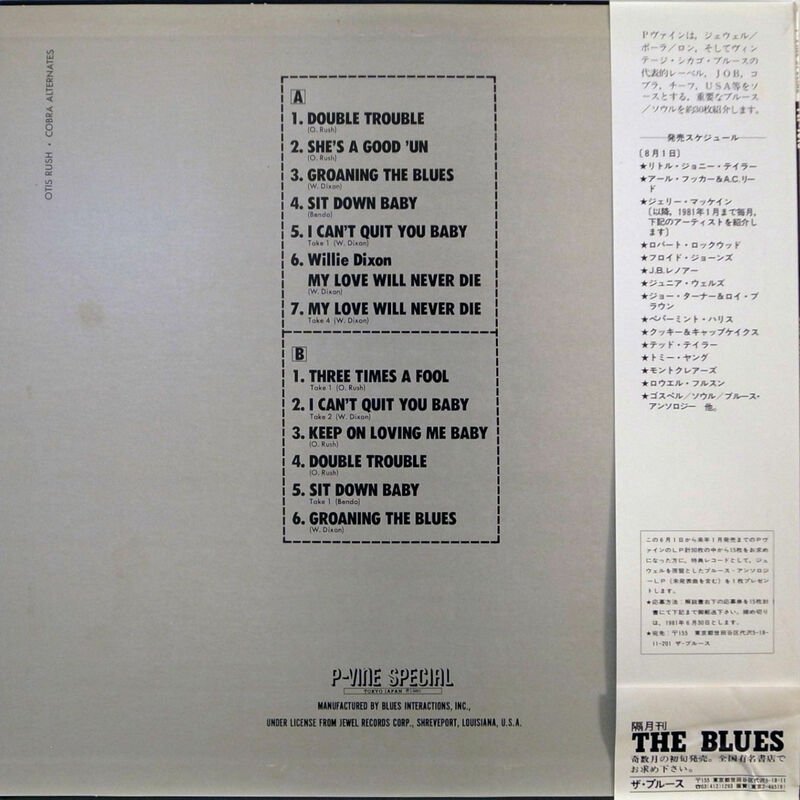 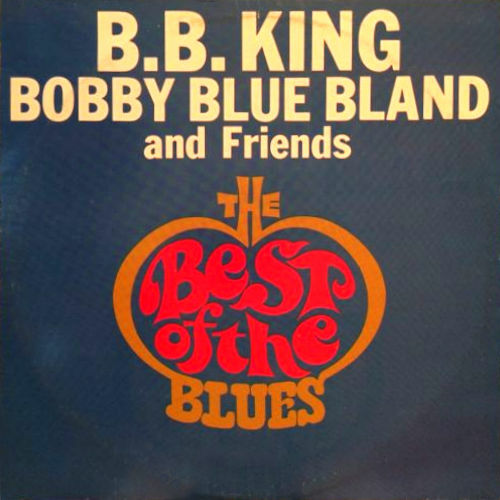 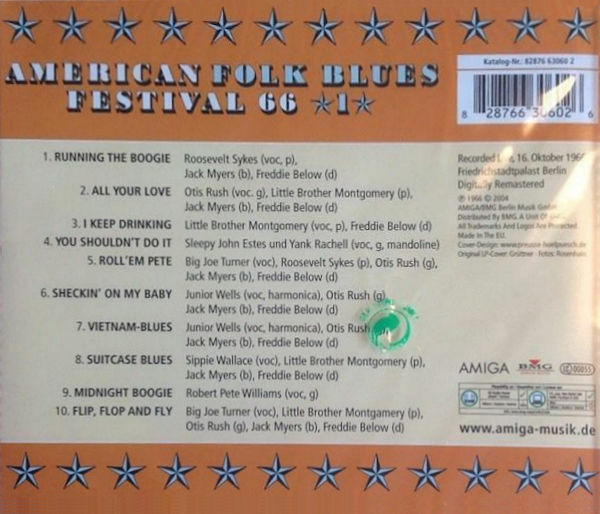 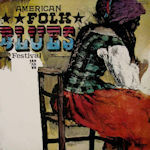 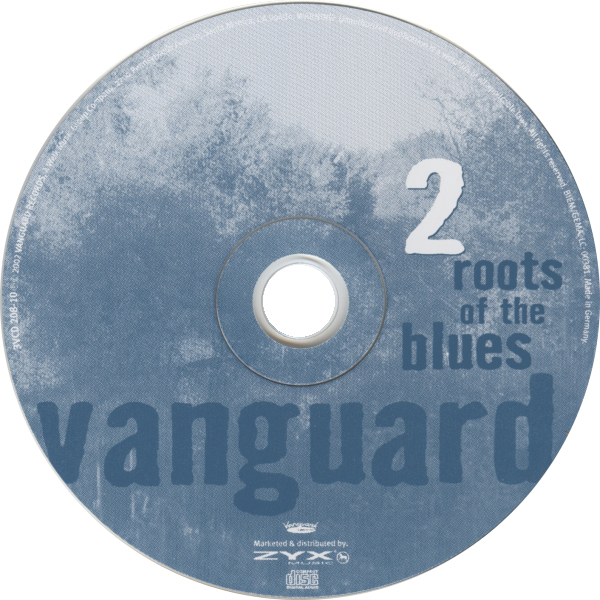 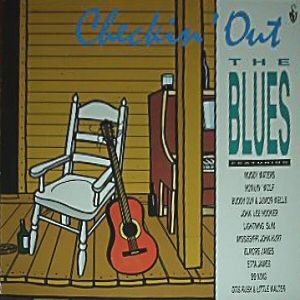 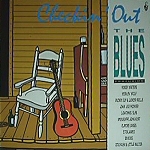 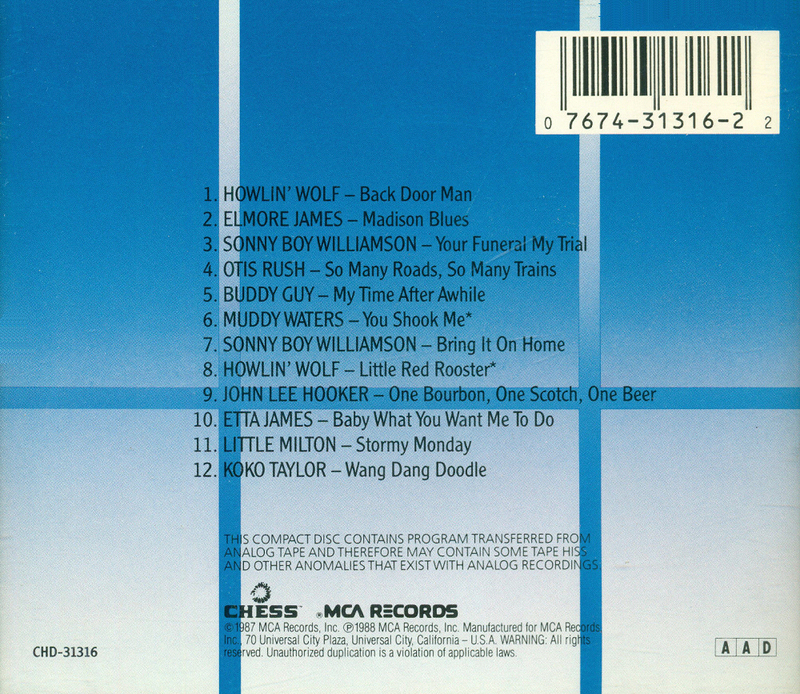 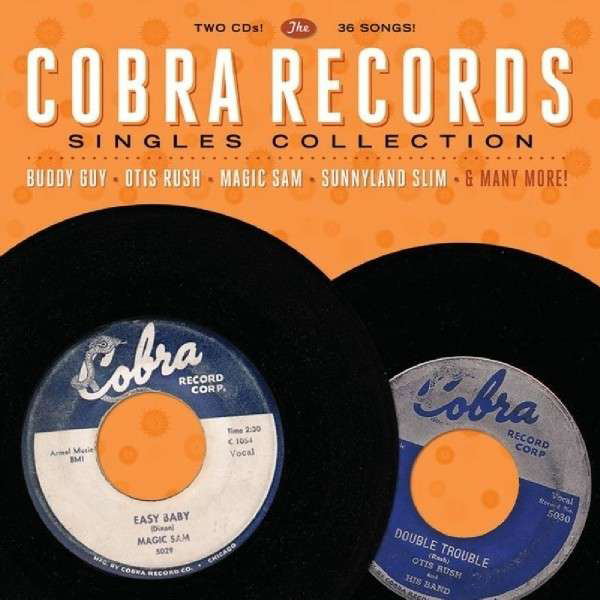 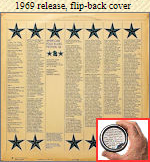 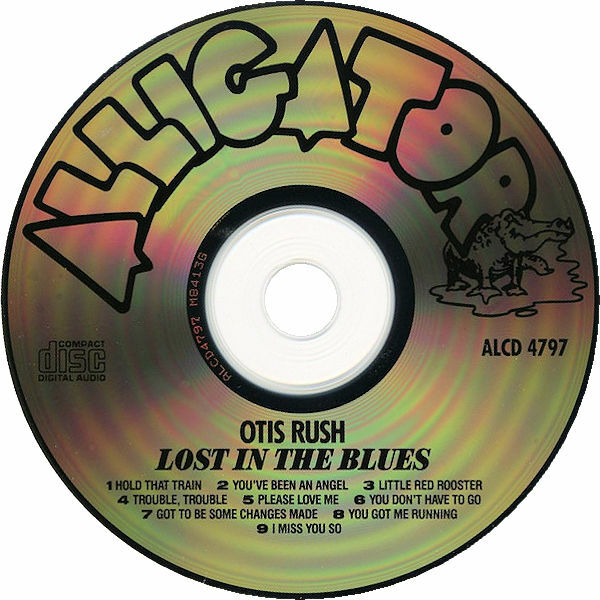 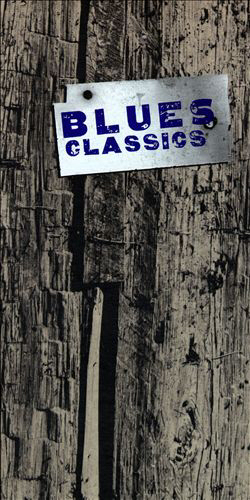 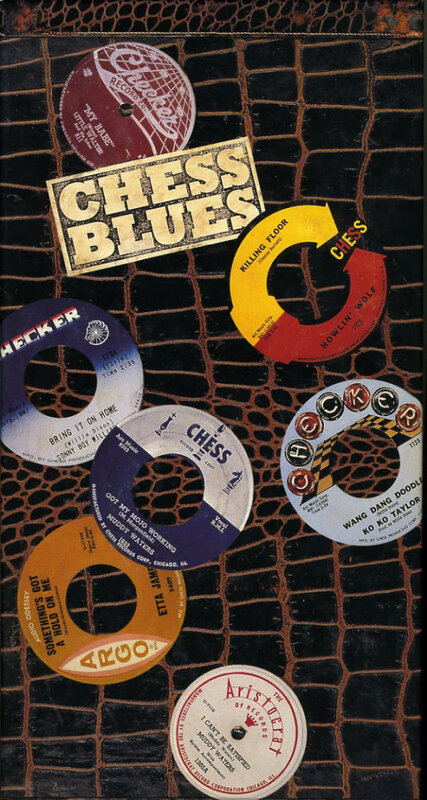 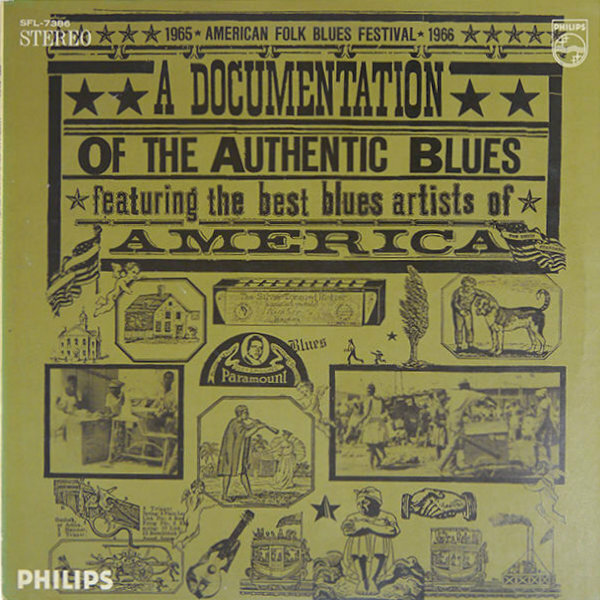 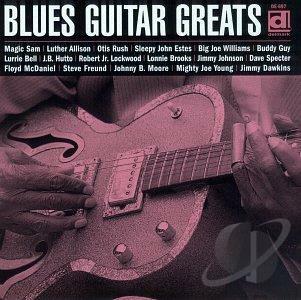 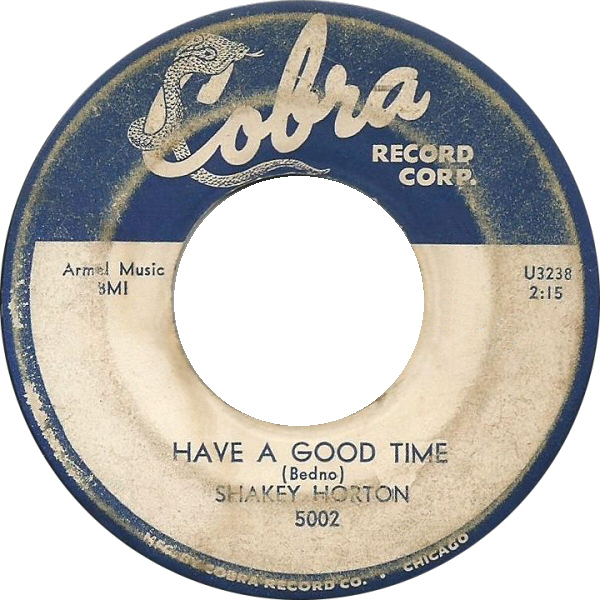 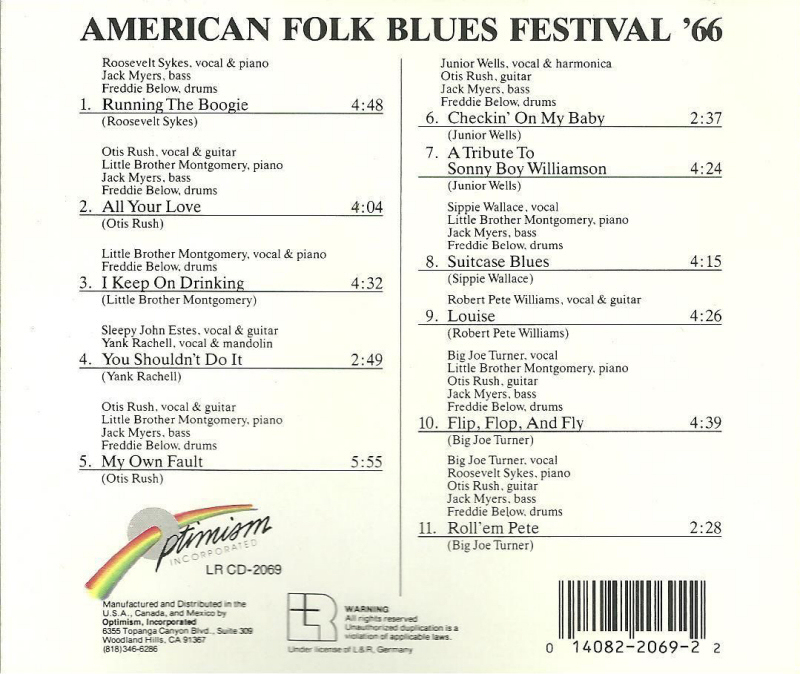 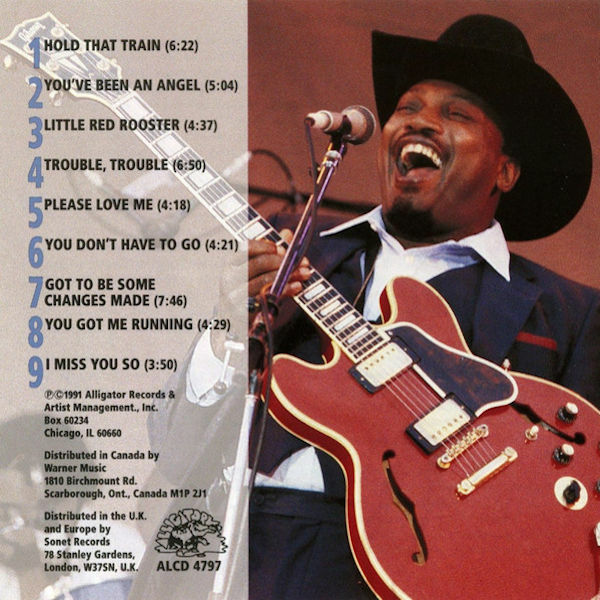 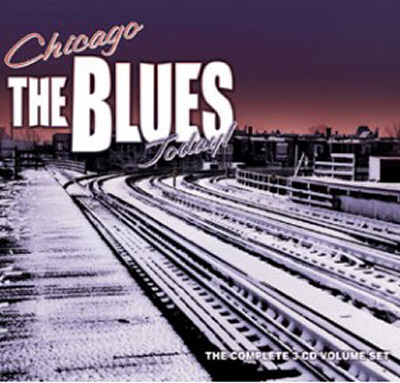 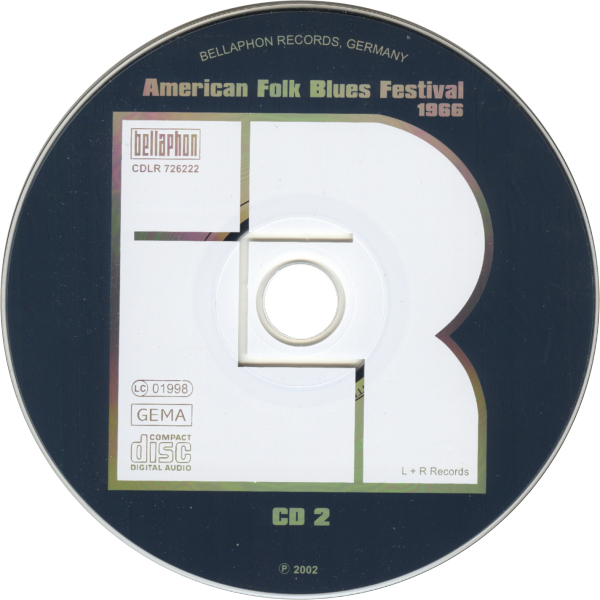 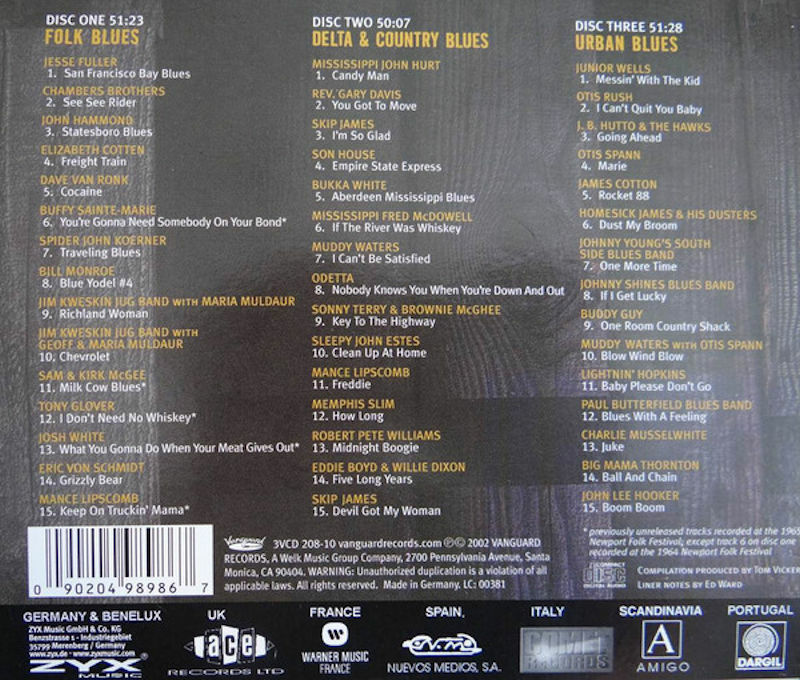 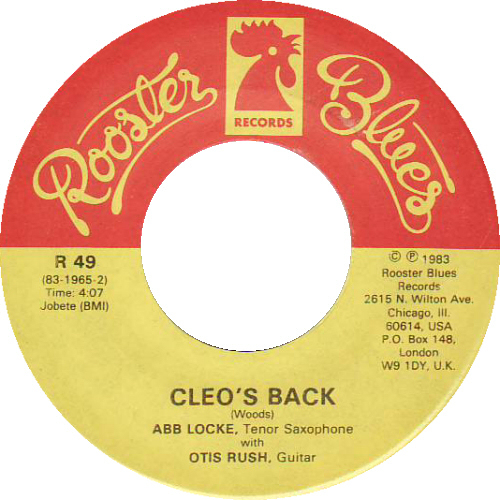 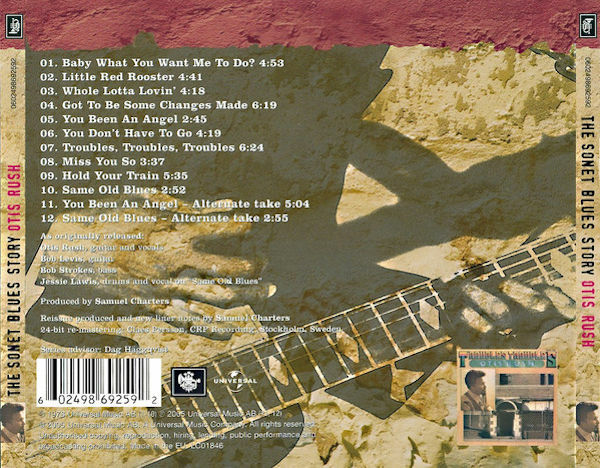 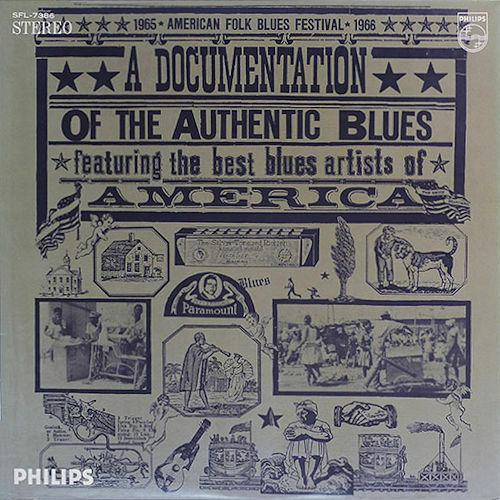 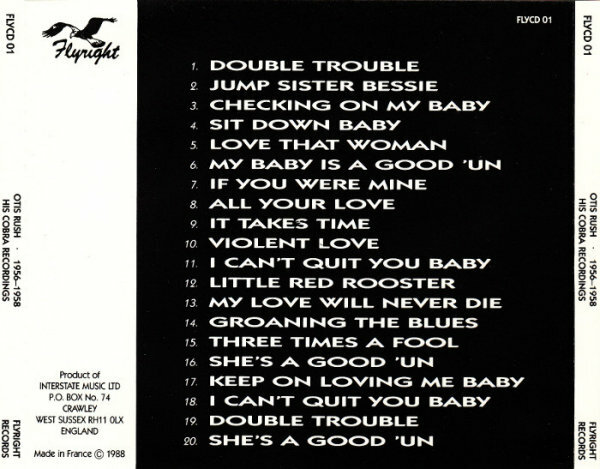 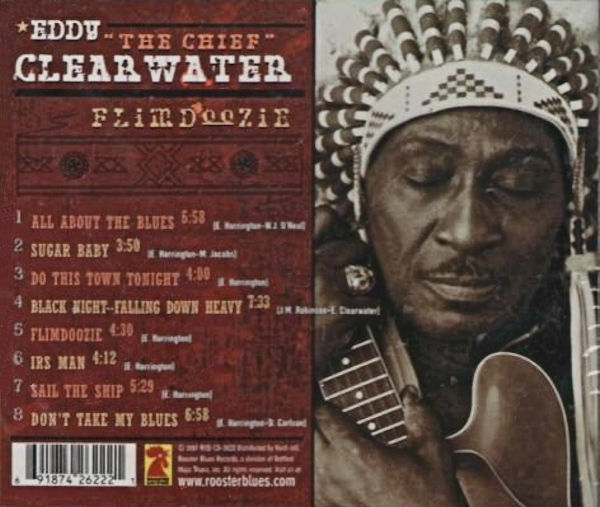 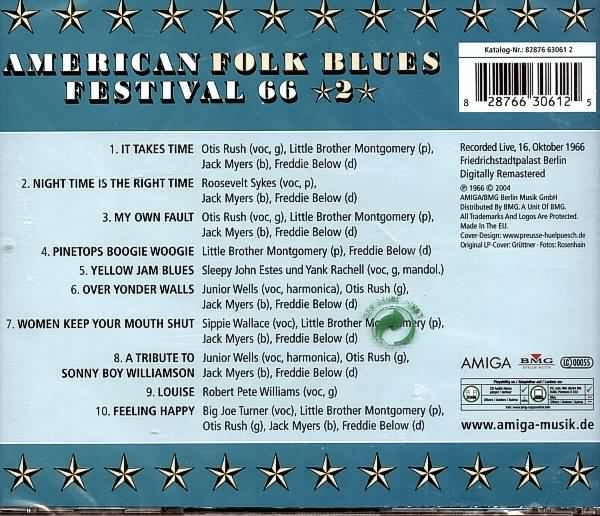 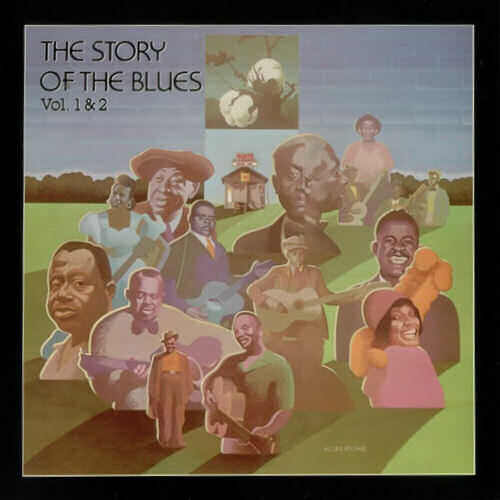 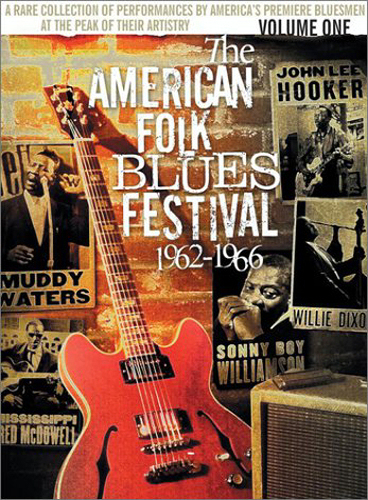 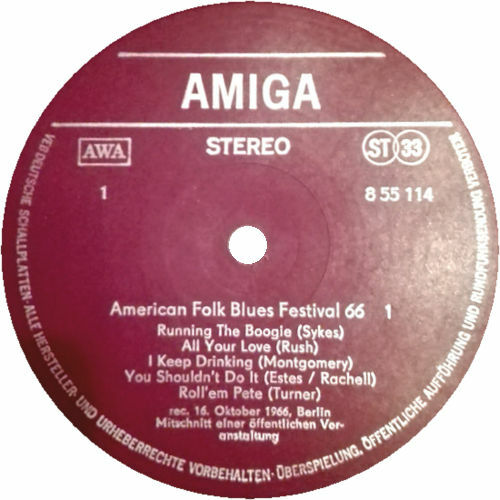 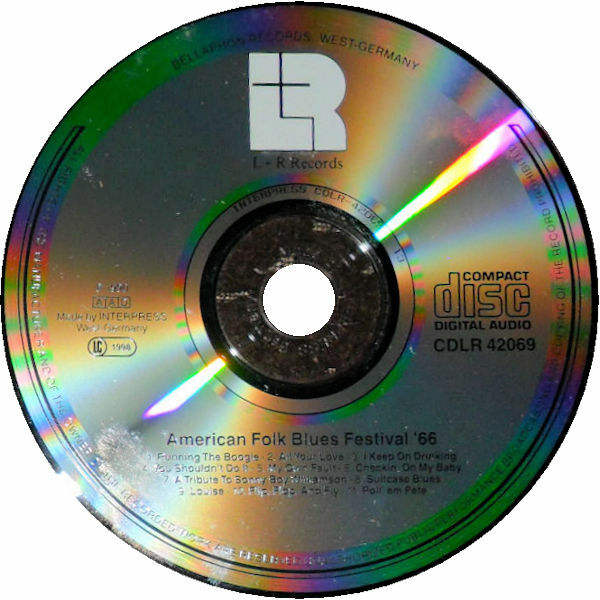 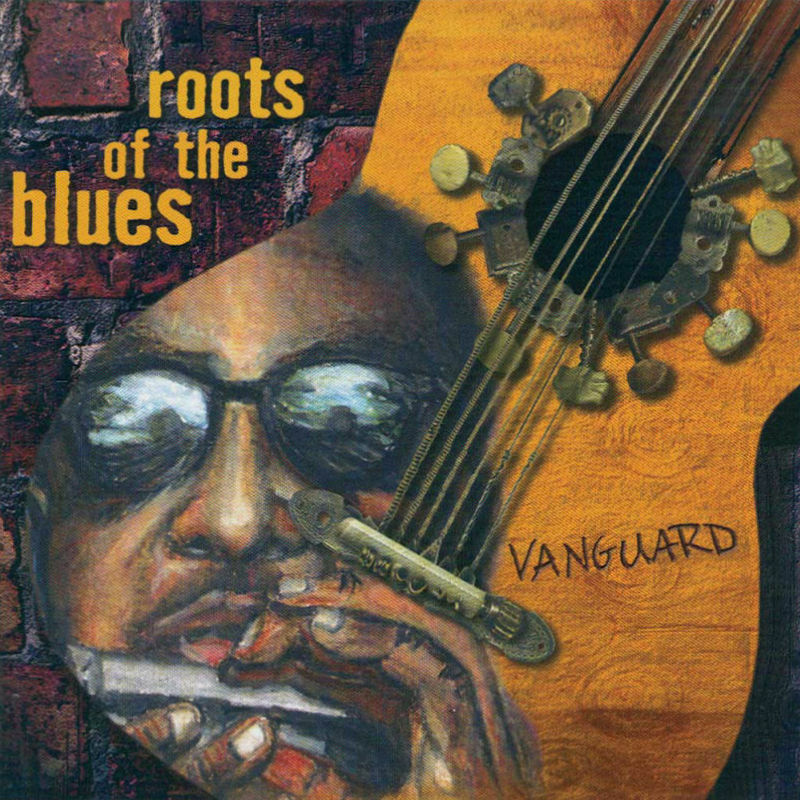 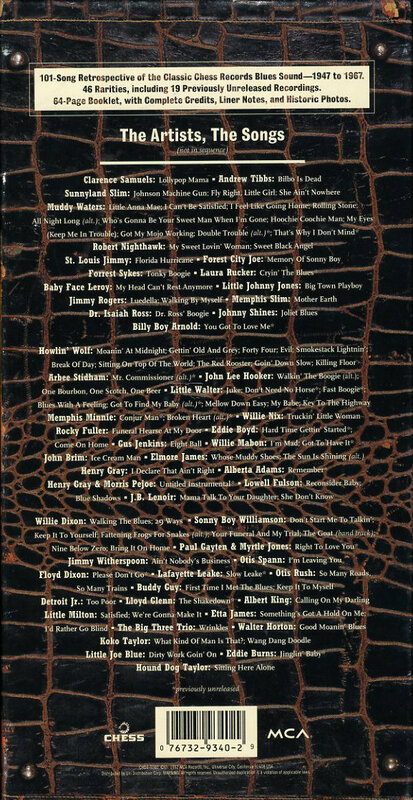 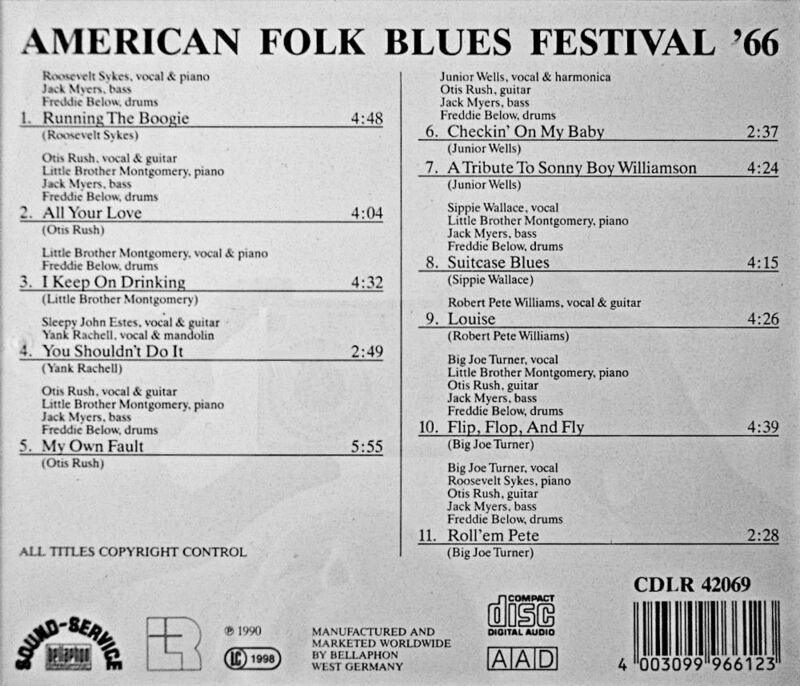 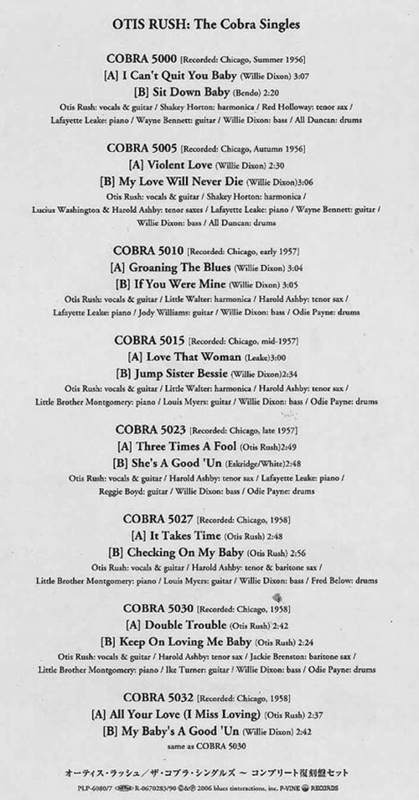 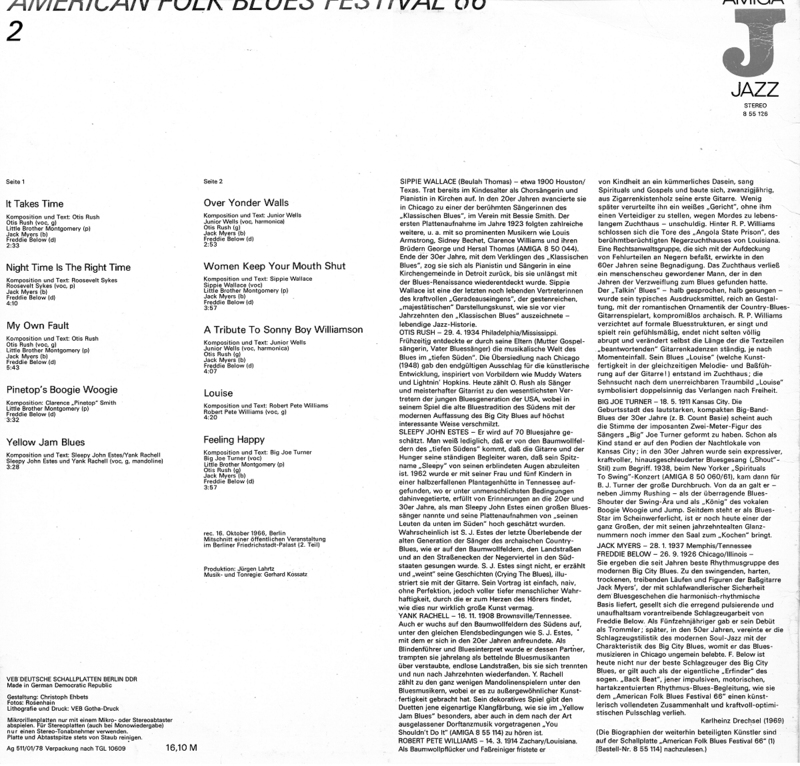 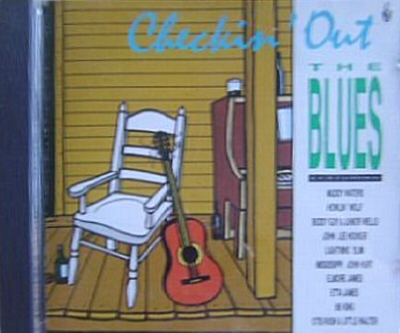 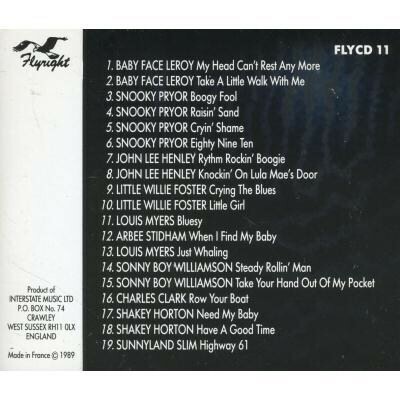 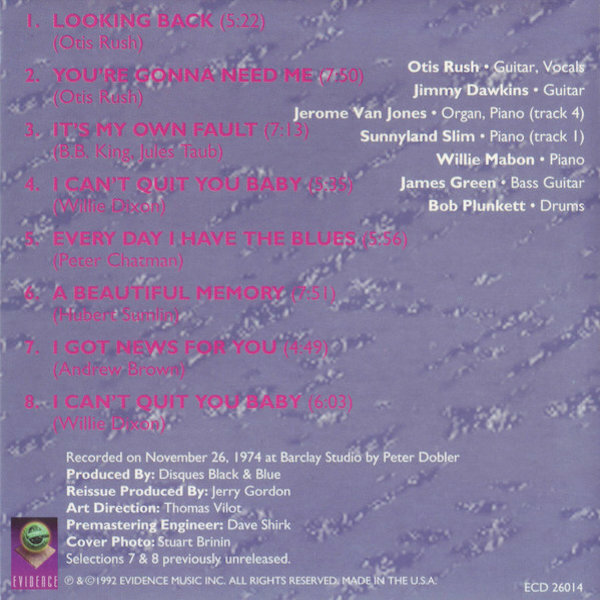 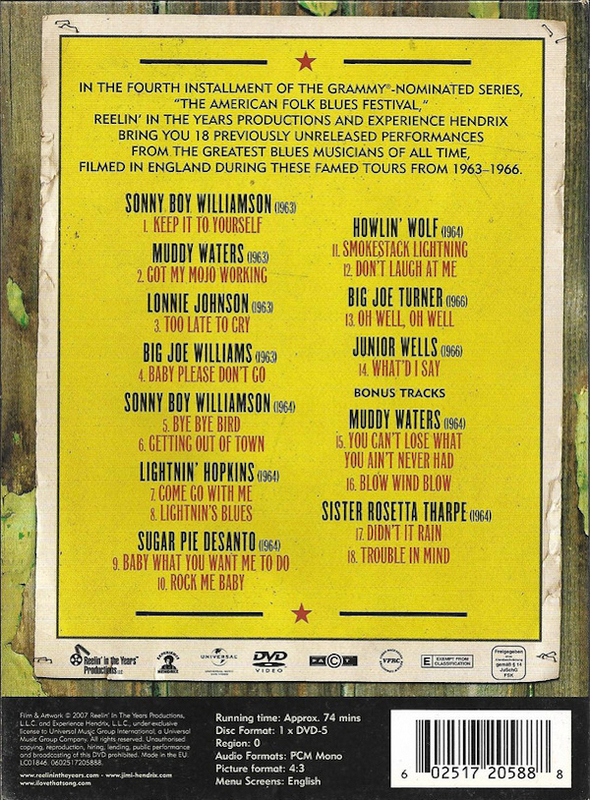 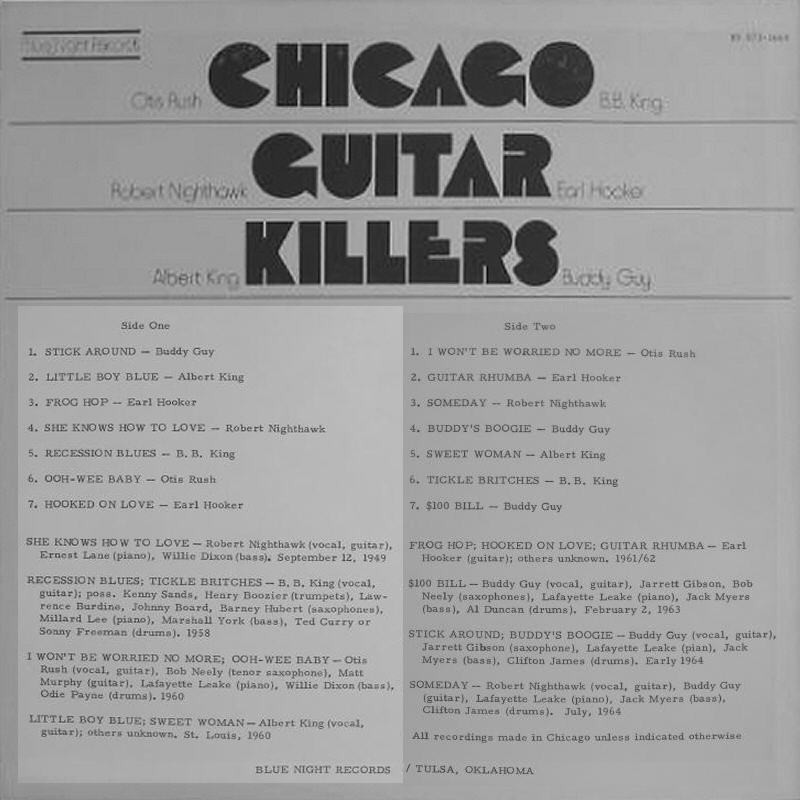 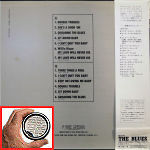 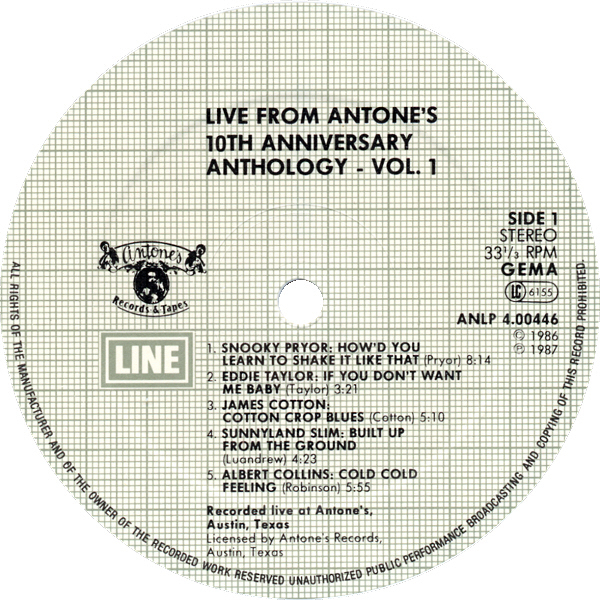 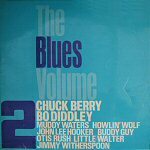 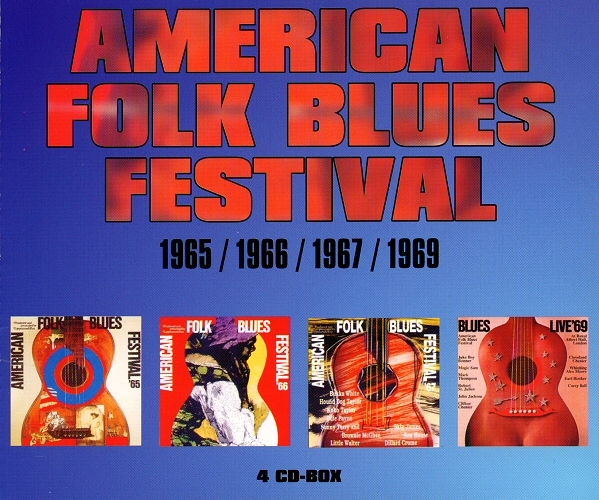 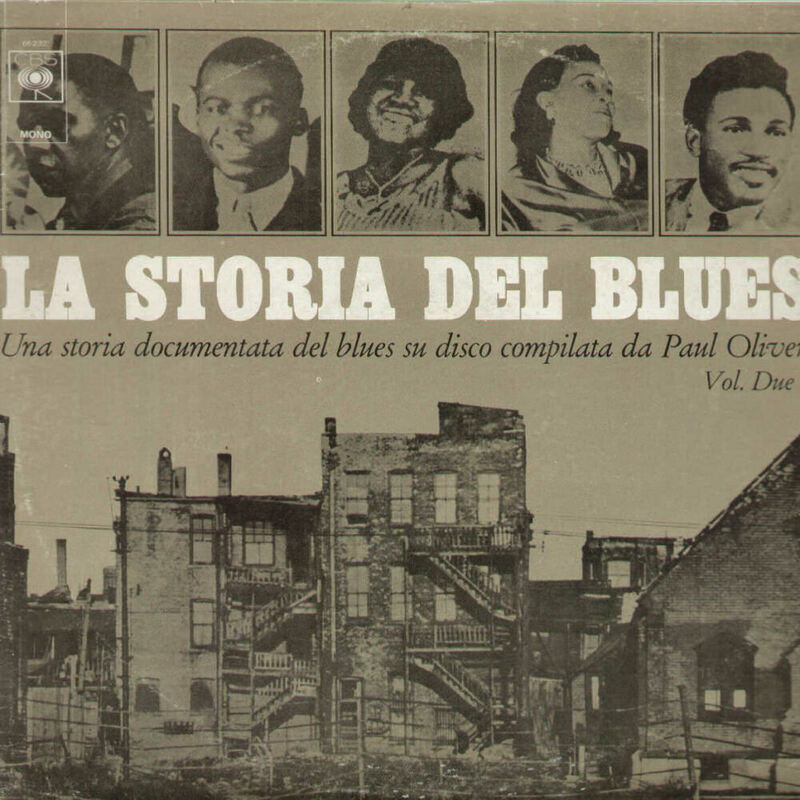 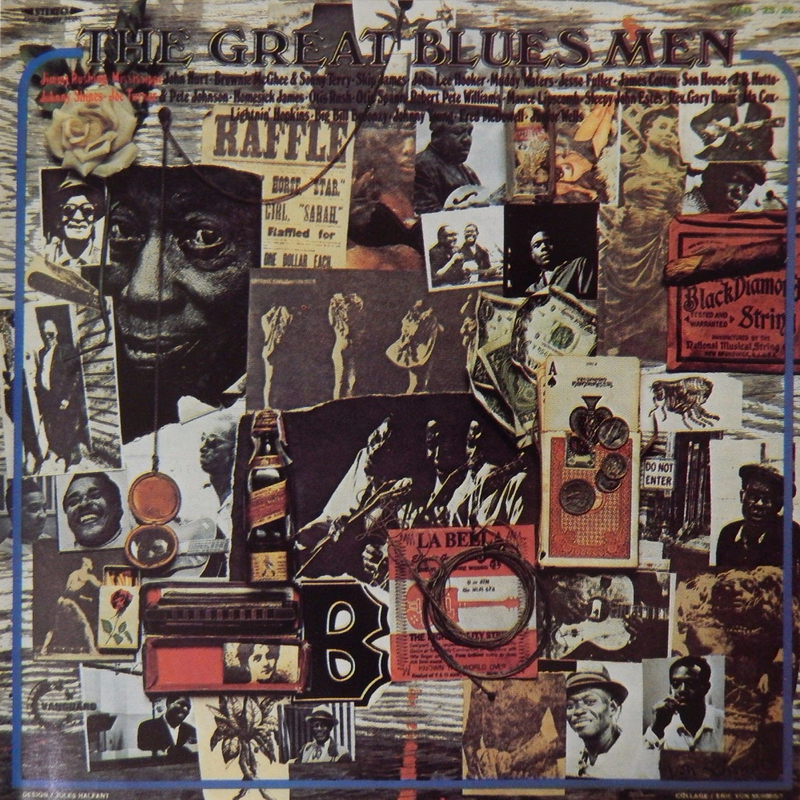 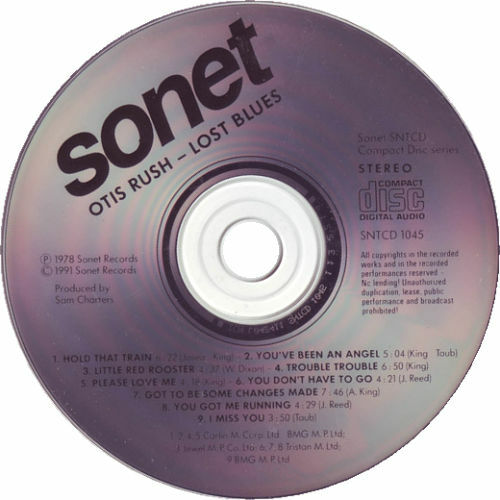 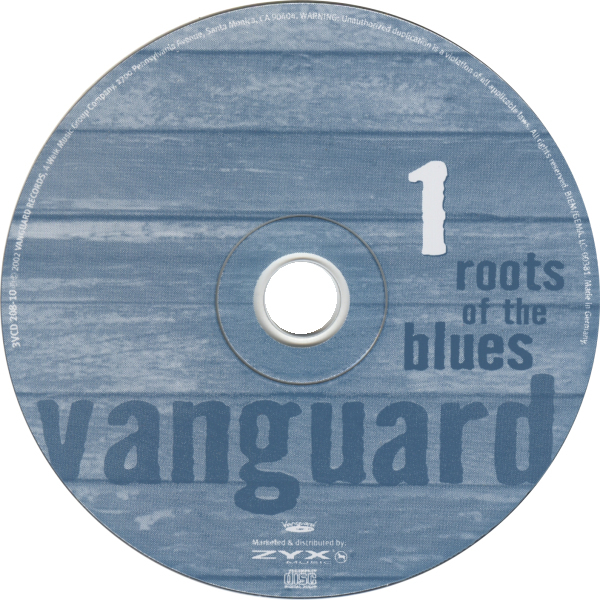 (=) Alligator ALCD 4797 (US 1991) "Lost In The Blues"
= Sonet SNTCD 1045 (EU 1991) "Lost In The Blues"
(=) Eagle 200842 "Otis Rush & Friends"
- Blues And Trouble - Robert Lockwood, Jr.
- Bring It On Home (Part 1) - Robert Lockwood, Jr.
- Bring It On Home (Part 2) - Robert Lockwood, Jr.
= Varèse Sarabande 392 061 077 2 (Fr 2000) "The Essential ..."
# John Mayall, voc, p, slide g; Otis Rush, voc; Buddy Whittington, lead g; Reese Wynand, Hammond org; Greg Rzab, b; Joe Yuele, dr; prod., engineered, and mixed by David Z.
originally broadcast on German SWF (Südwestfunk Baden-Baden) TV "Jazz - Gehört und Gesehen" (Folge 48), released on Hip-O Records DVD B0000750-09 (US 2003) "The American Folk Blues Festival 1962-1969 Volume One"